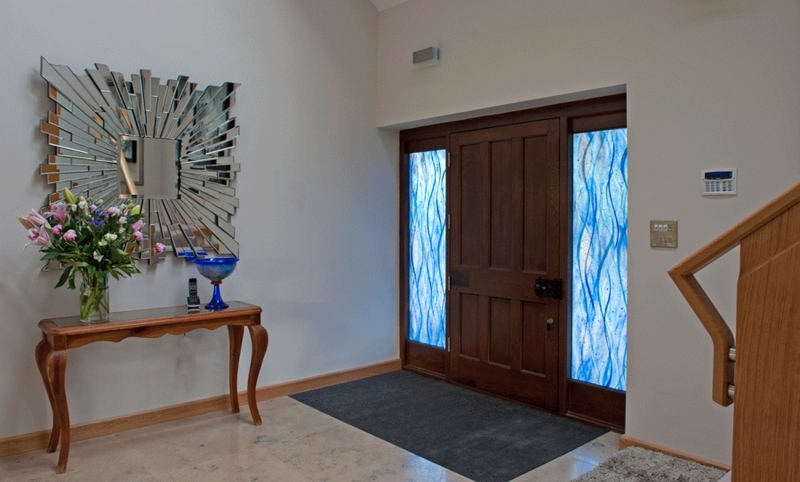 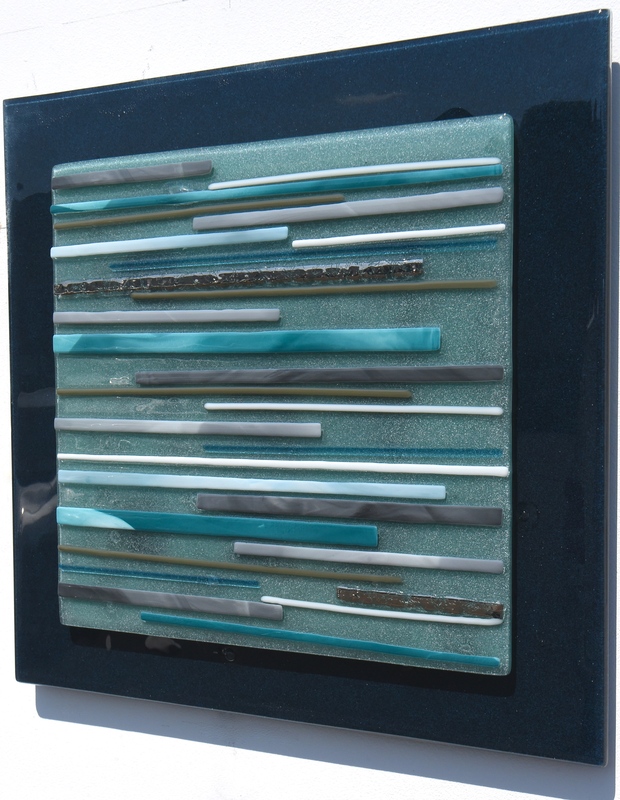 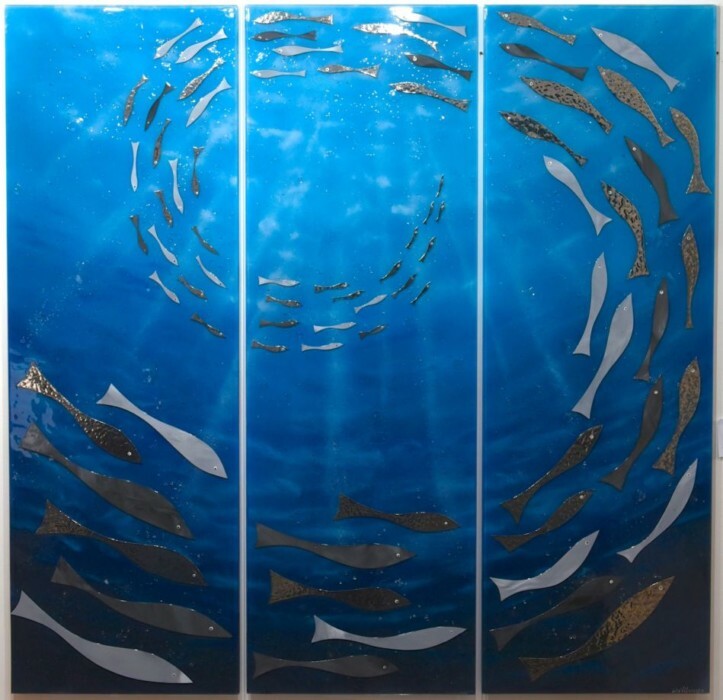 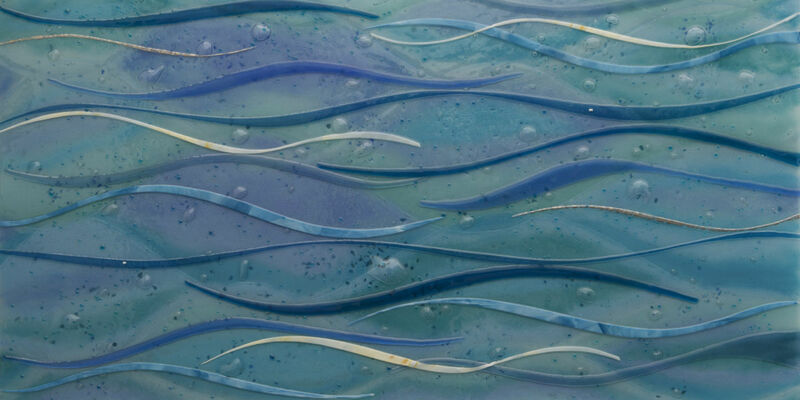 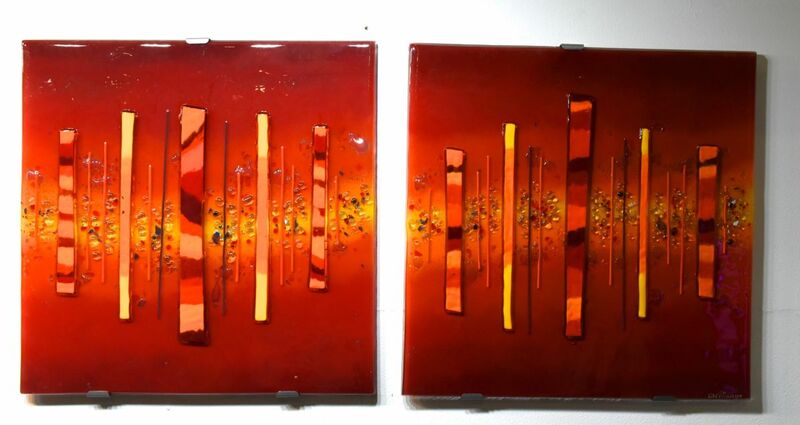 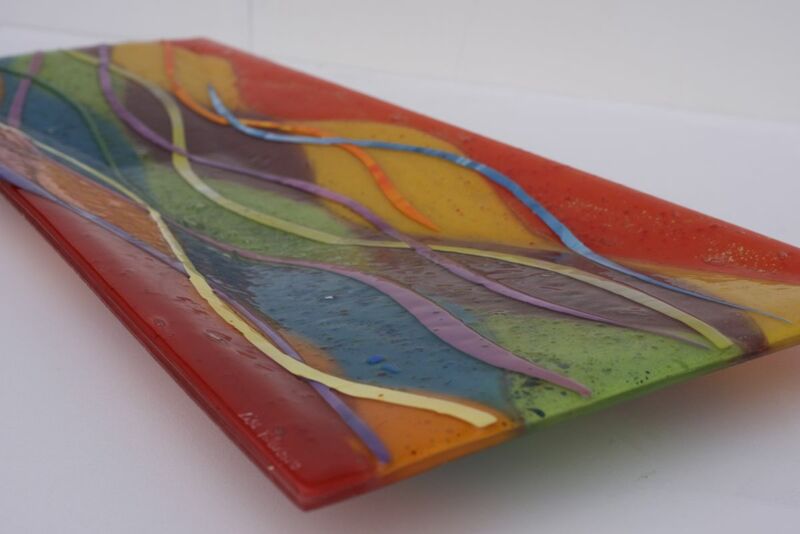 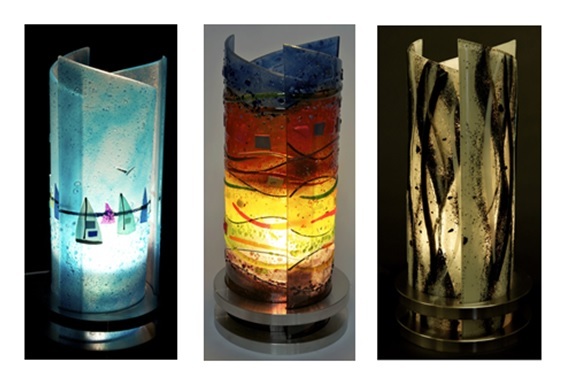 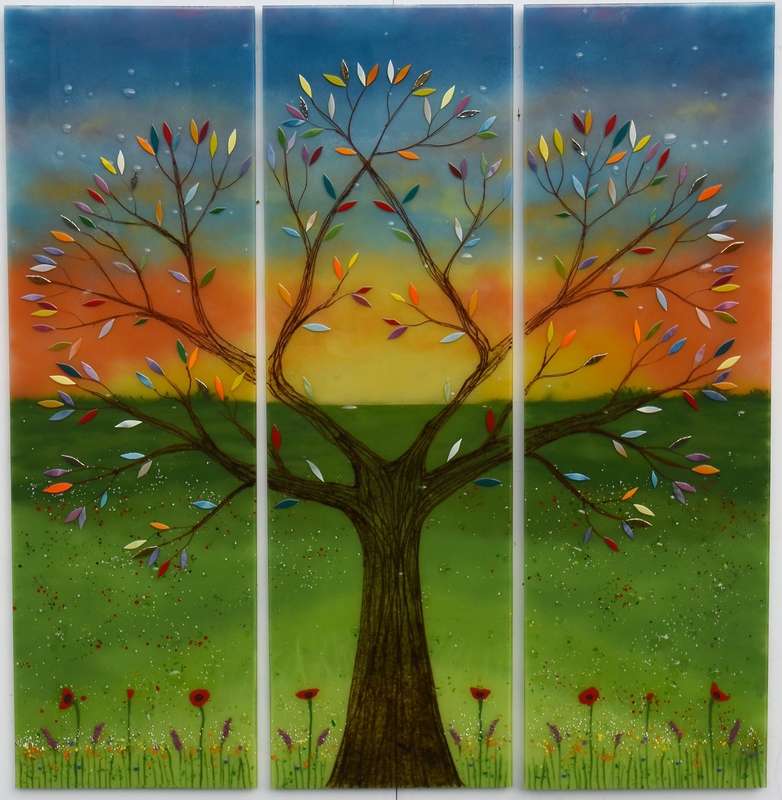 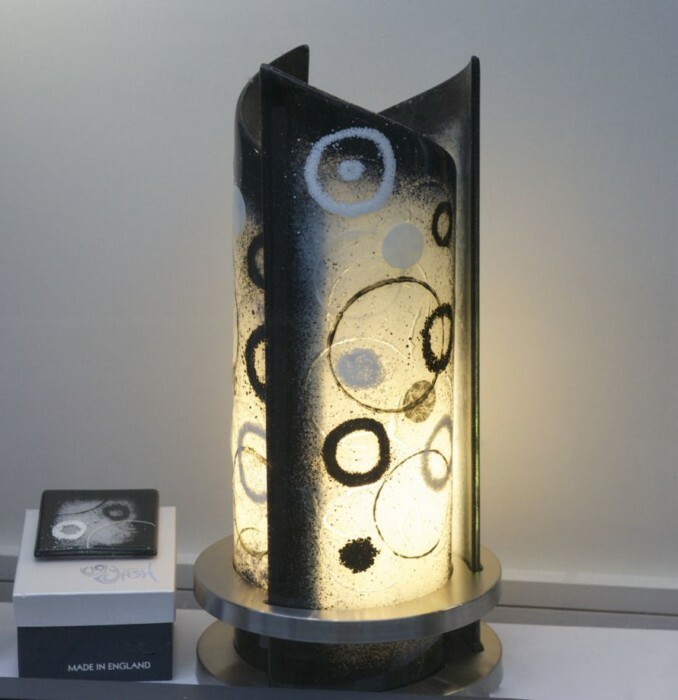 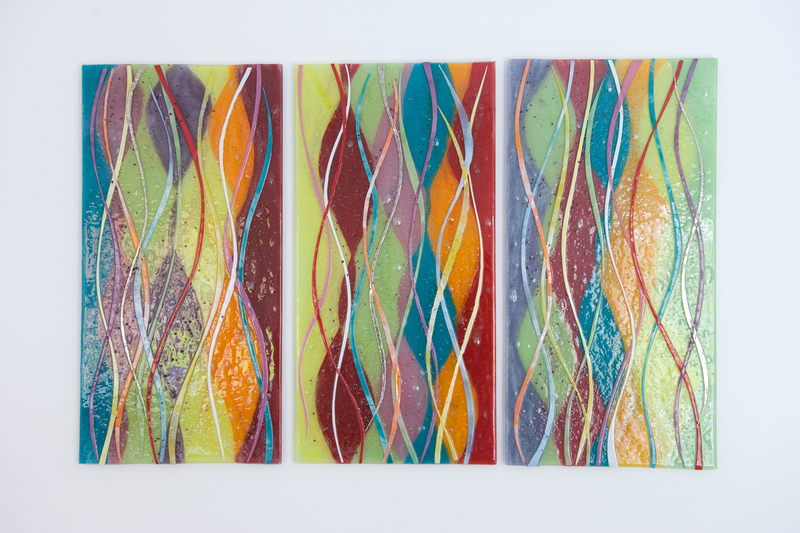 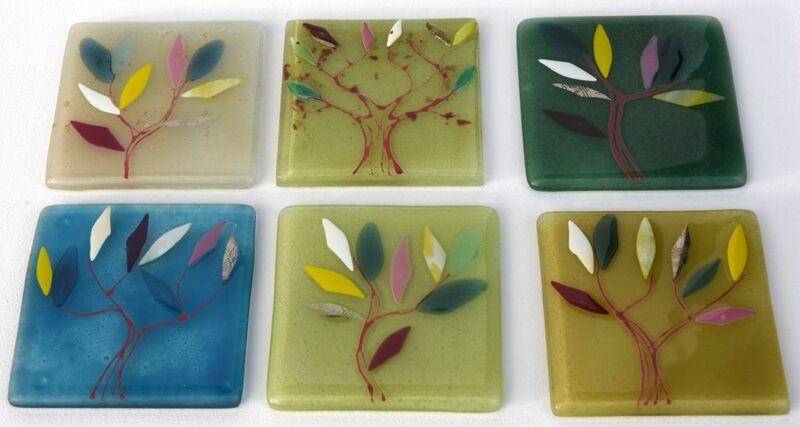 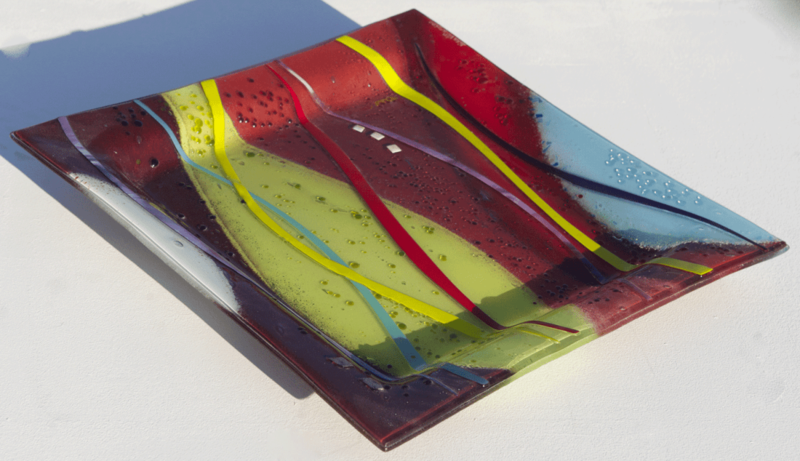 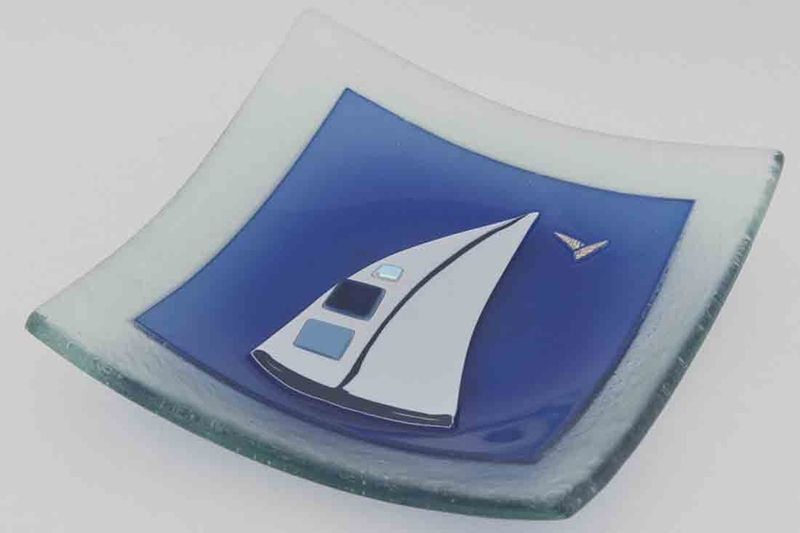 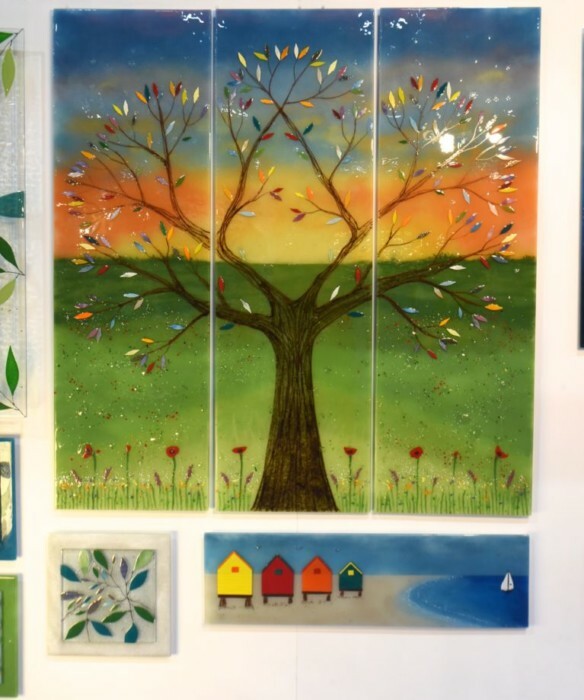 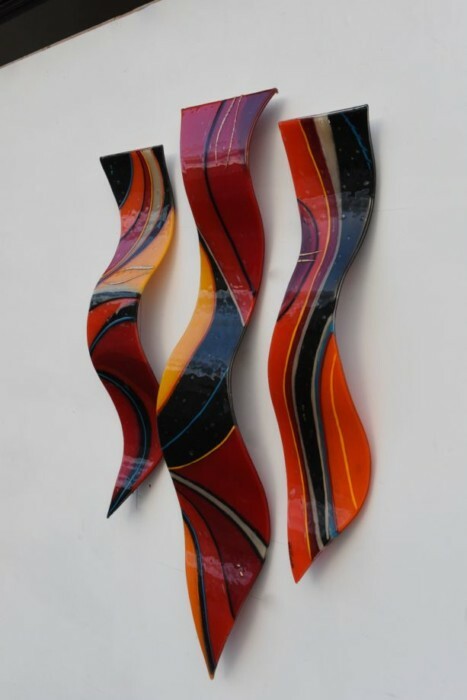 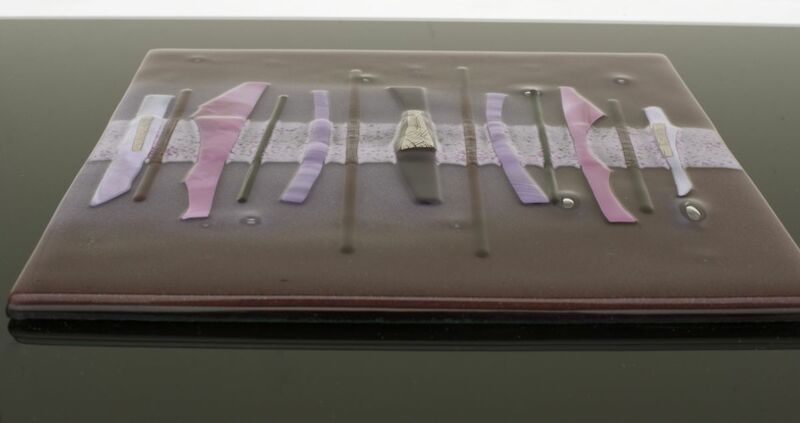 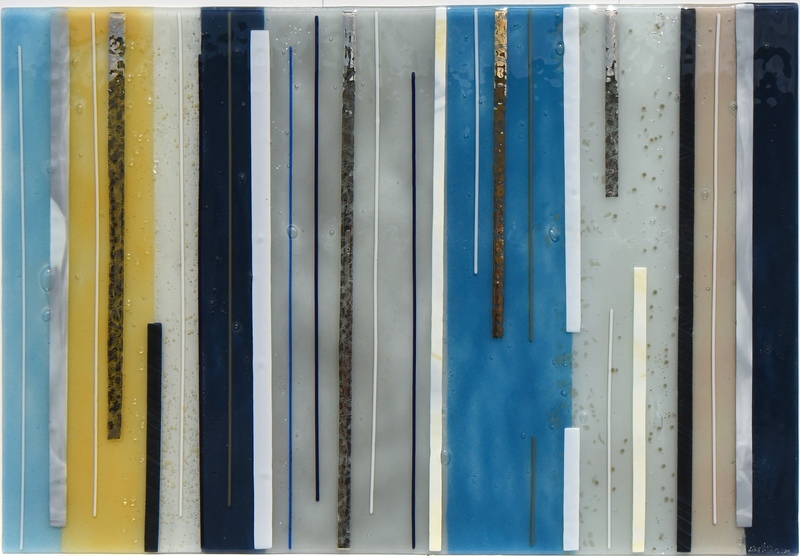 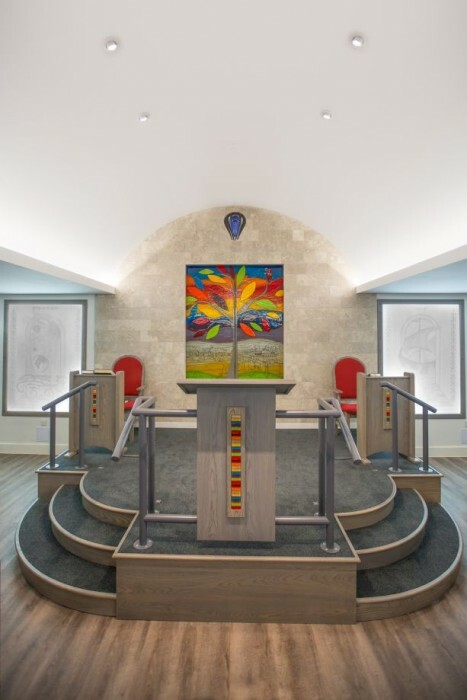 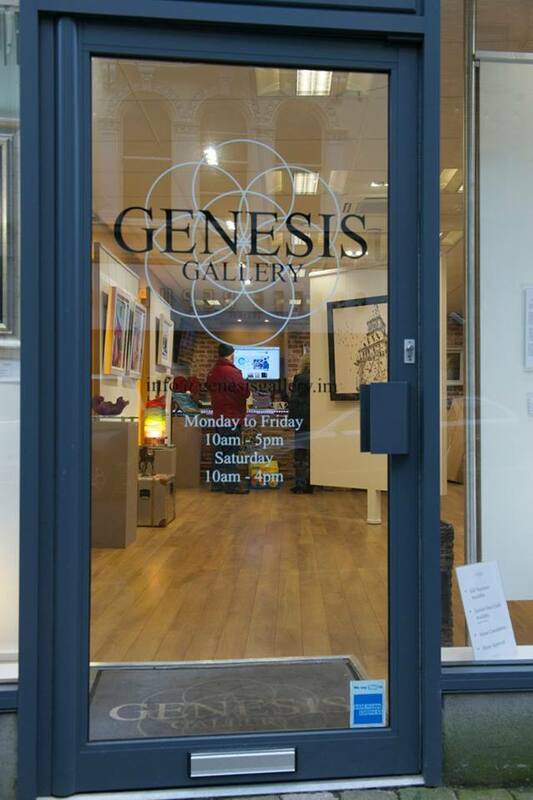 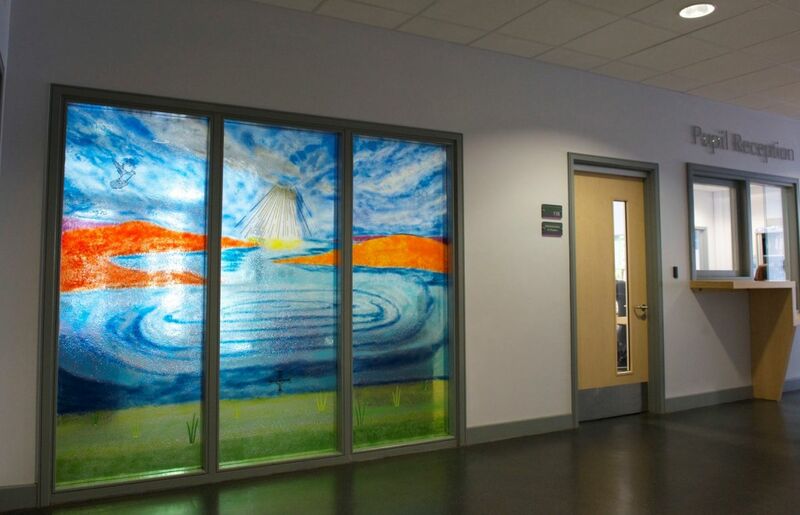 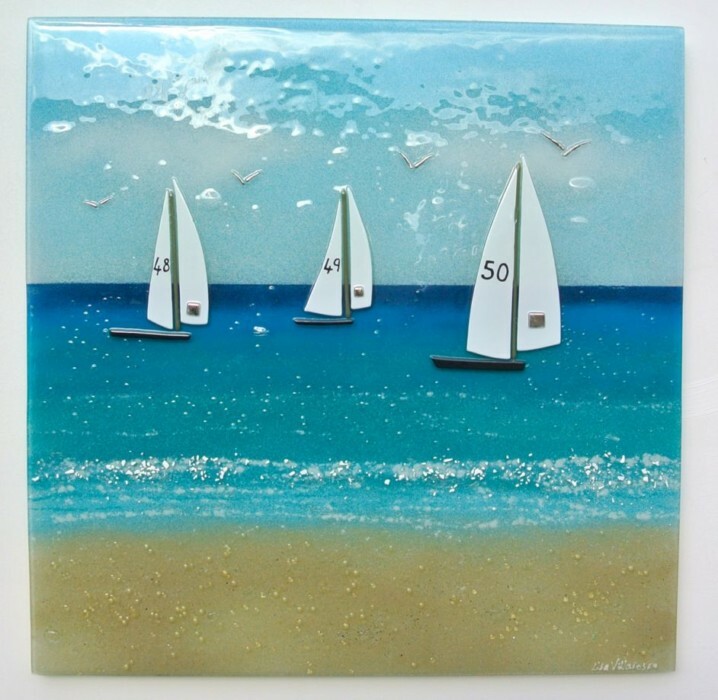 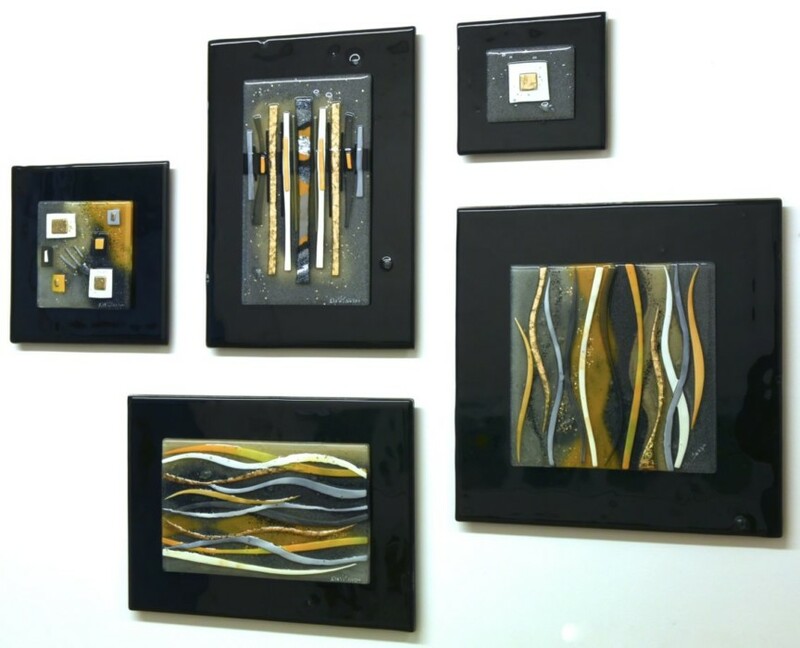 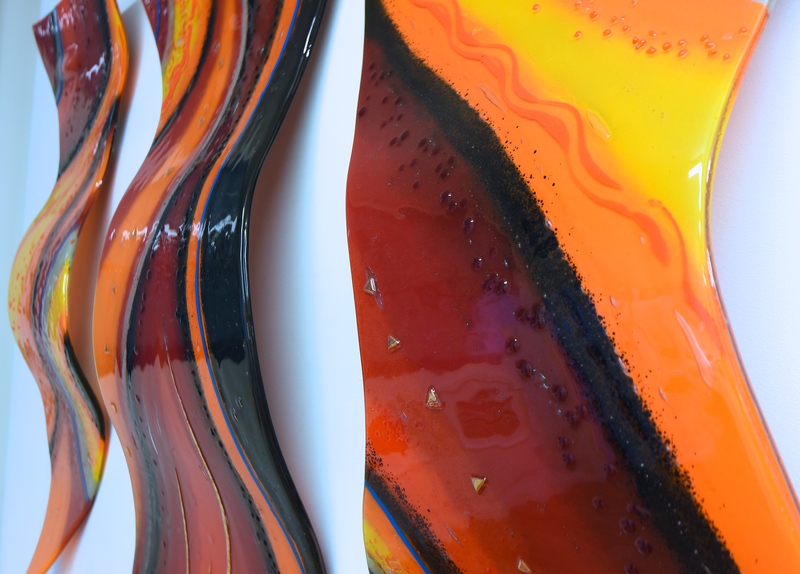 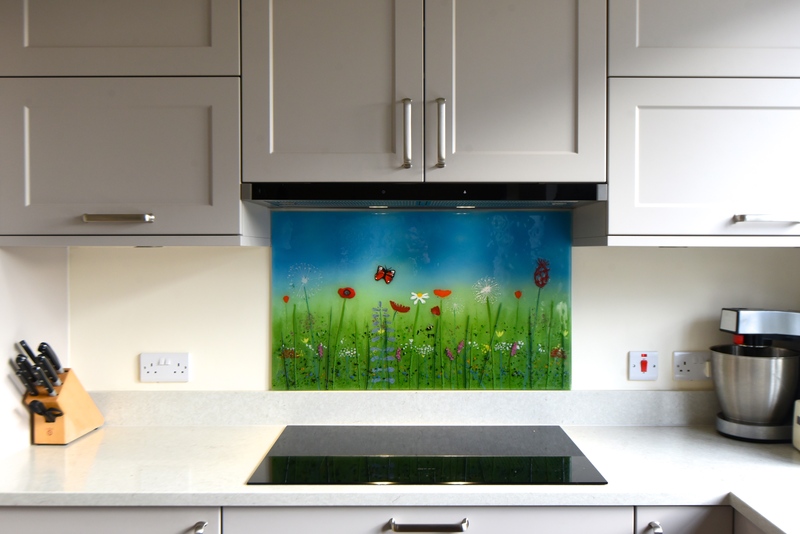 If you’re an avid reader of our blog, or if you’ve even ever taken a look through our portfolio in the past, you’ll definitely be familiar with the incredible variety of designs that can adorn our fused glass art in all its many forms. 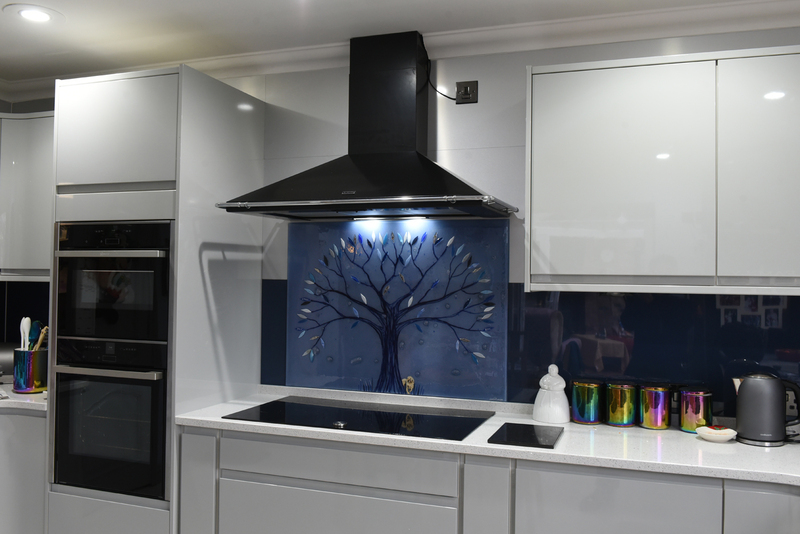 From black and white Dalaman styles utilising contrast to colourful Tree of Life designs and tropical waves bursting with exciting and unexpected palettes, you may have a hard time finding two pieces that look exactly the same. 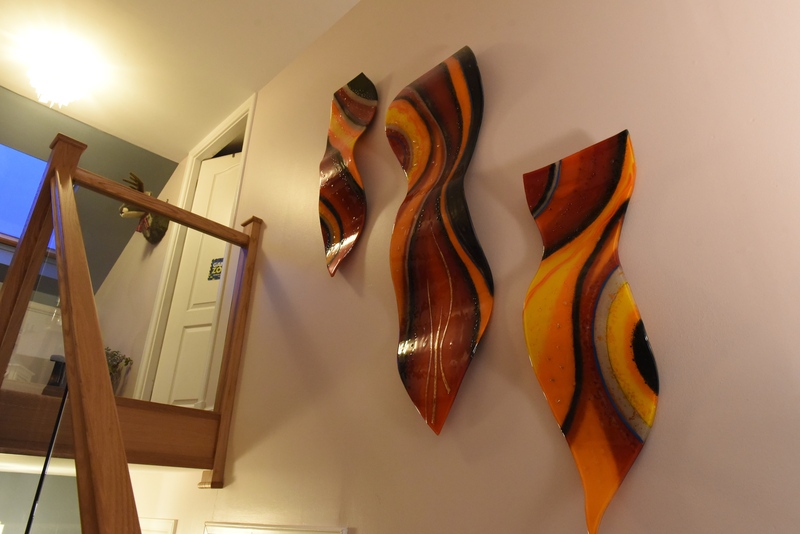 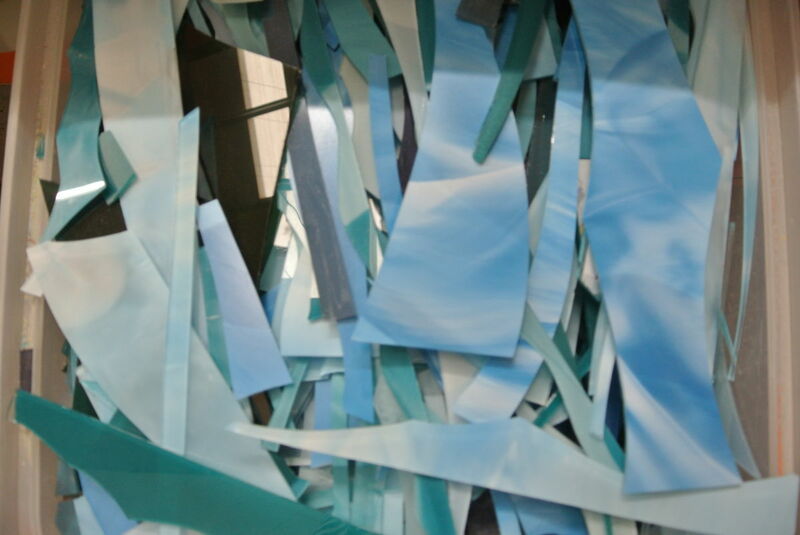 Some pieces even take their designs into a third dimension, rising and sinking with expertly created sculpts and slumps. 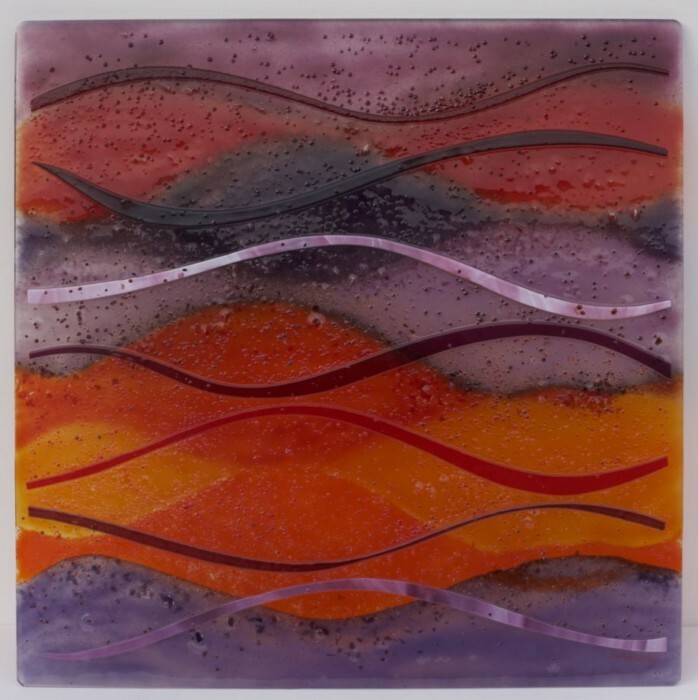 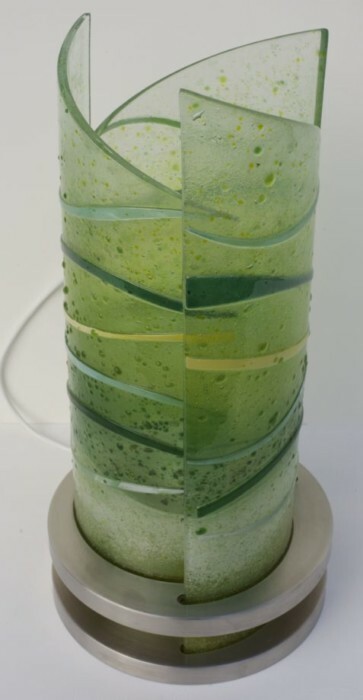 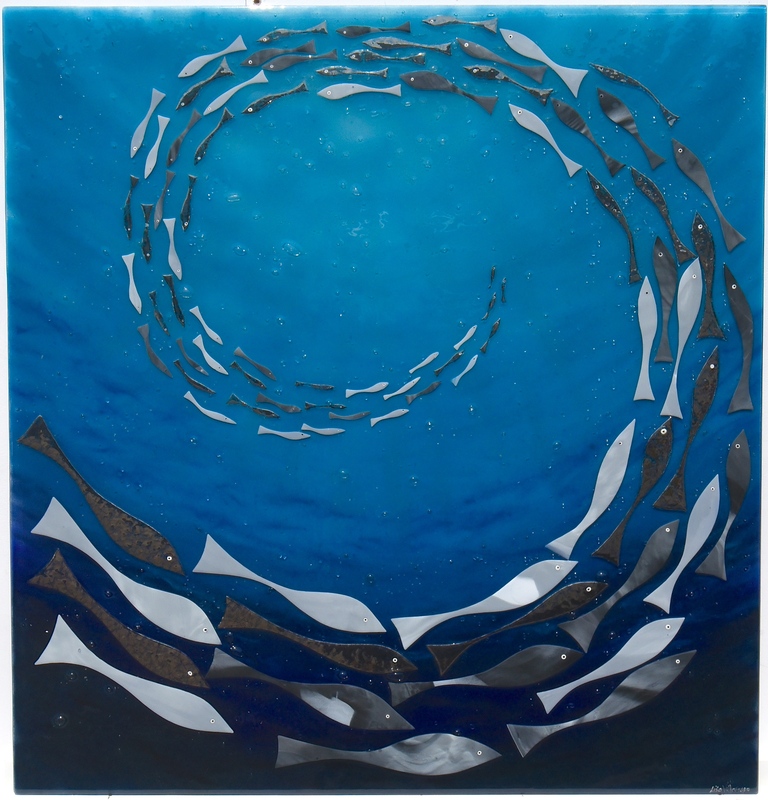 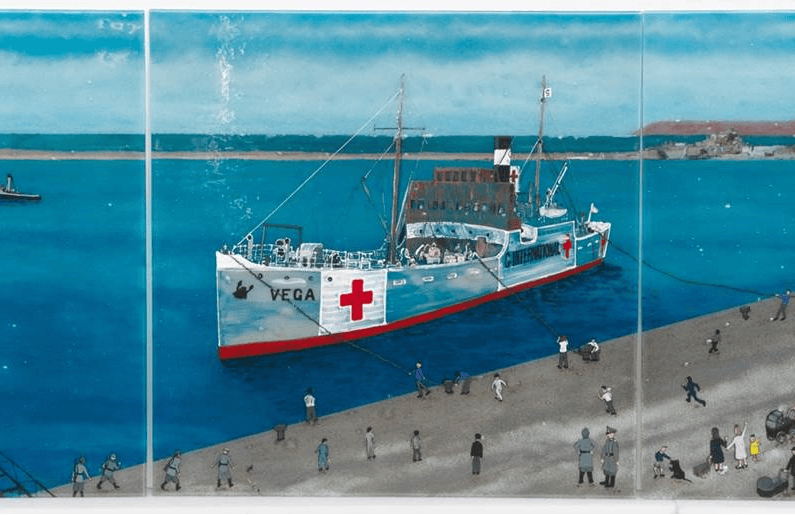 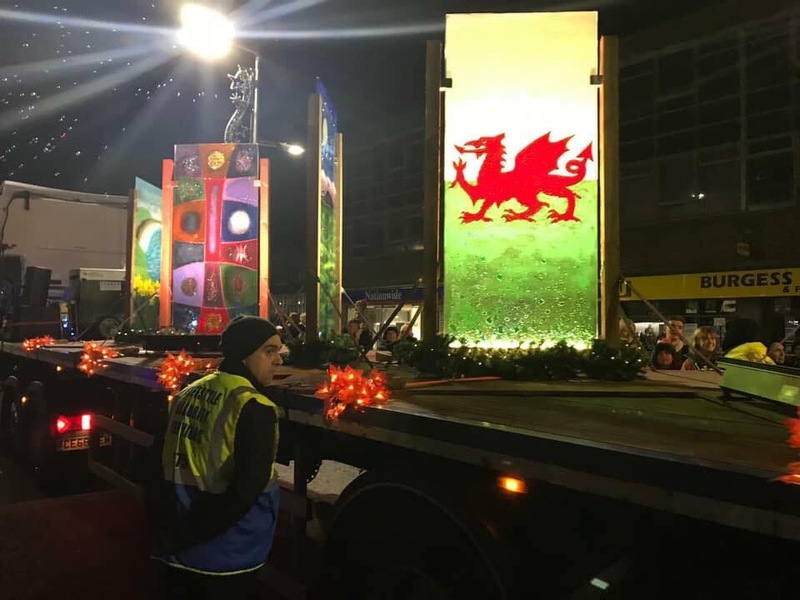 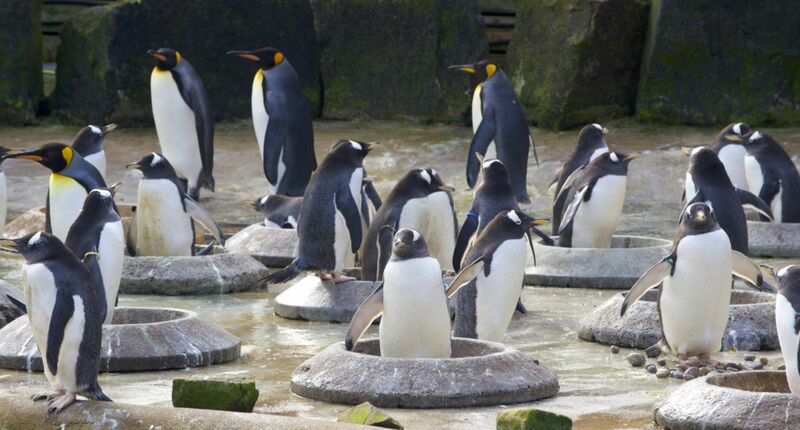 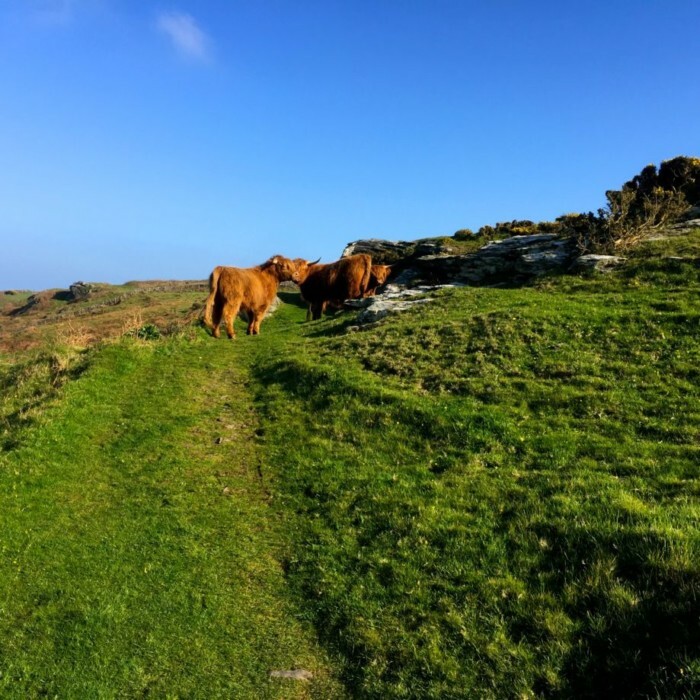 What we wanted to talk about today, however, is the images that can make their way into a fused glass art design, and the artist who brings them to life! 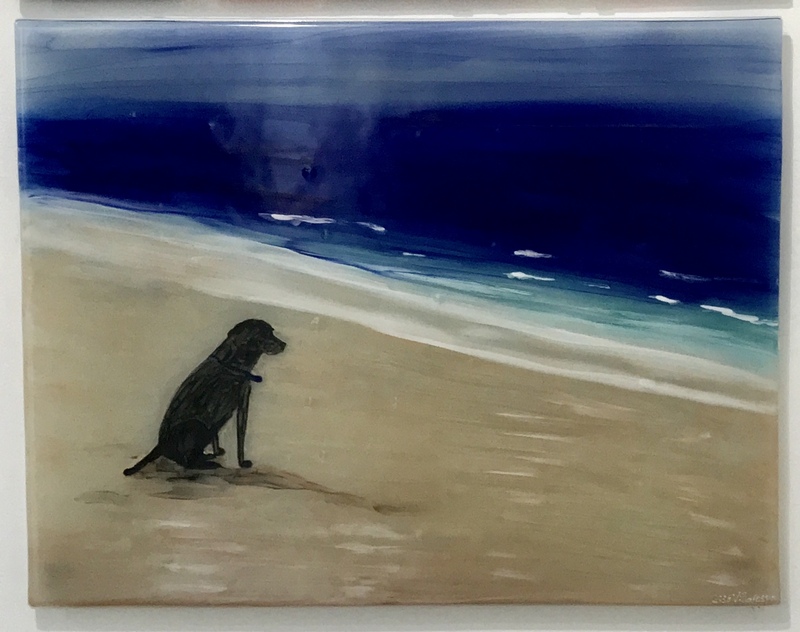 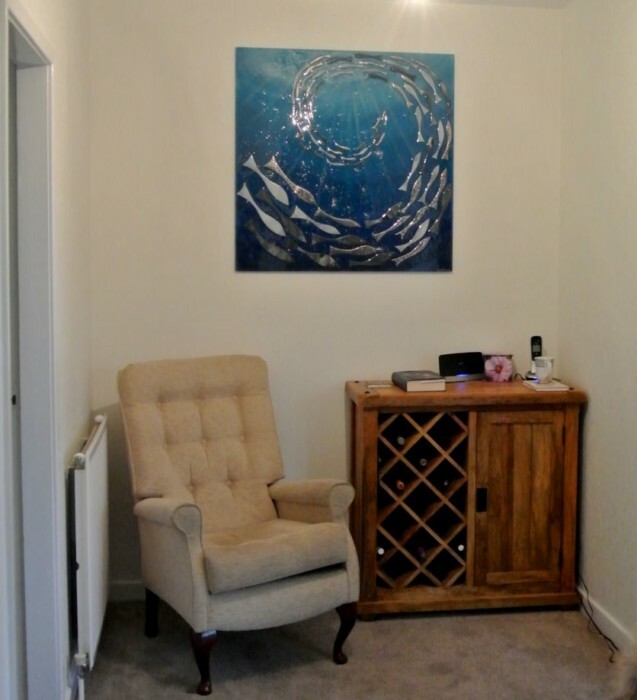 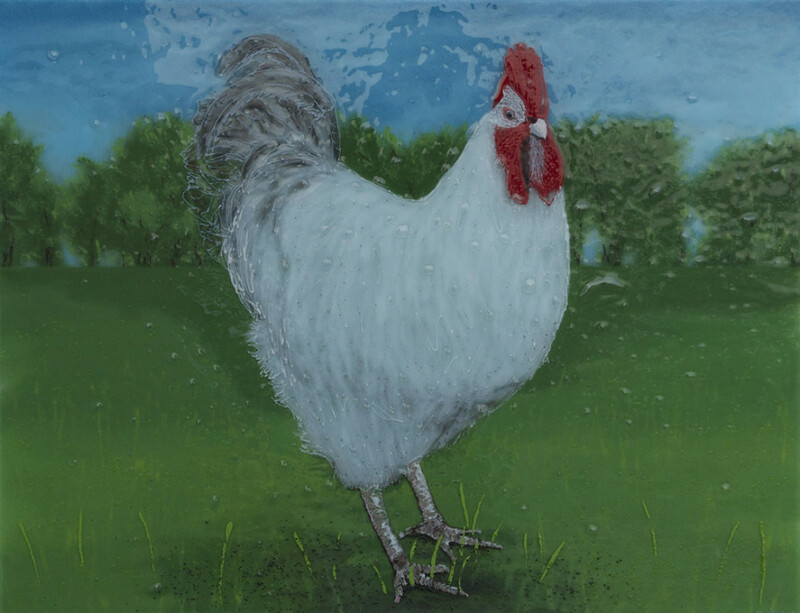 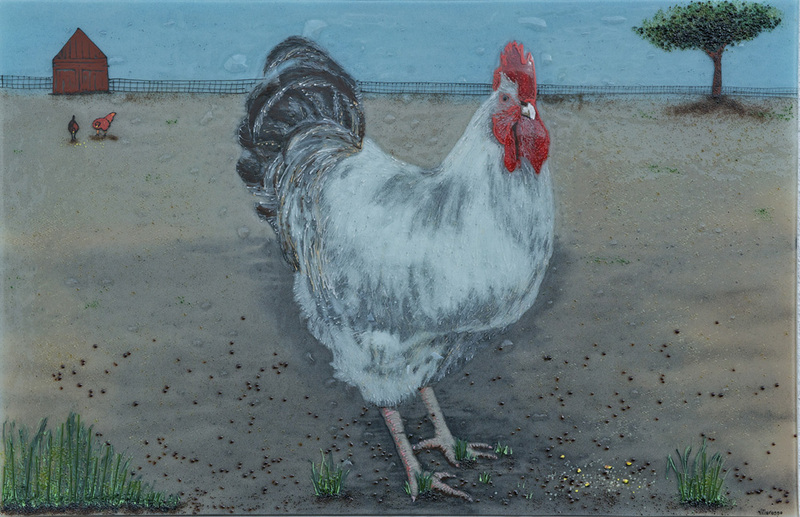 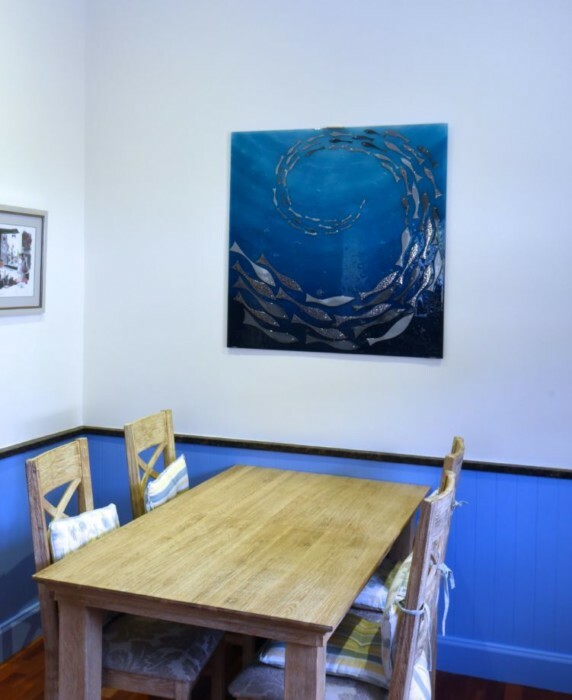 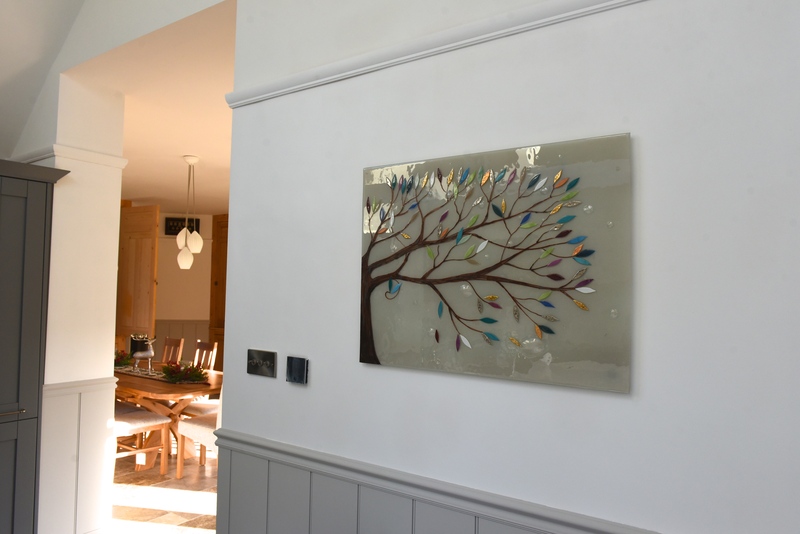 To give you some examples, we’ve made painterly portraits of pets and loved ones before, translating their visage either as a fused glass portrait or an element in a larger design. 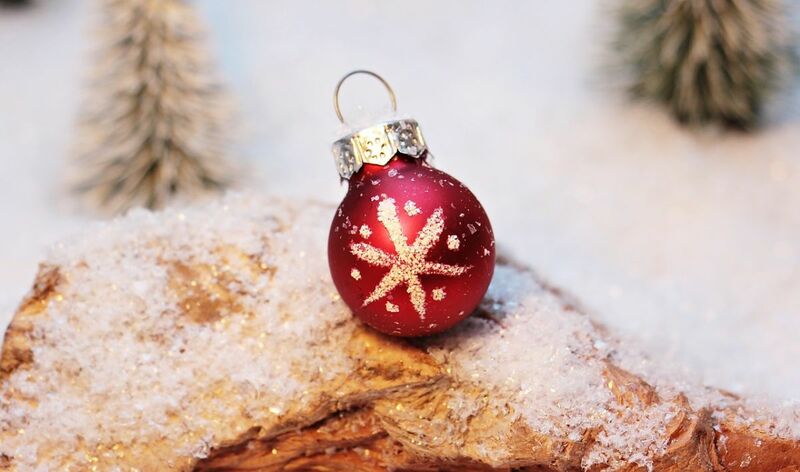 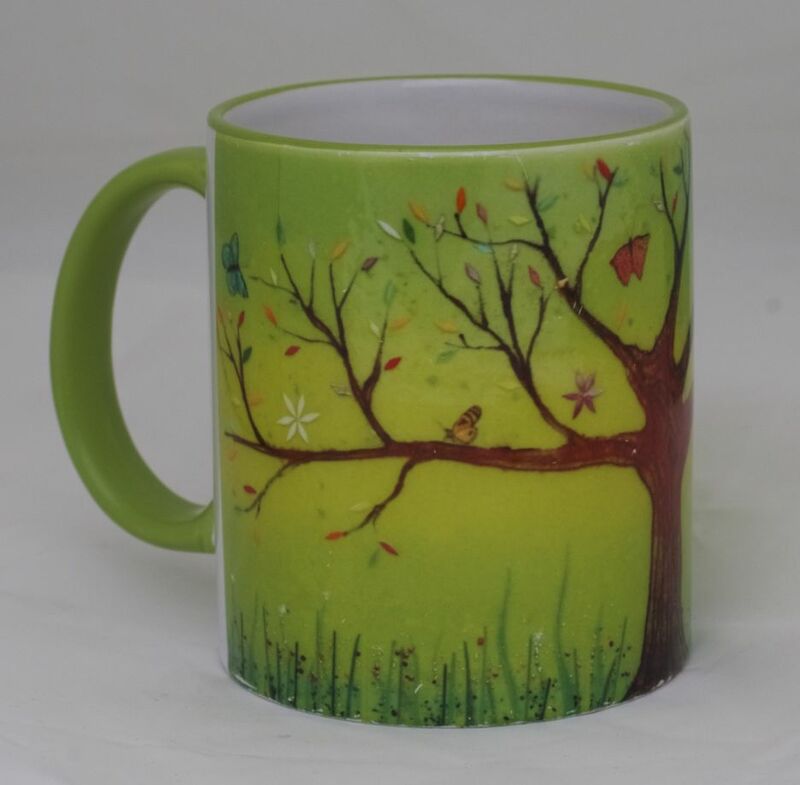 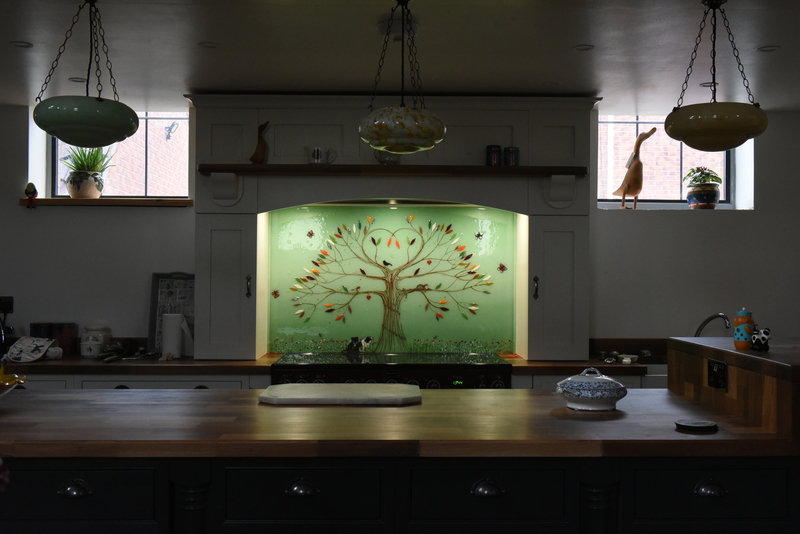 It’s not uncommon to see family pets in Tree of Life designs, so look out for them sitting alongside flowers, butterflies and other bespoke beautiful personalisations. 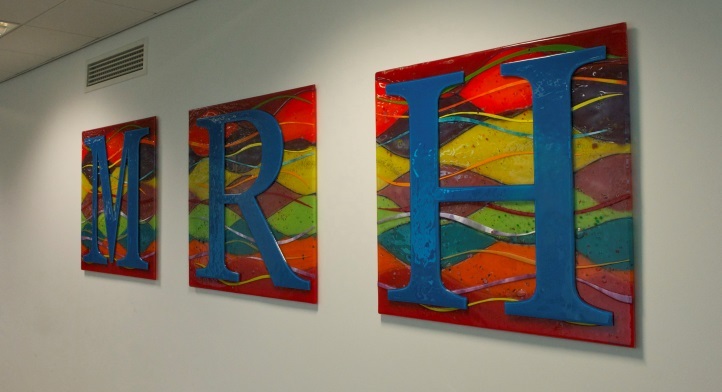 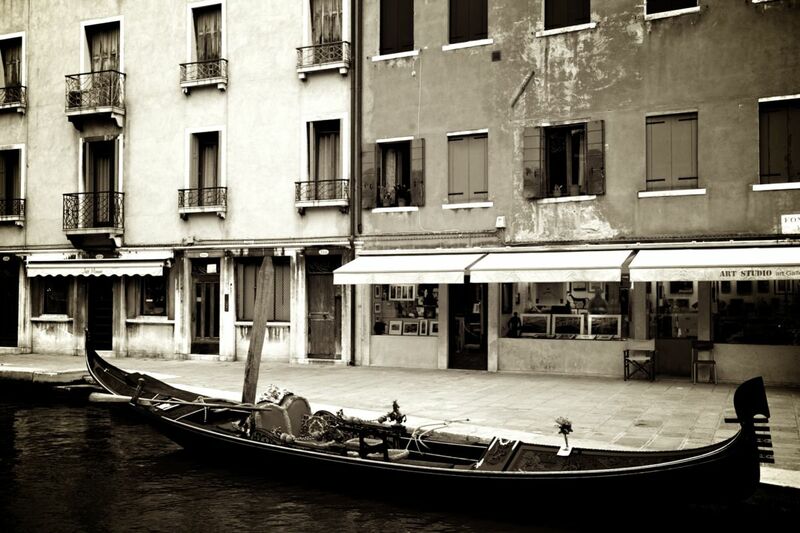 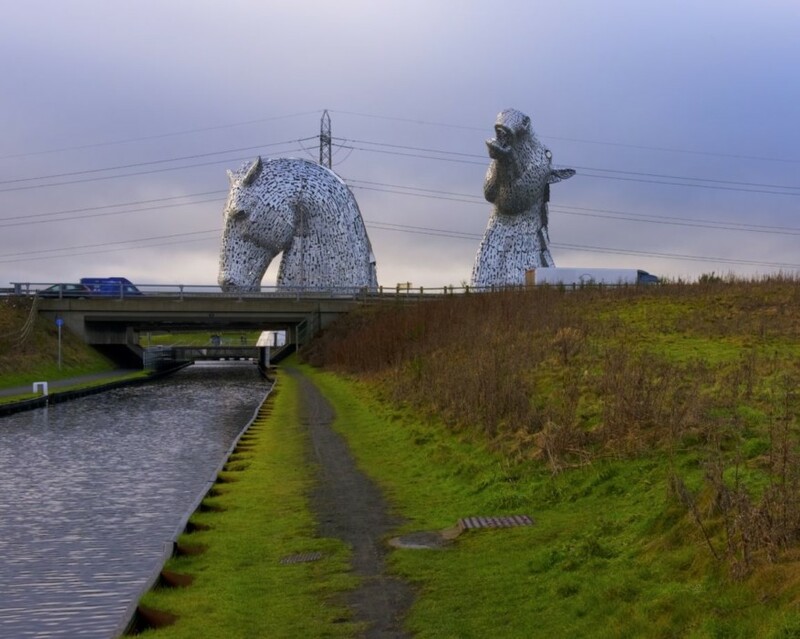 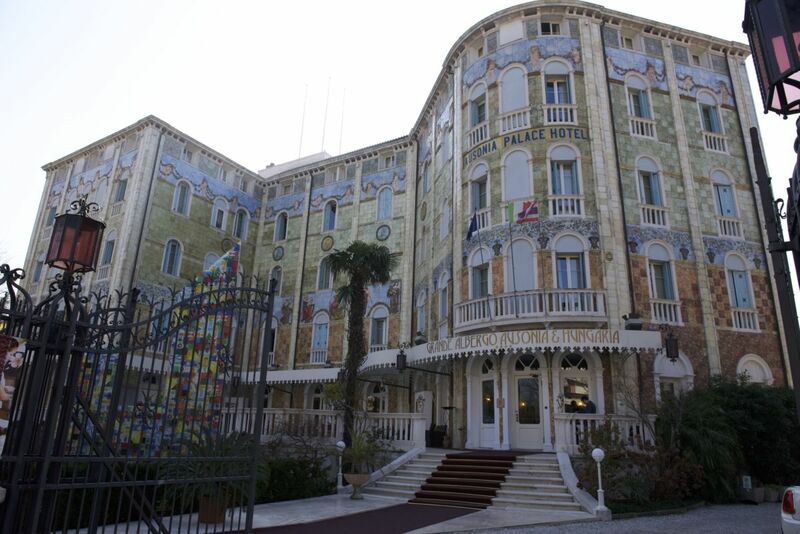 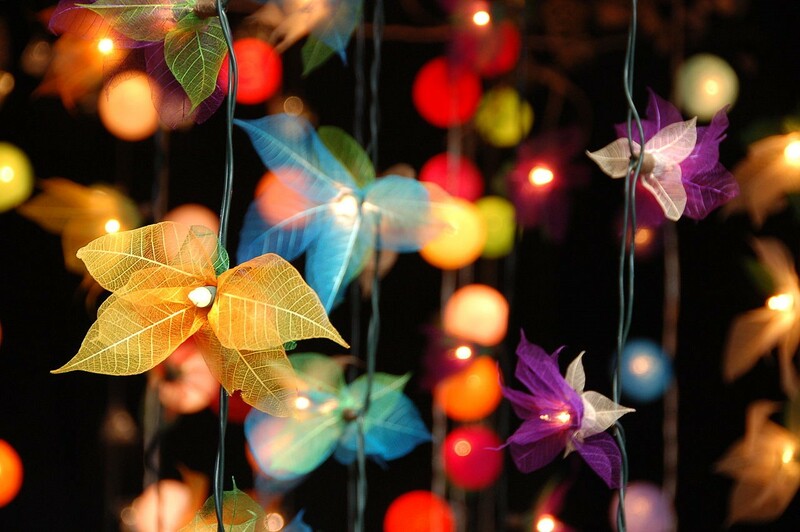 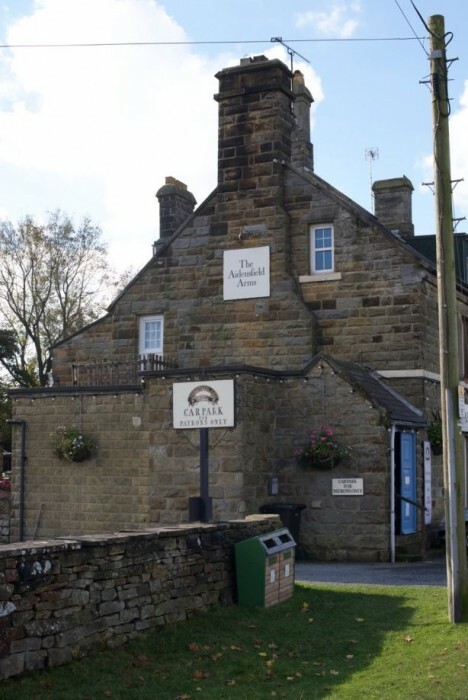 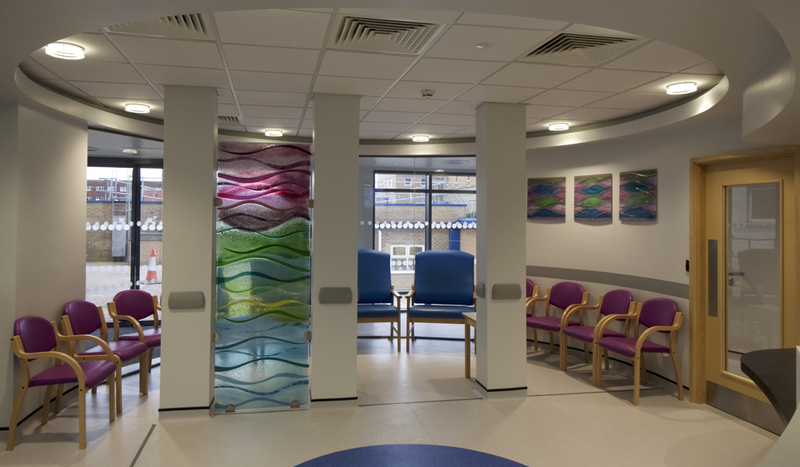 As well as that, logos, symbols and shapes of all kinds prove to be ever-popular picks, especially with regards to more commercial pieces that end up in public spaces such as hospitals, restaurants and more. 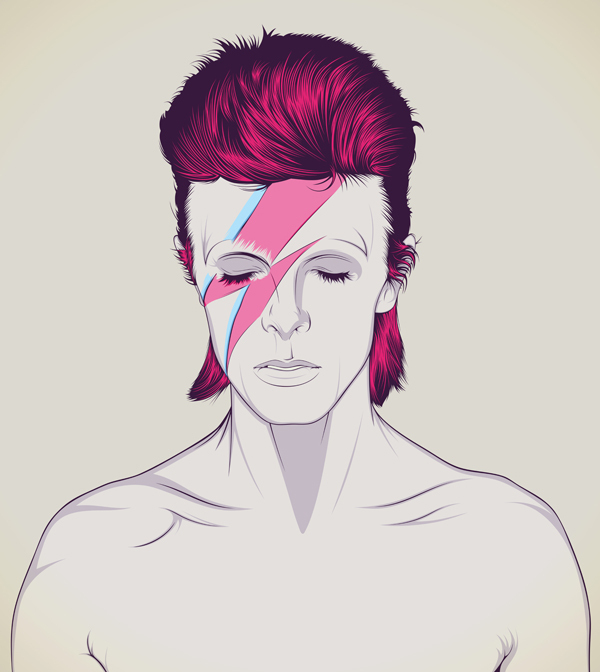 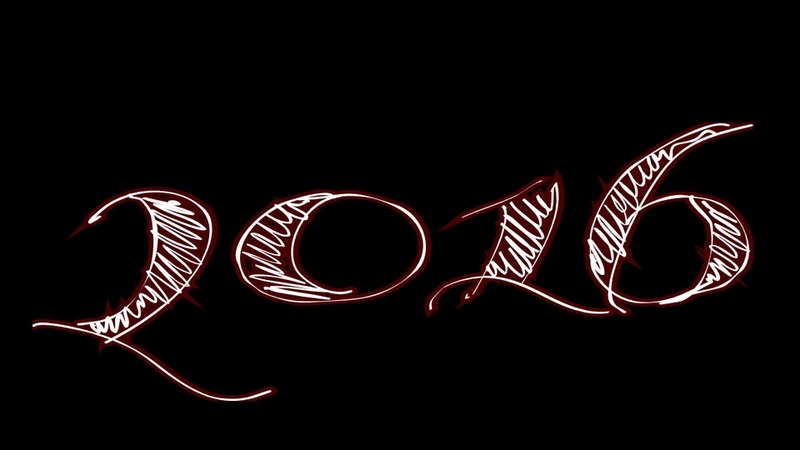 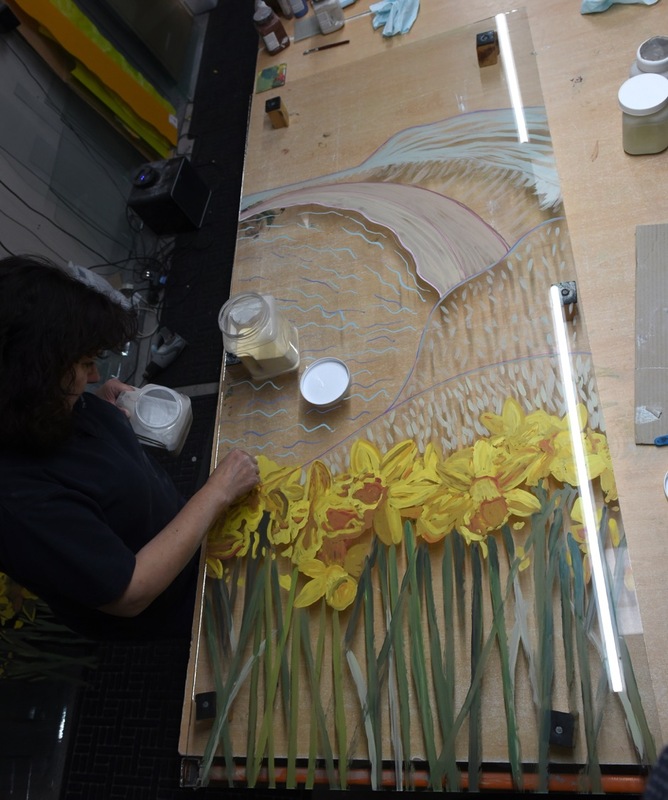 We owe our success to our incredibly talented artist, the incomparable Lisa Villarospo. 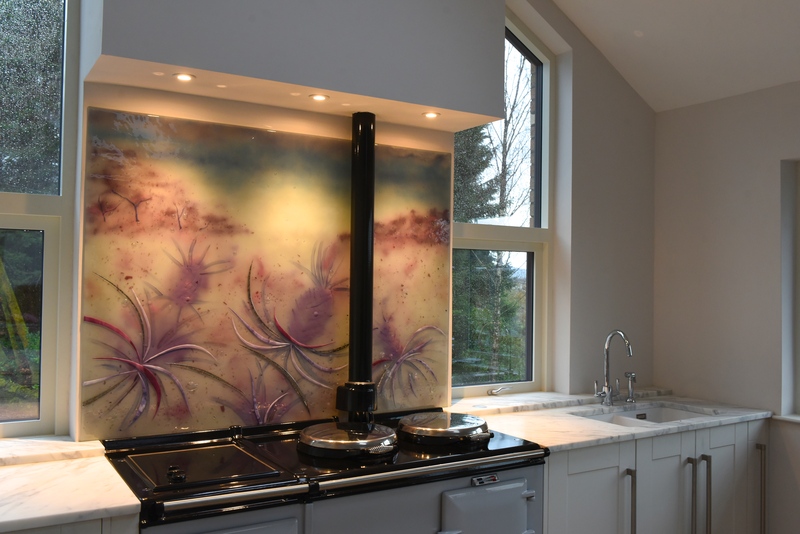 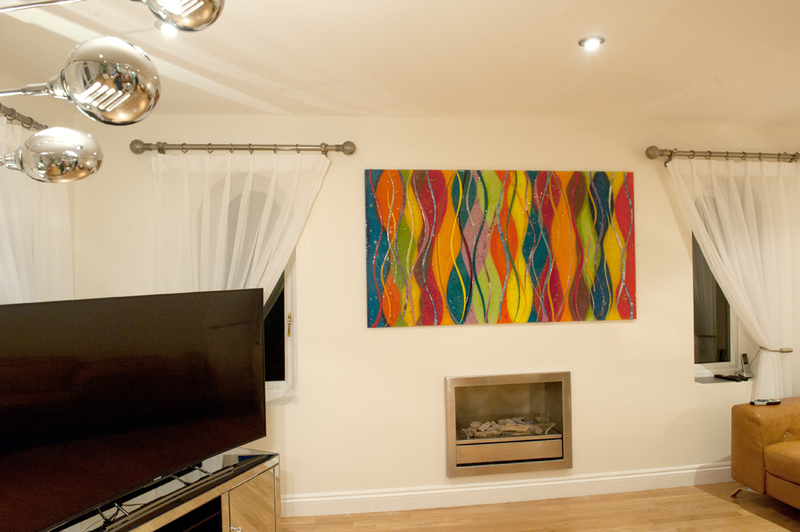 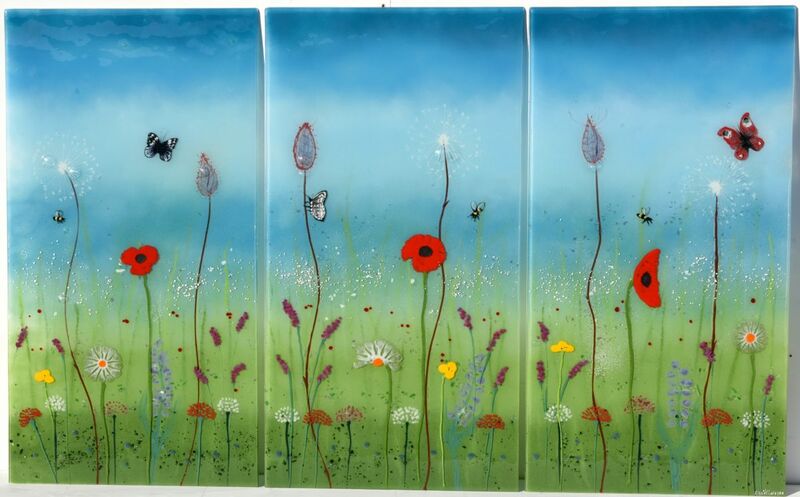 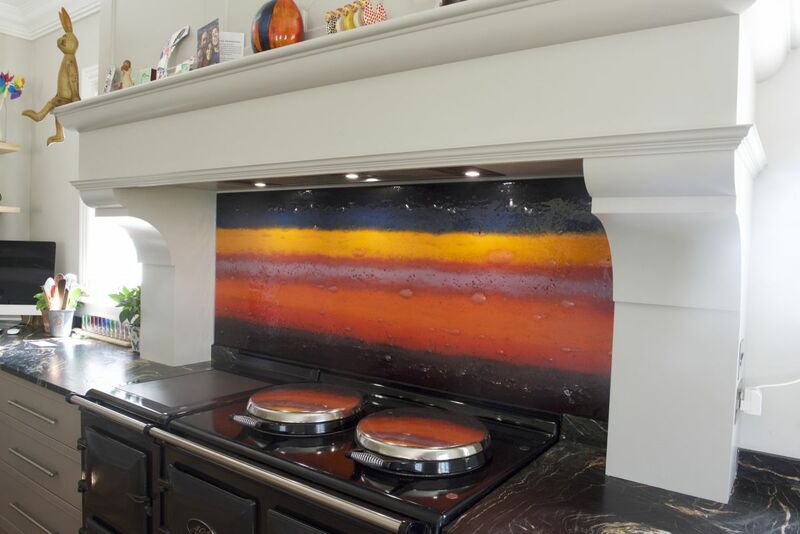 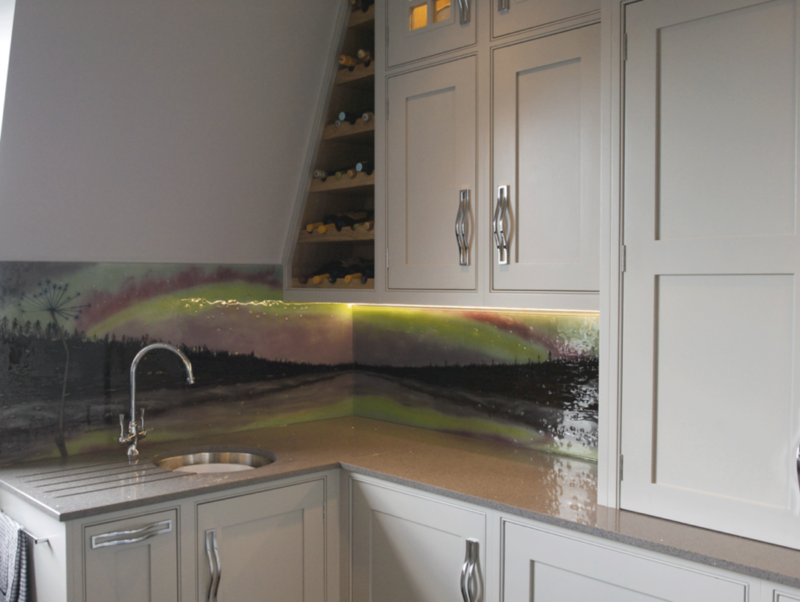 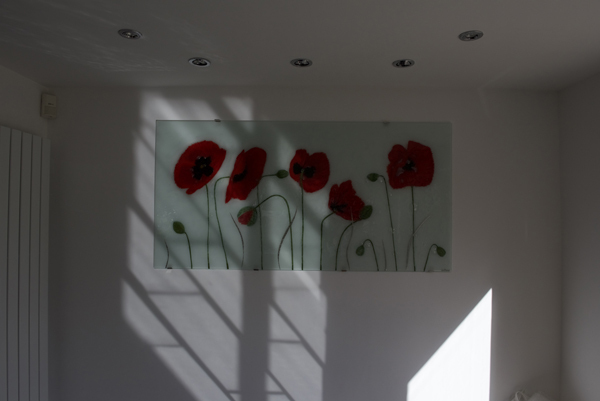 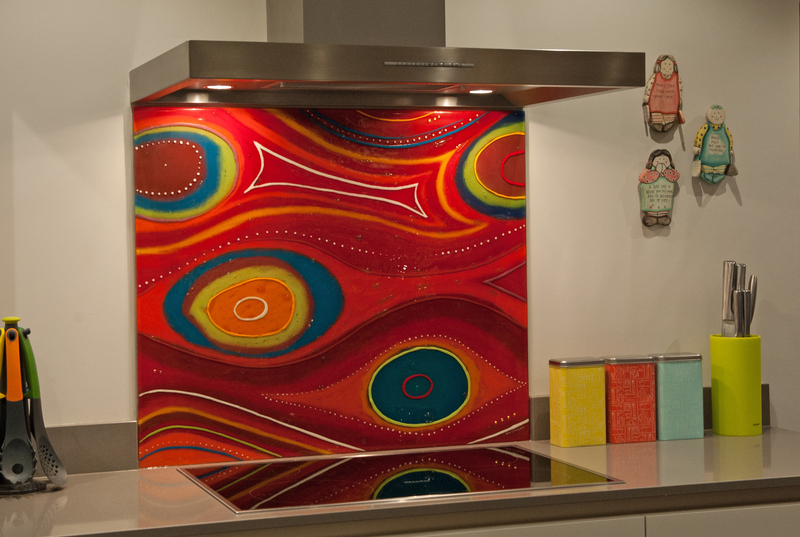 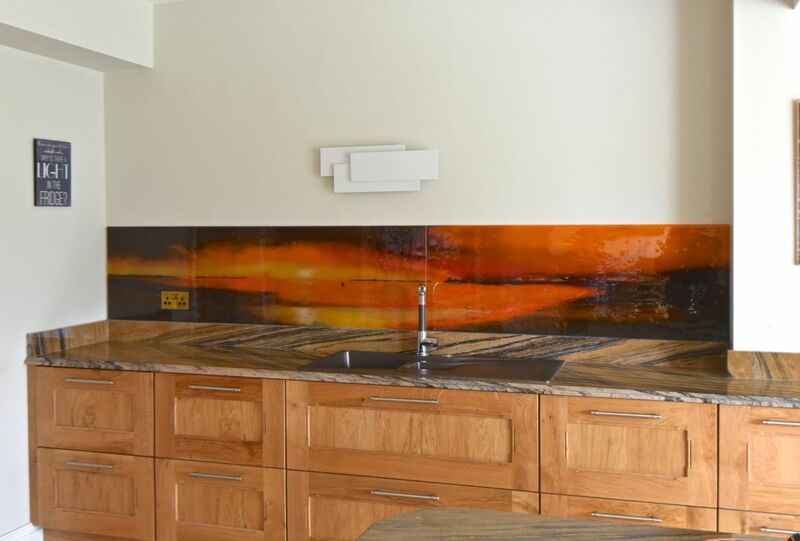 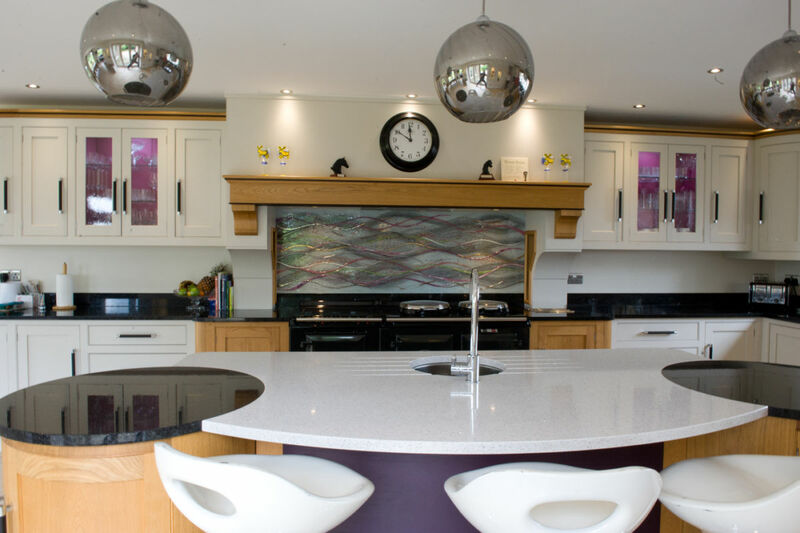 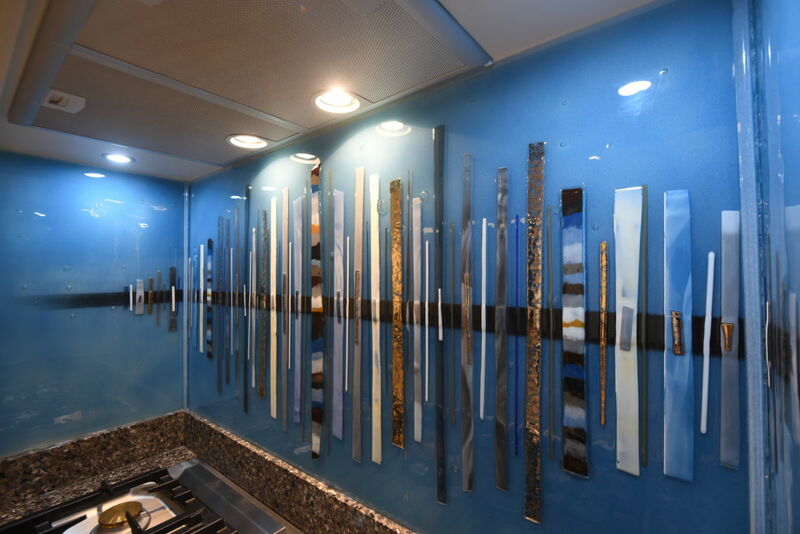 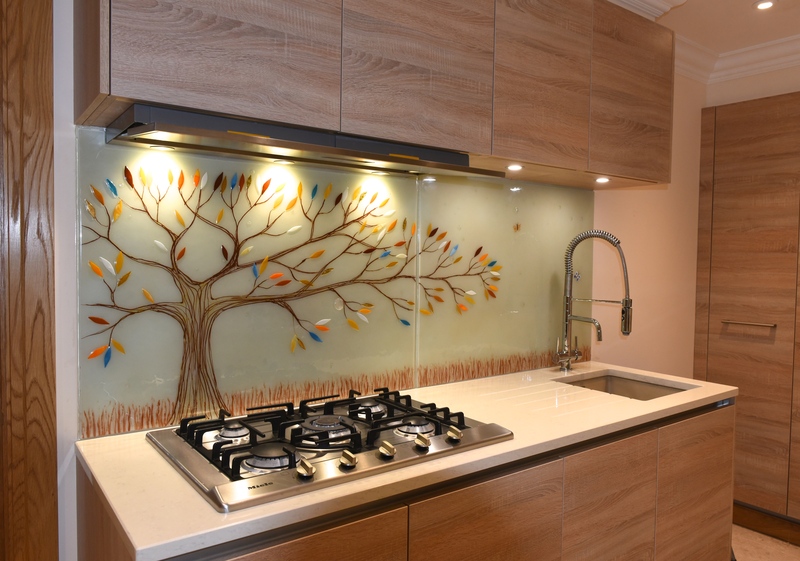 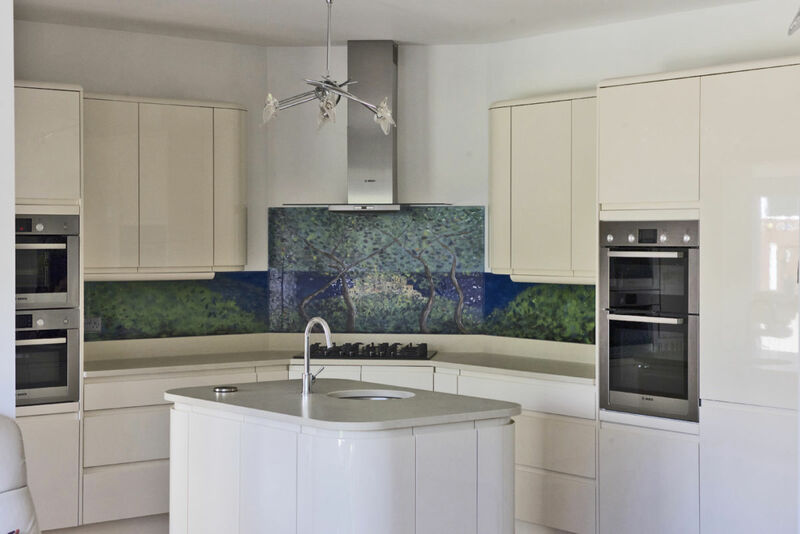 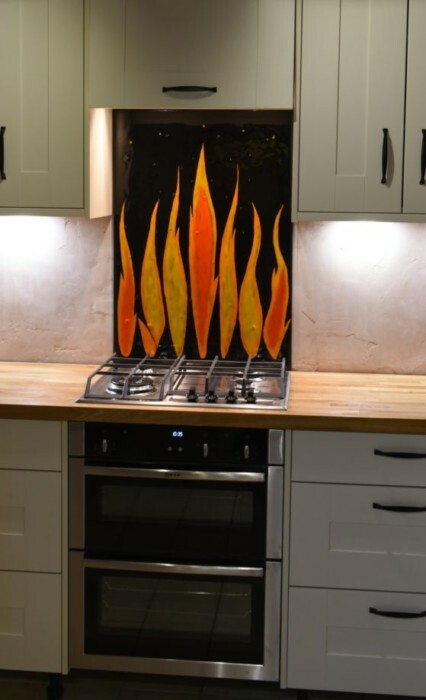 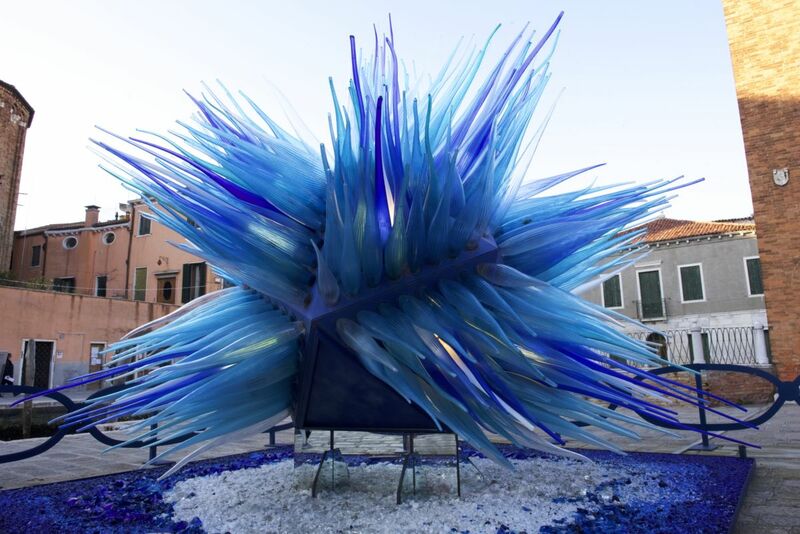 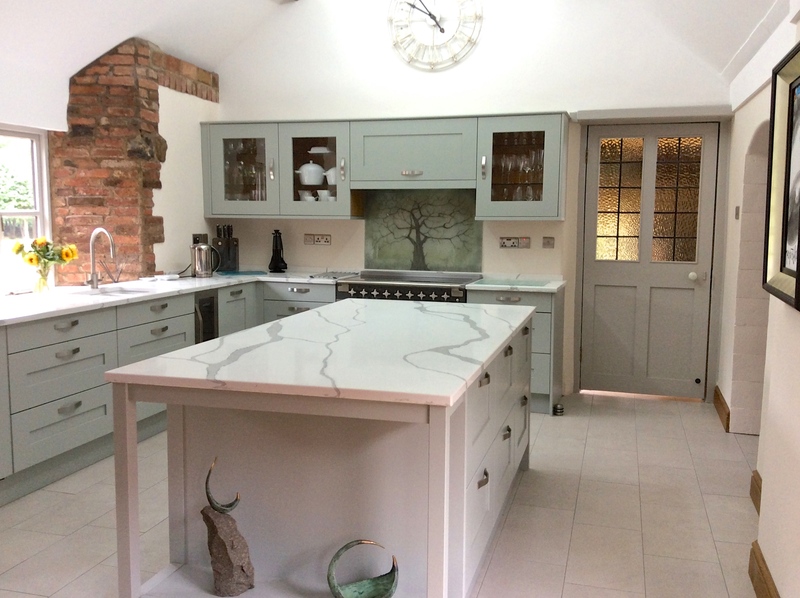 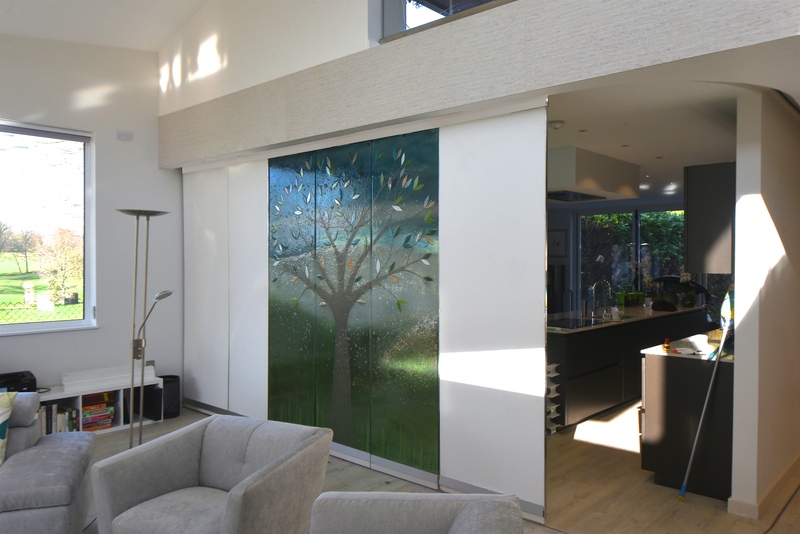 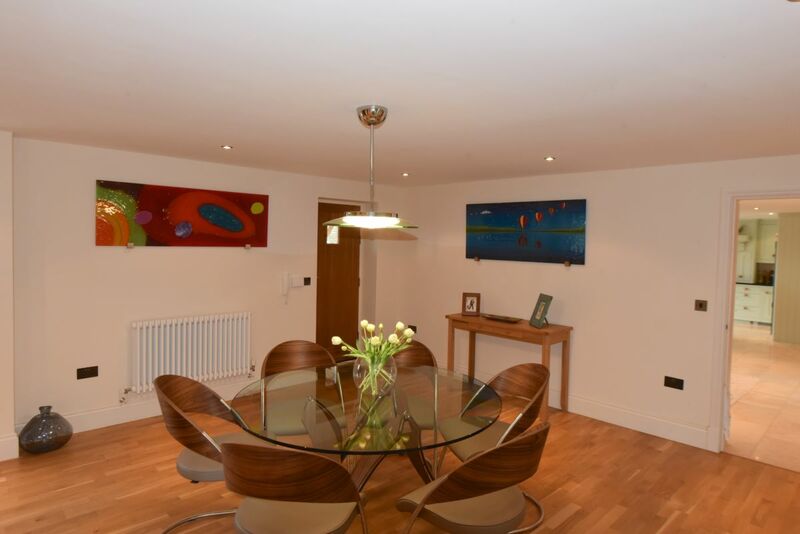 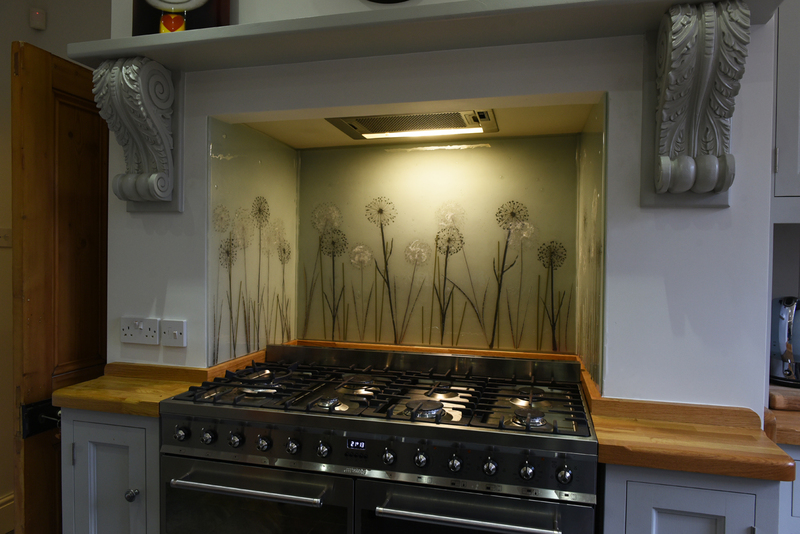 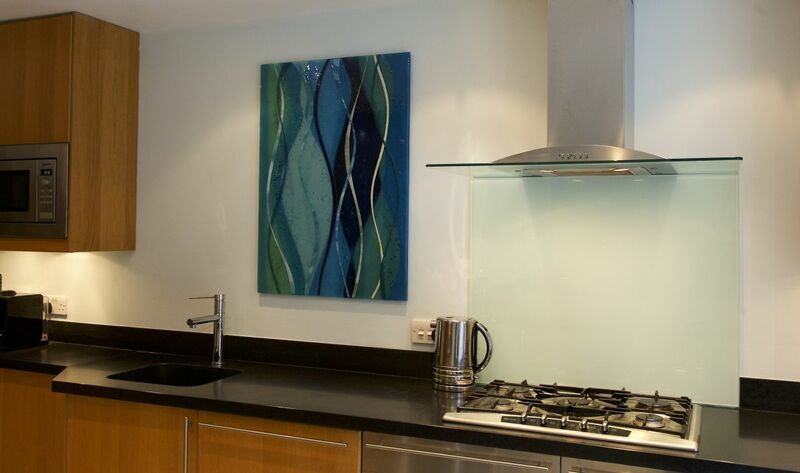 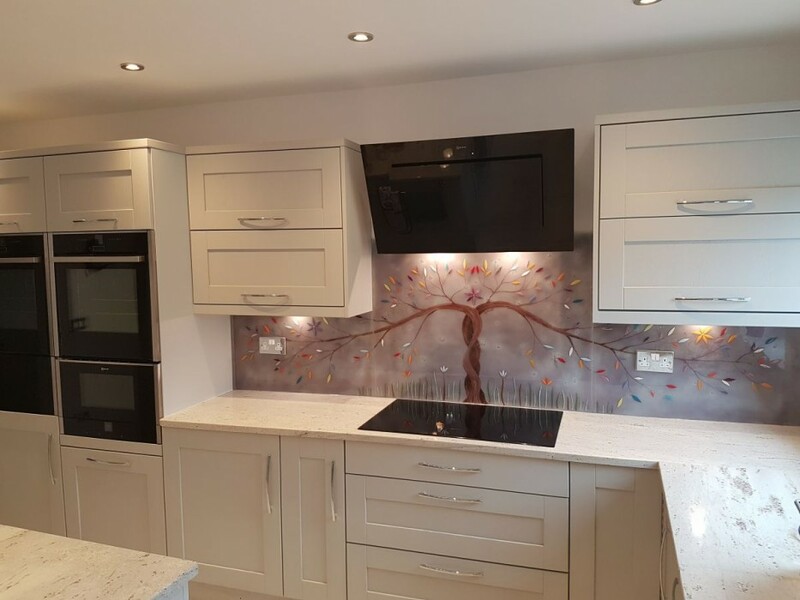 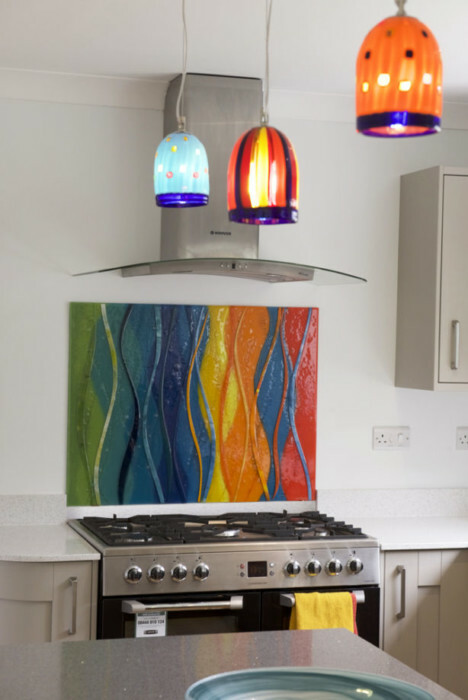 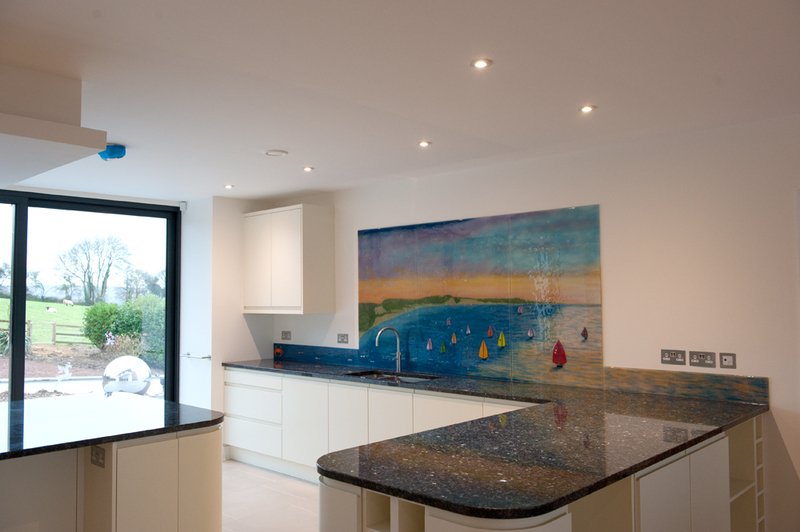 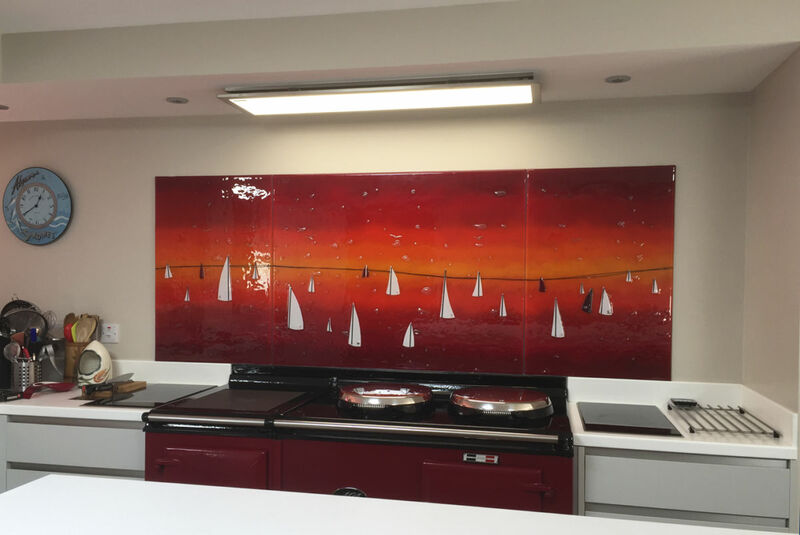 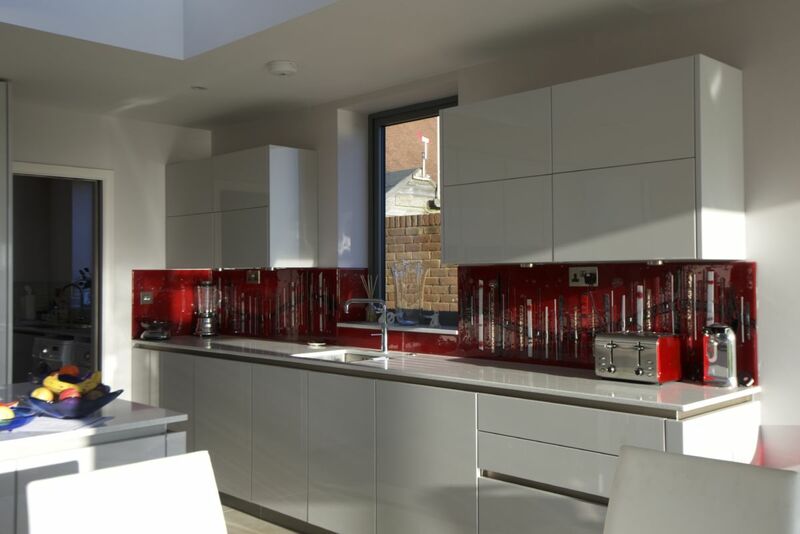 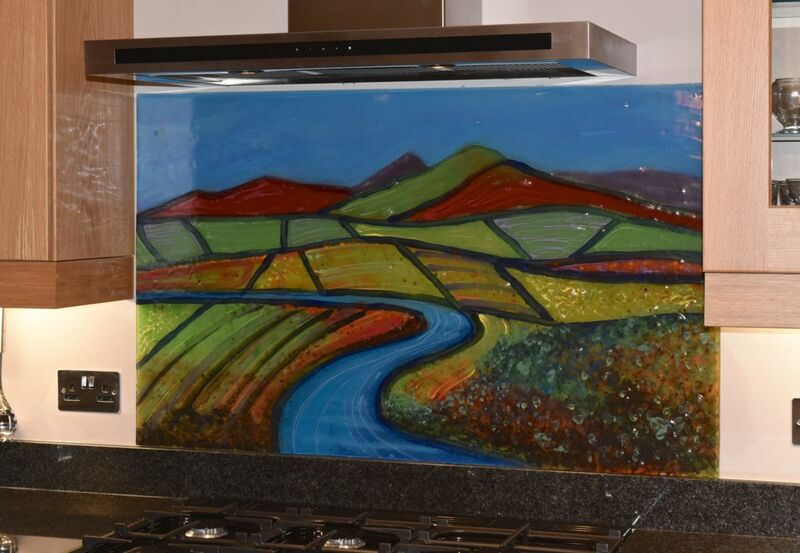 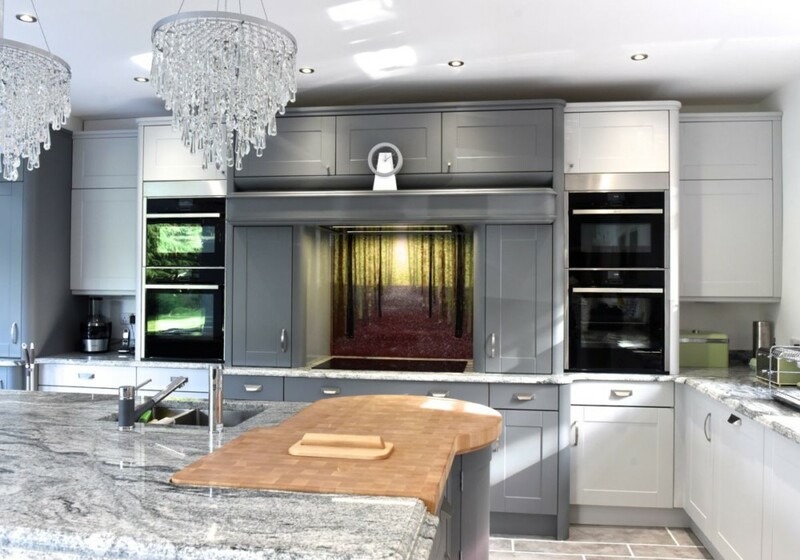 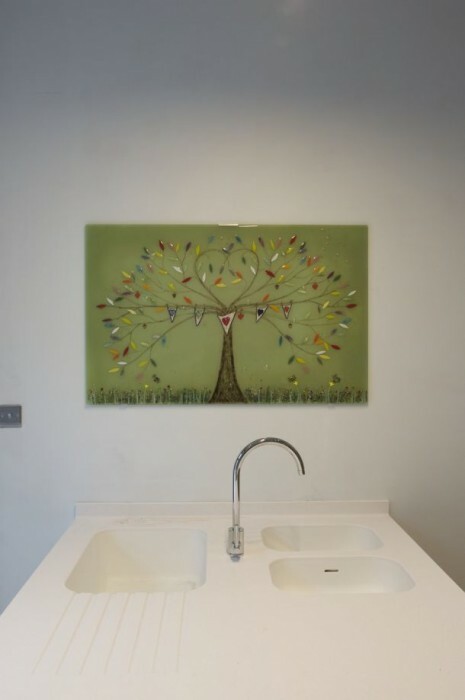 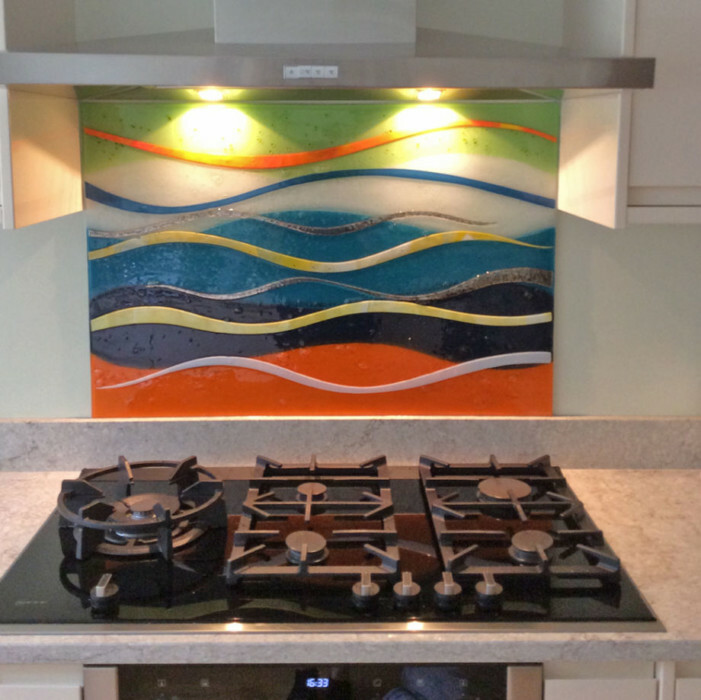 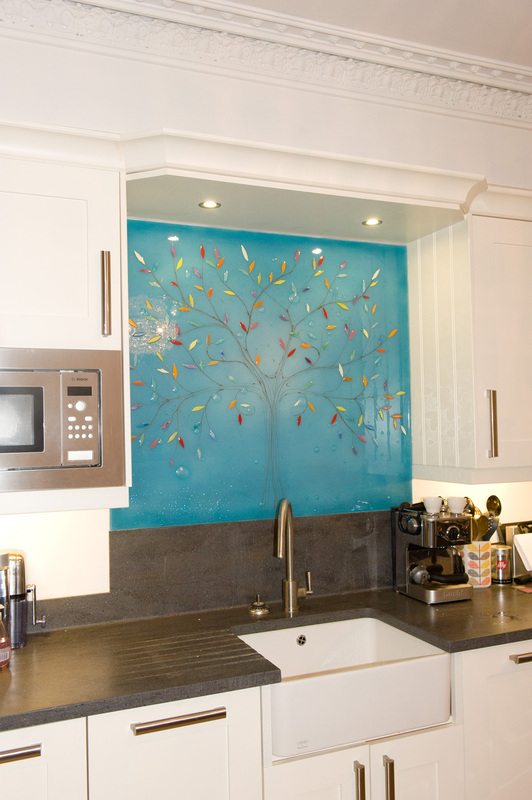 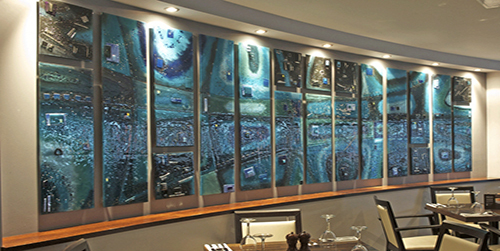 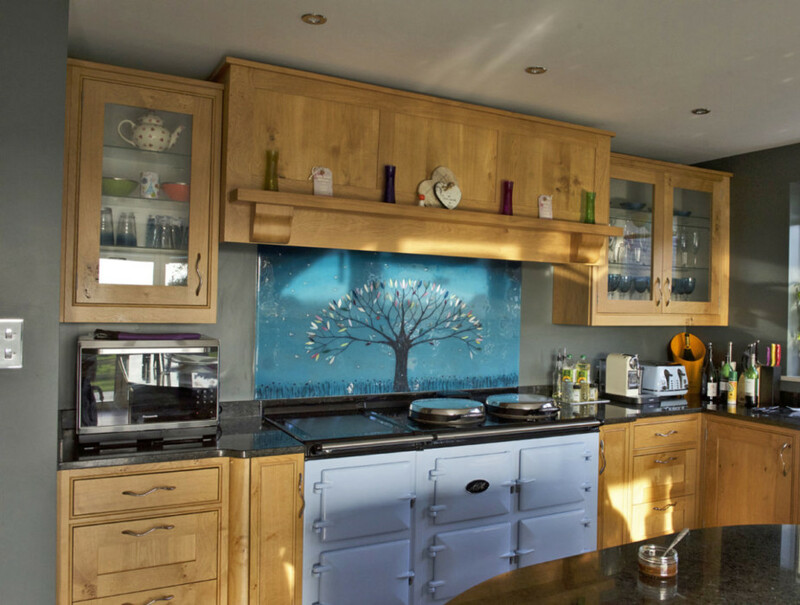 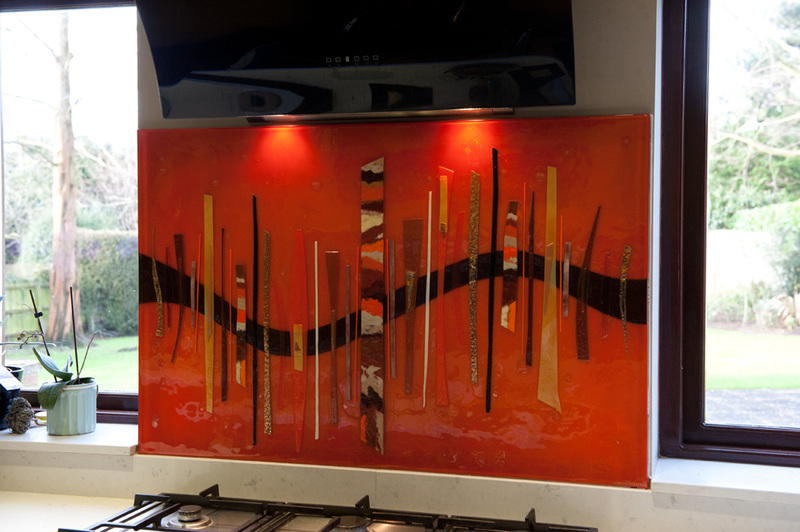 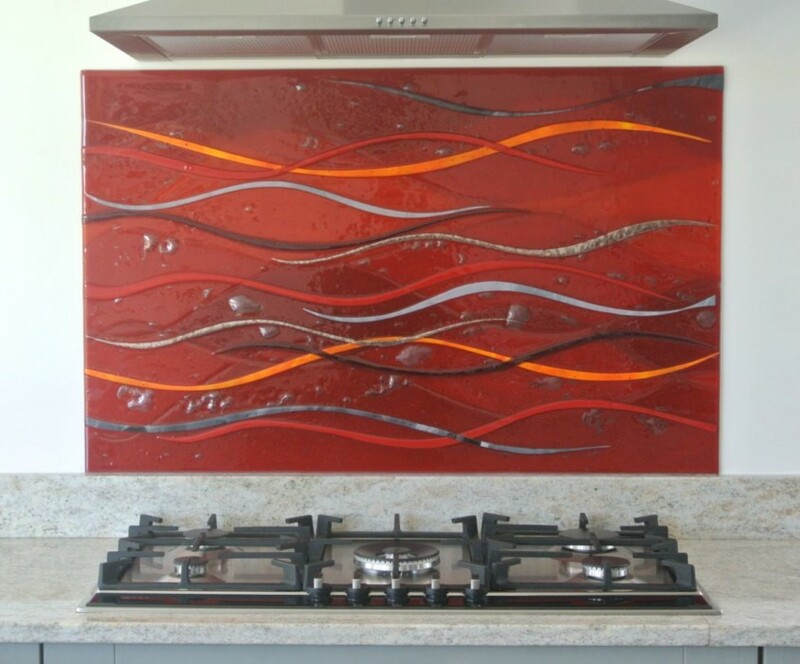 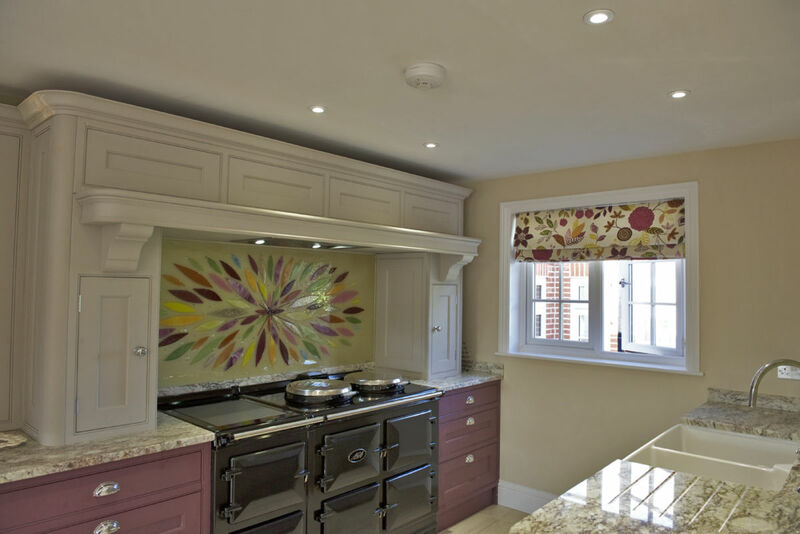 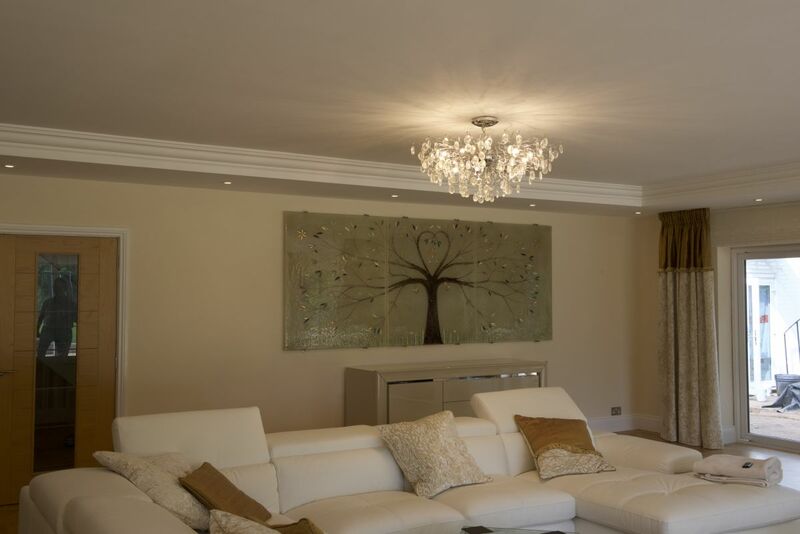 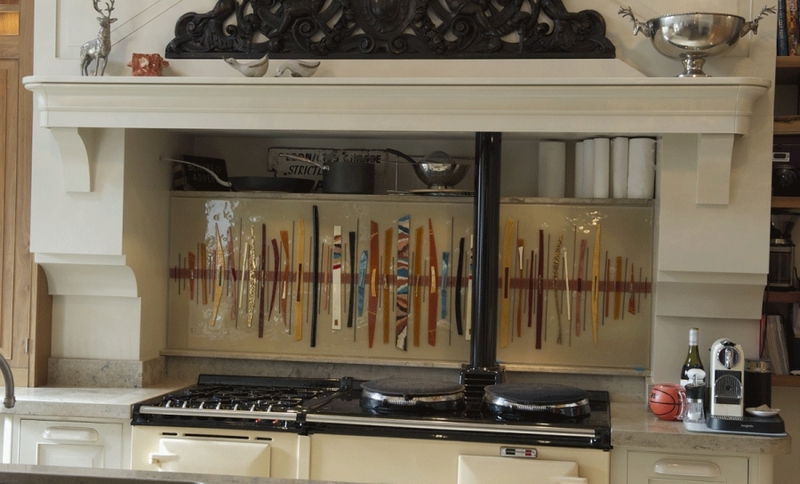 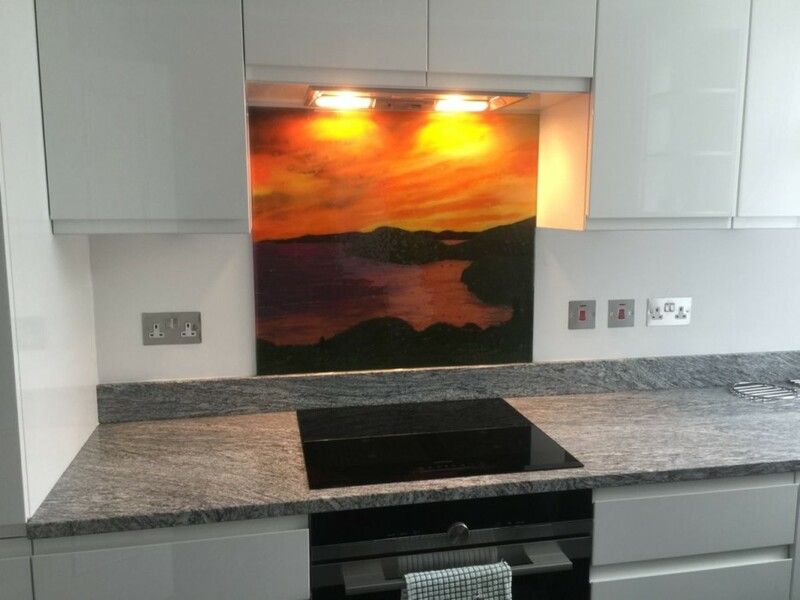 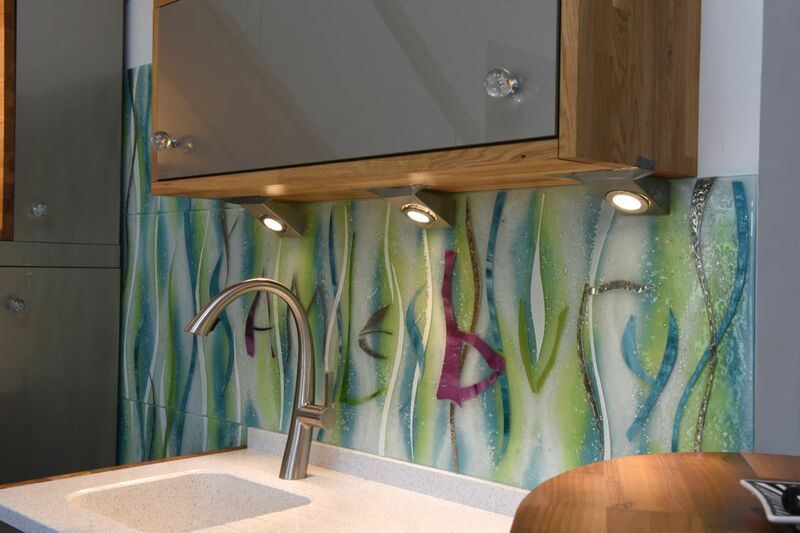 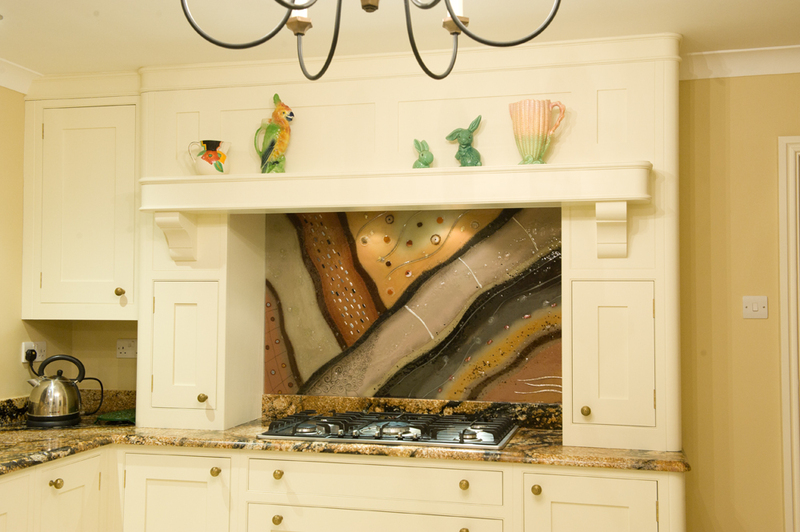 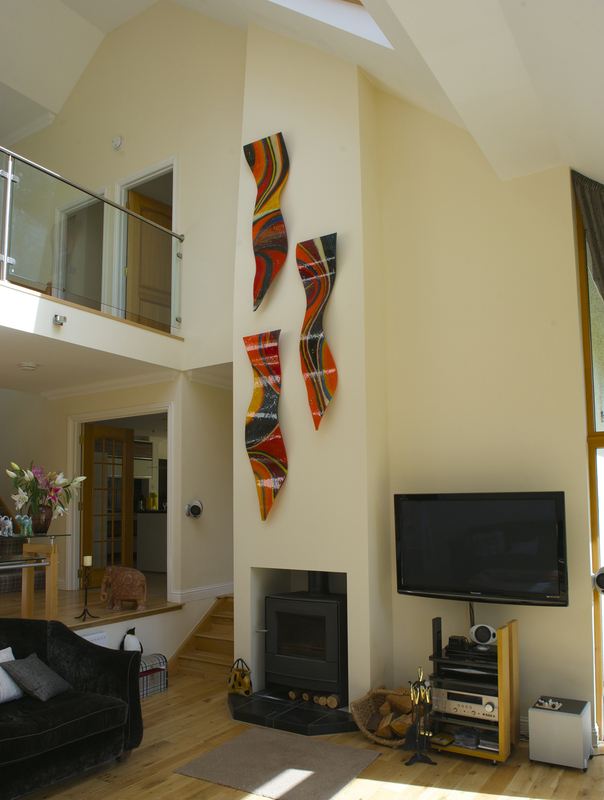 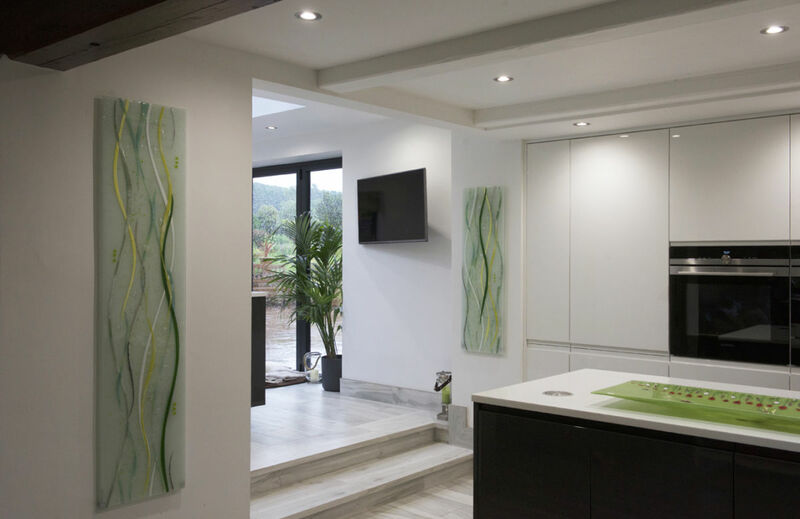 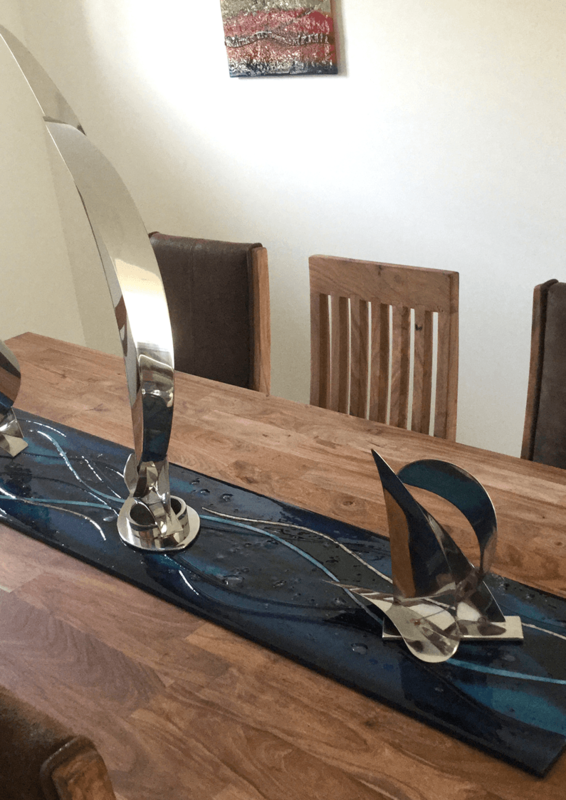 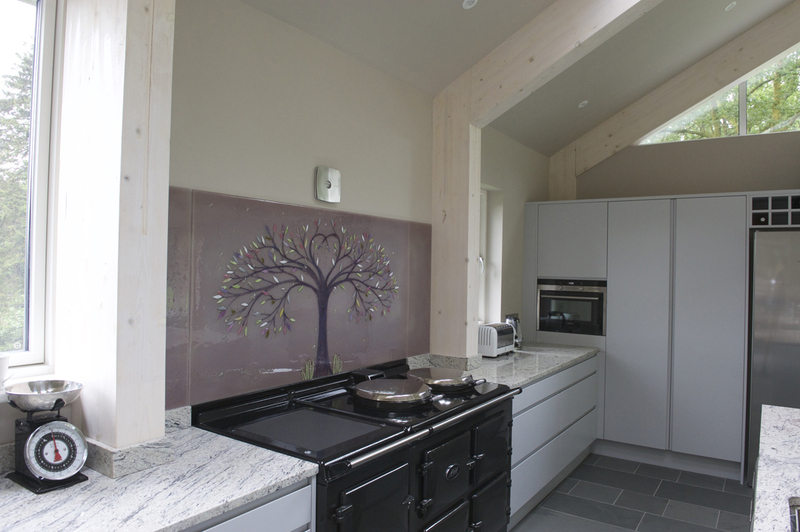 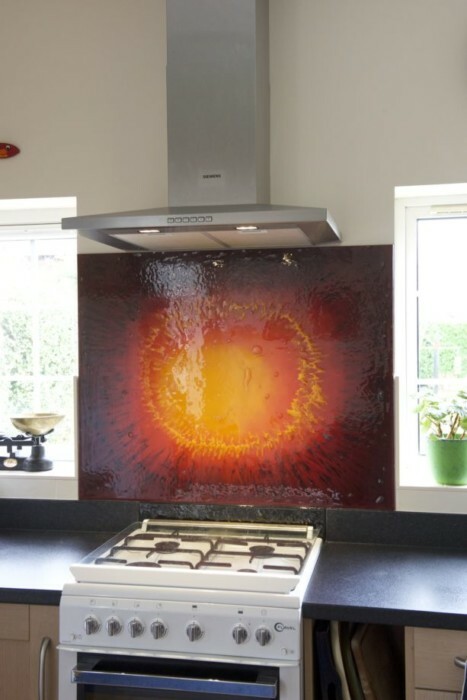 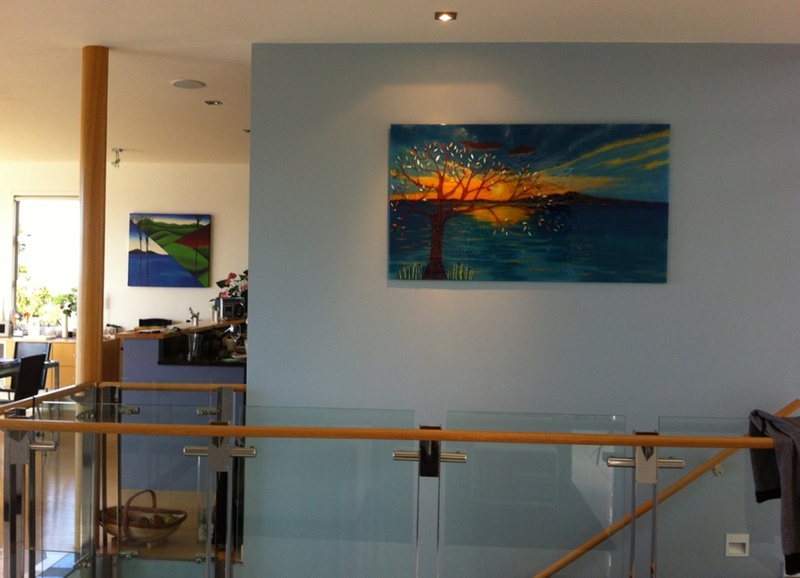 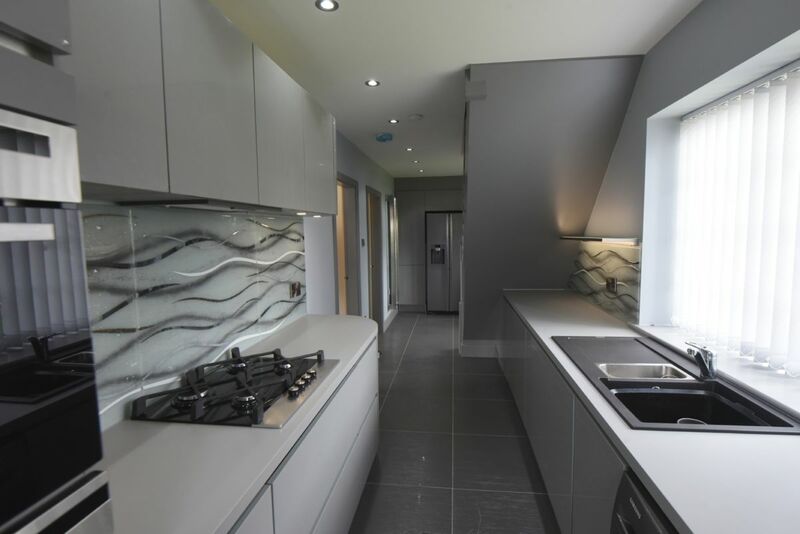 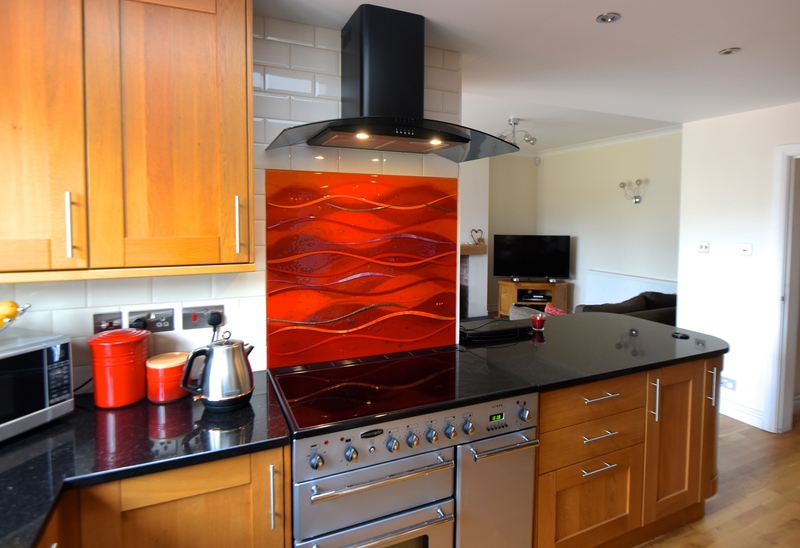 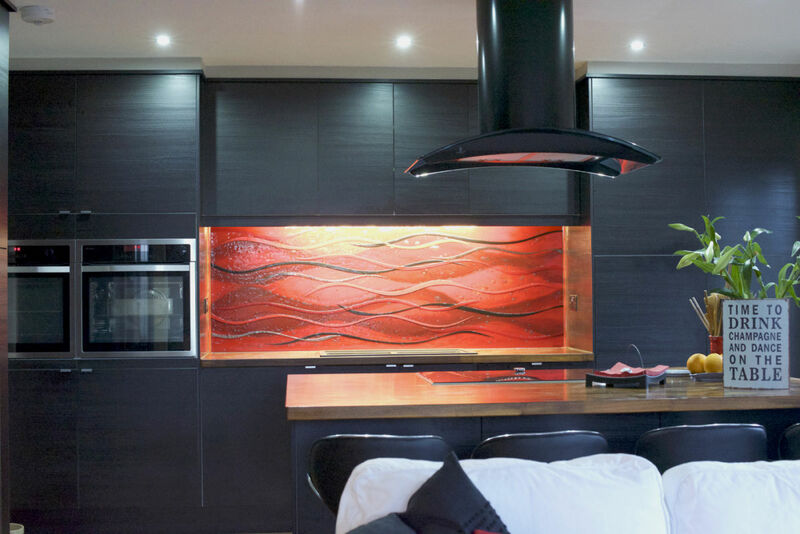 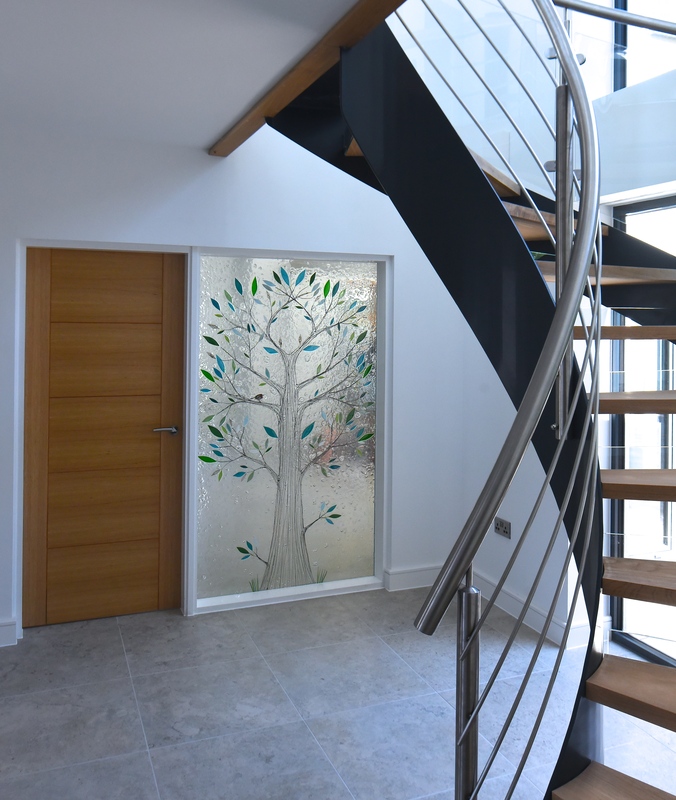 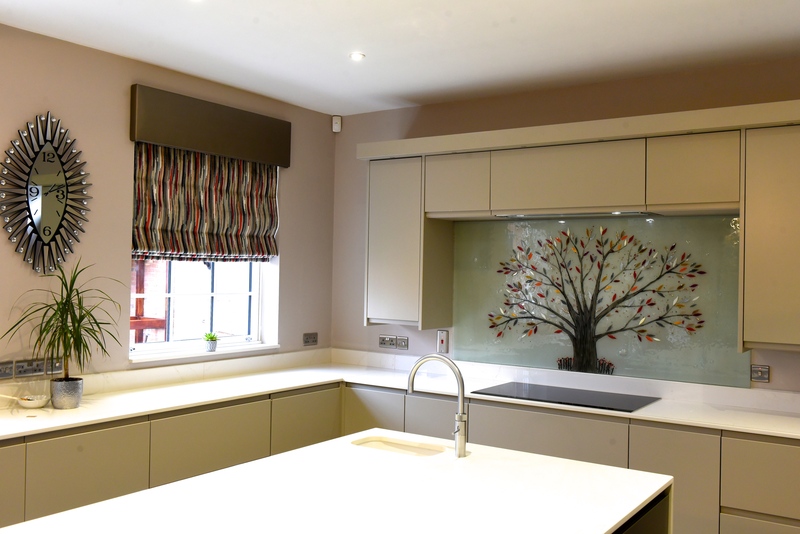 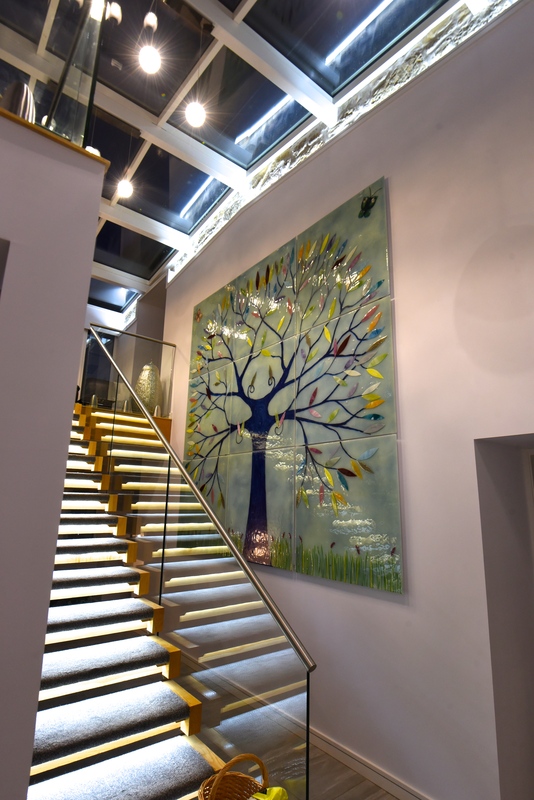 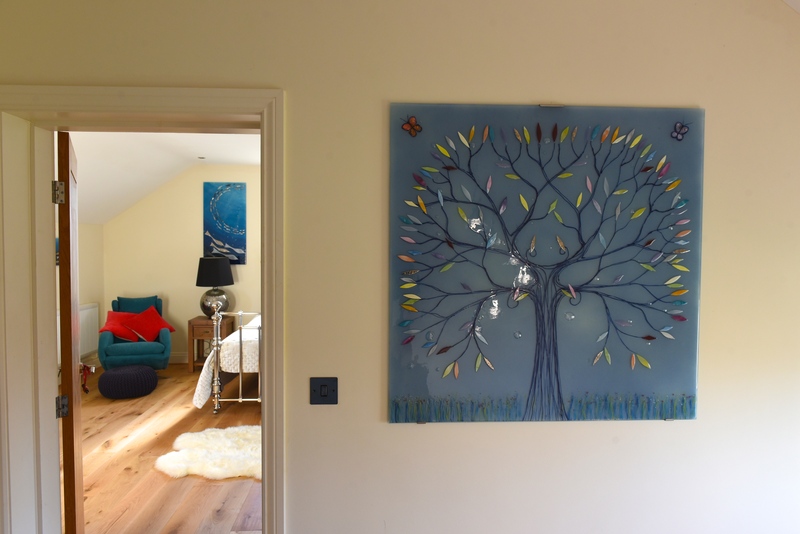 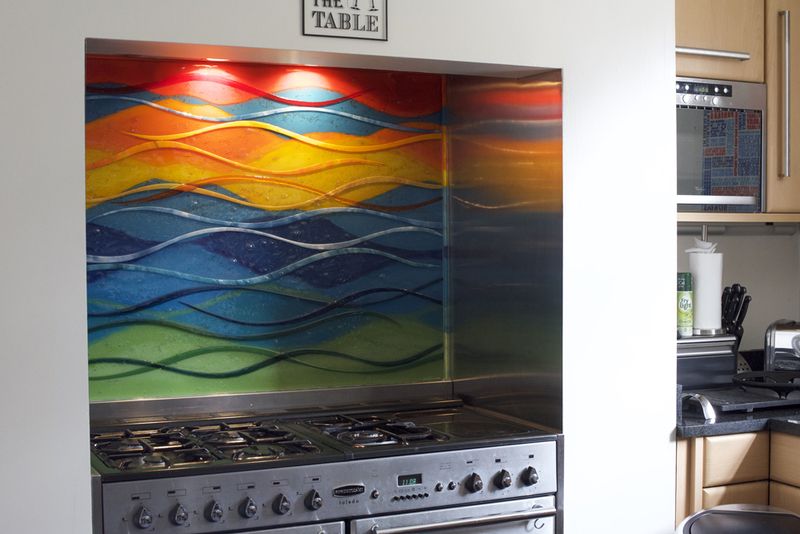 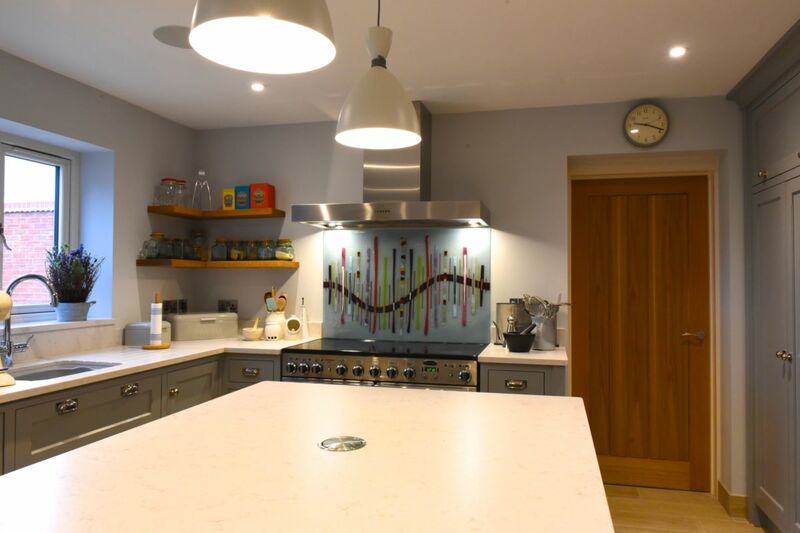 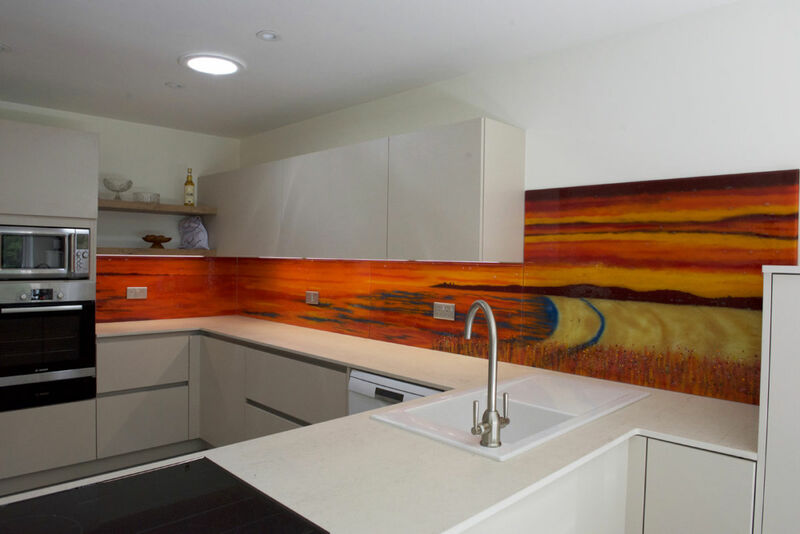 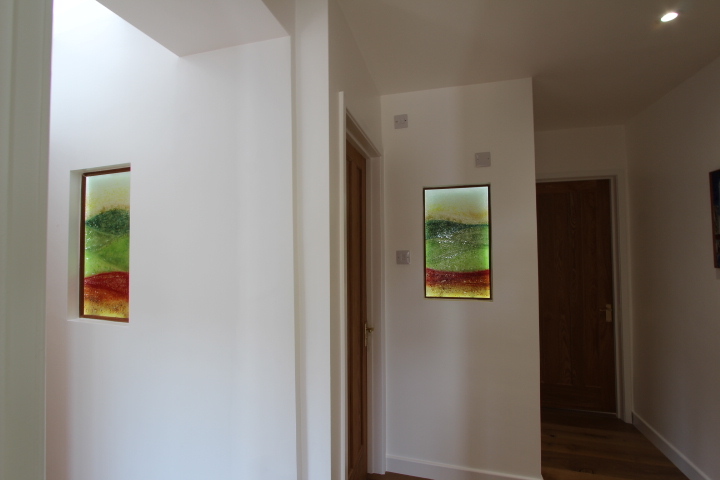 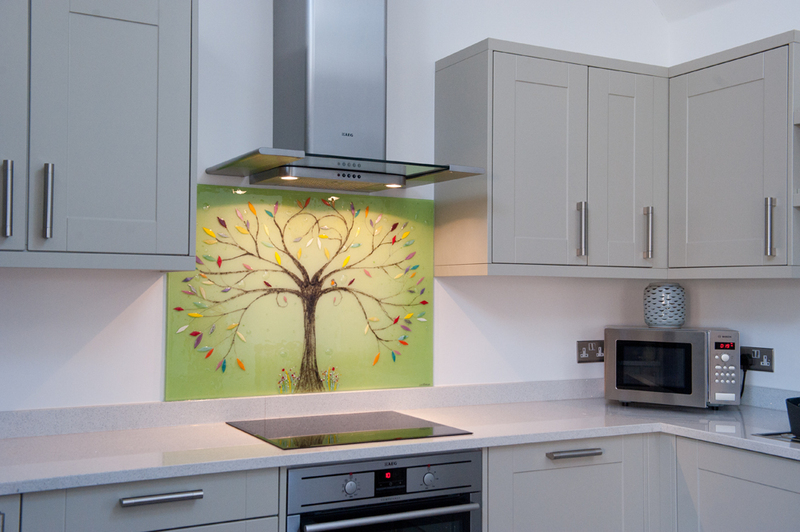 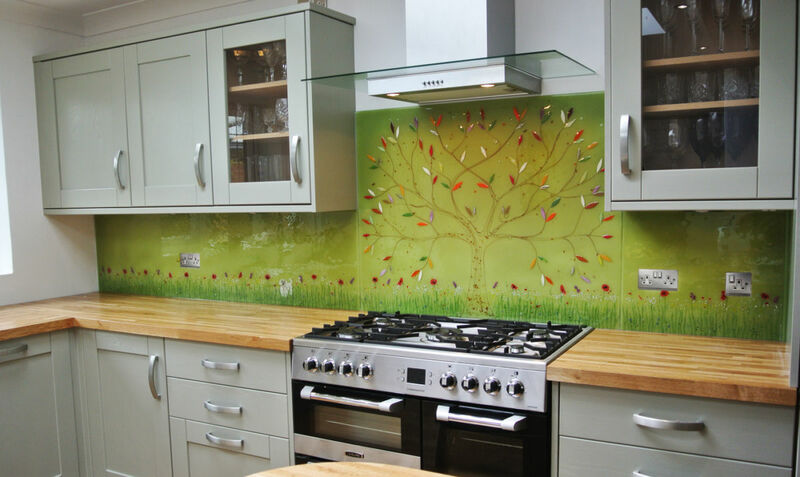 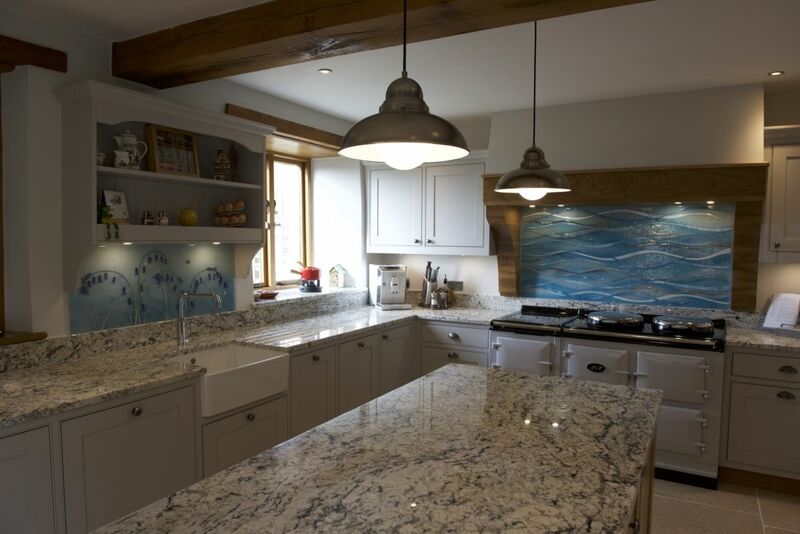 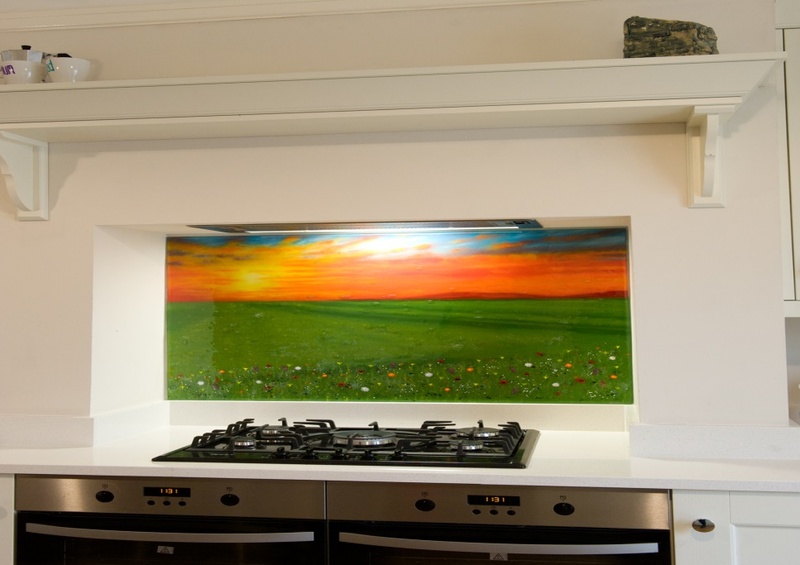 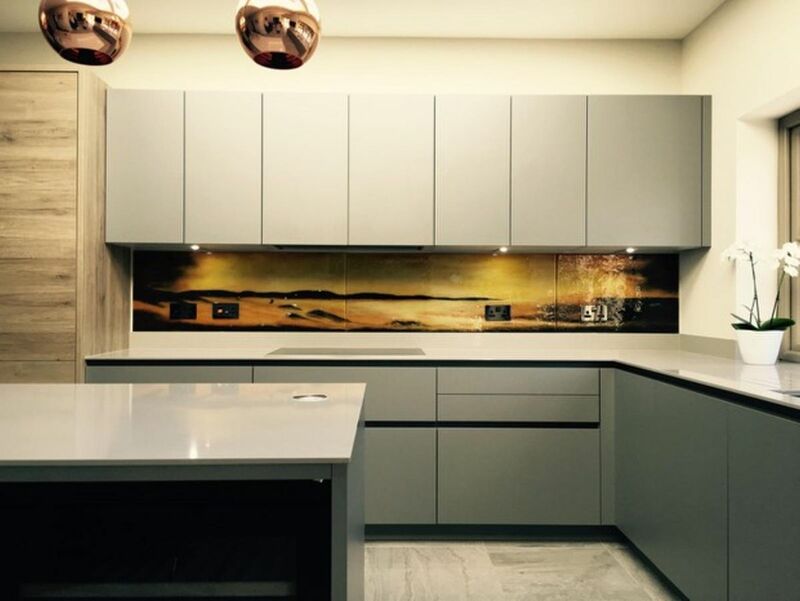 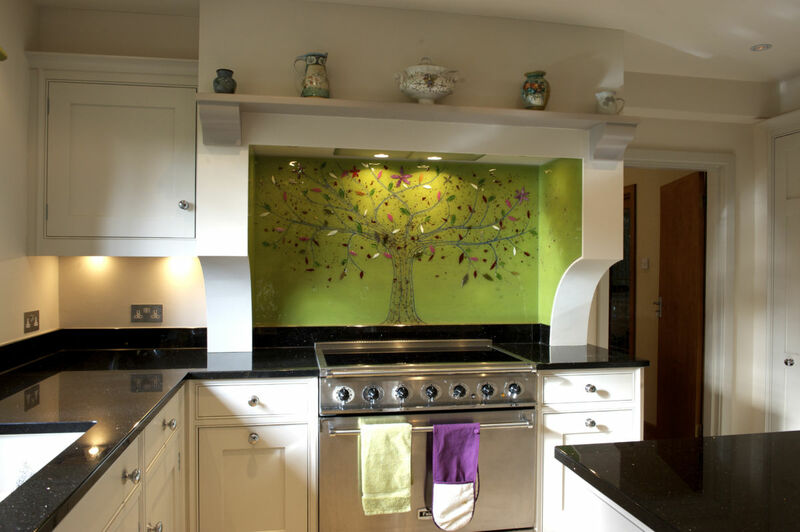 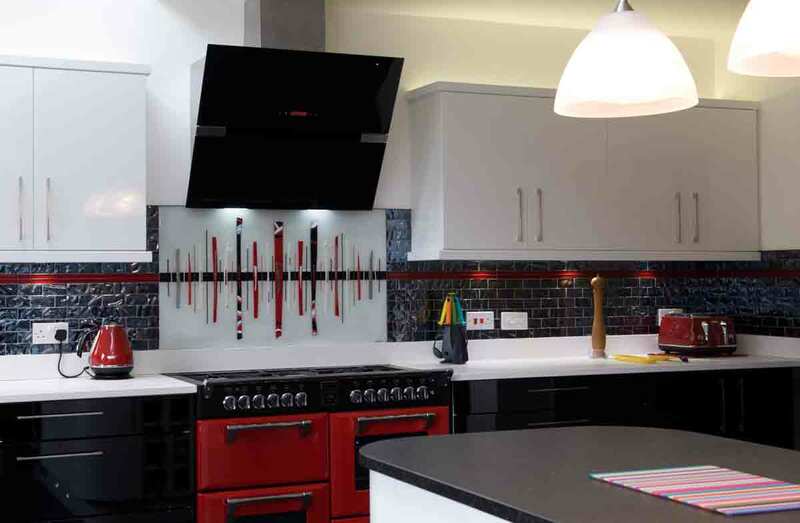 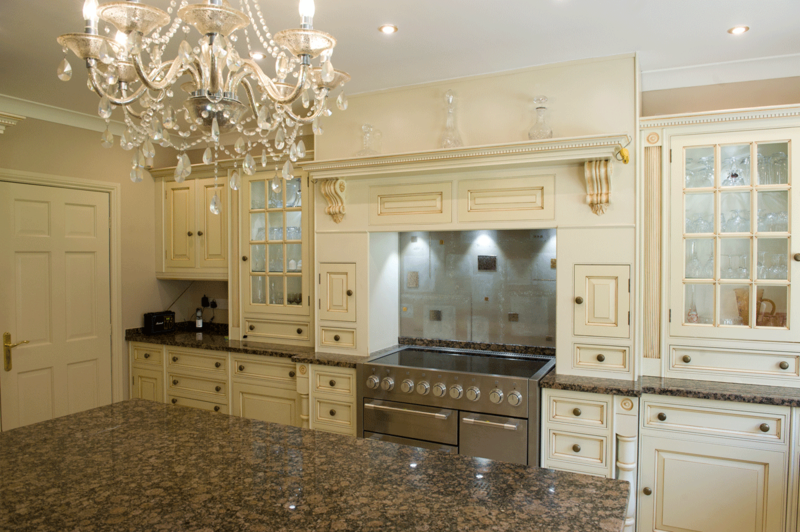 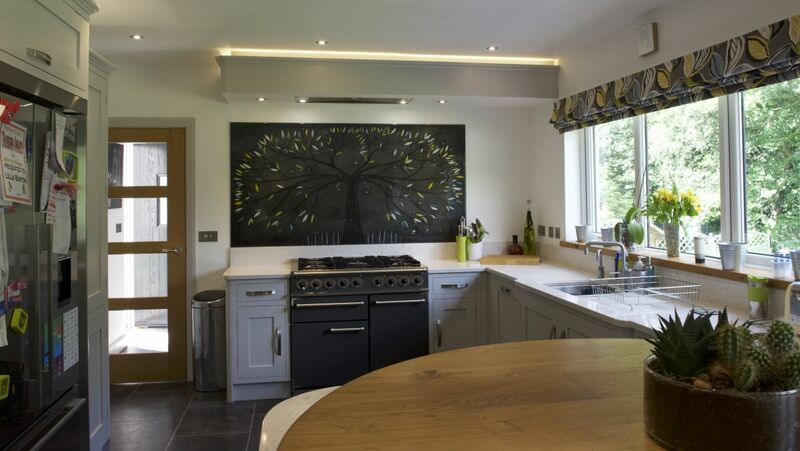 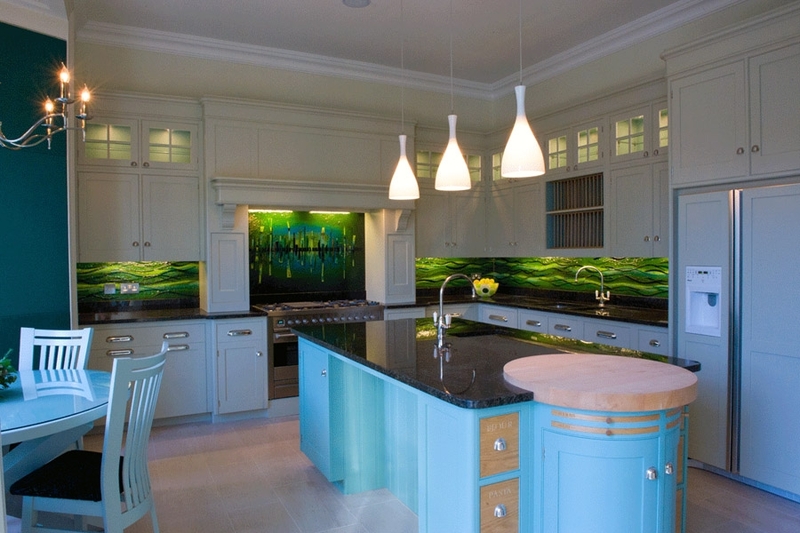 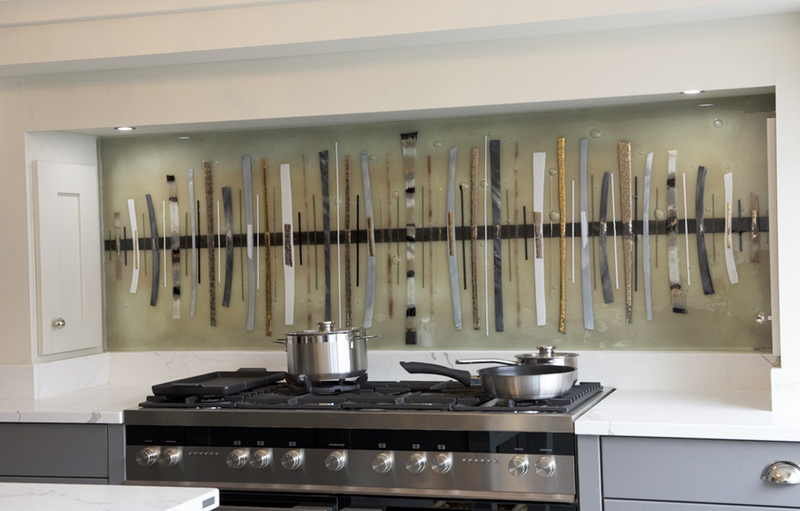 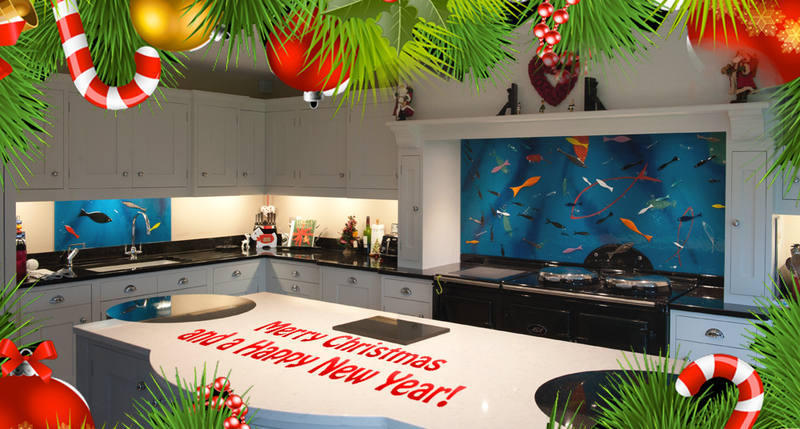 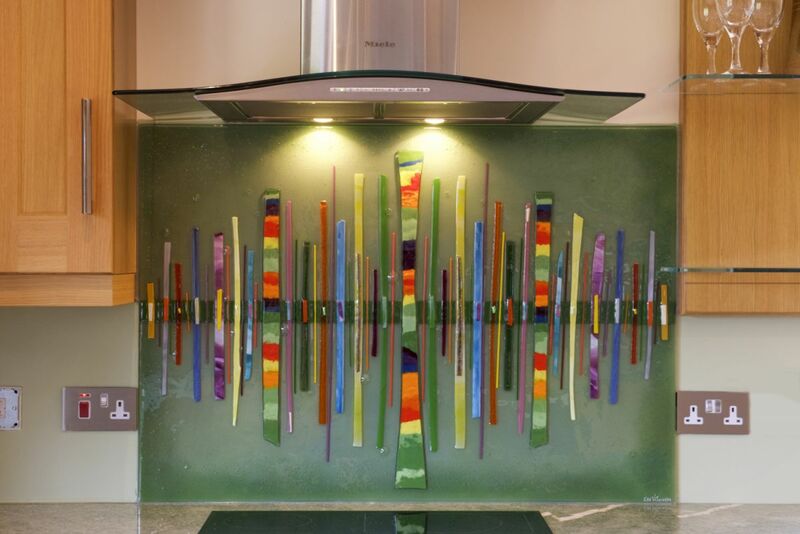 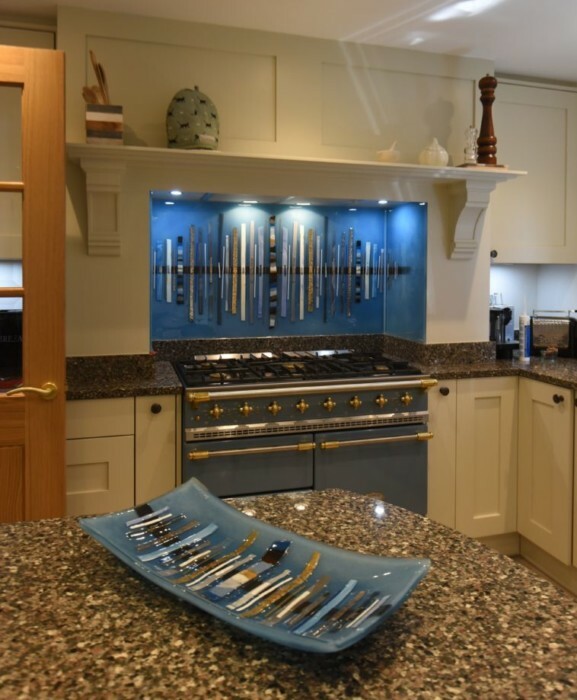 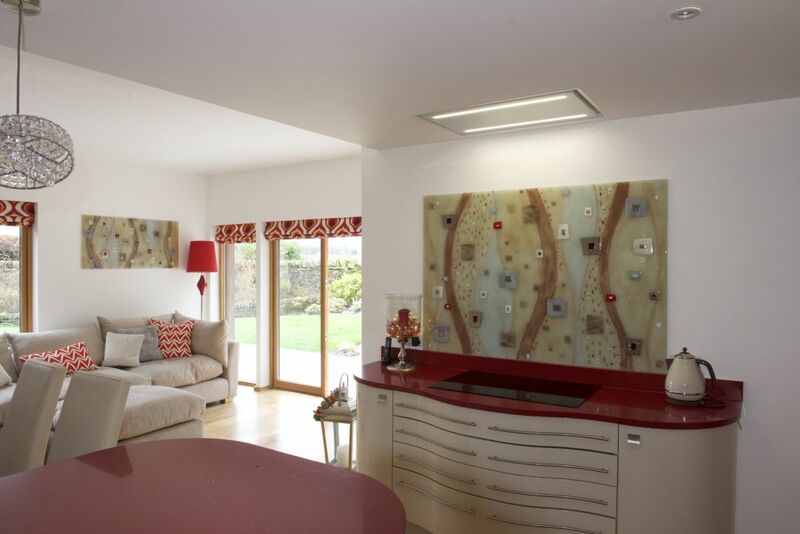 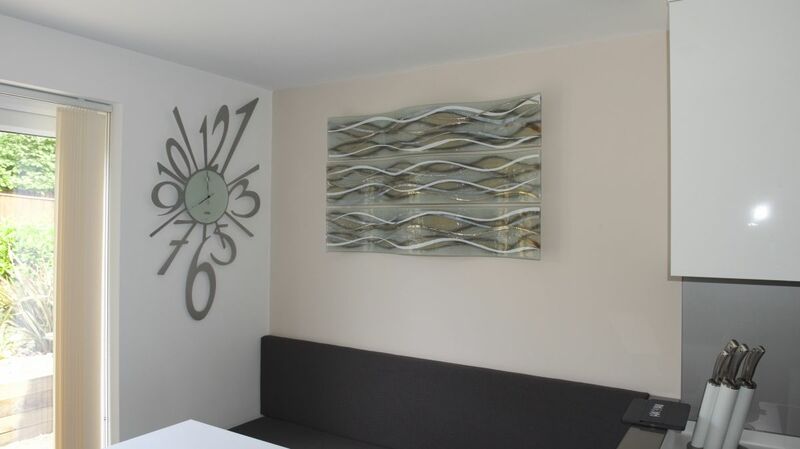 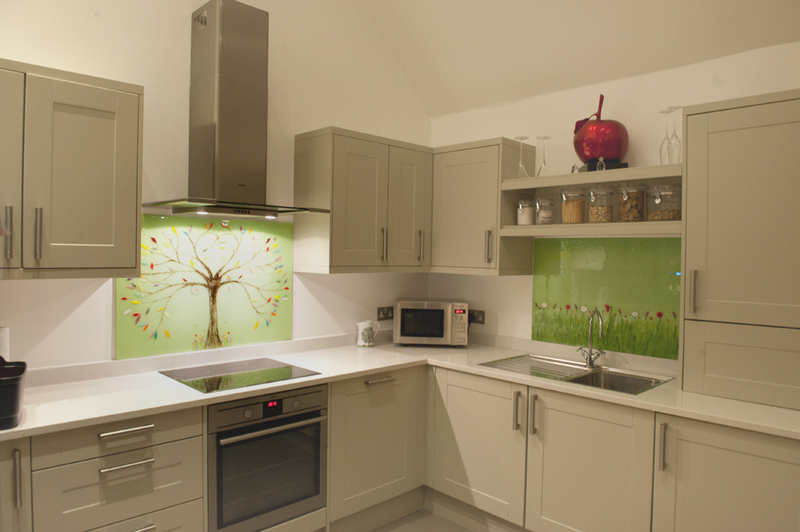 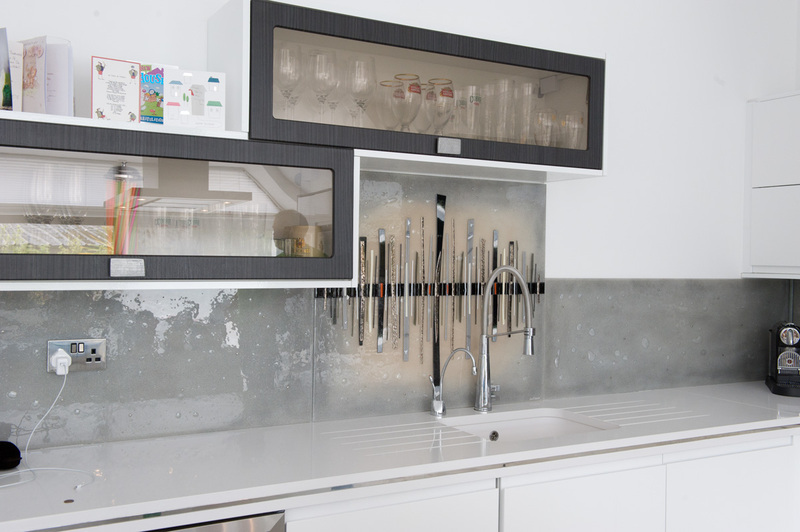 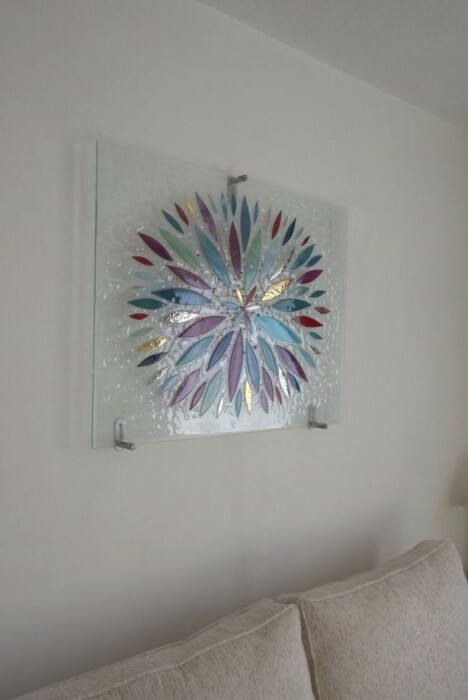 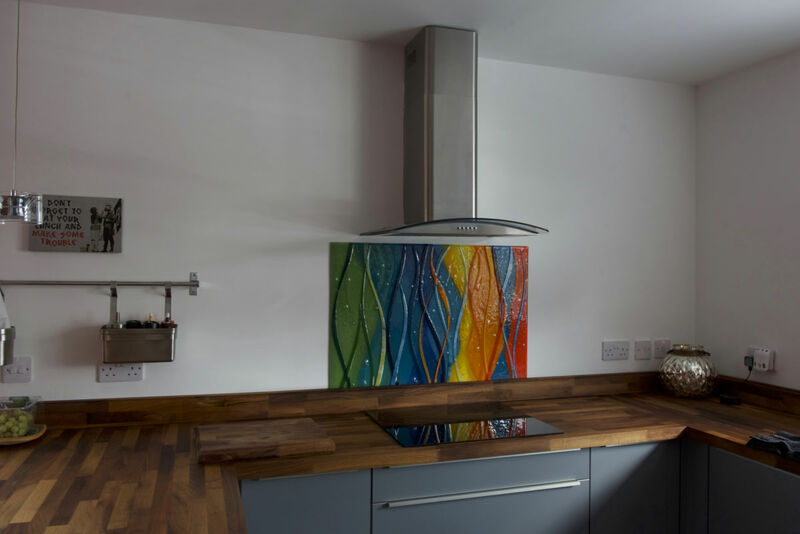 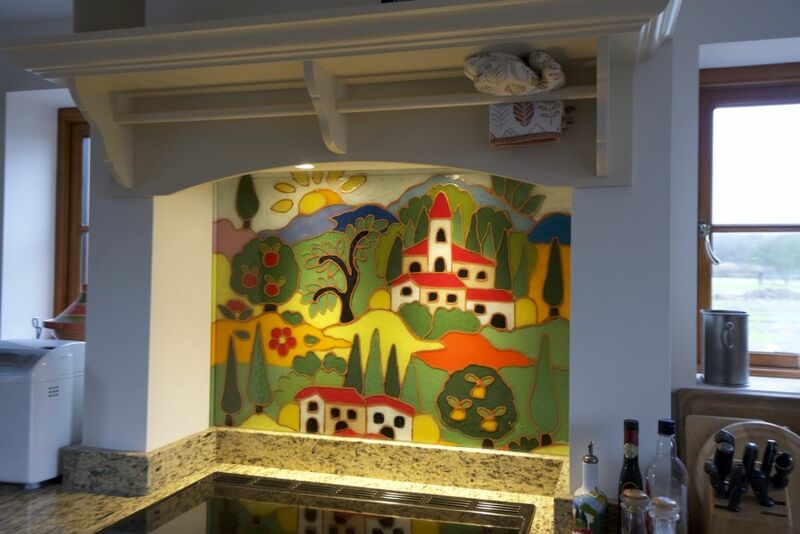 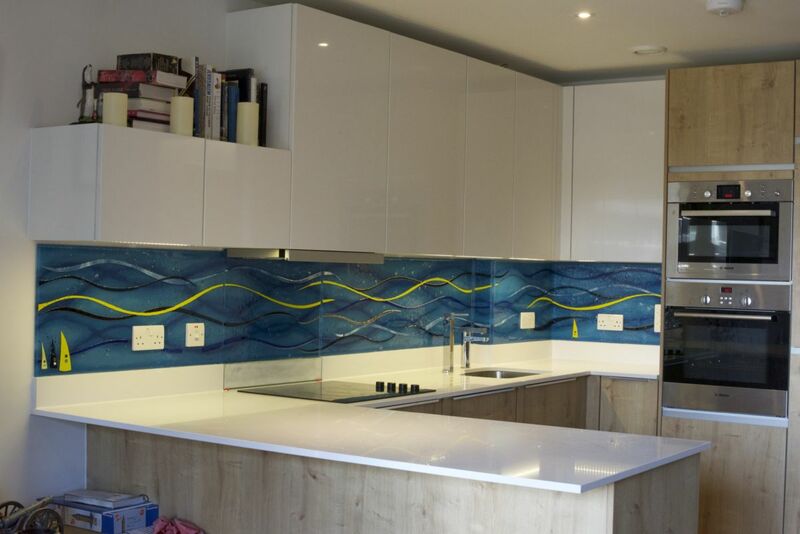 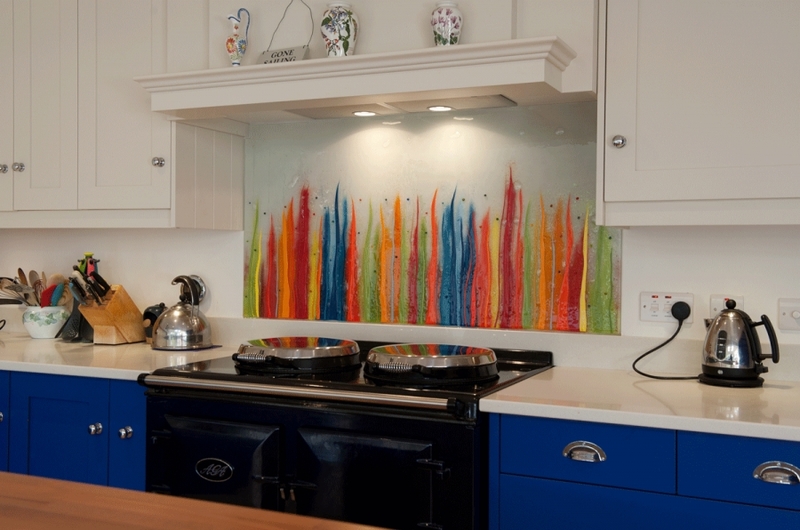 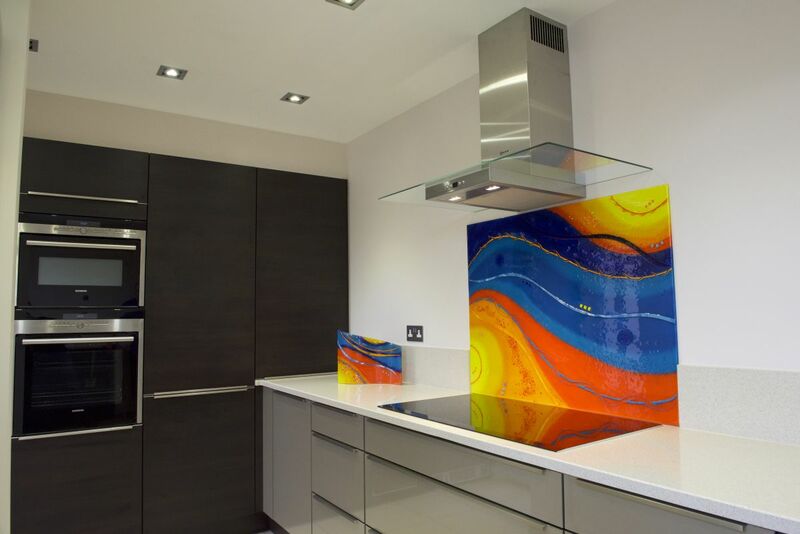 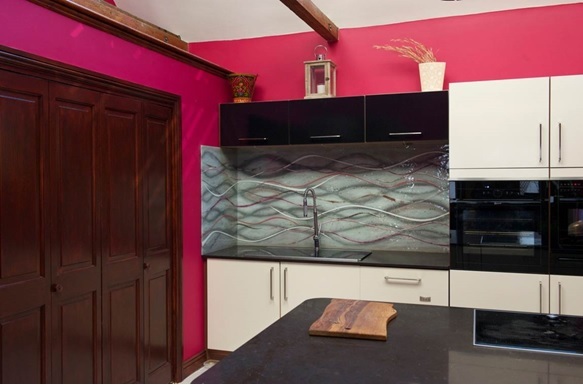 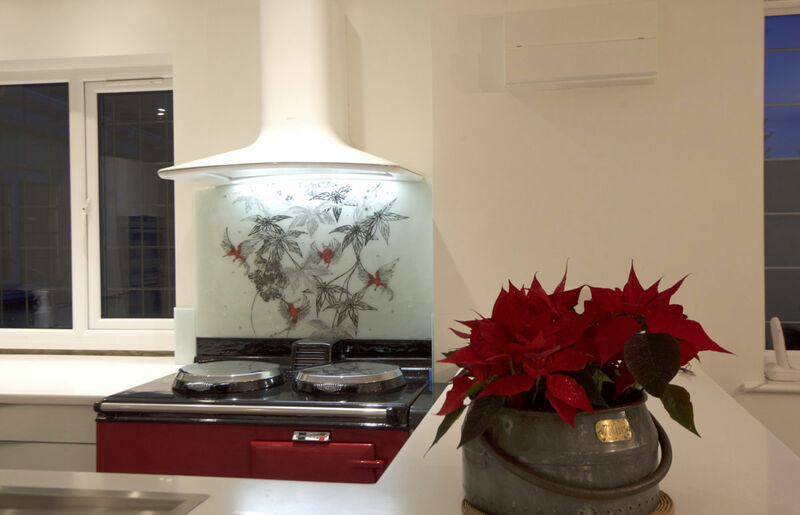 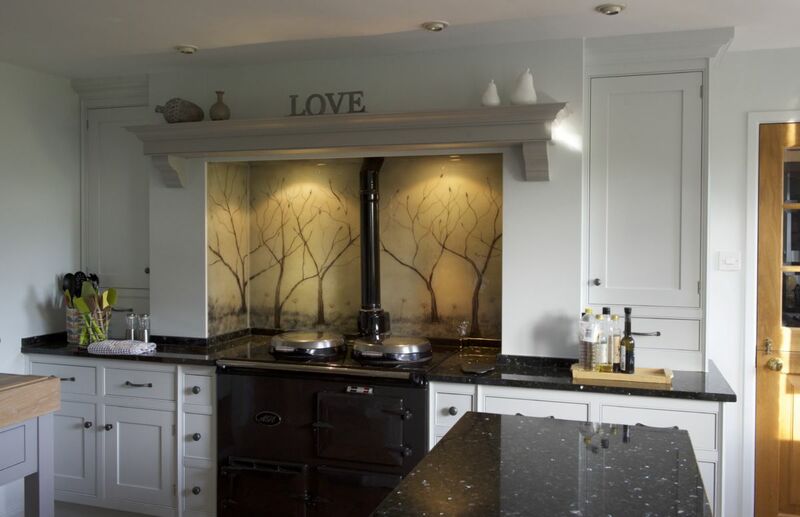 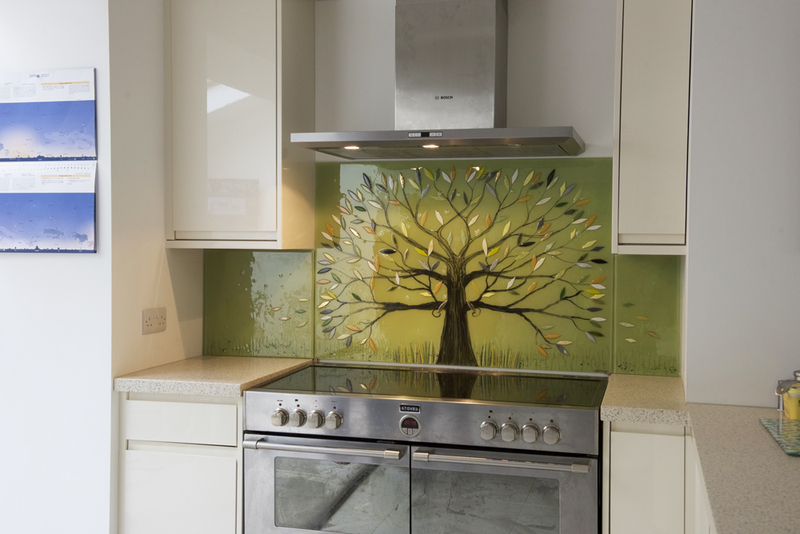 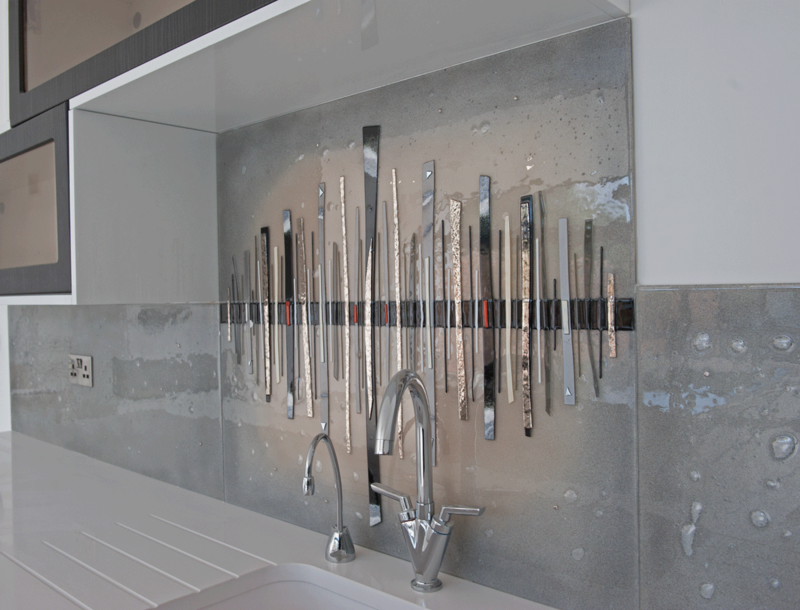 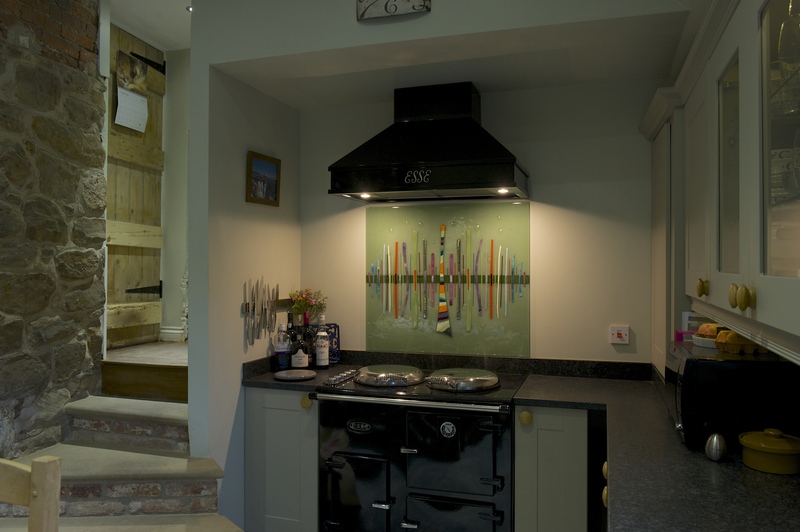 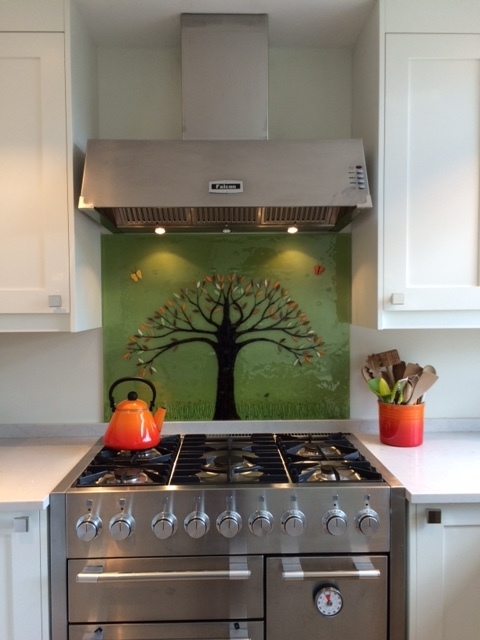 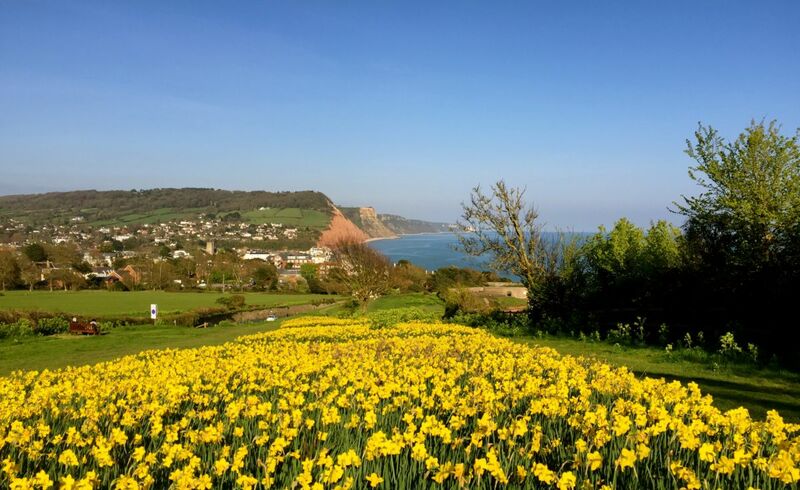 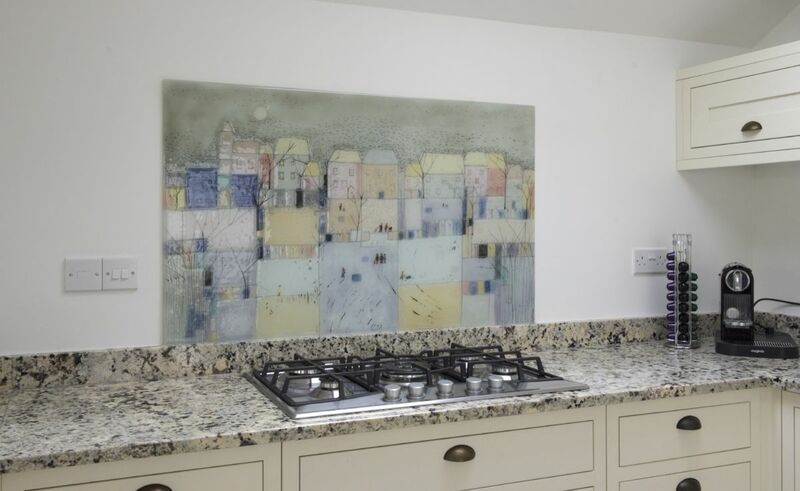 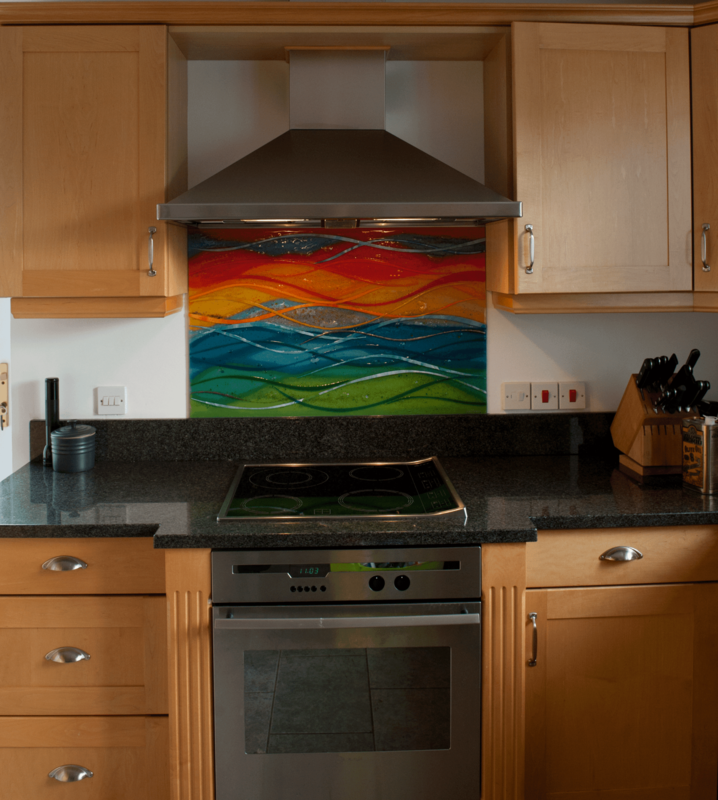 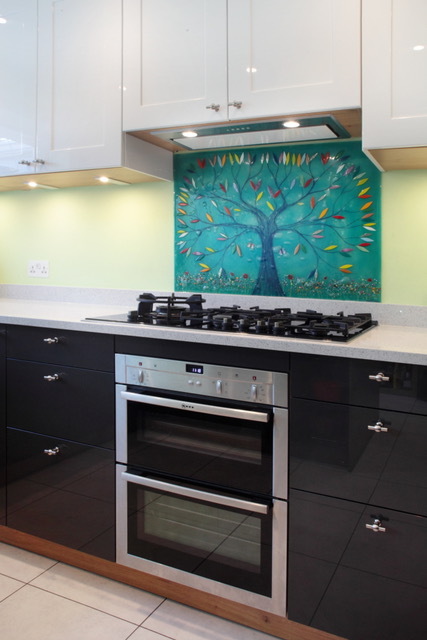 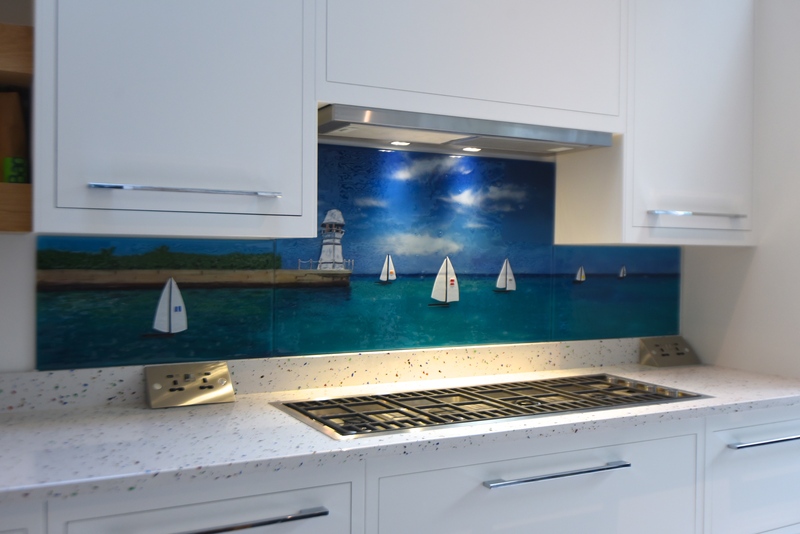 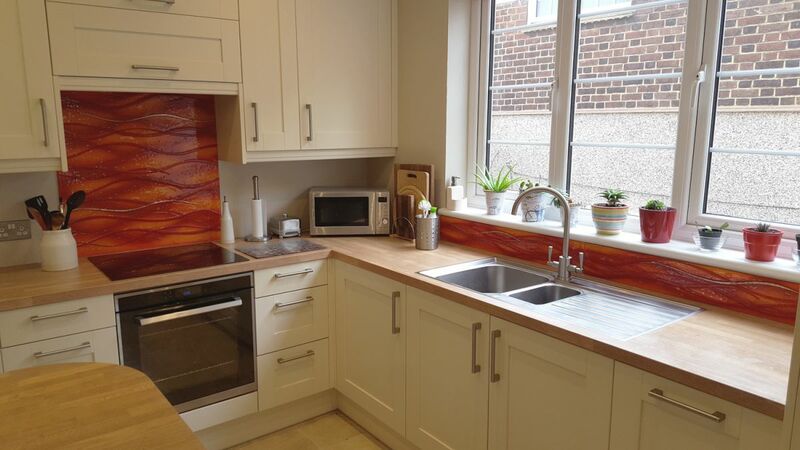 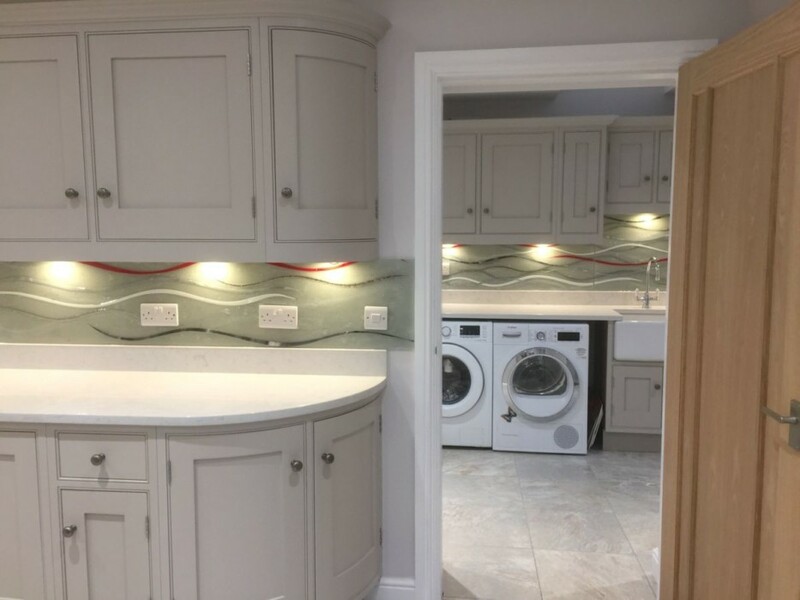 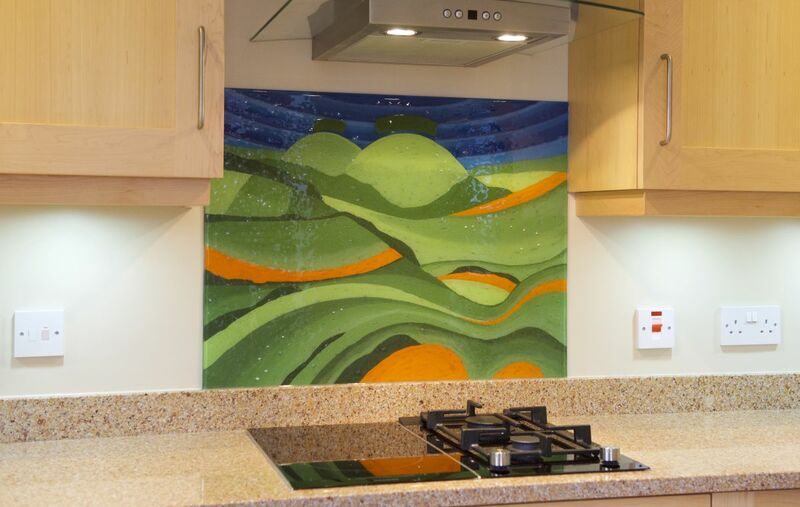 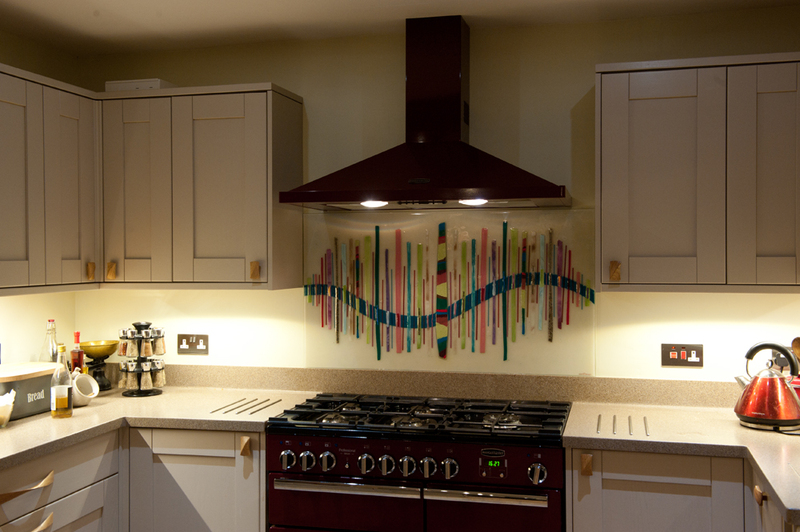 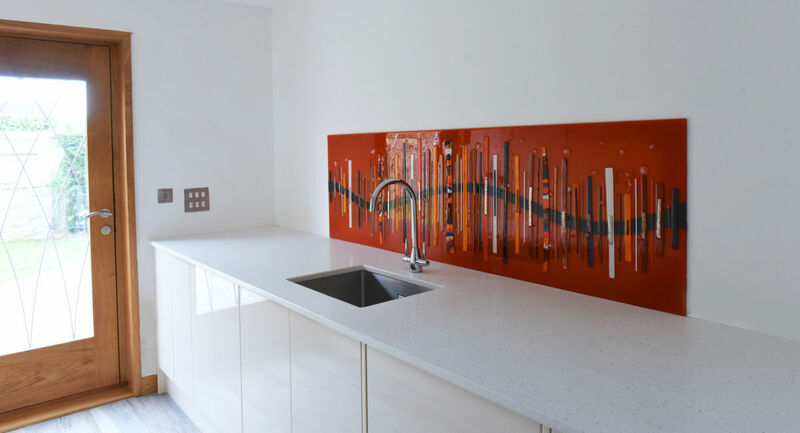 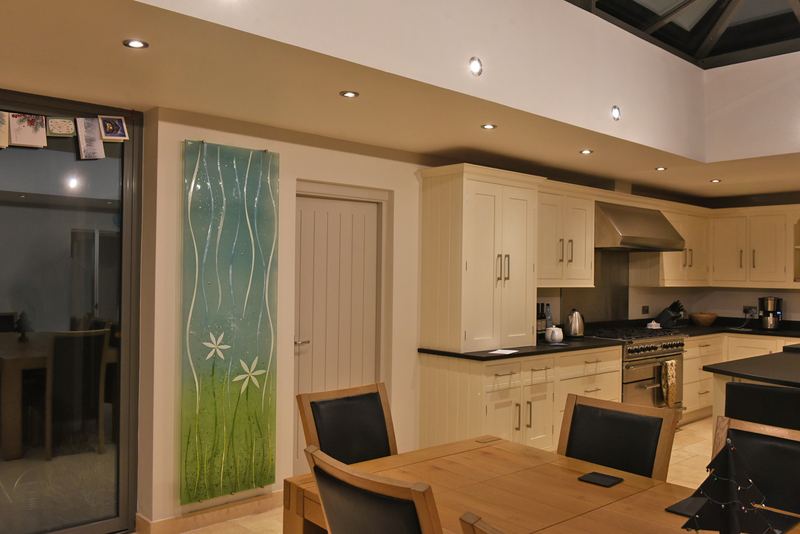 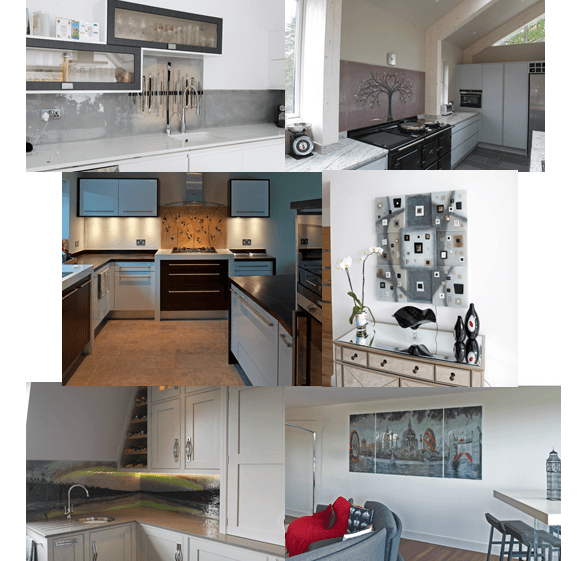 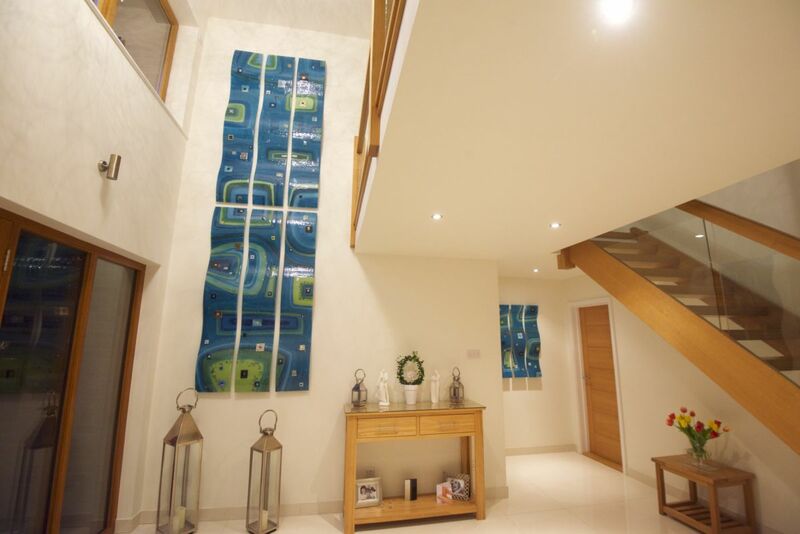 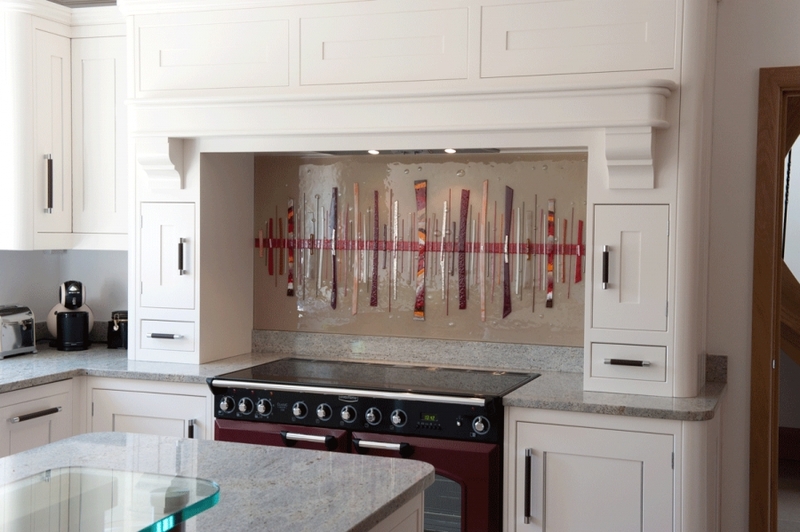 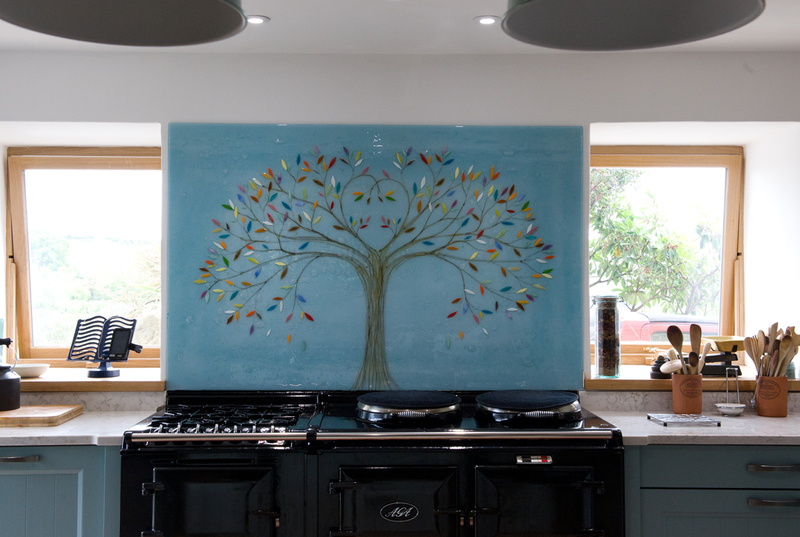 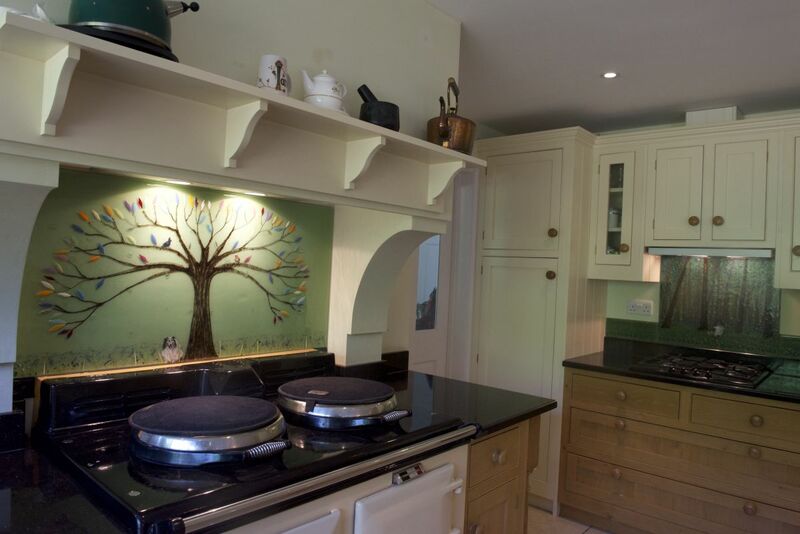 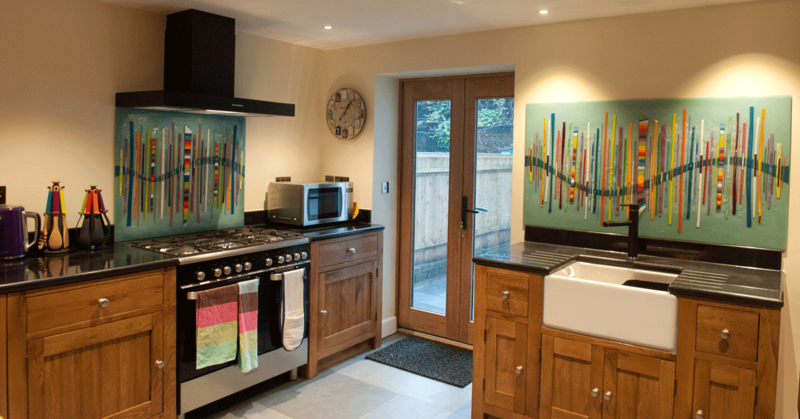 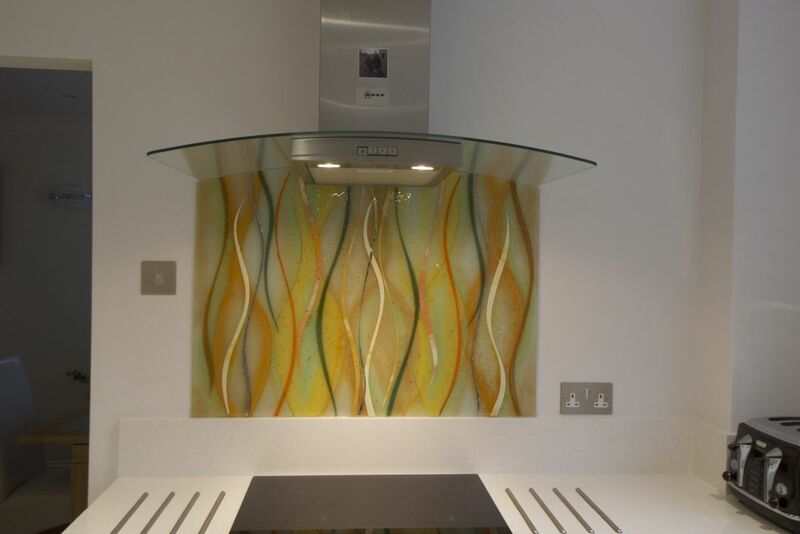 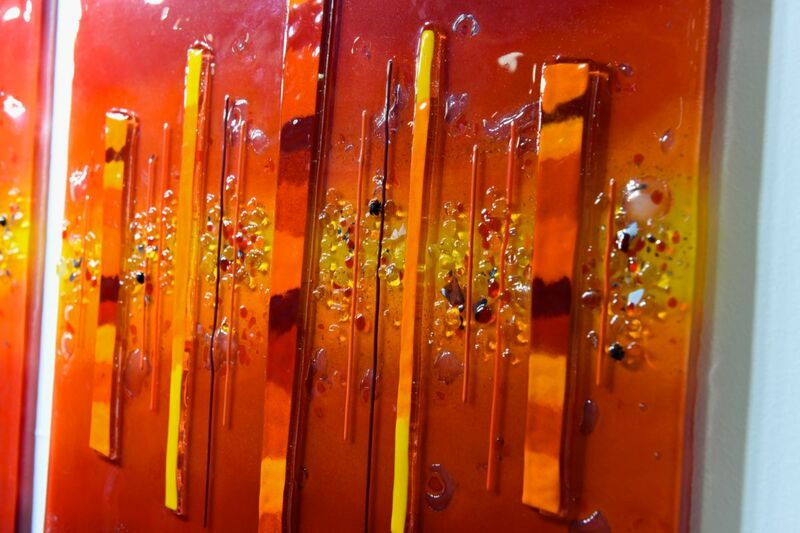 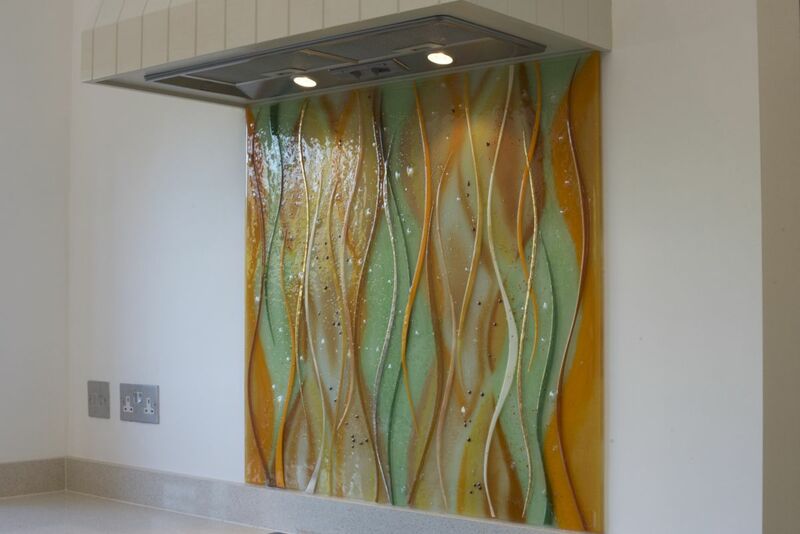 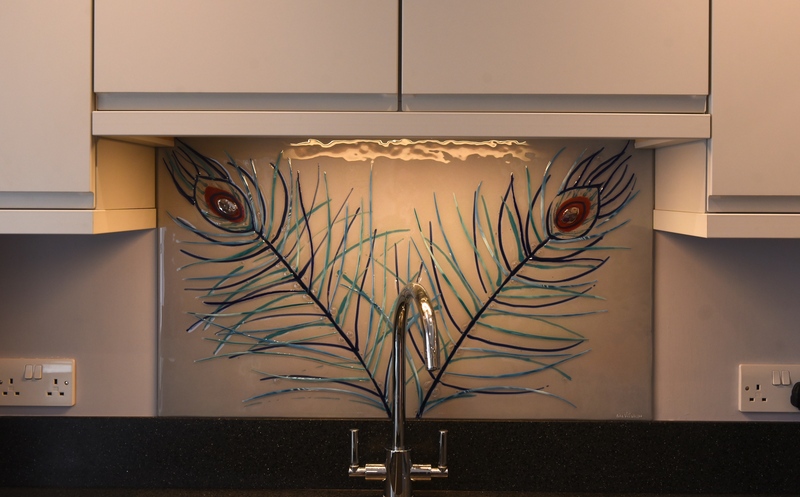 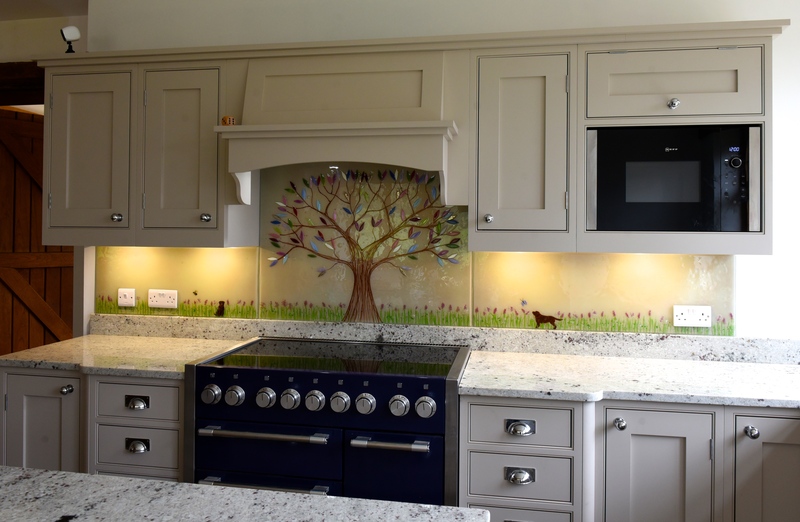 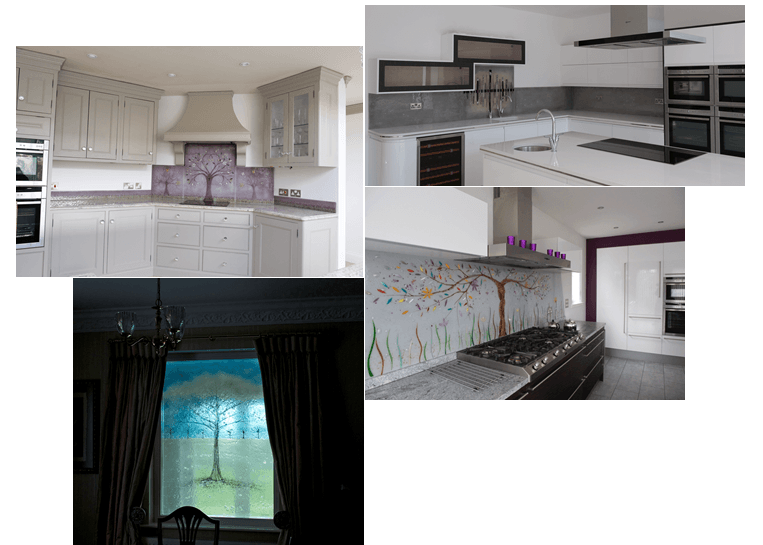 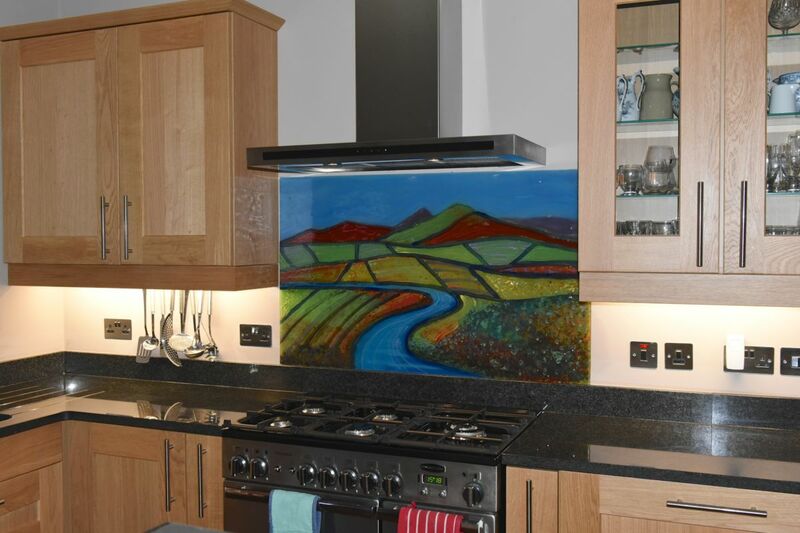 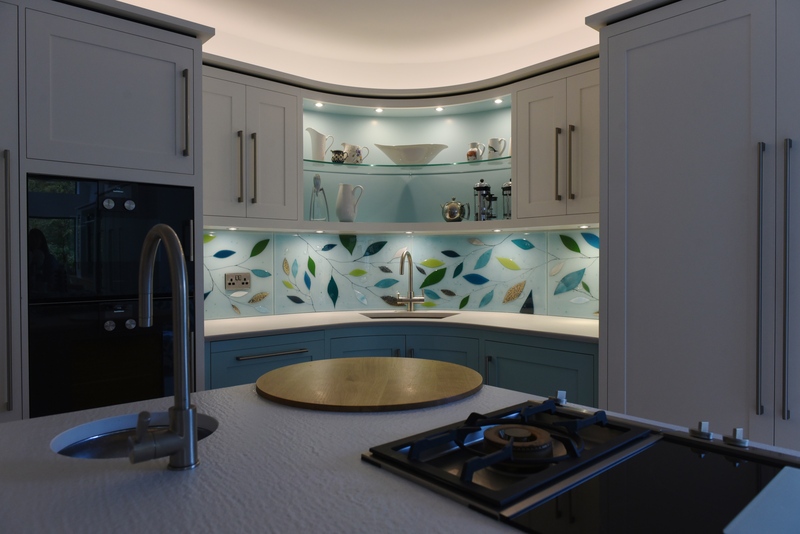 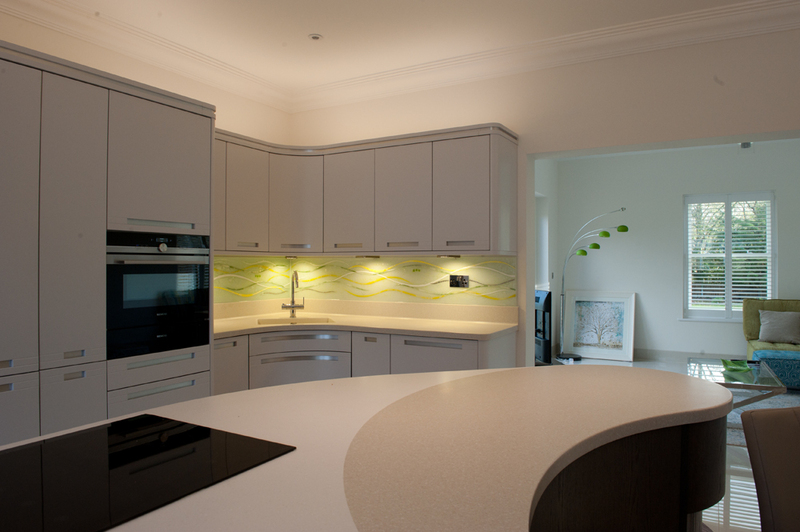 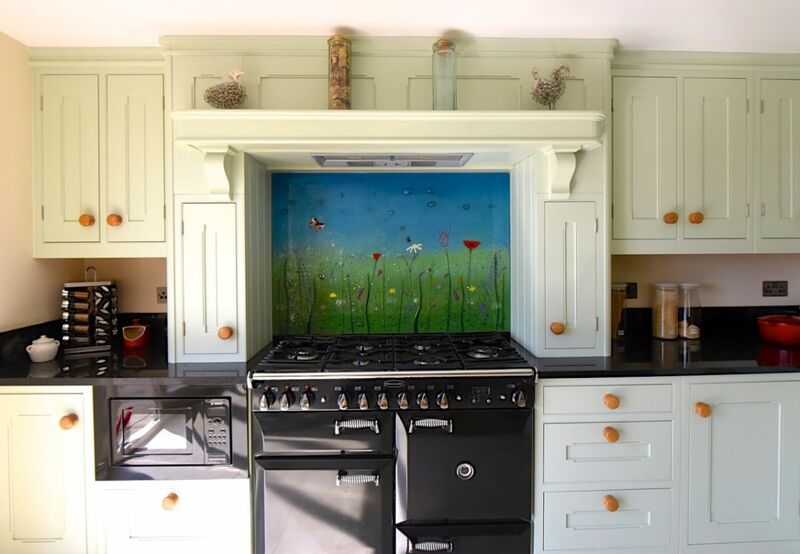 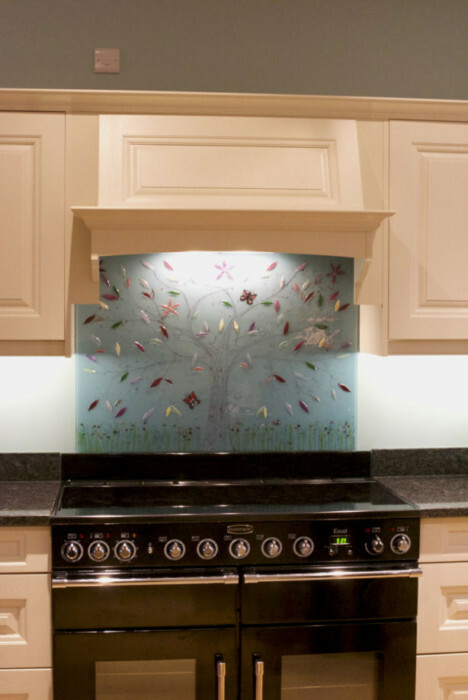 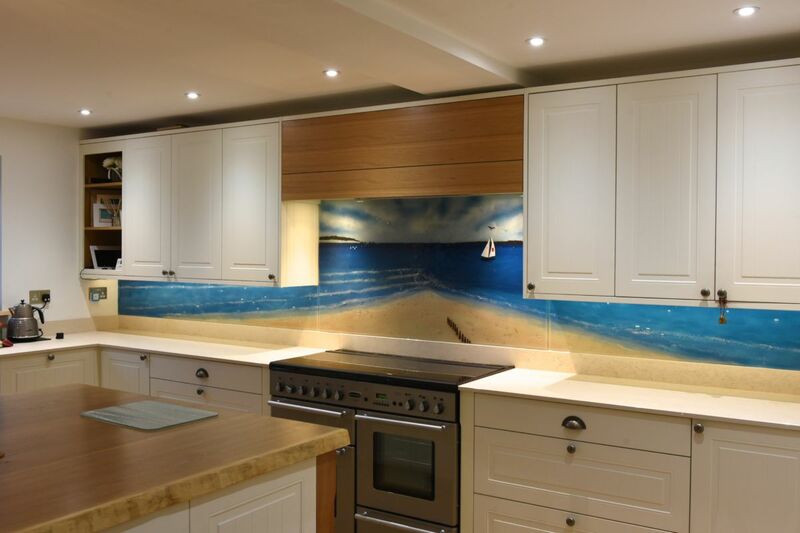 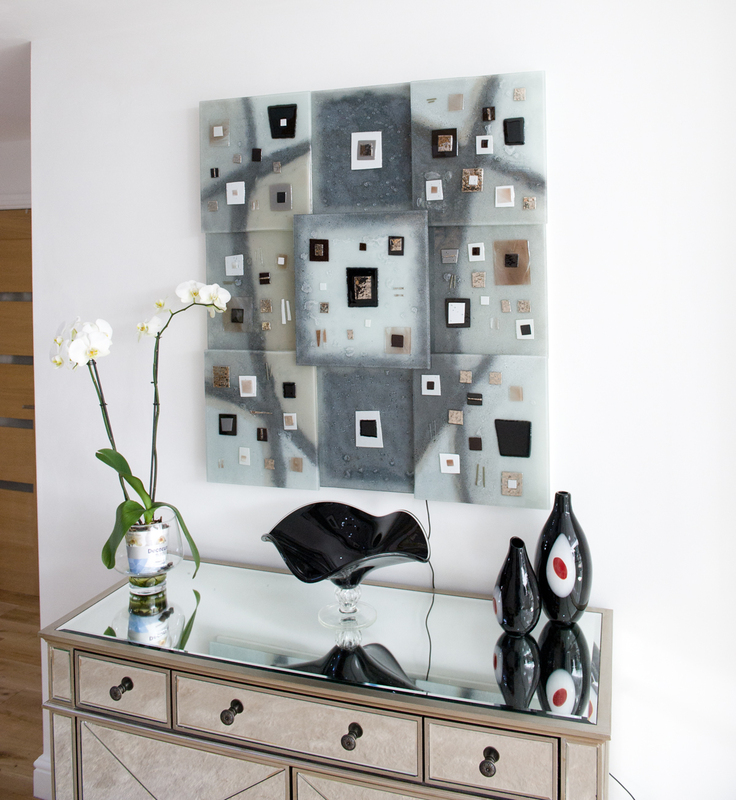 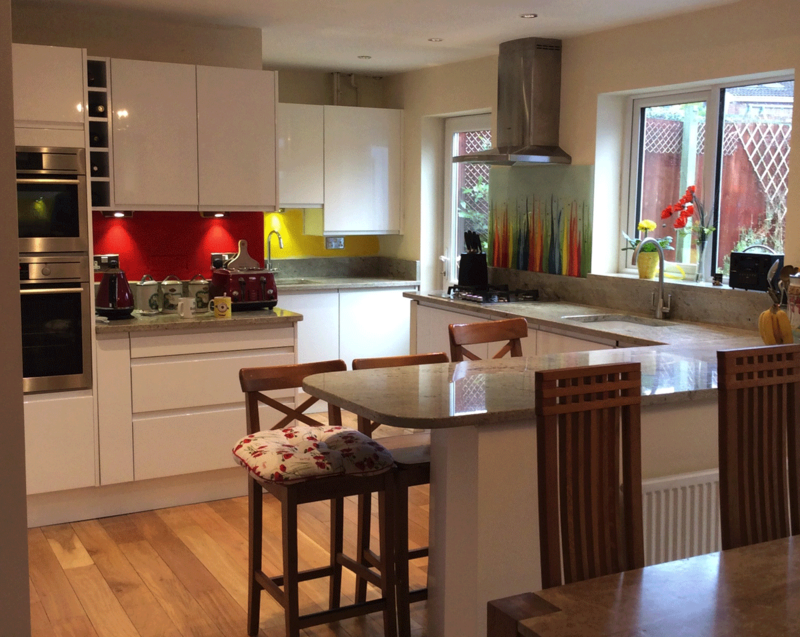 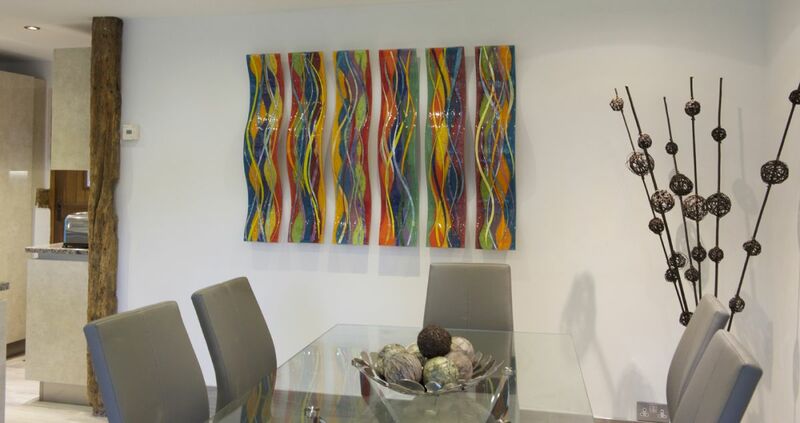 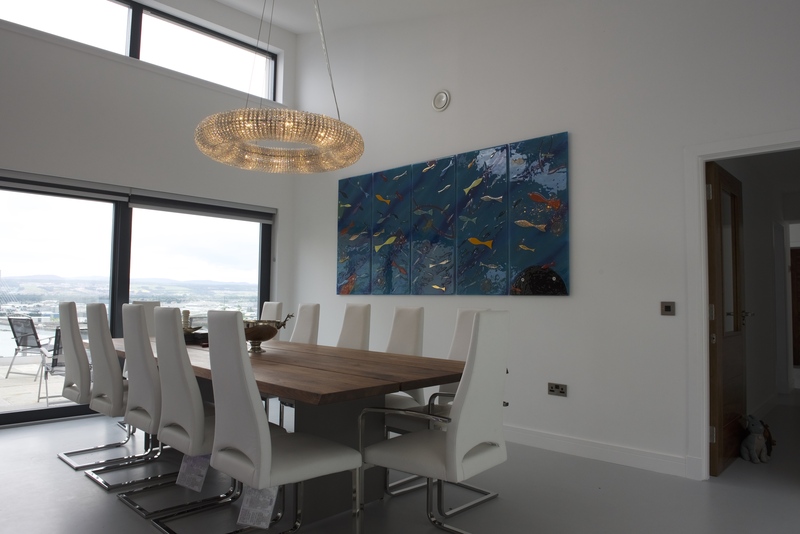 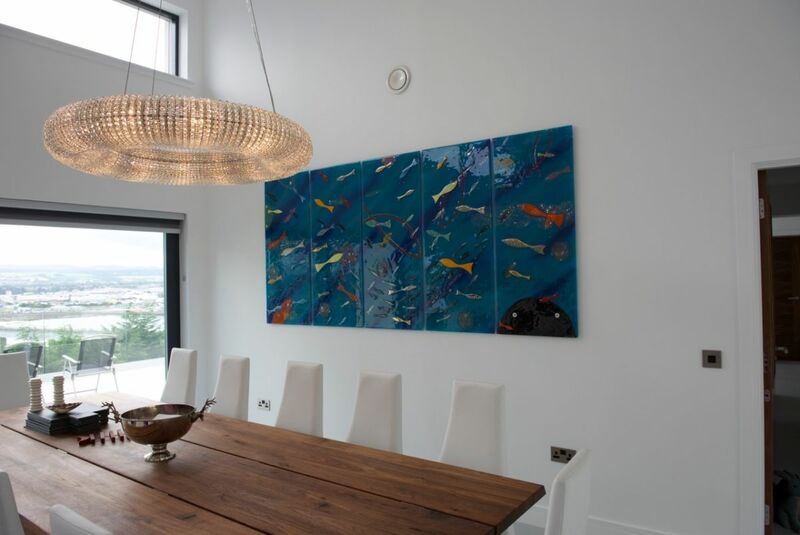 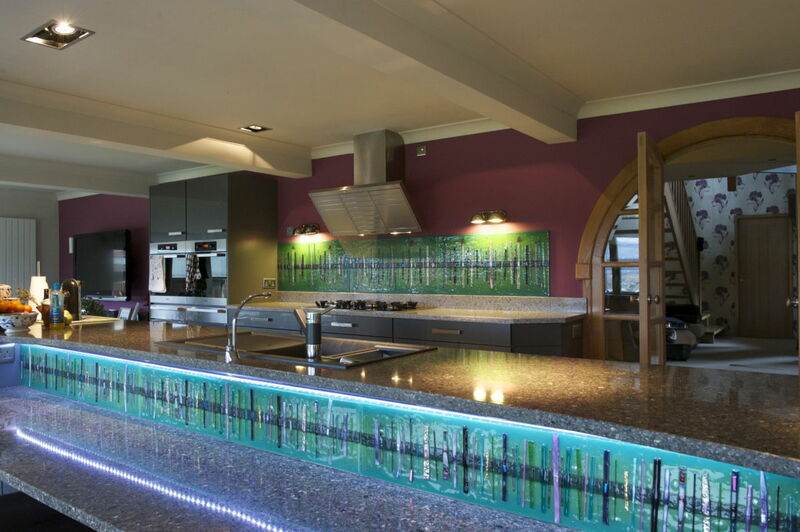 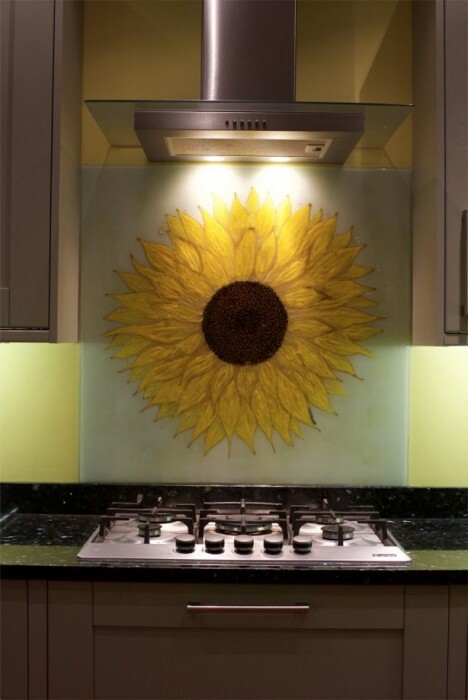 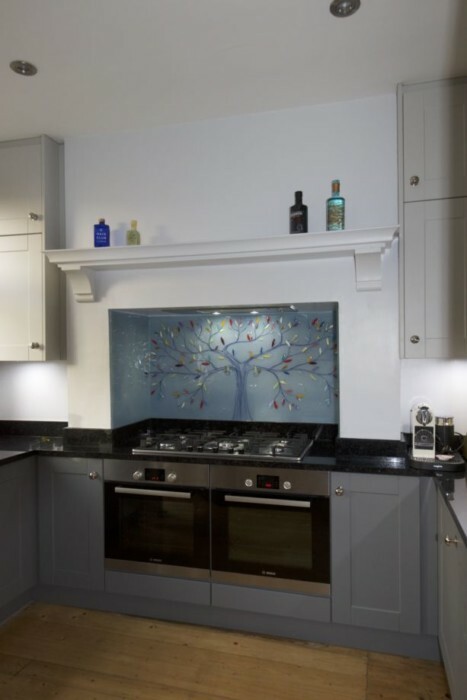 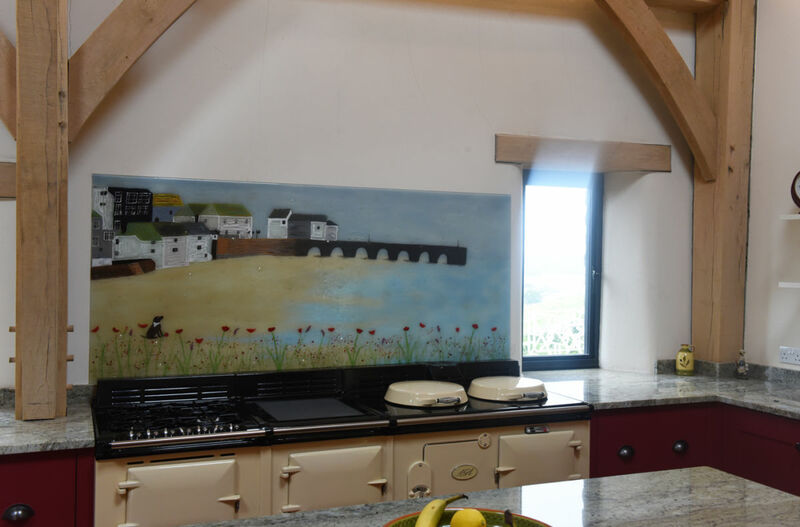 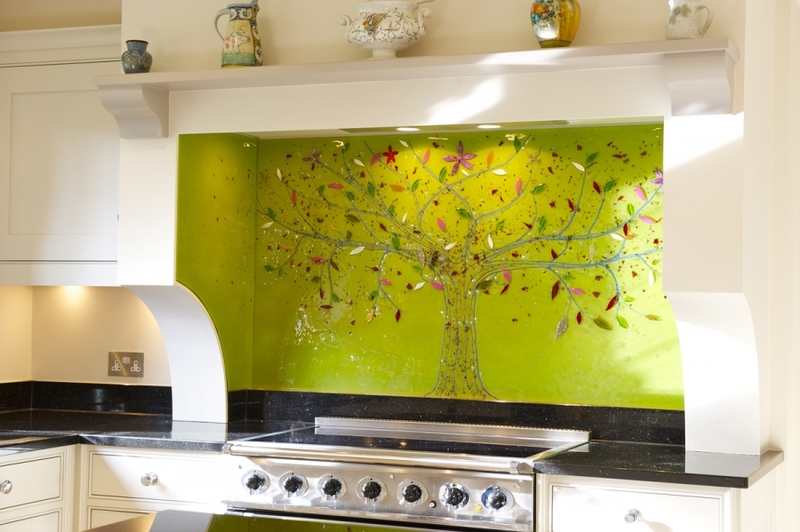 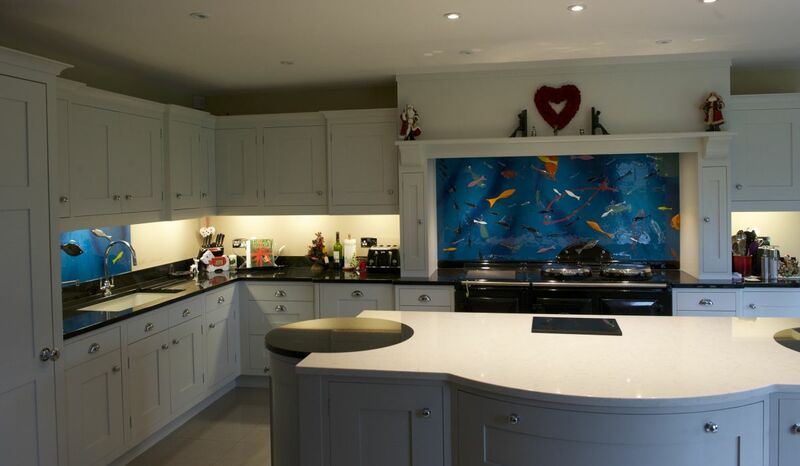 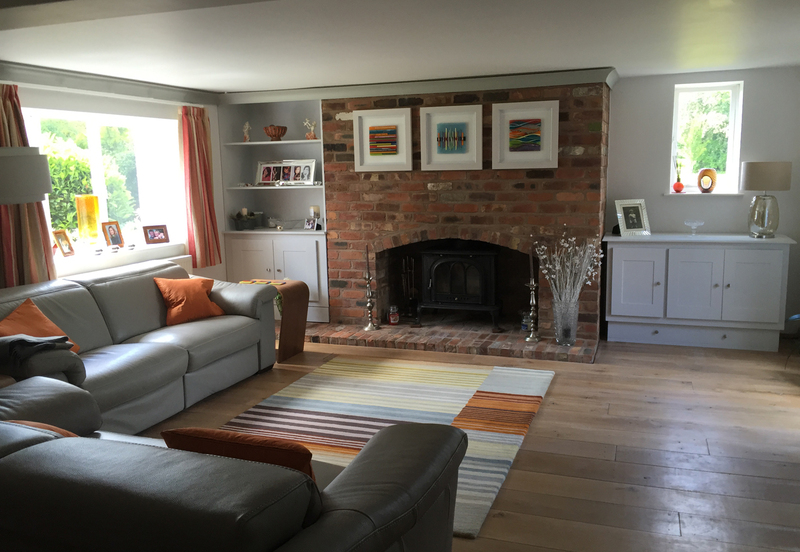 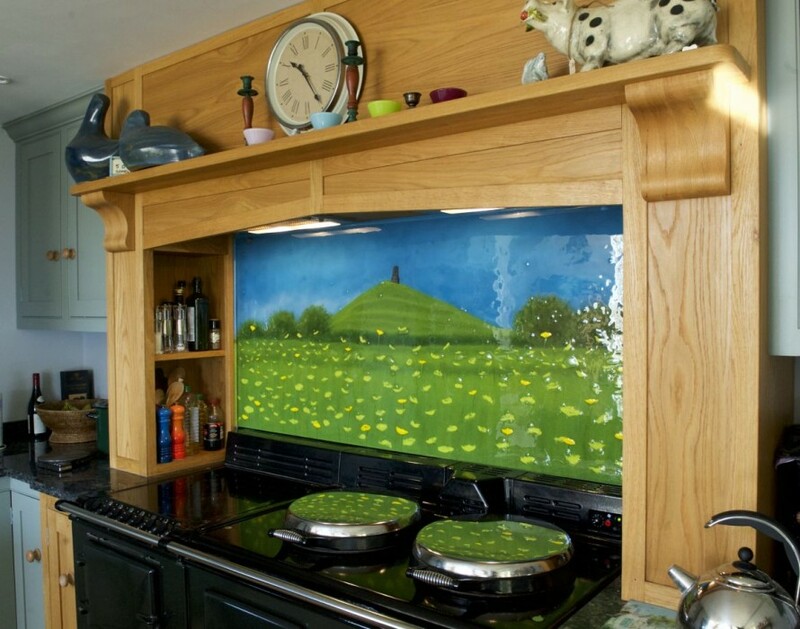 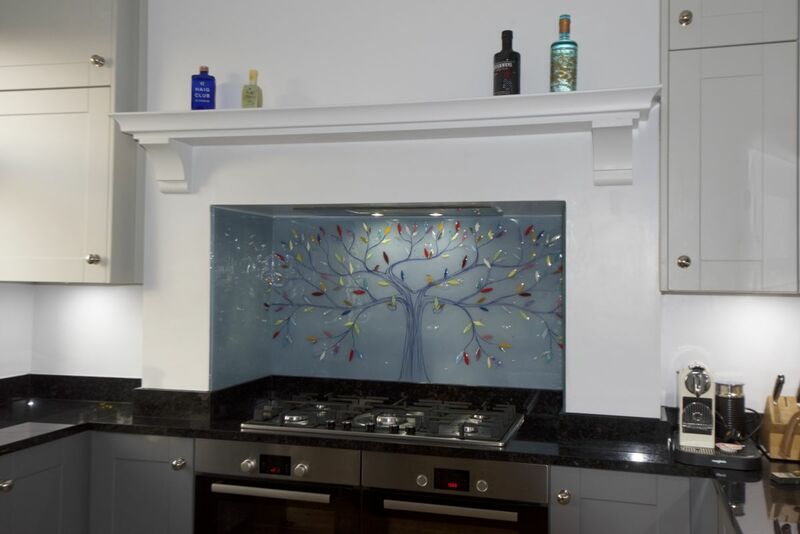 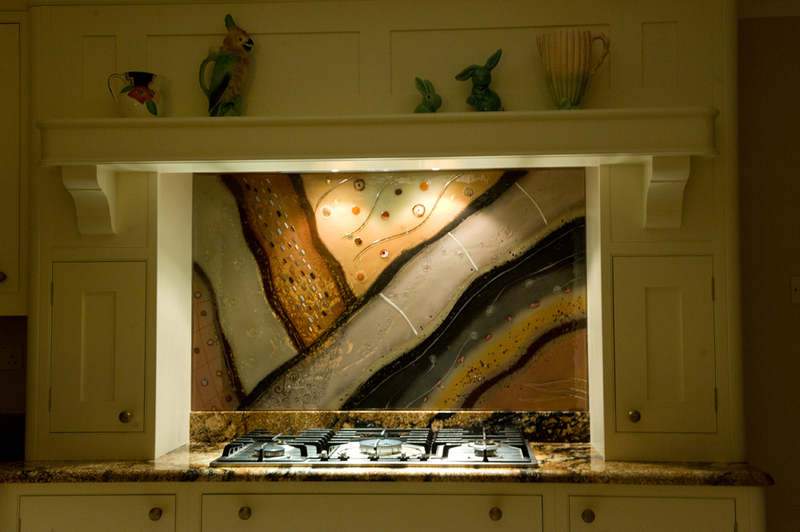 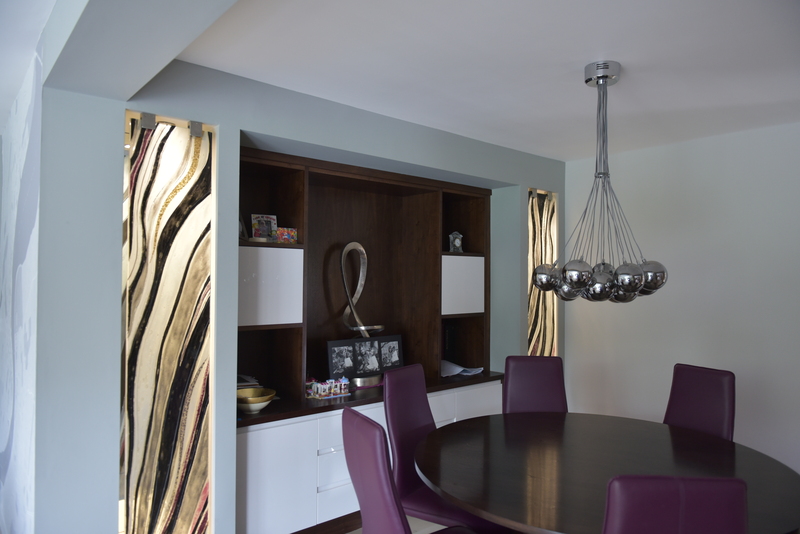 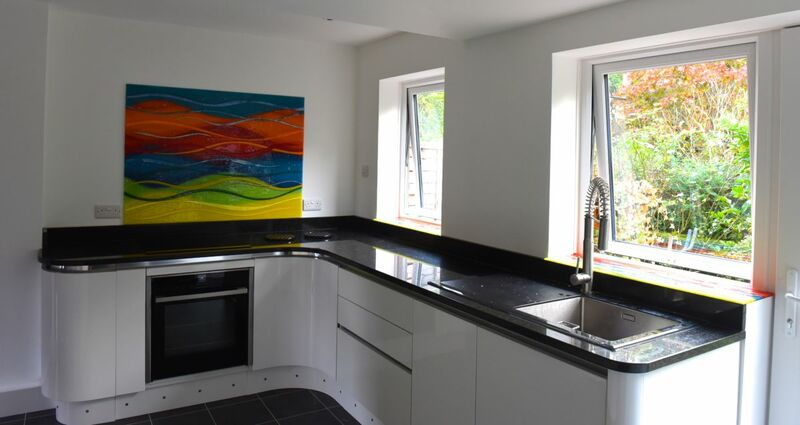 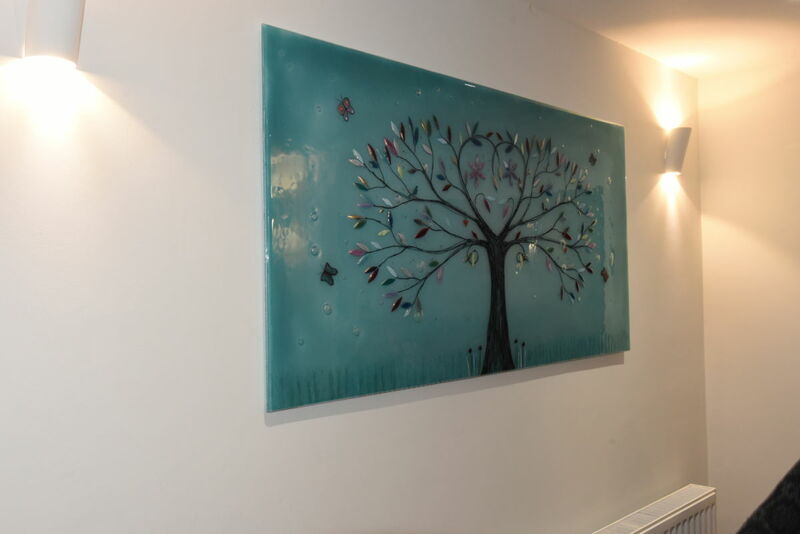 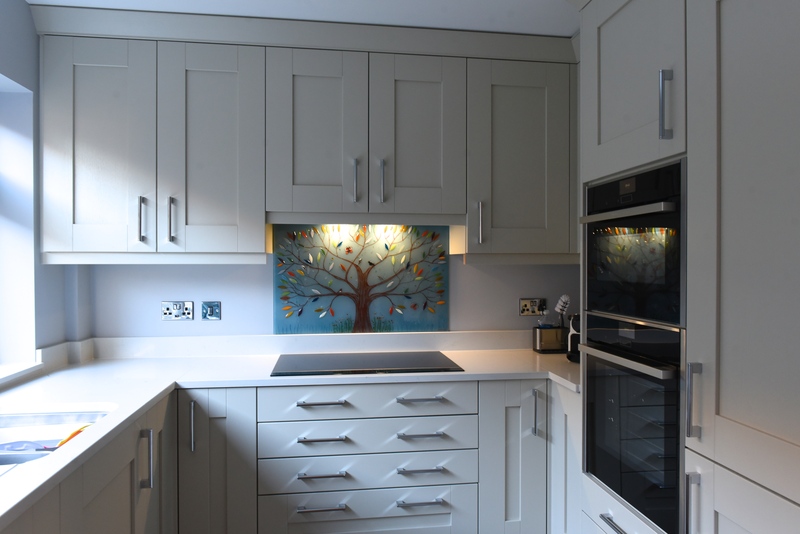 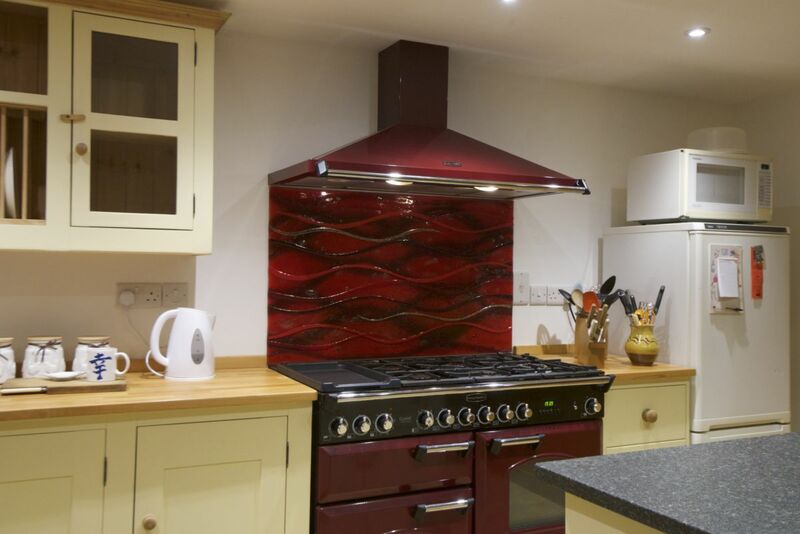 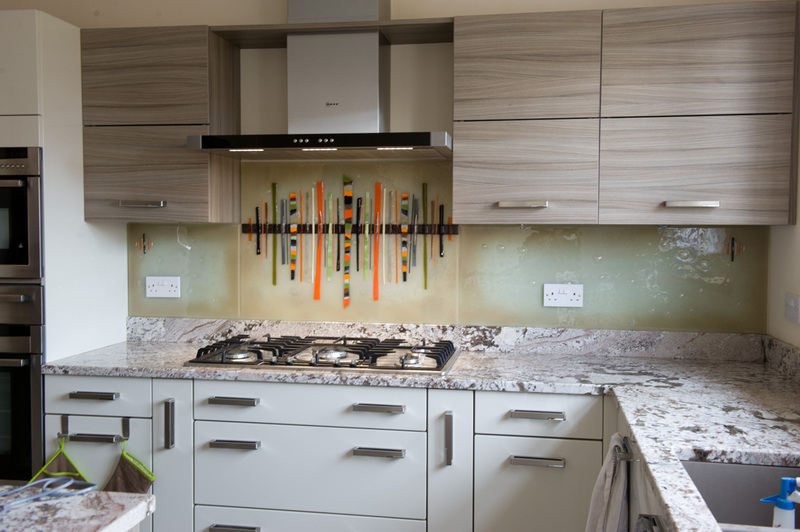 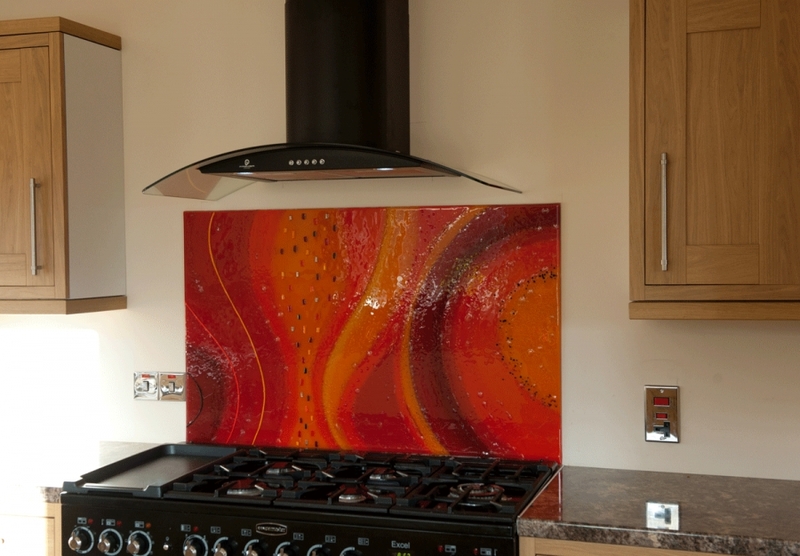 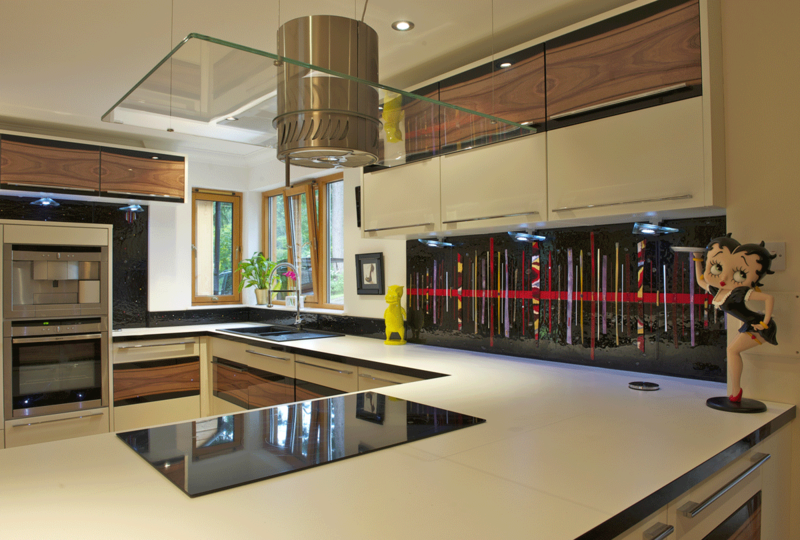 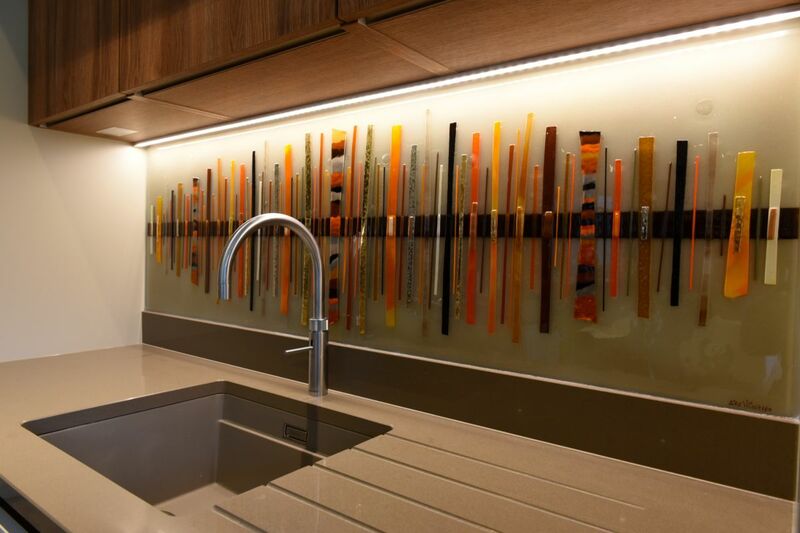 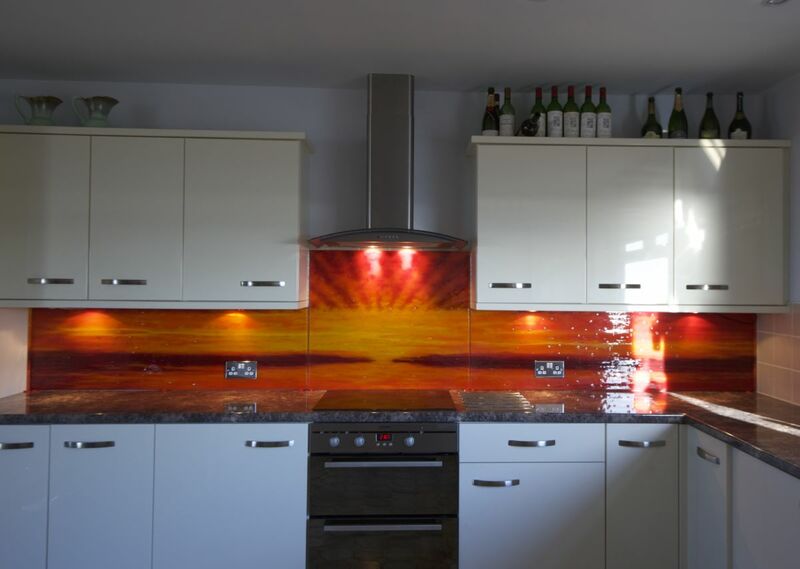 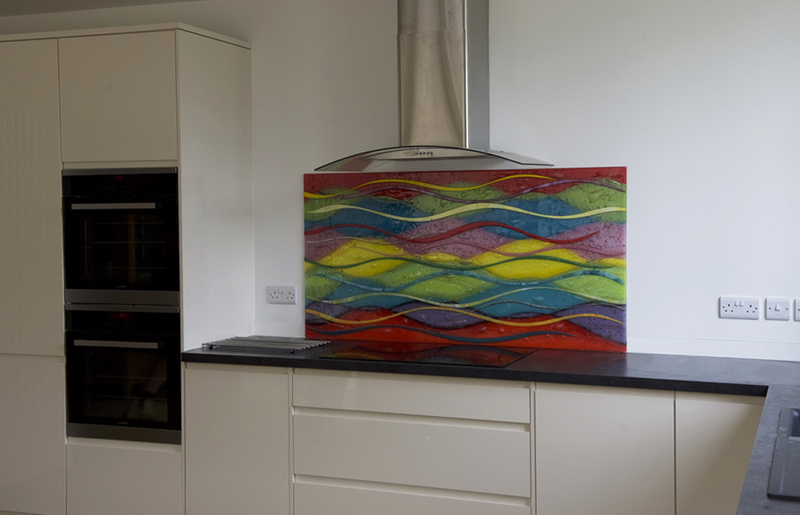 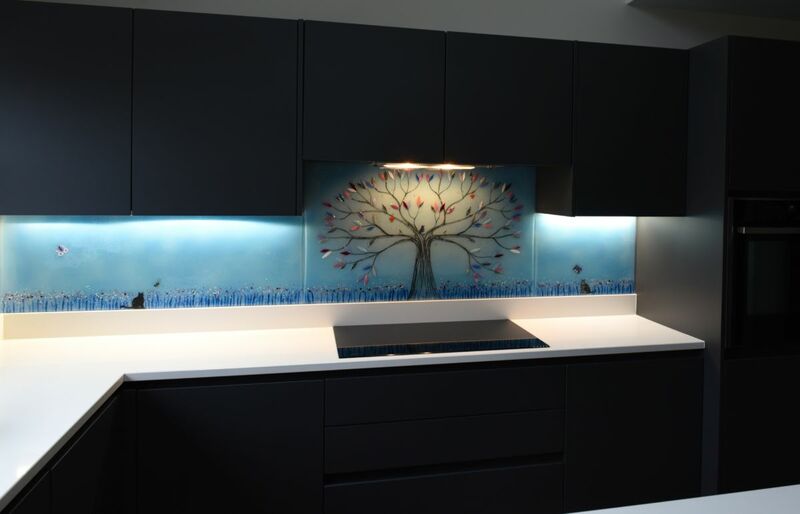 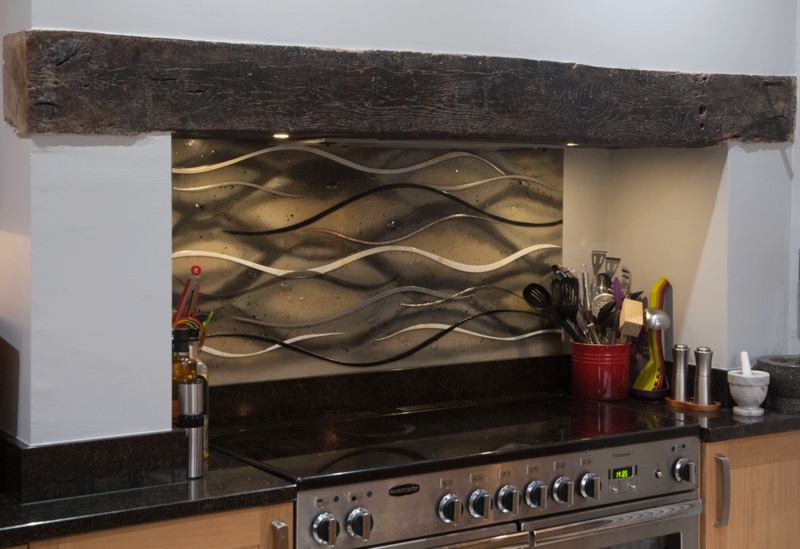 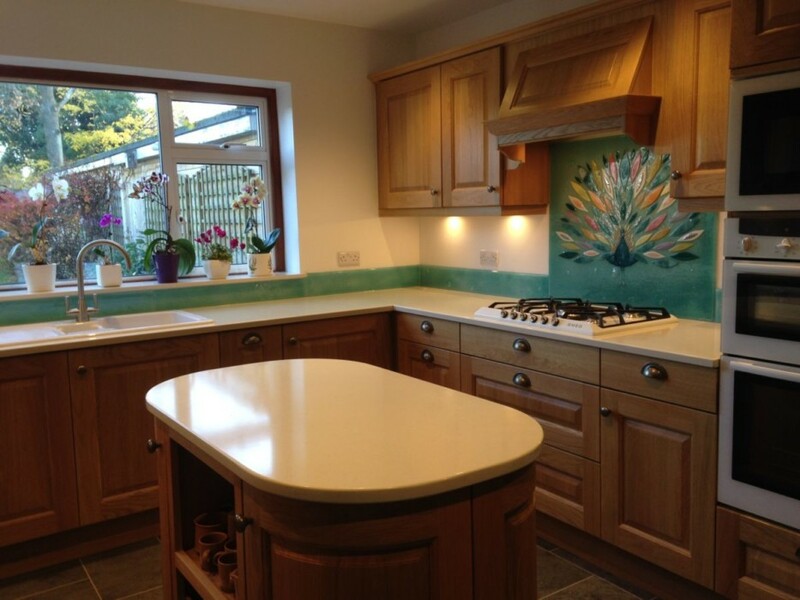 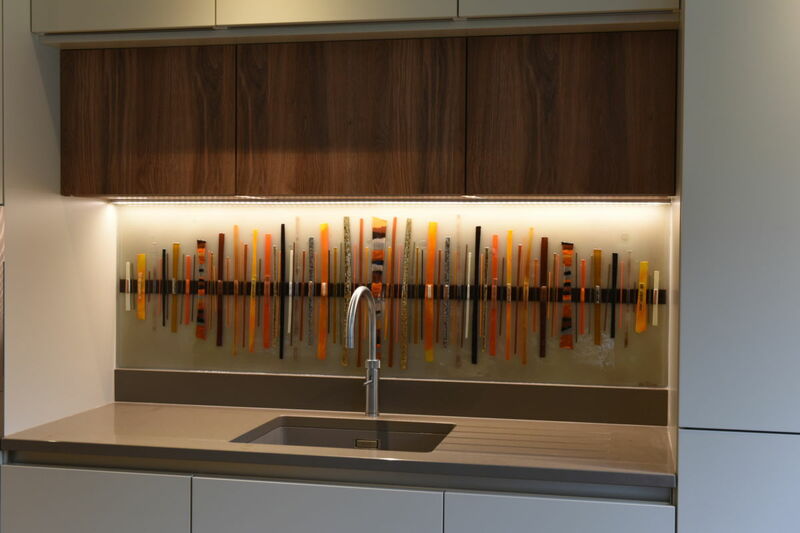 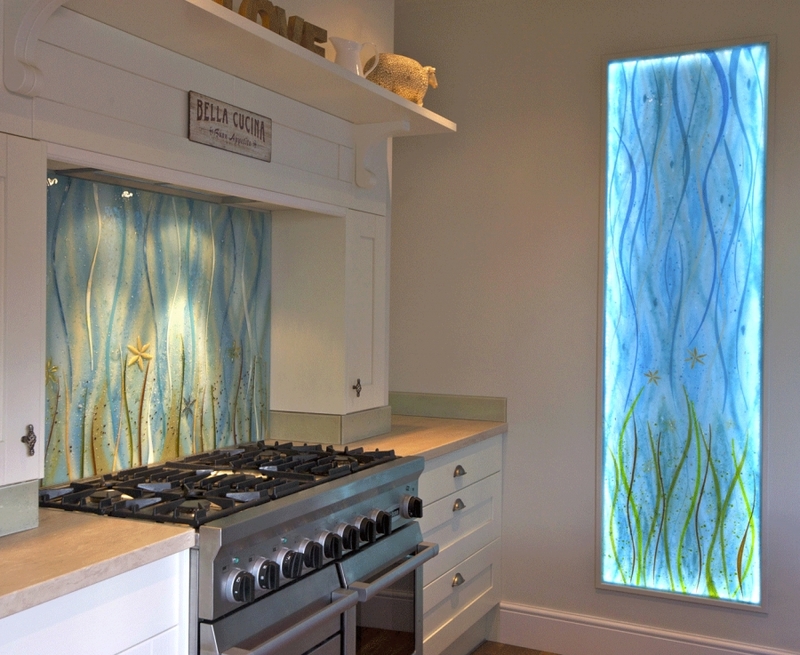 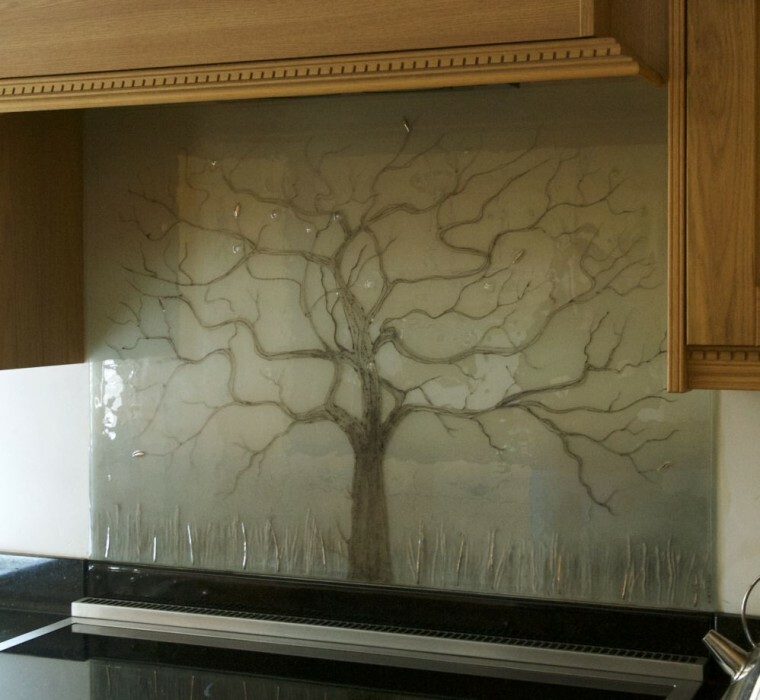 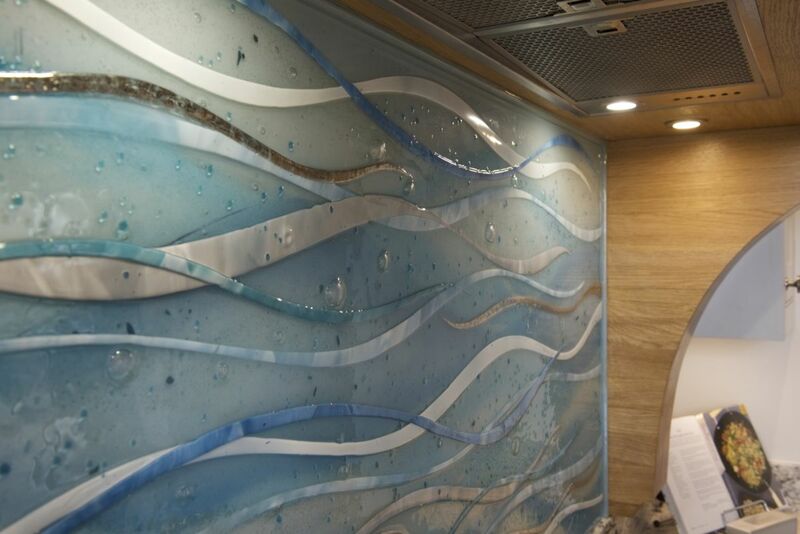 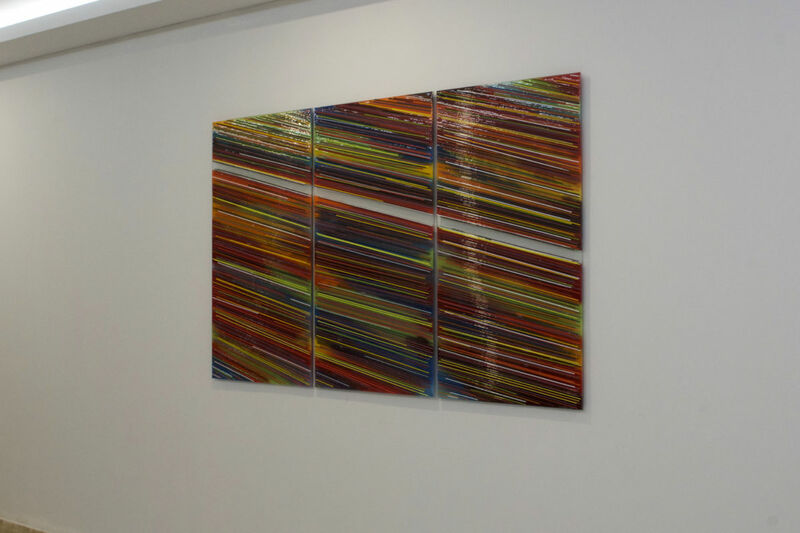 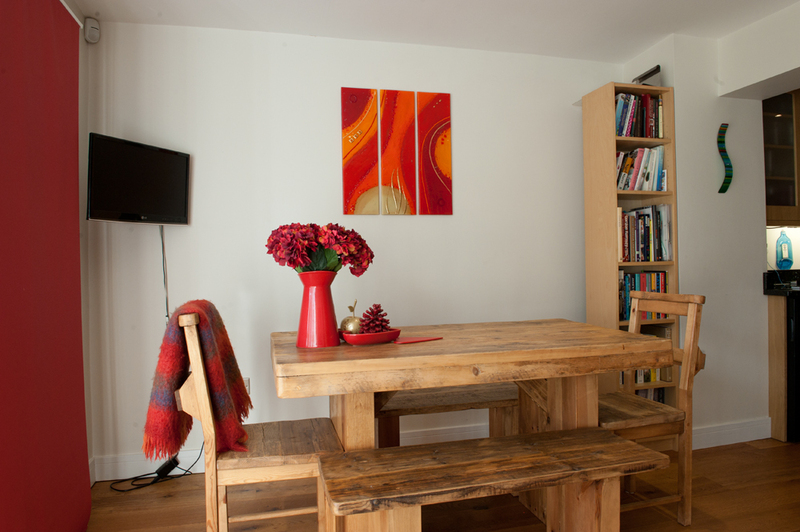 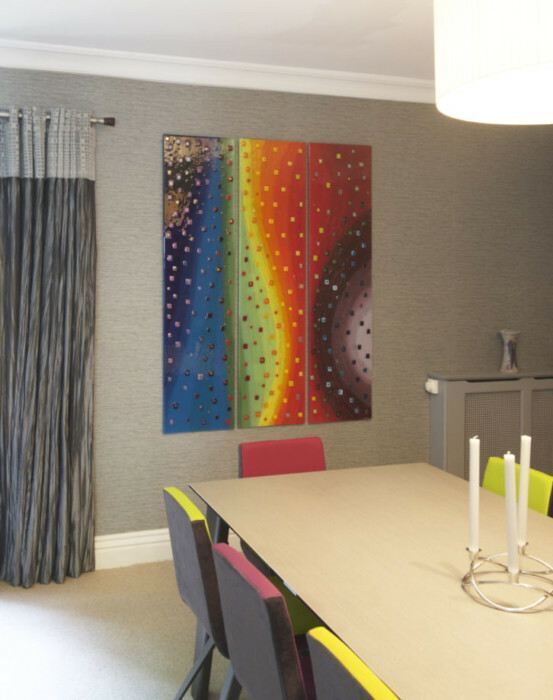 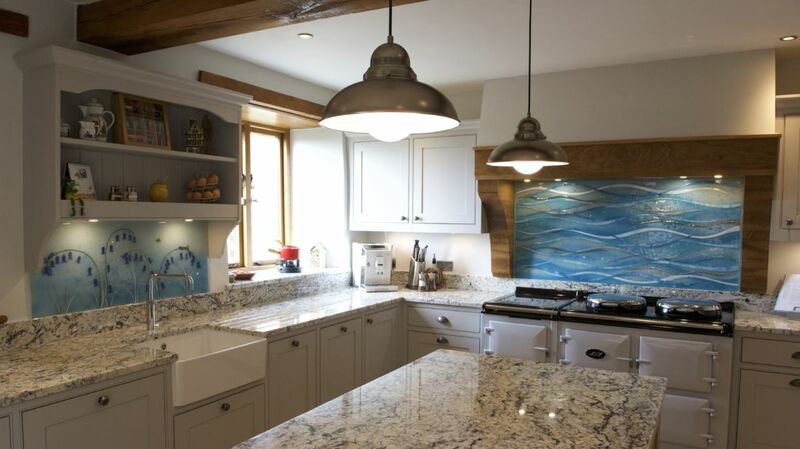 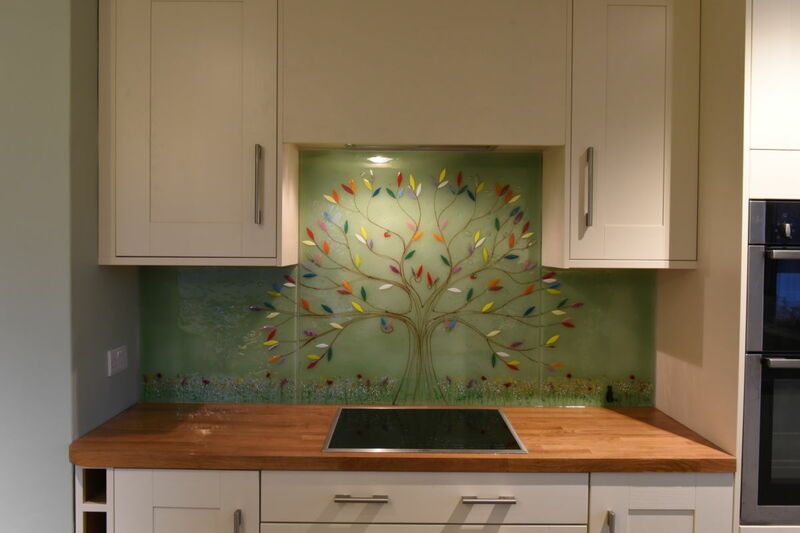 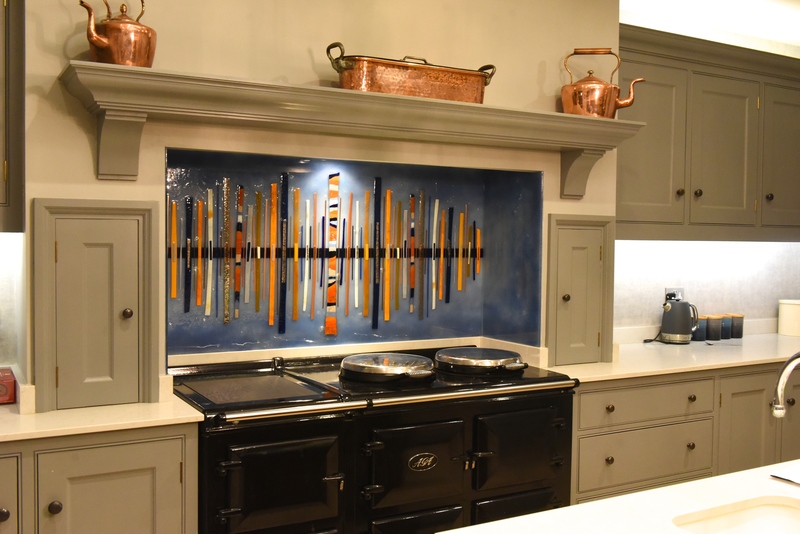 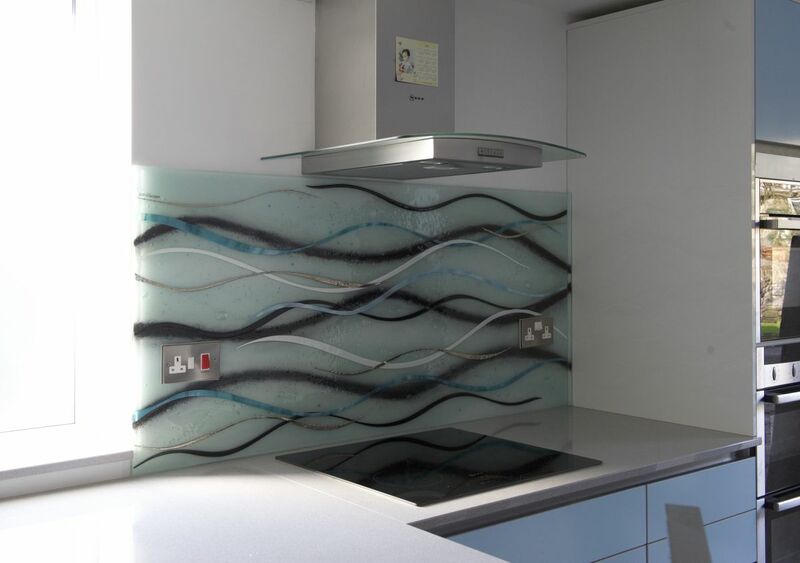 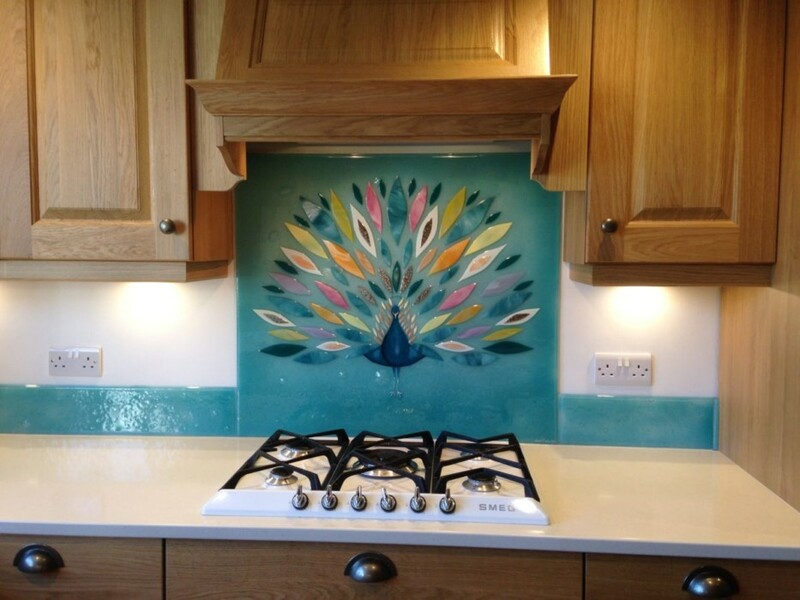 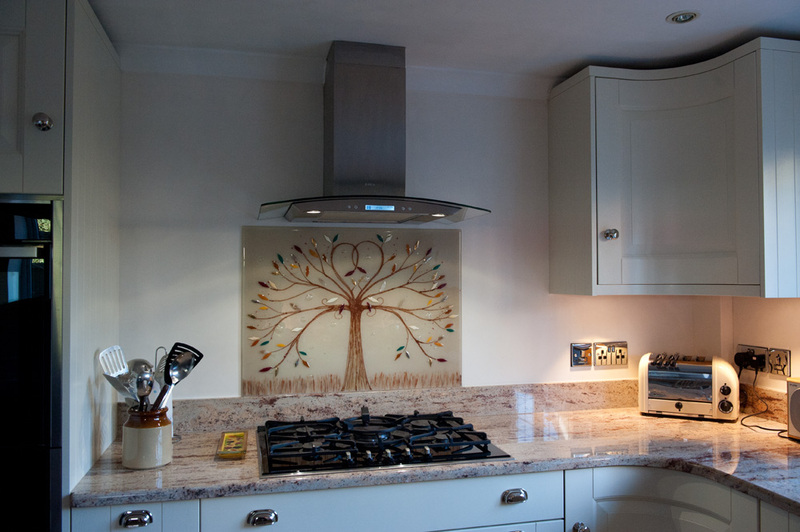 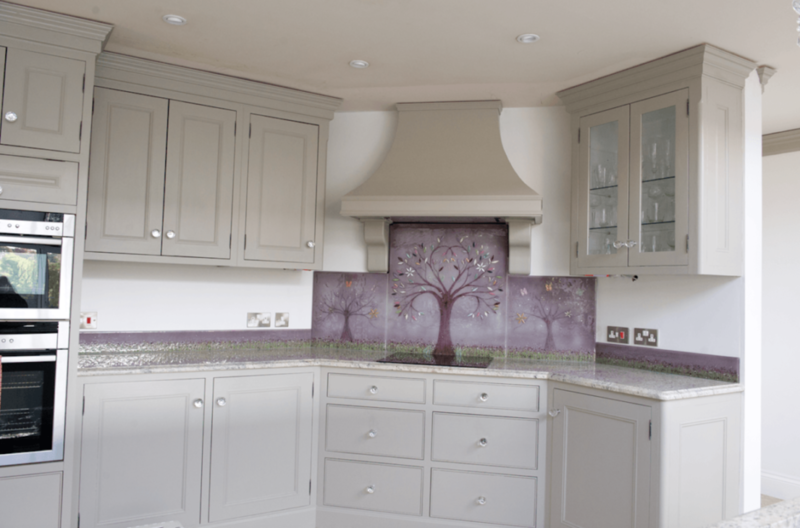 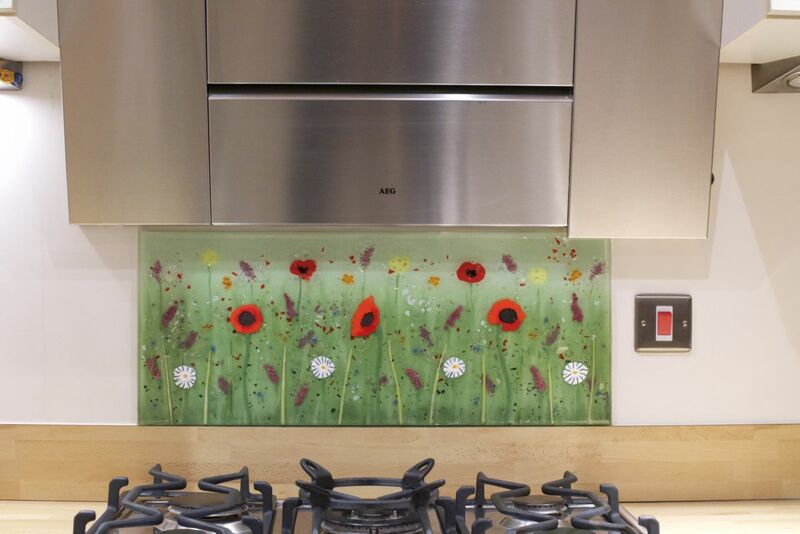 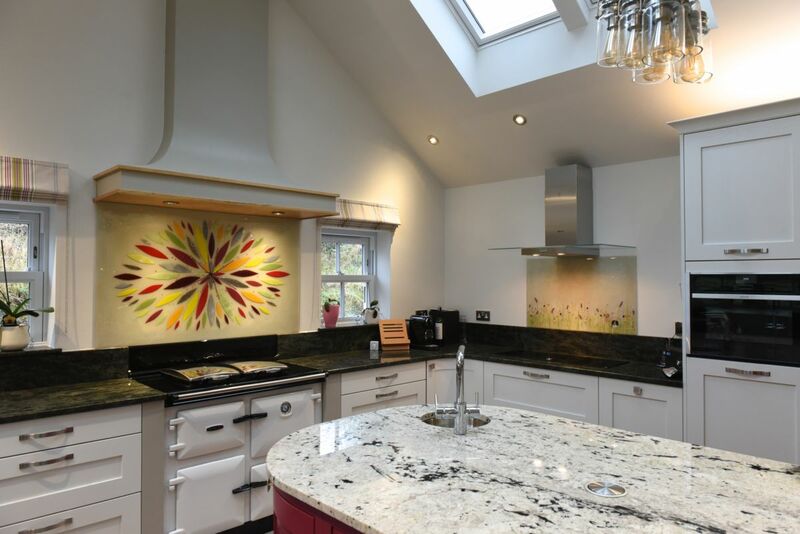 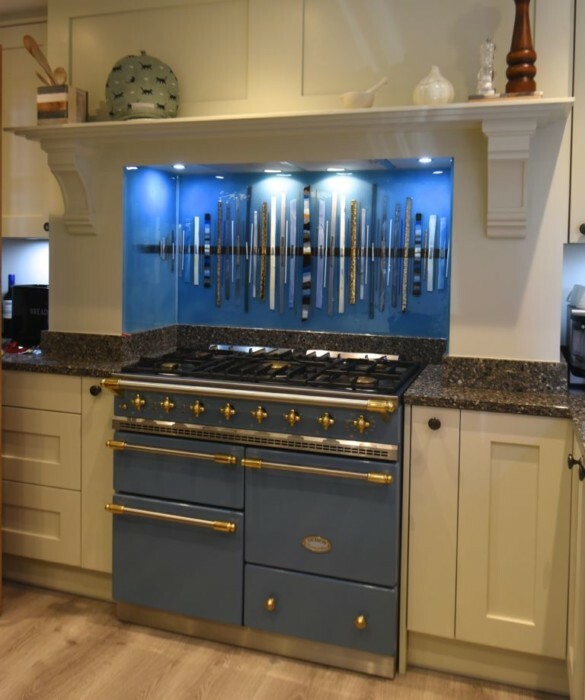 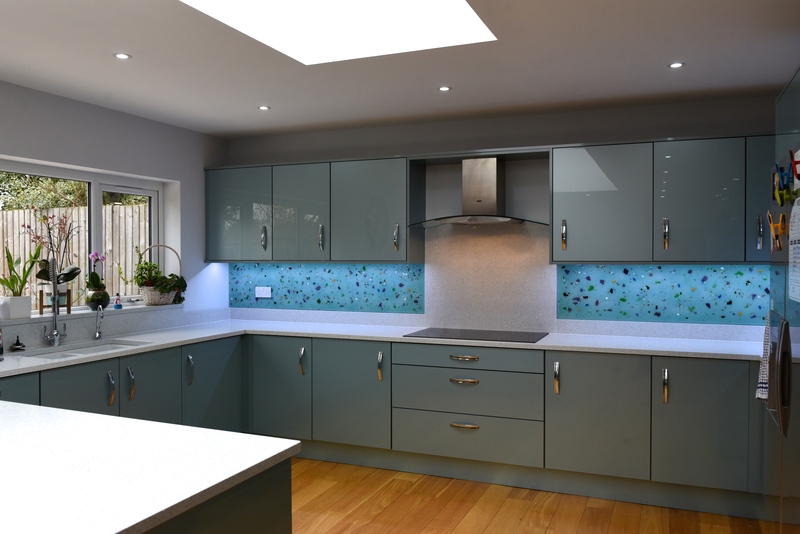 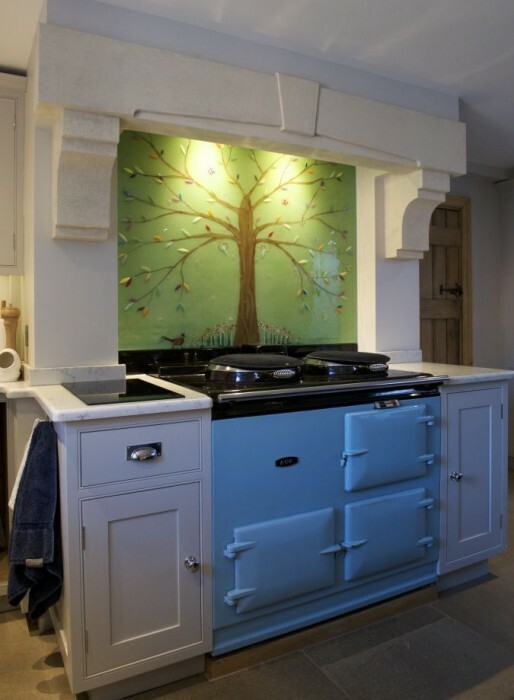 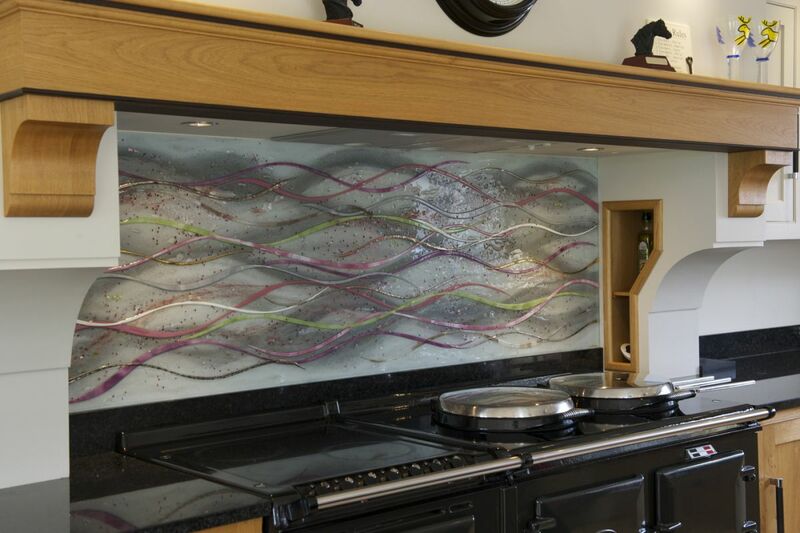 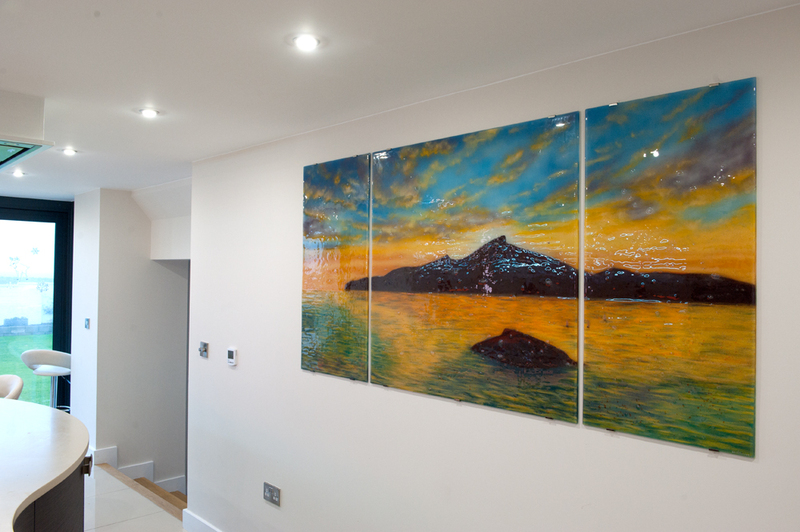 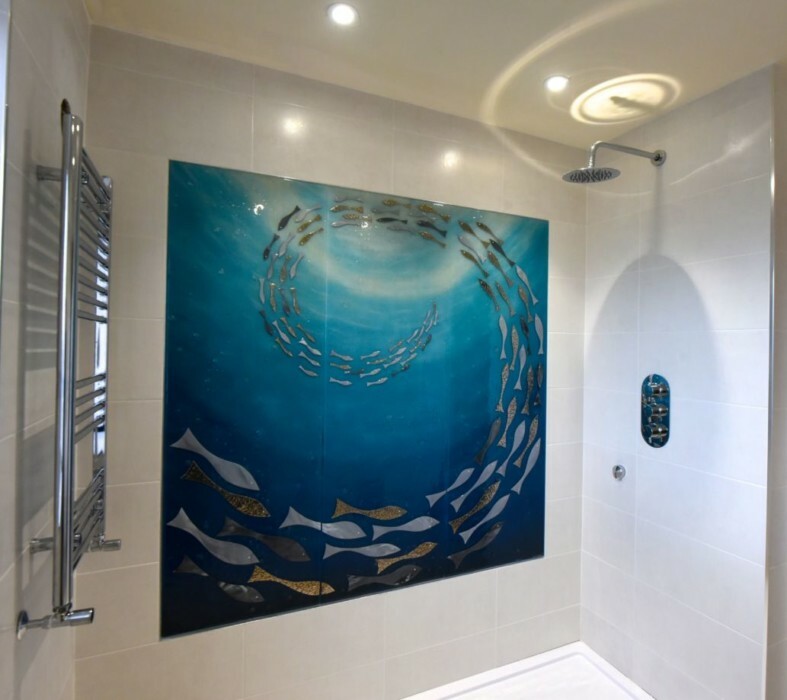 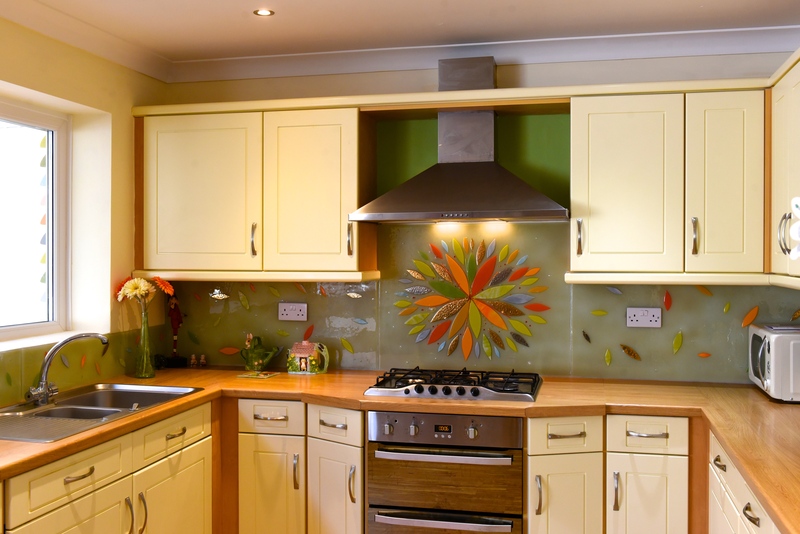 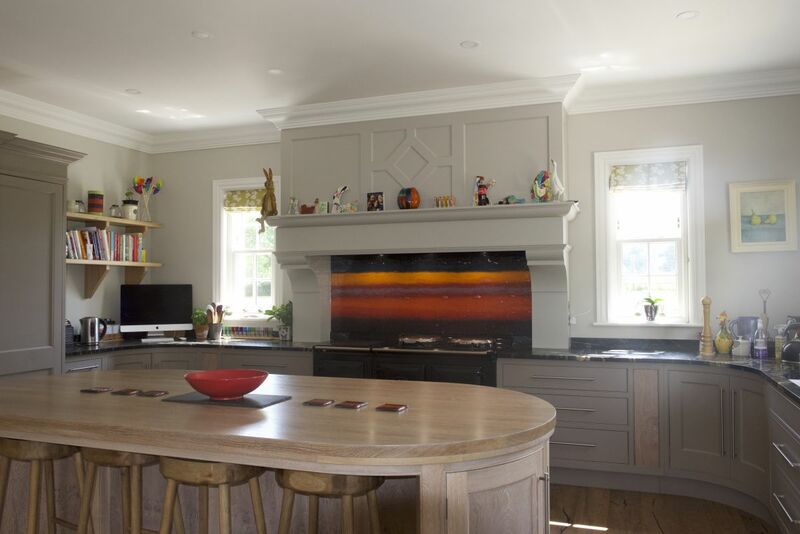 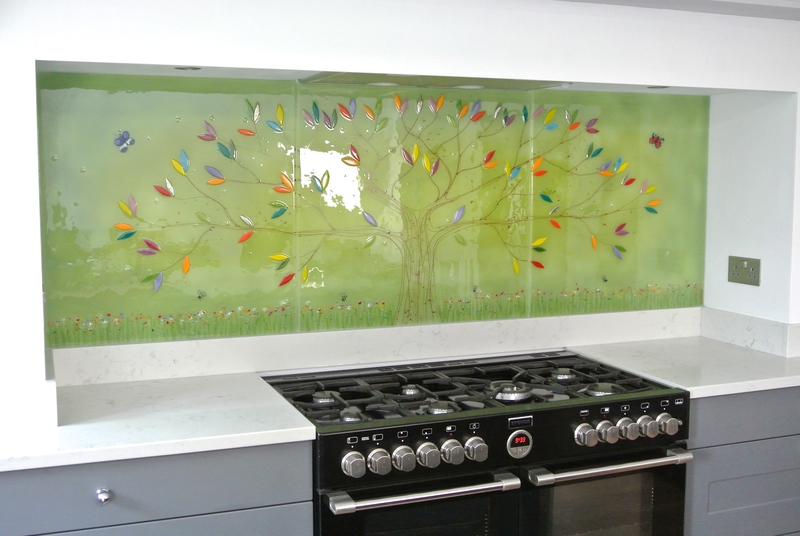 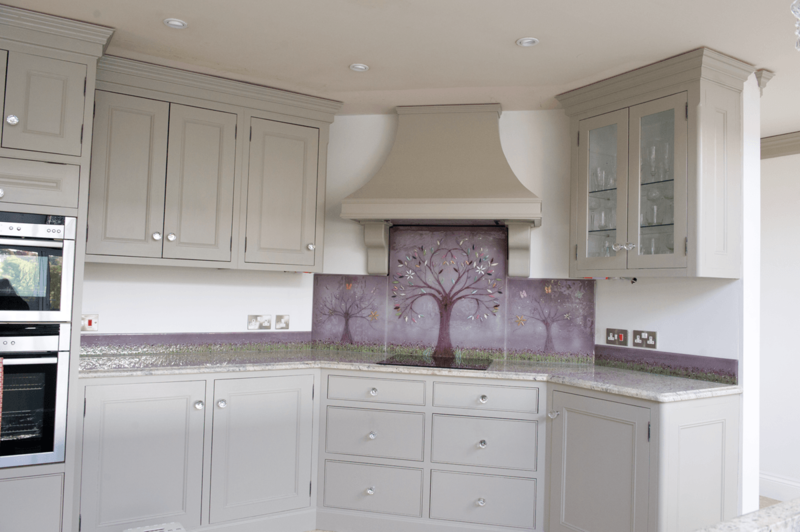 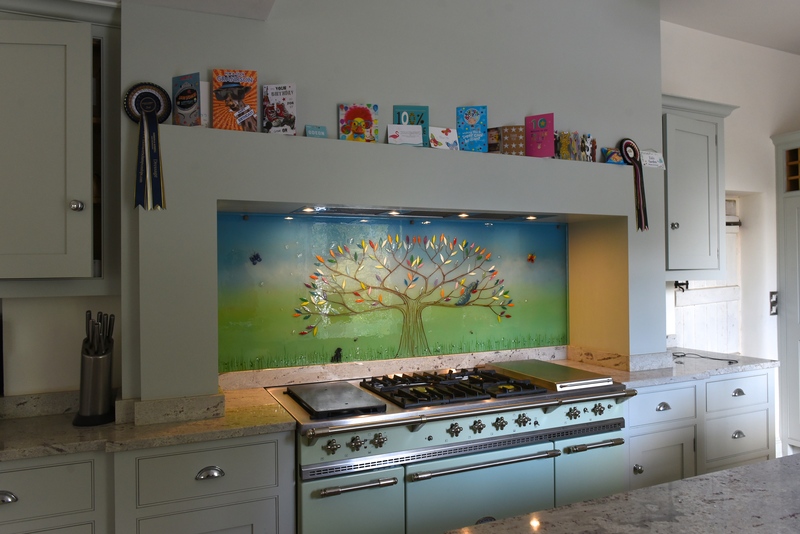 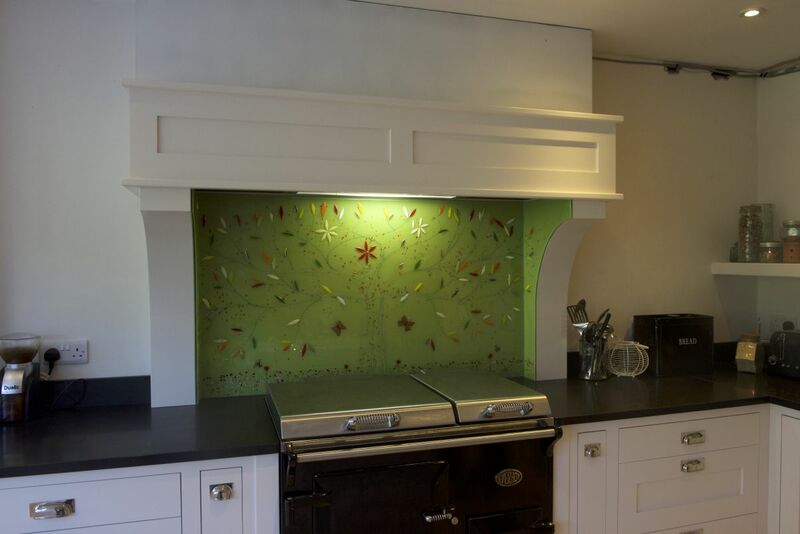 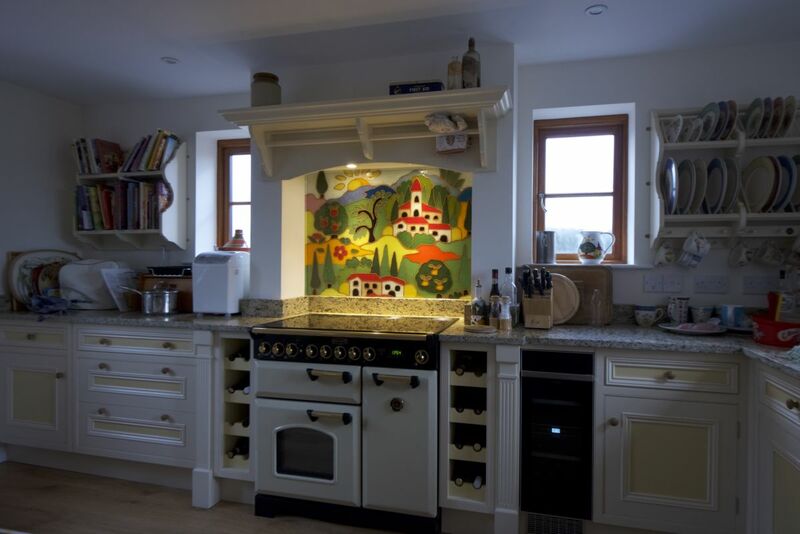 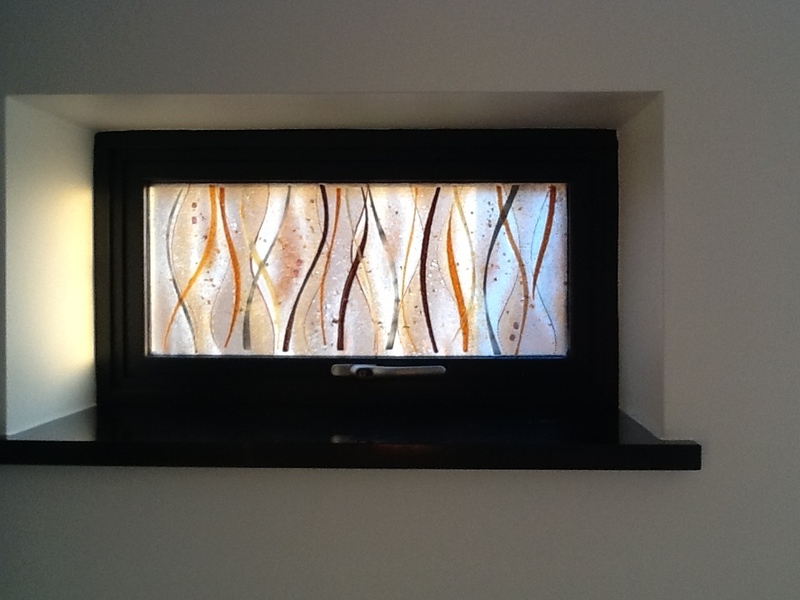 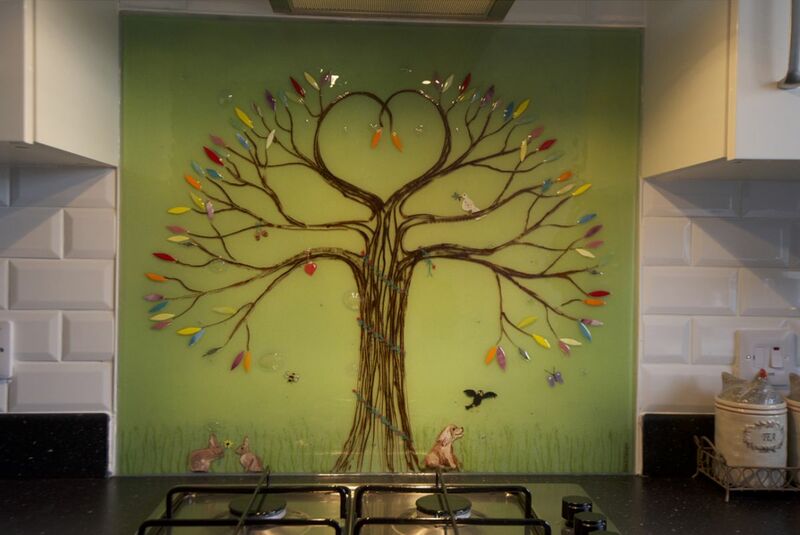 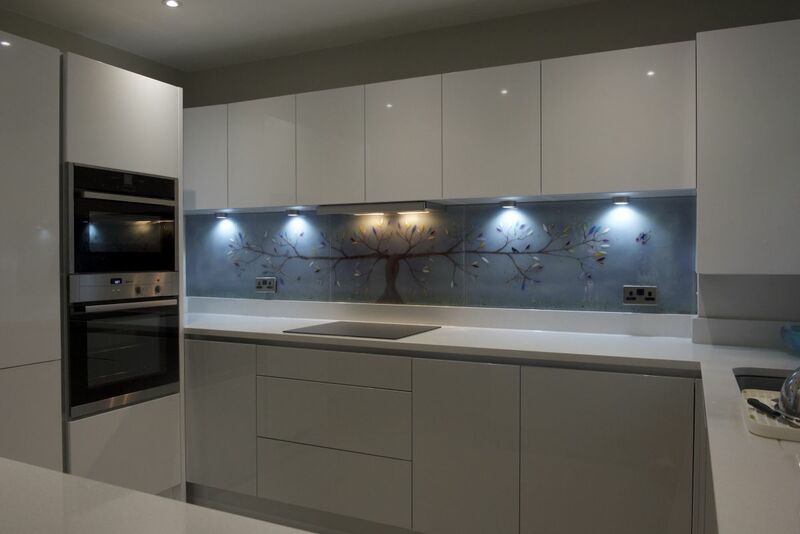 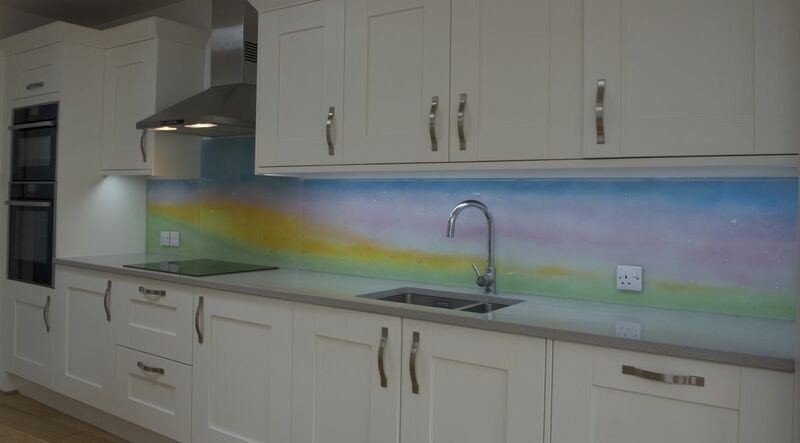 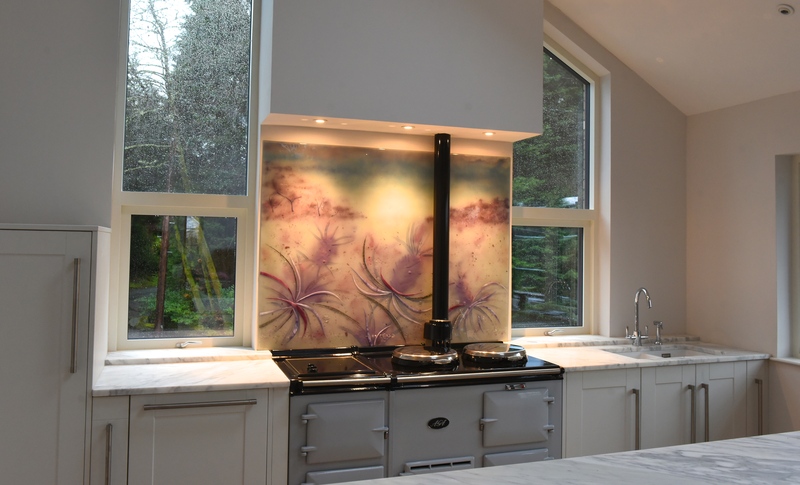 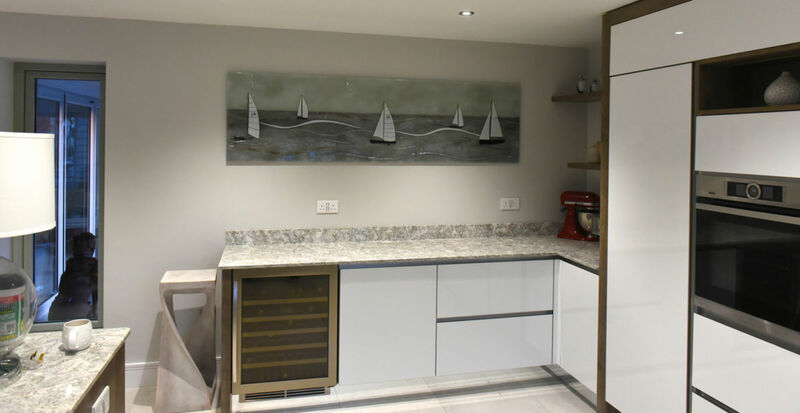 Her creative expertise and extensive background in many different kinds of art styles and mediums allows her to create glass designs like no others out there, and she’s been behind so many of the classic bespoke glass splashbacks and wall panels that now sit in homes all across the UK and beyond. 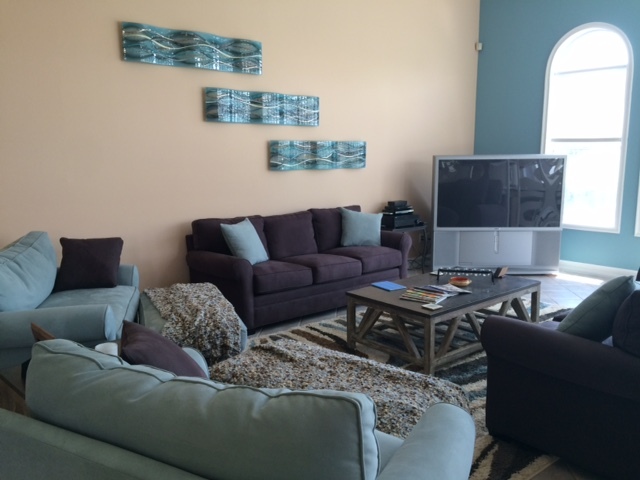 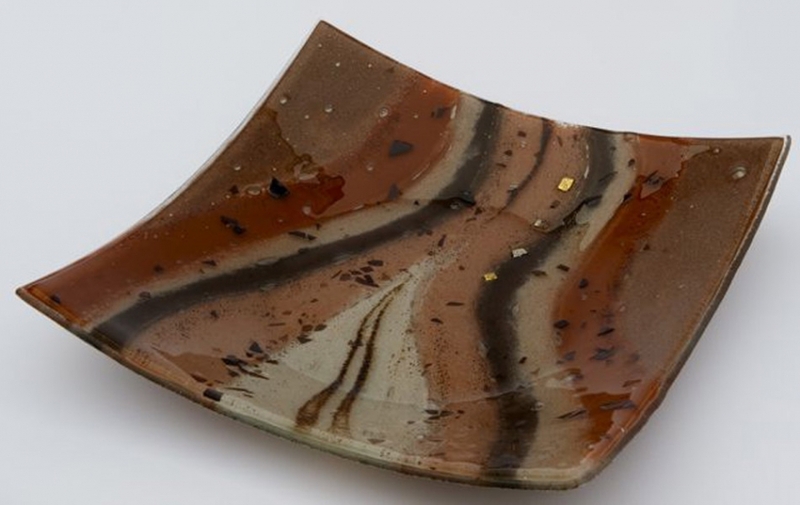 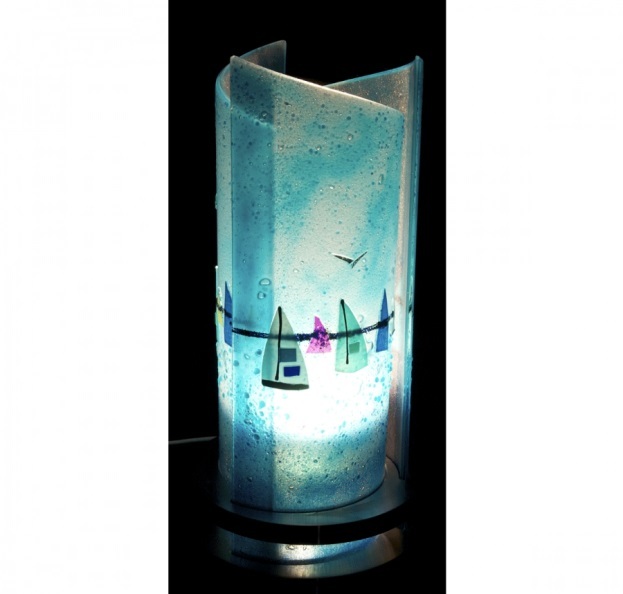 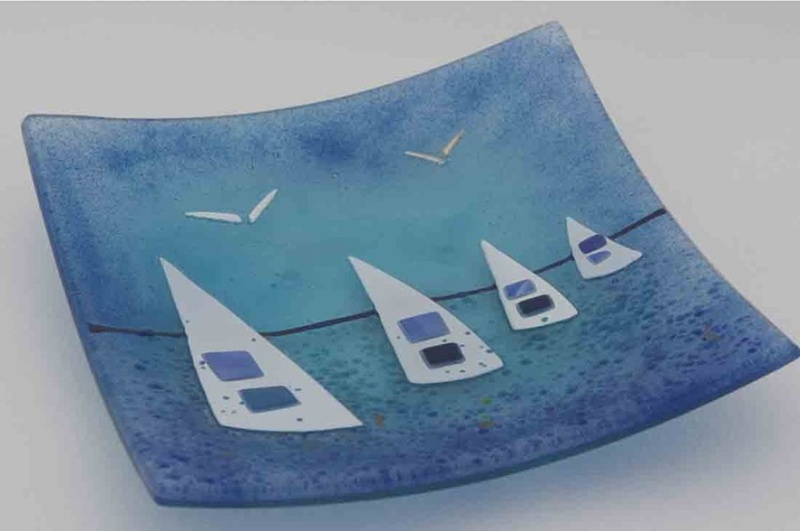 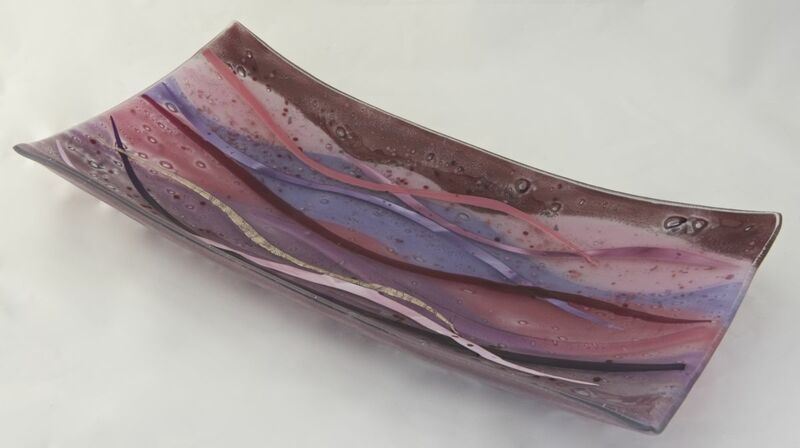 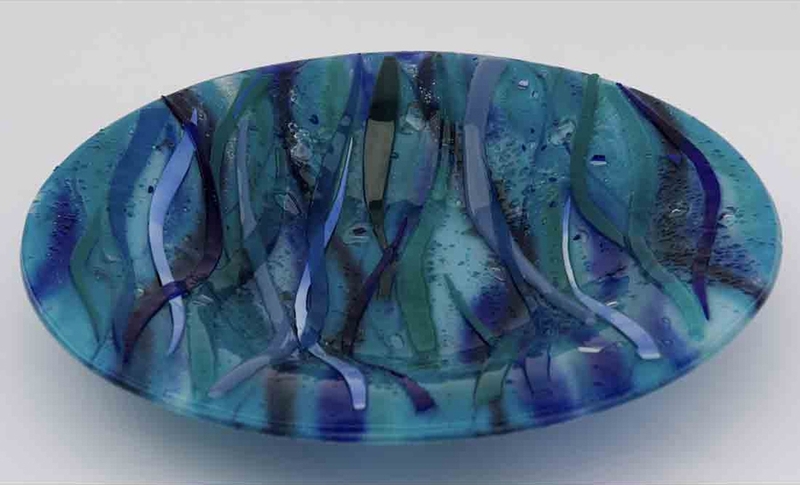 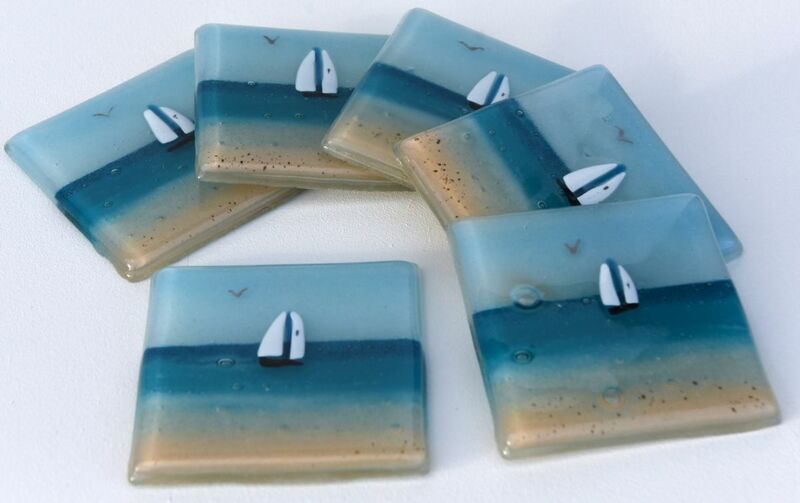 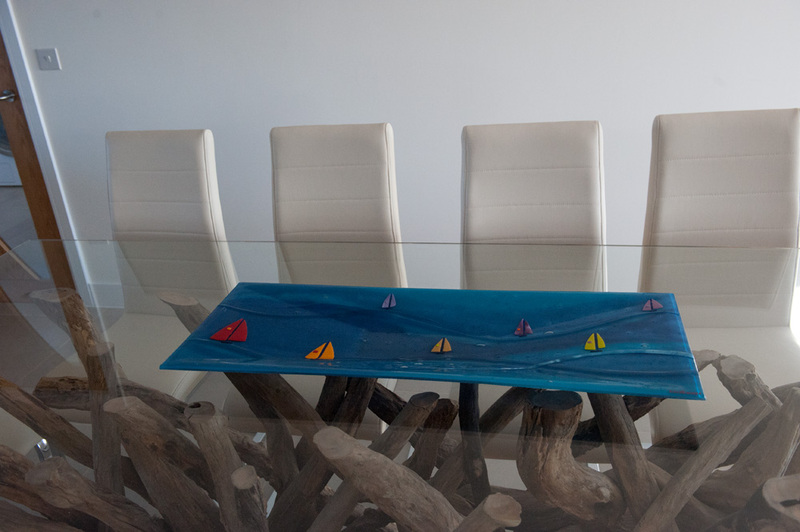 Pushing the envelope for fused glass art designs everywhere, Lisa sets the bar for glass artists everywhere and constantly manages to bring new flair to a well established medium. 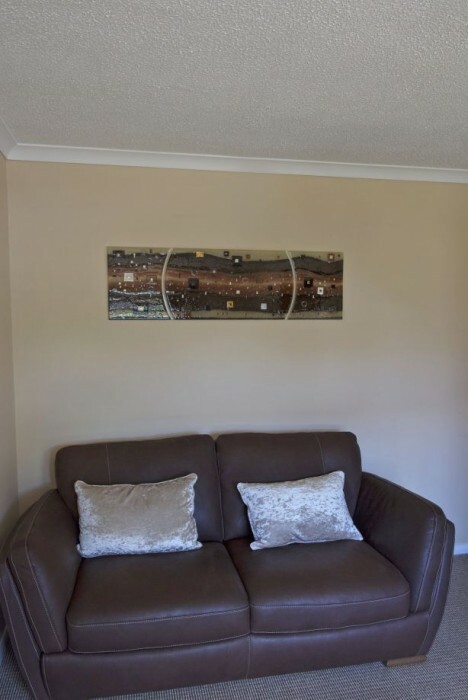 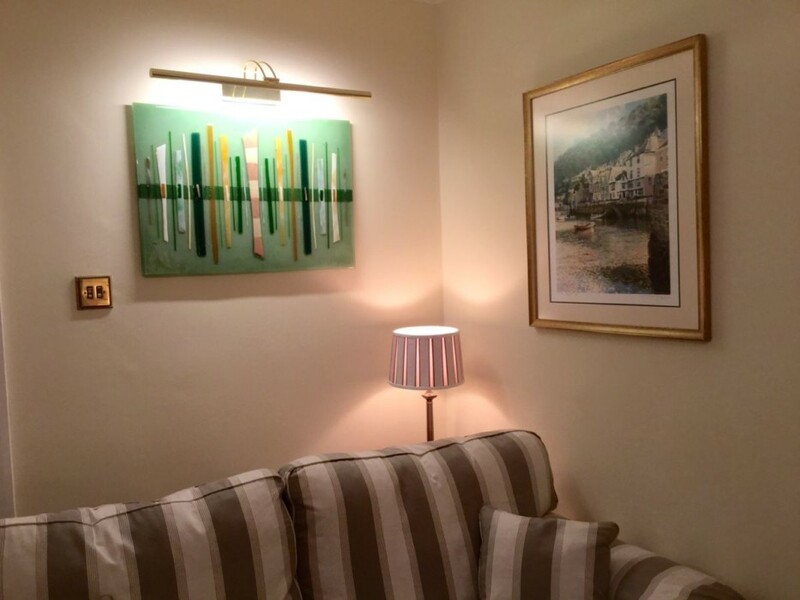 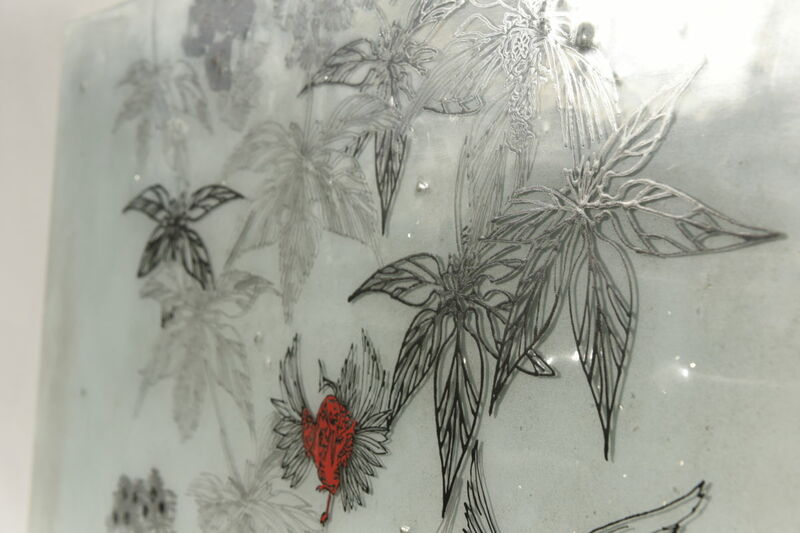 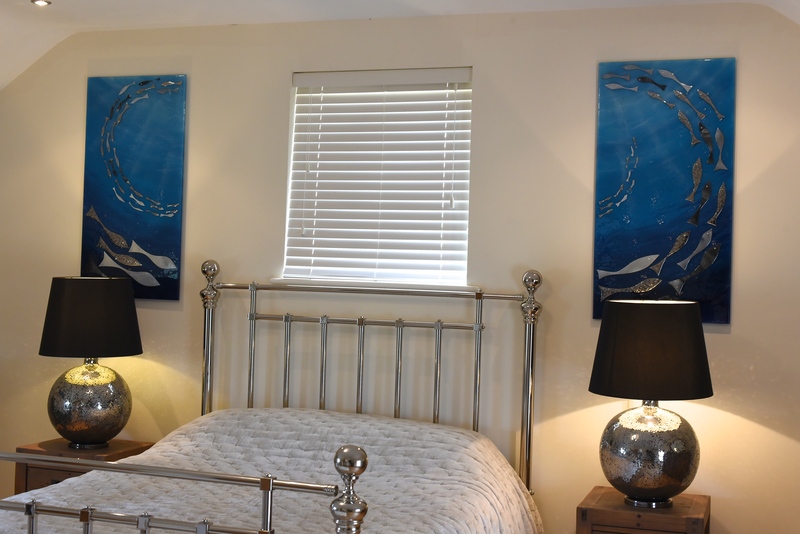 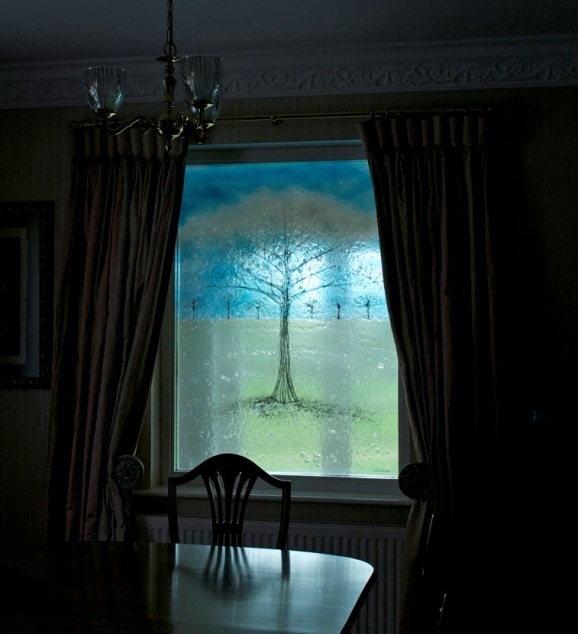 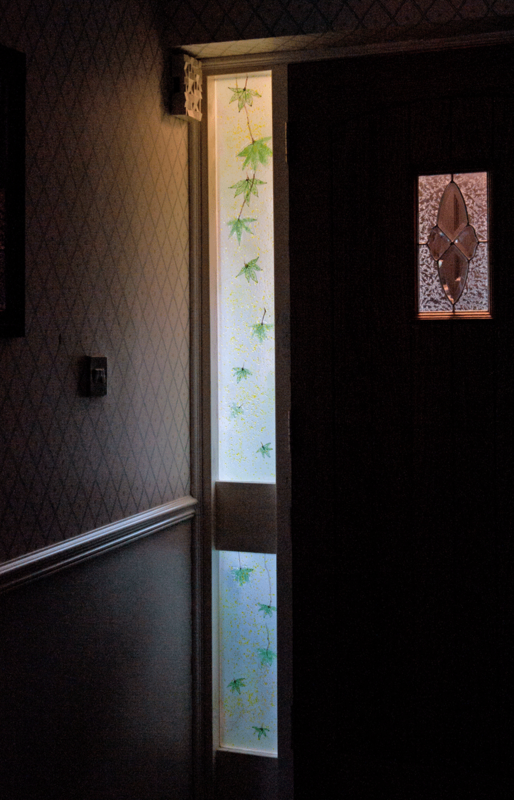 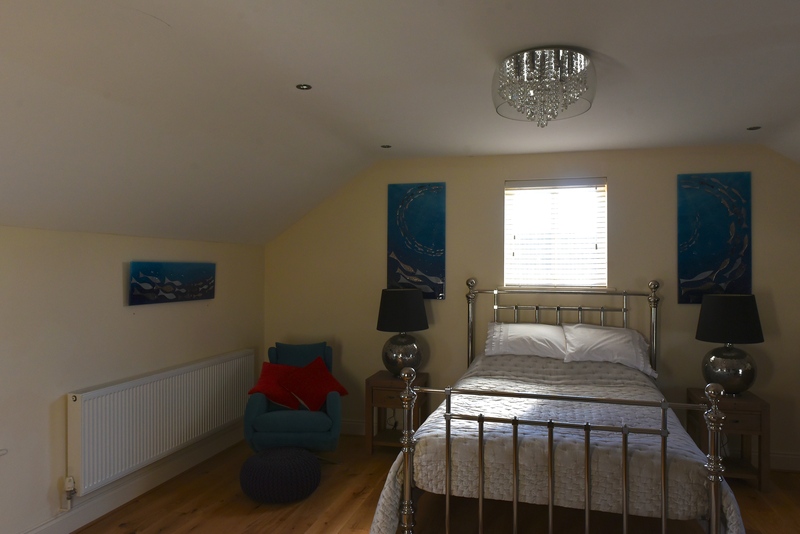 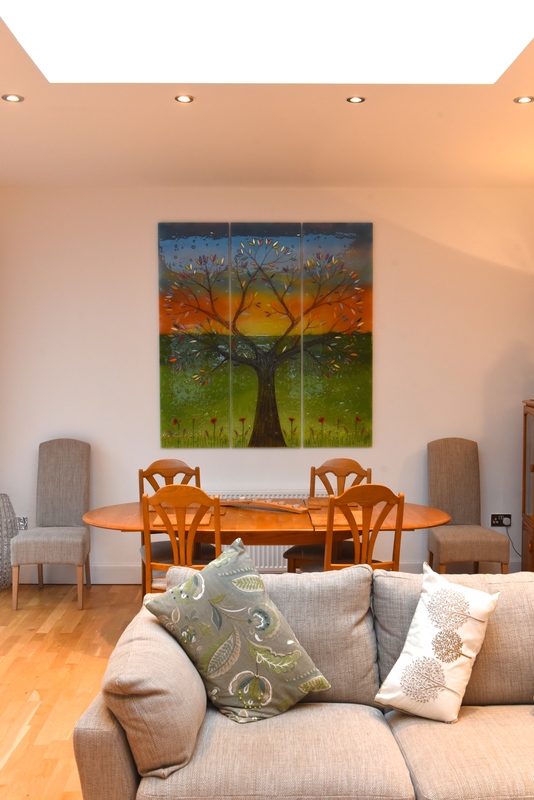 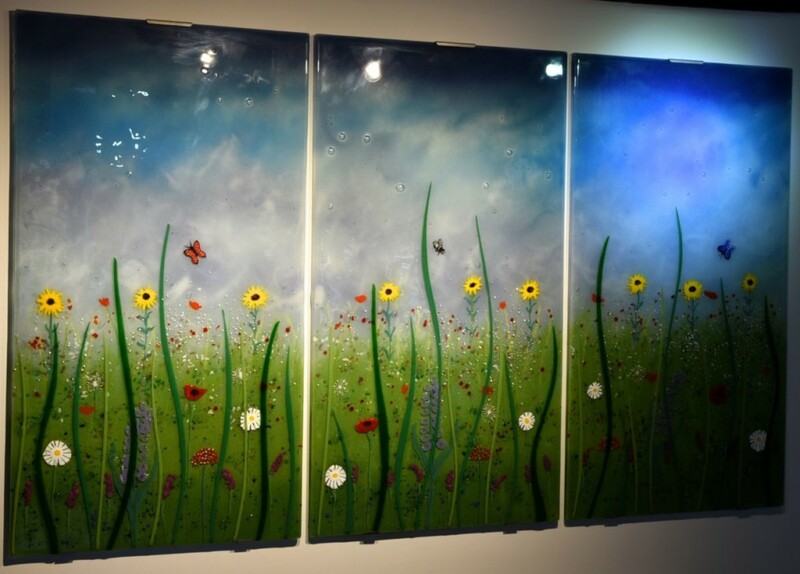 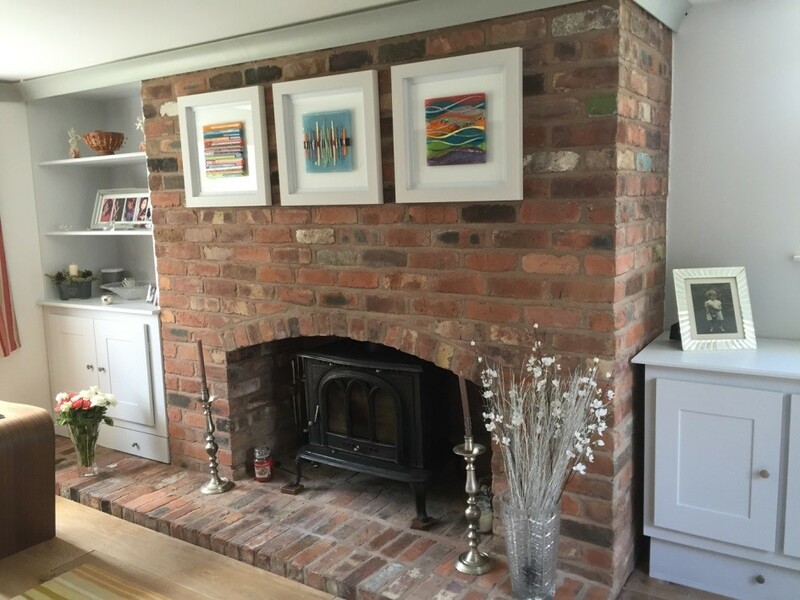 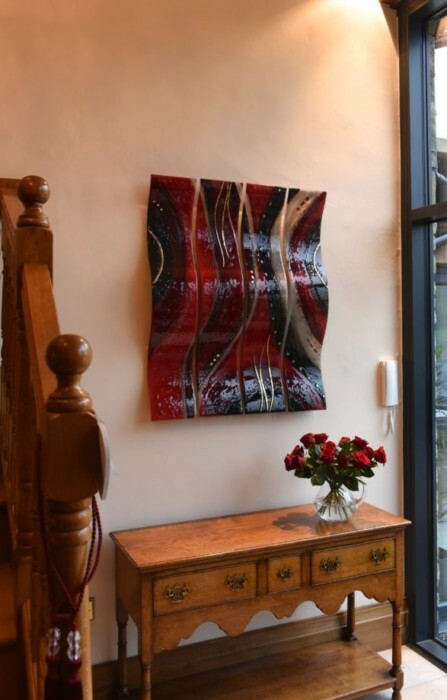 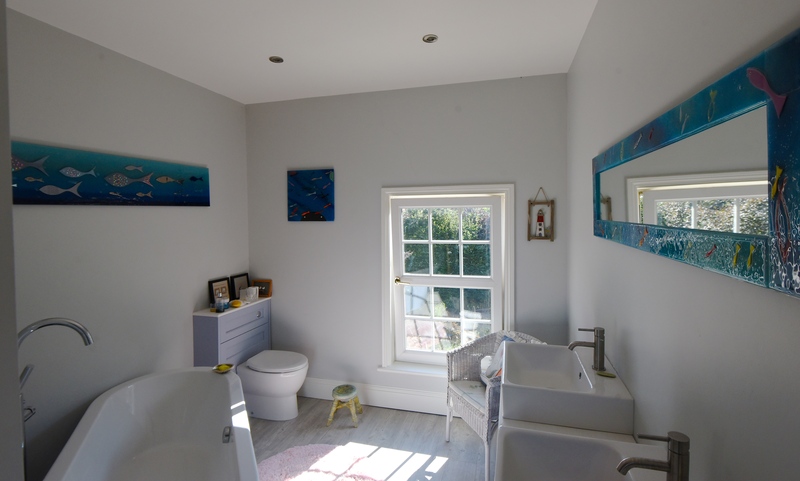 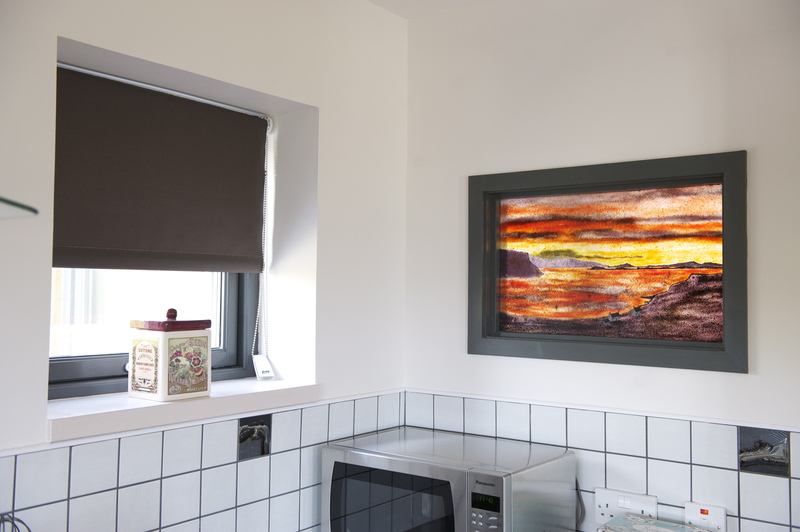 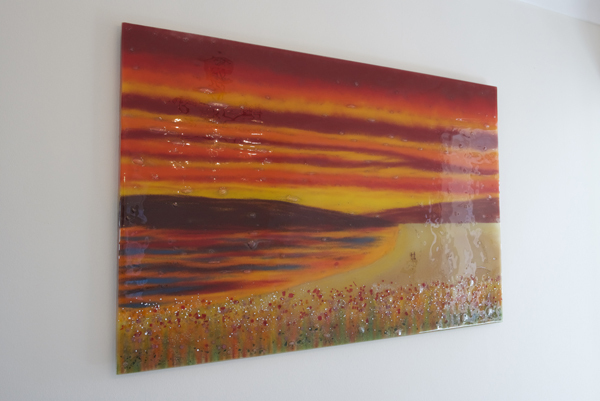 Many customers have spoken all about how Lisa is able to translate images onto glass utilising powder in a painterly style, leading to some truly beautiful and very personal pieces in the past. 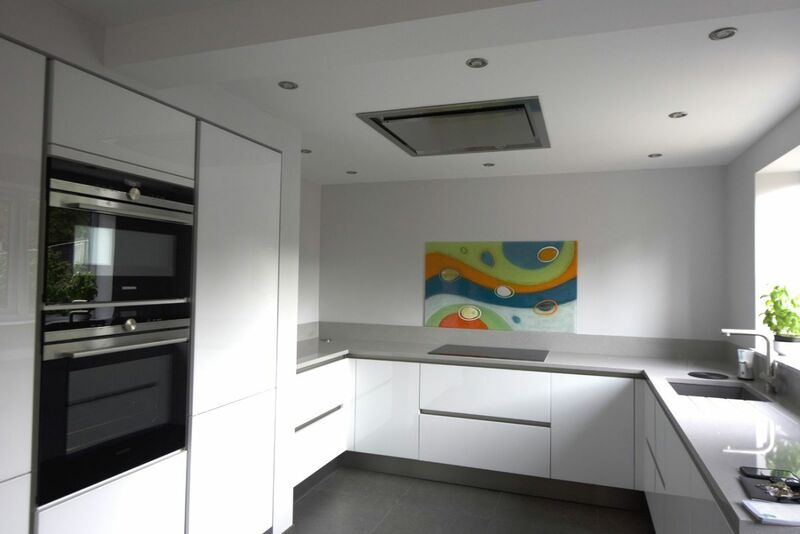 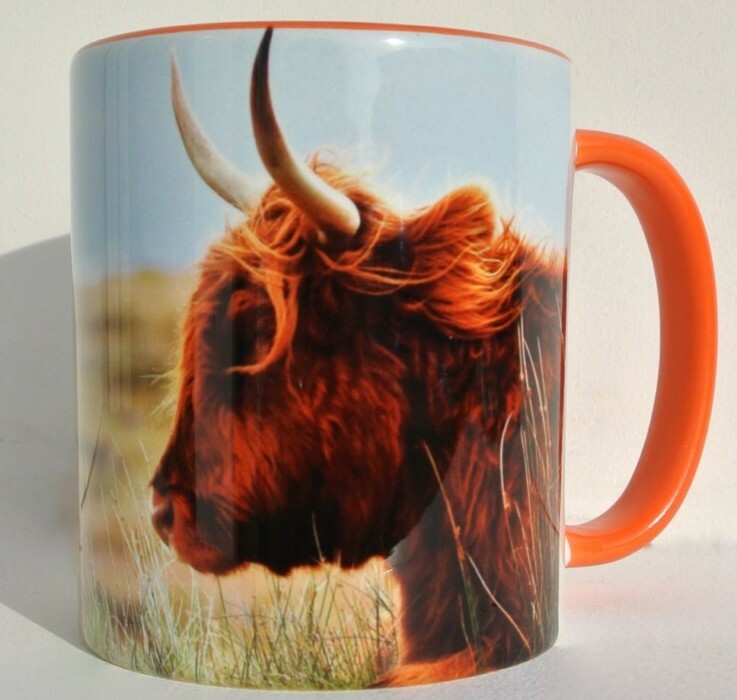 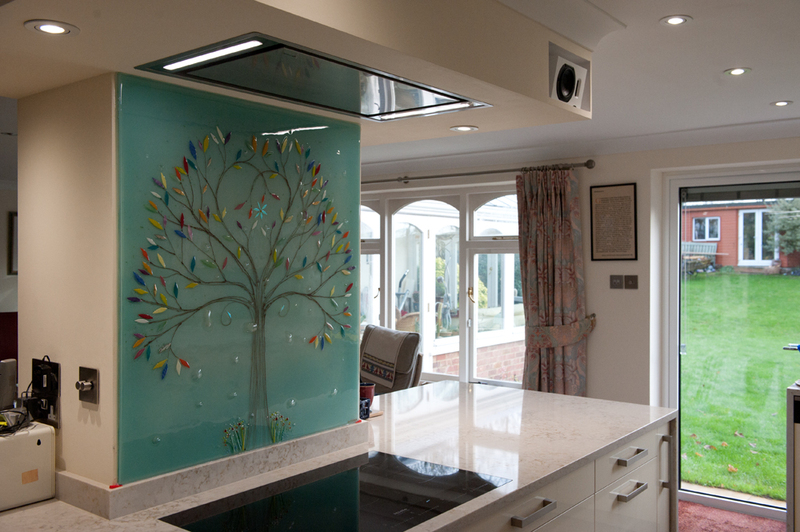 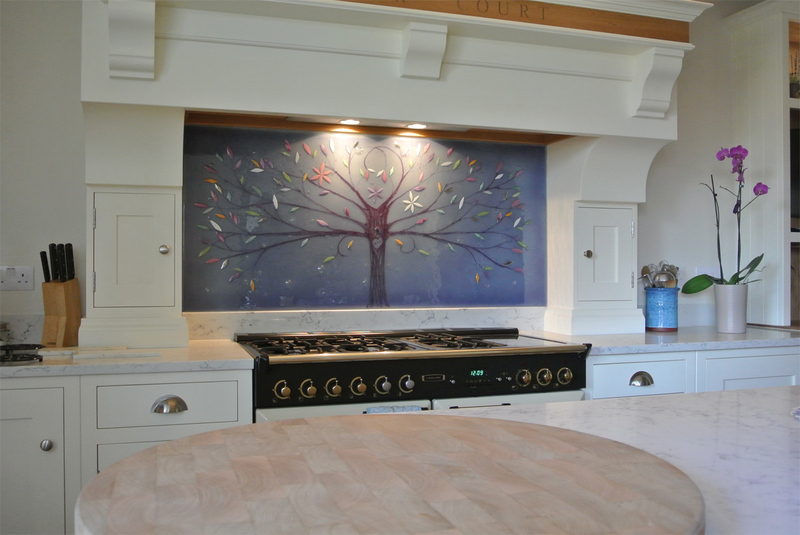 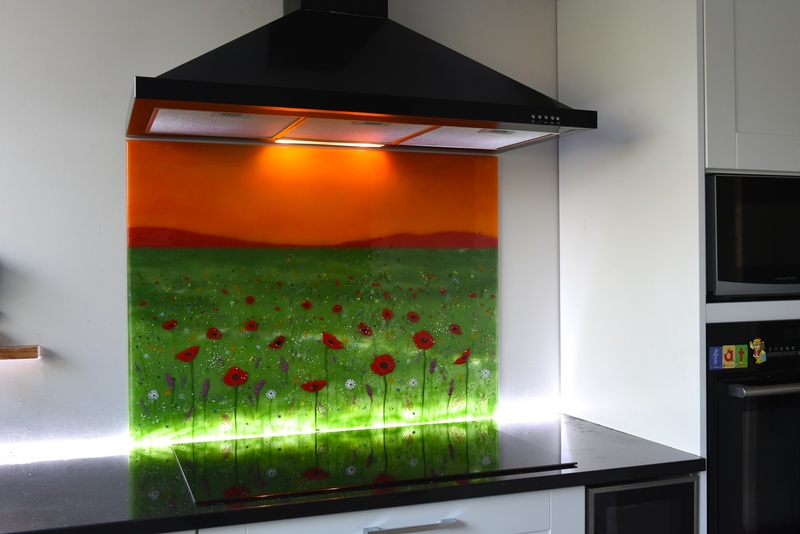 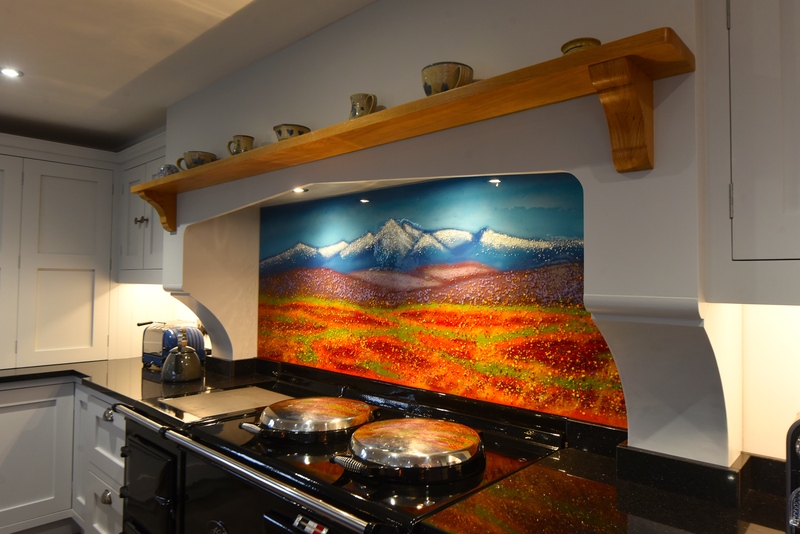 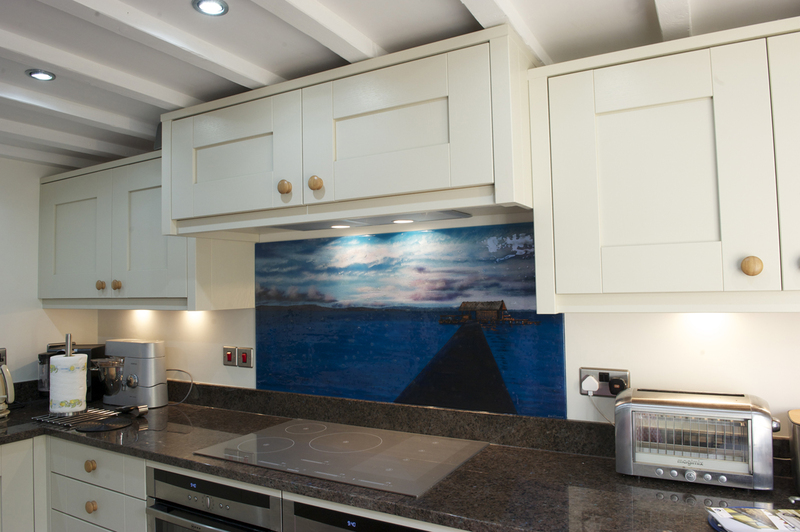 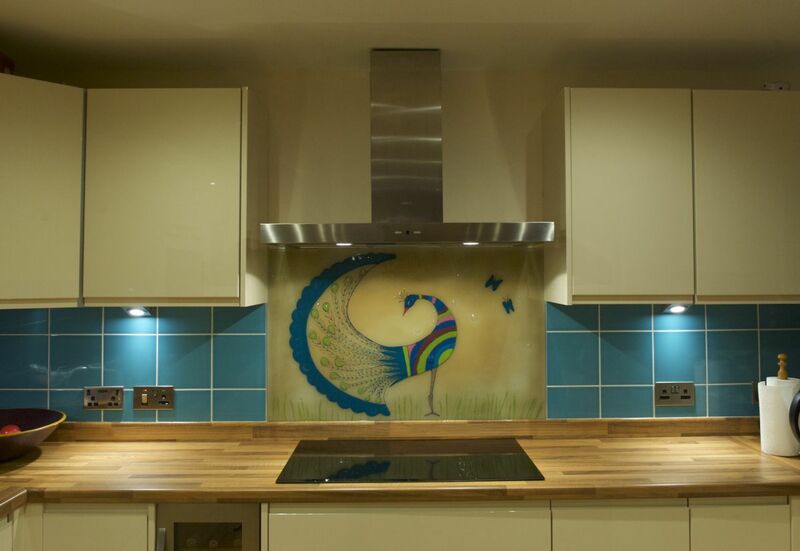 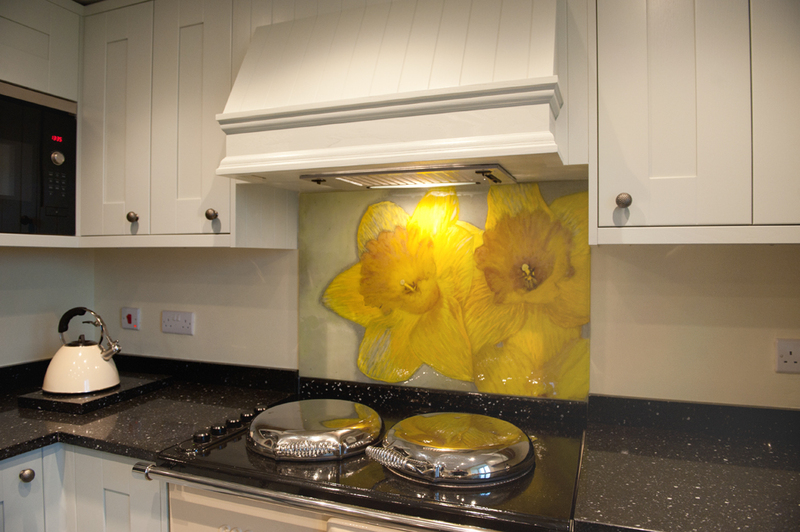 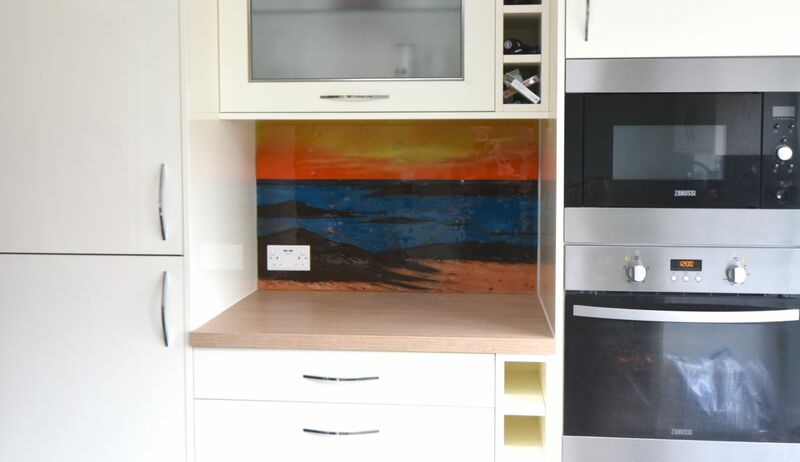 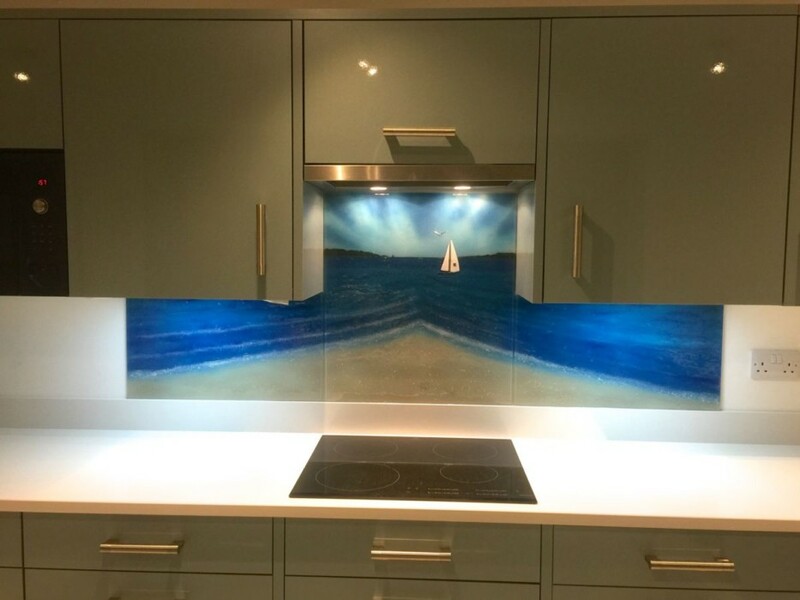 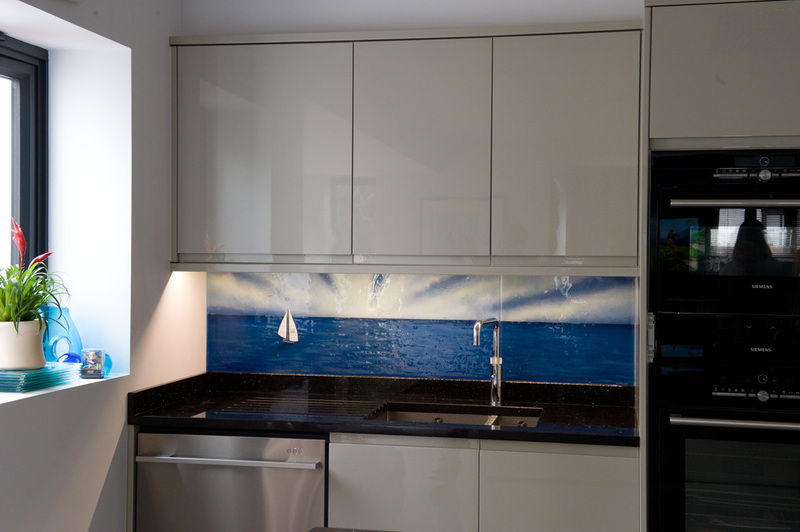 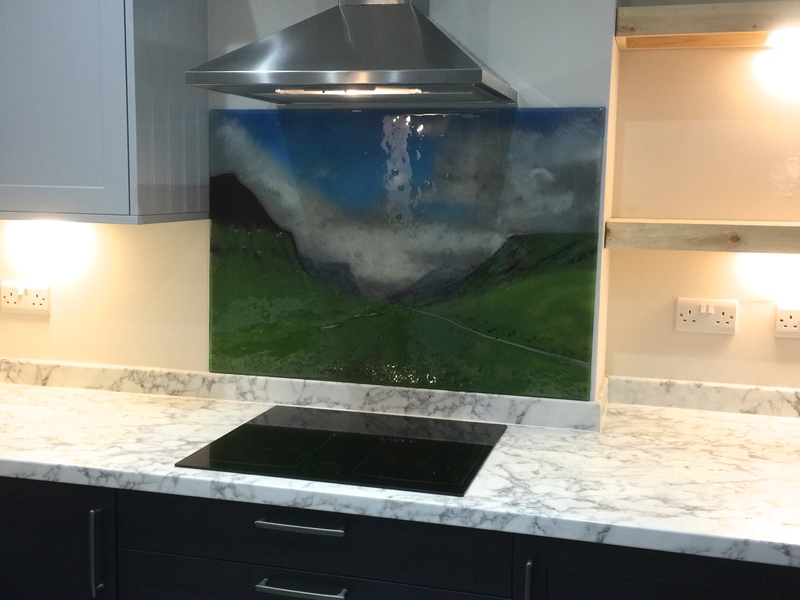 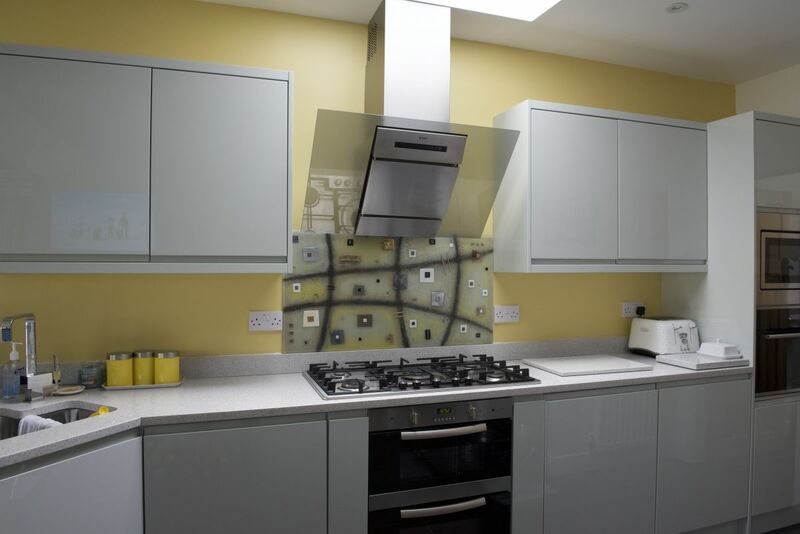 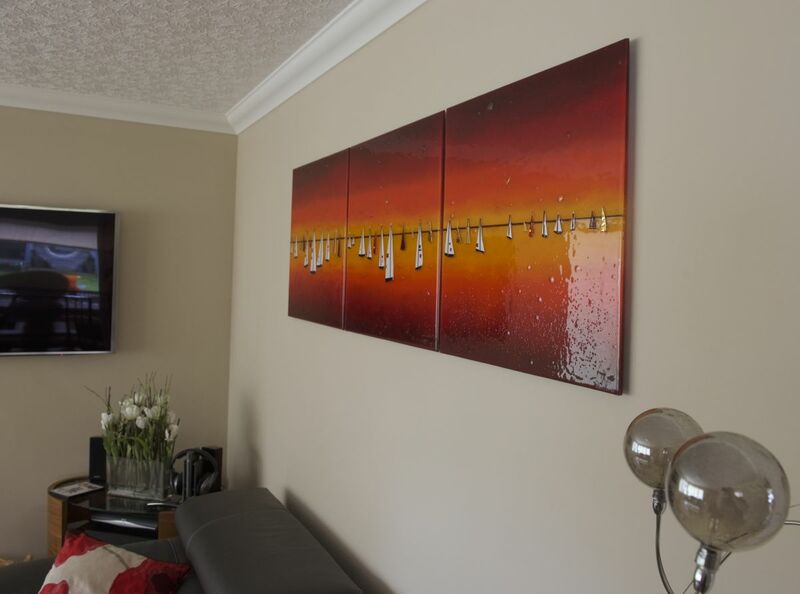 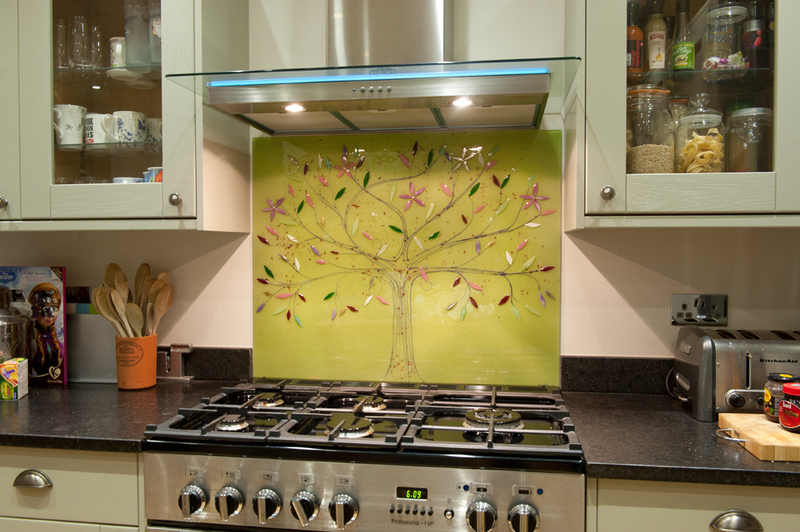 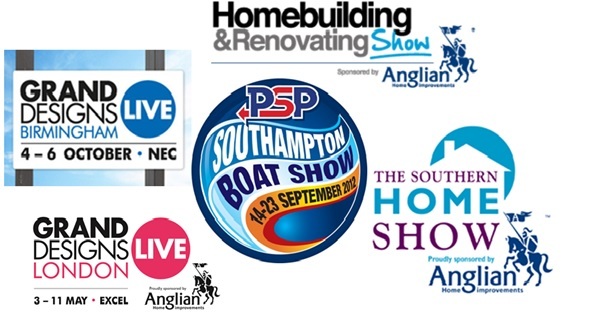 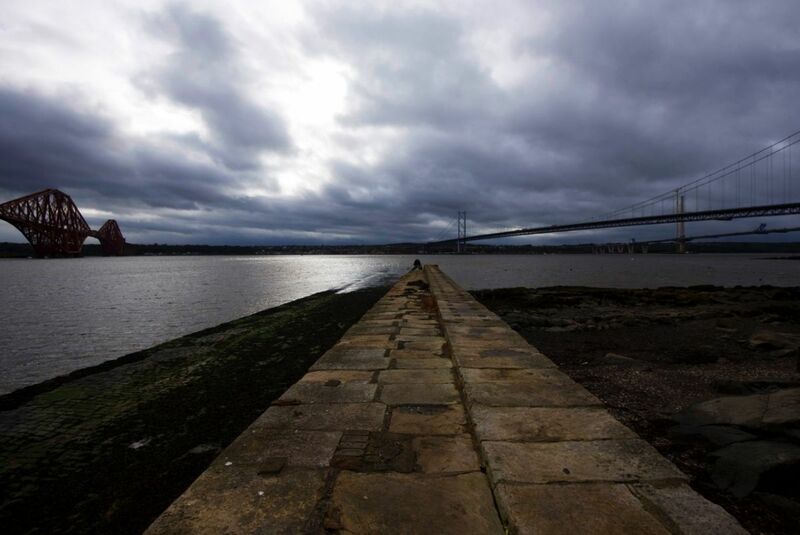 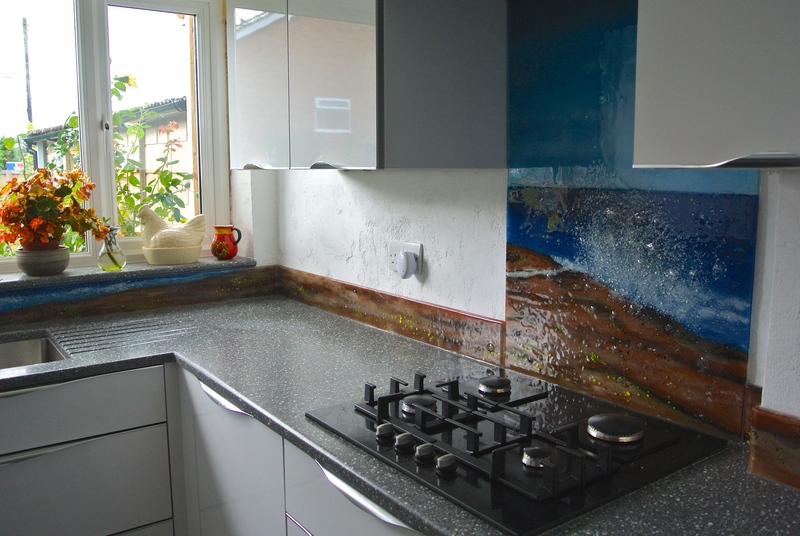 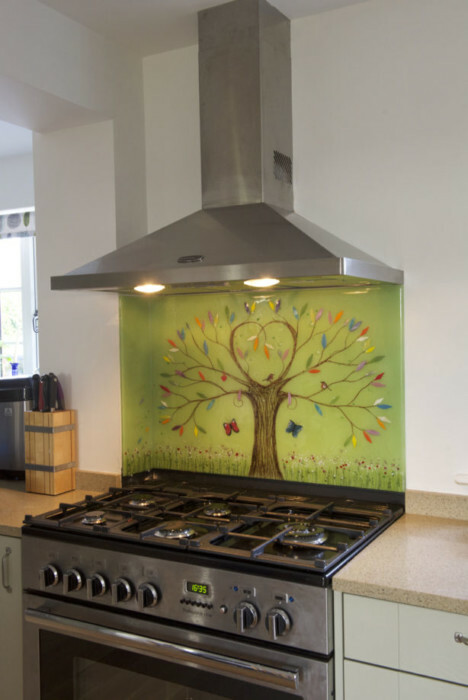 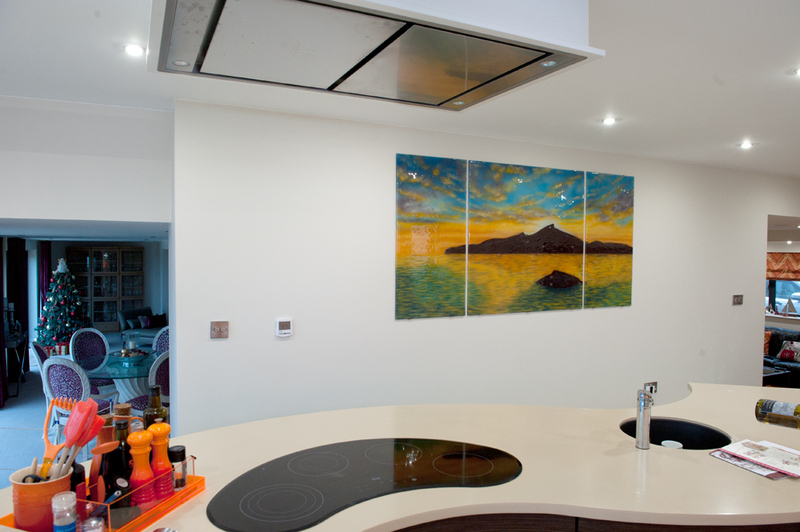 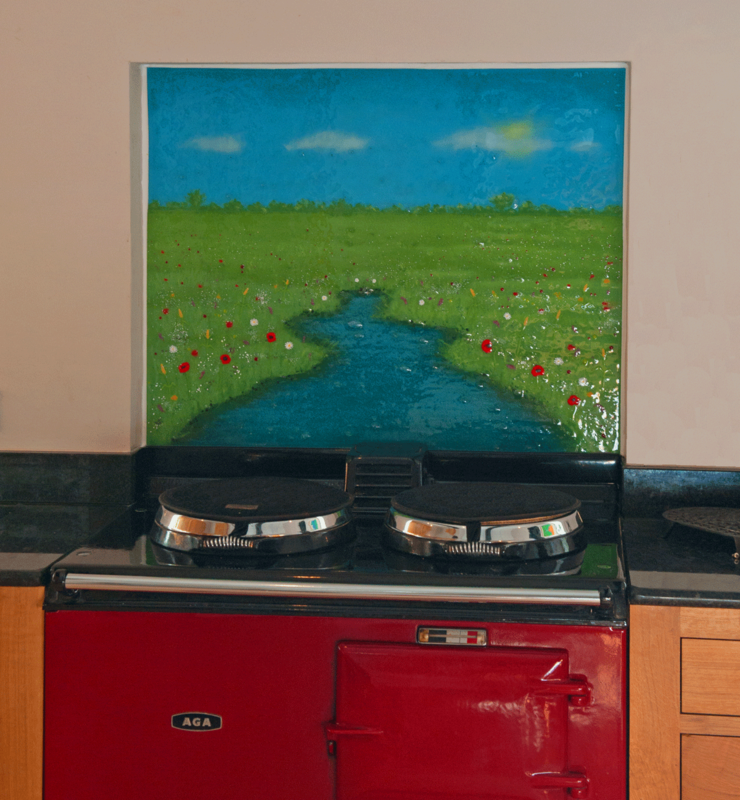 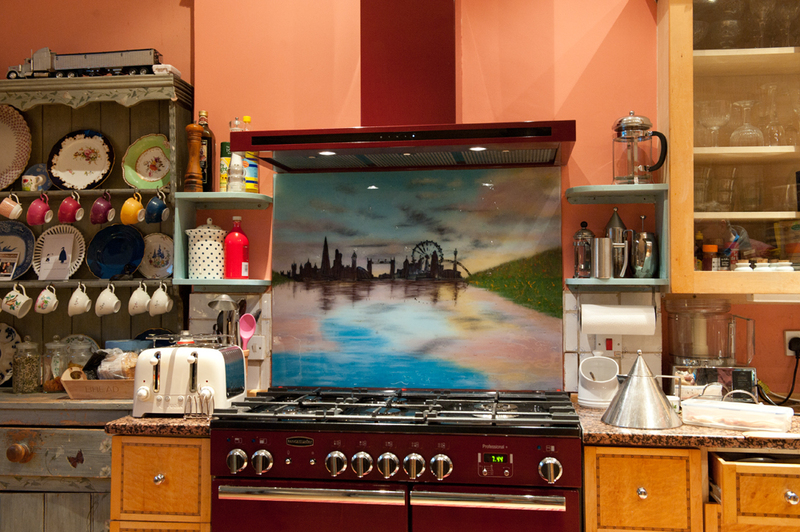 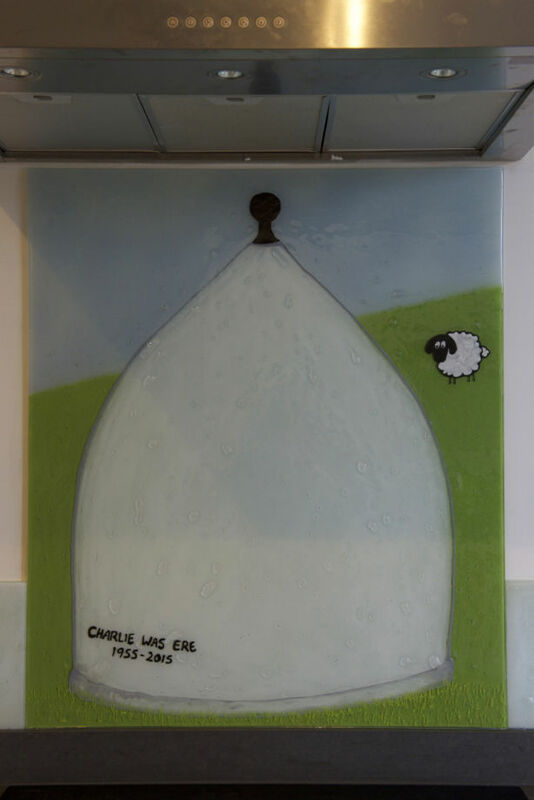 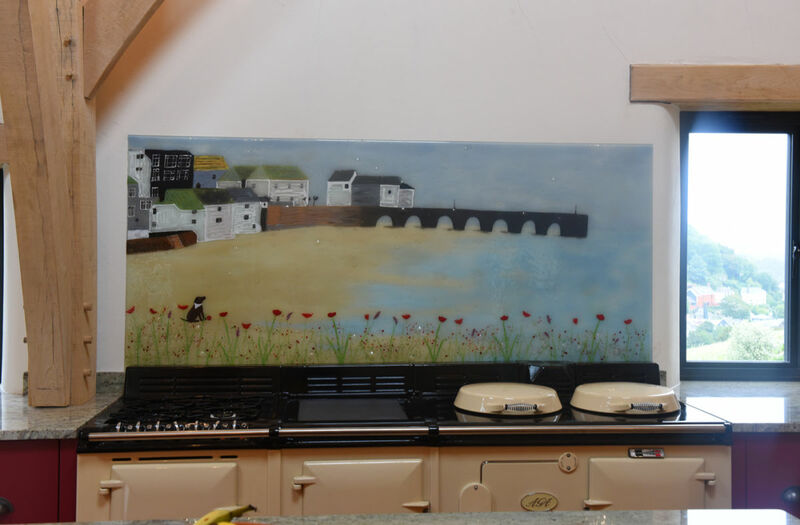 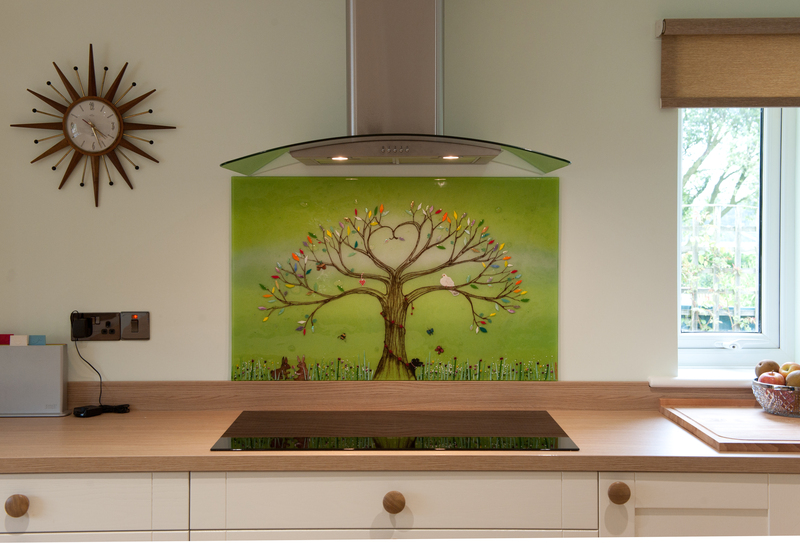 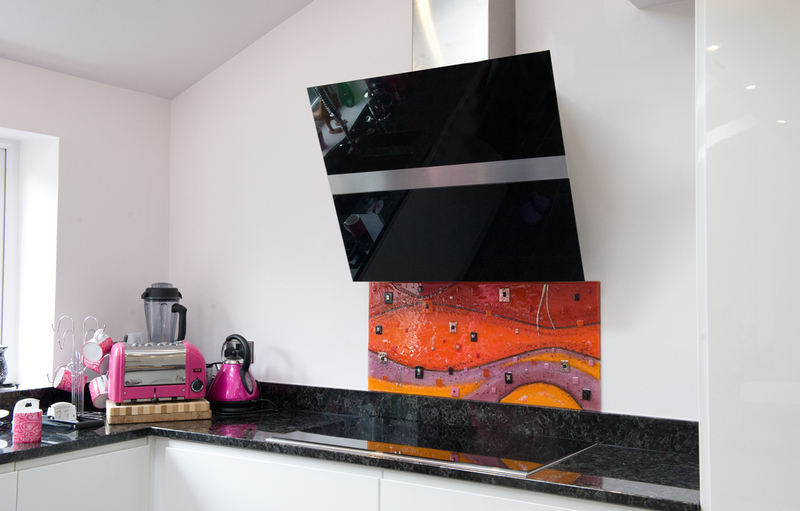 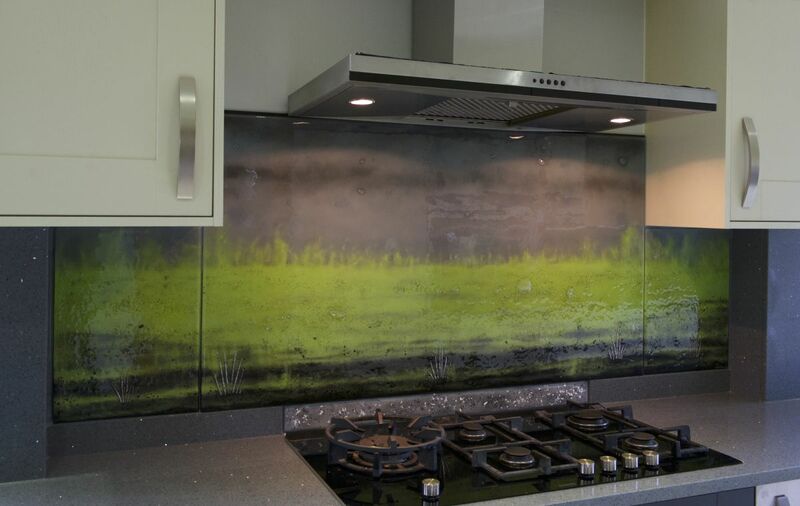 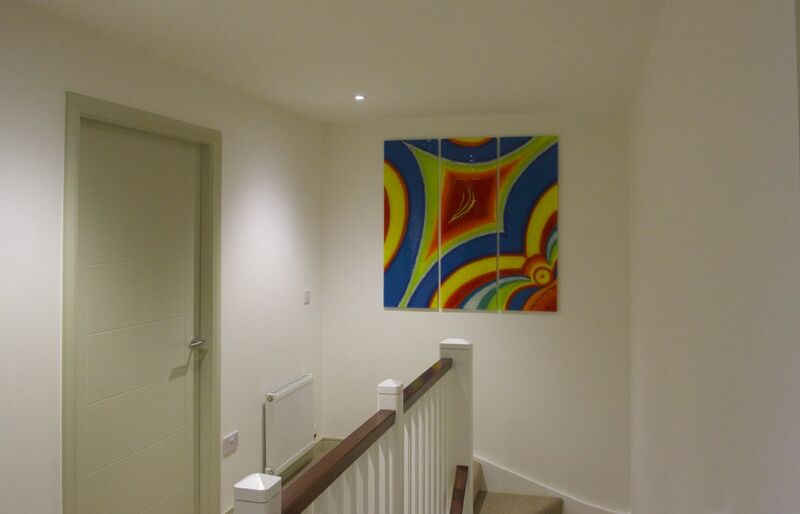 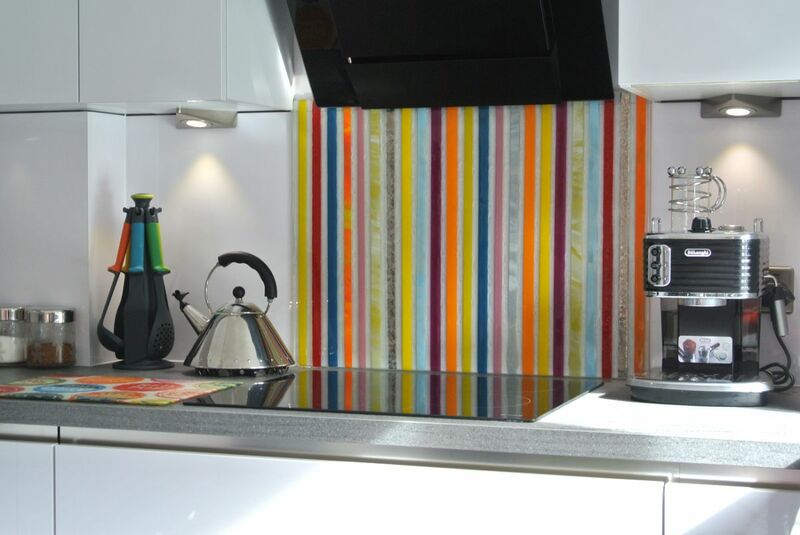 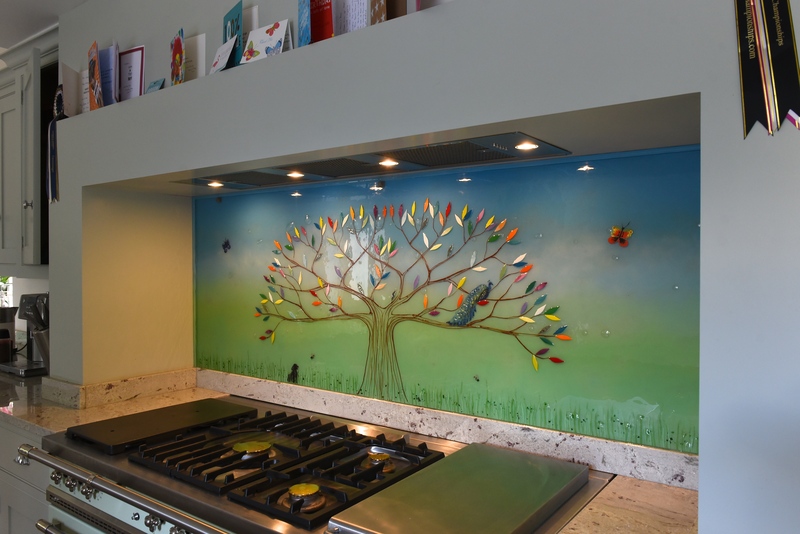 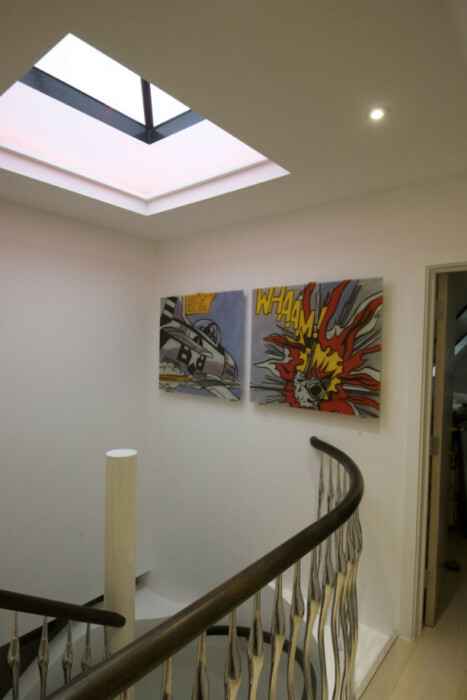 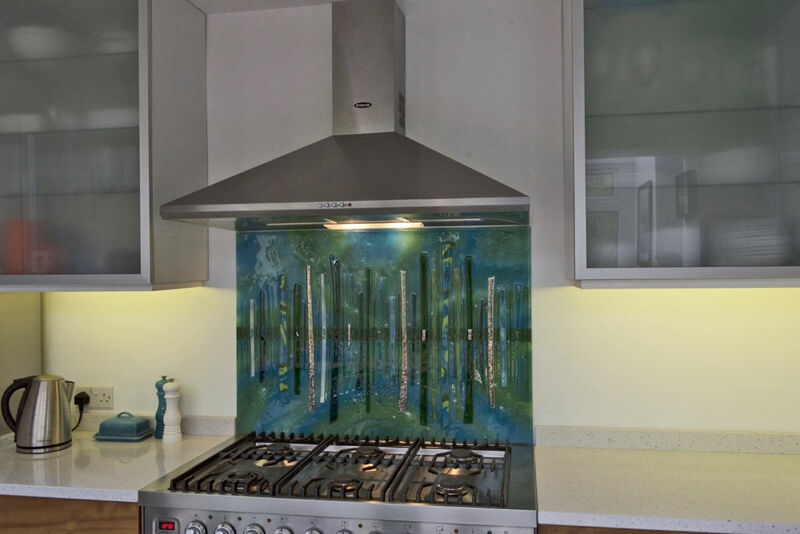 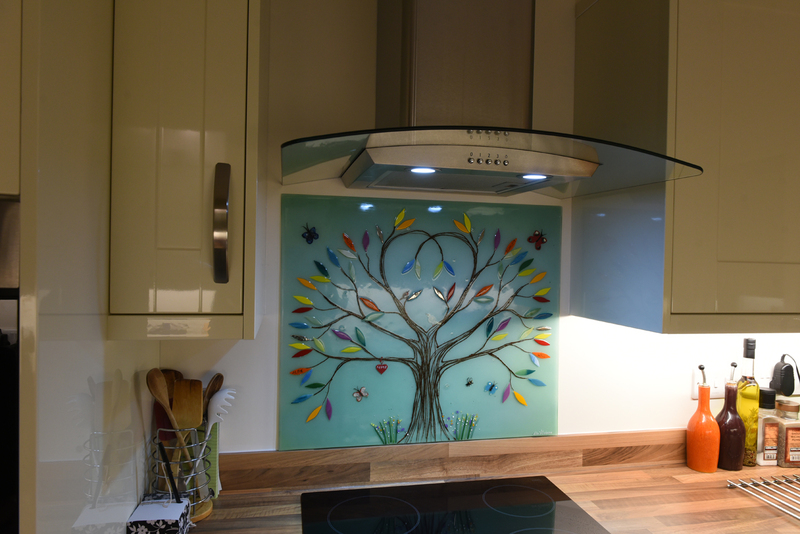 If you’re looking to have an image put into one of our bespoke glass splashbacks, you’re in the safest of hands! 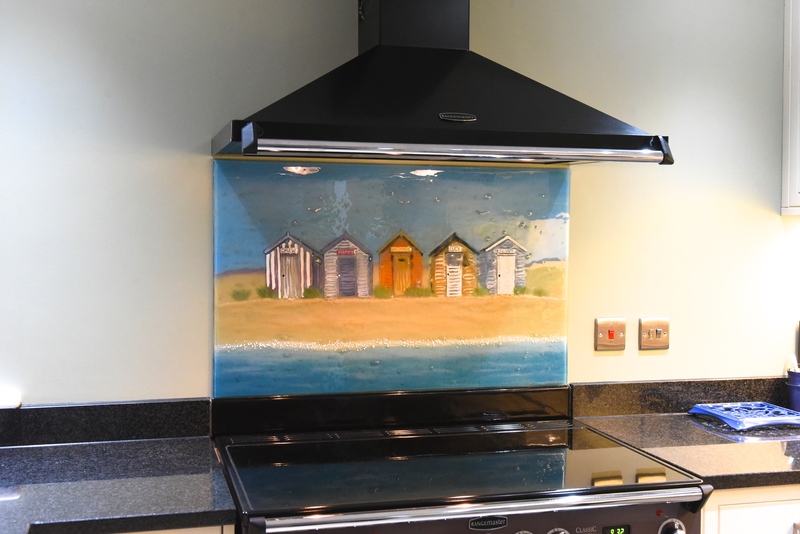 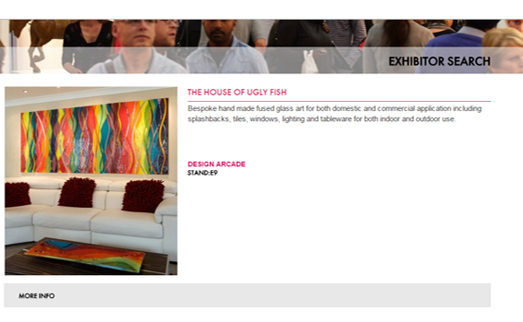 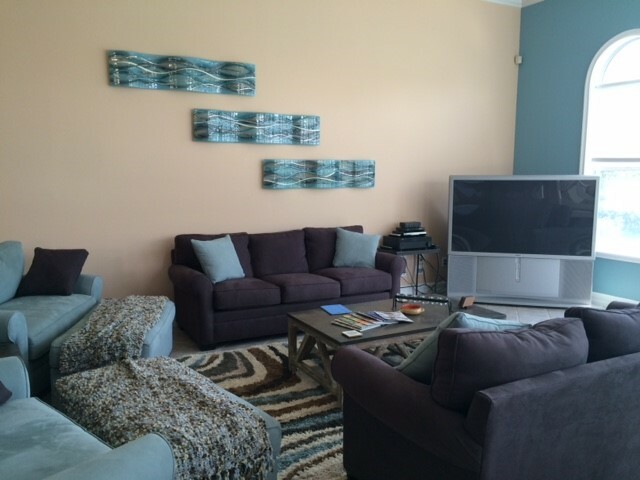 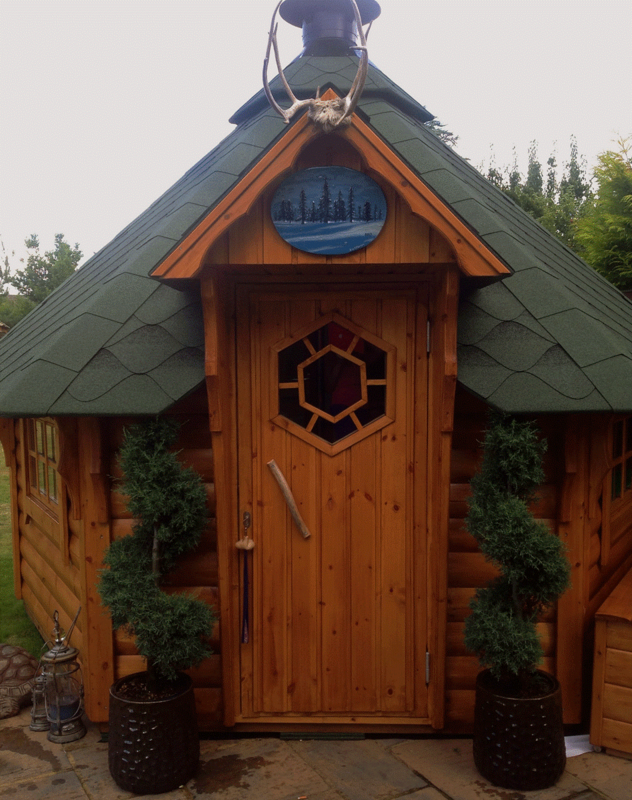 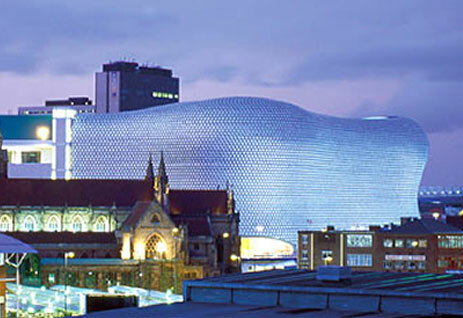 We here at The House of Ugly Fish are always ready and waiting to bring your perfect piece of fused glass art to life! 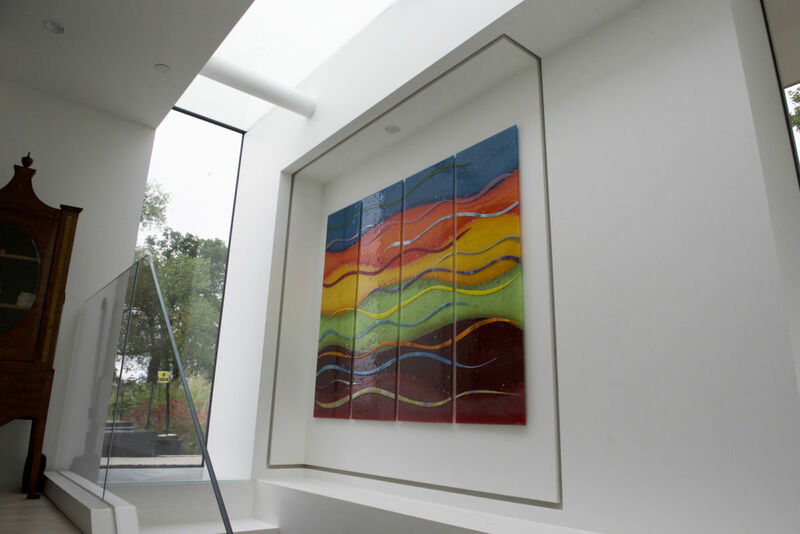 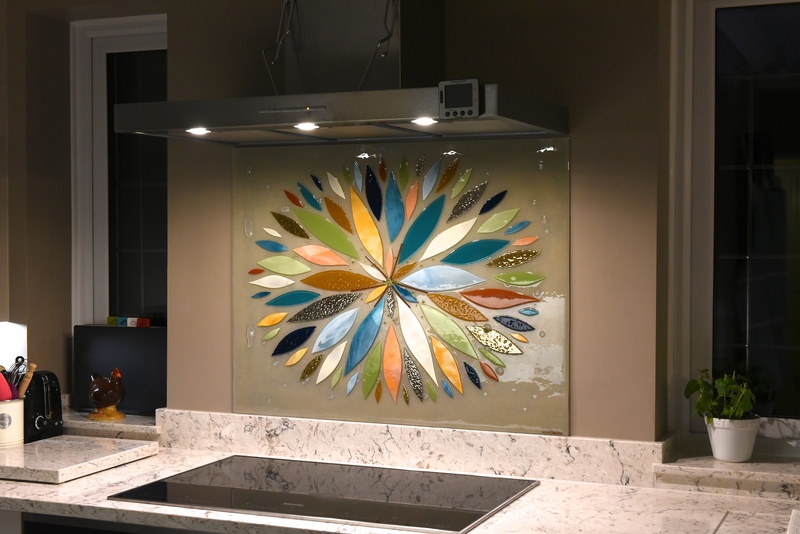 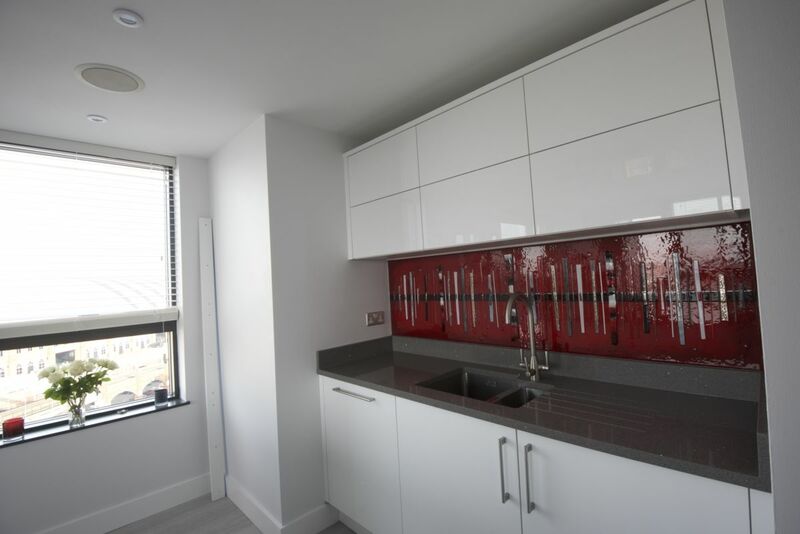 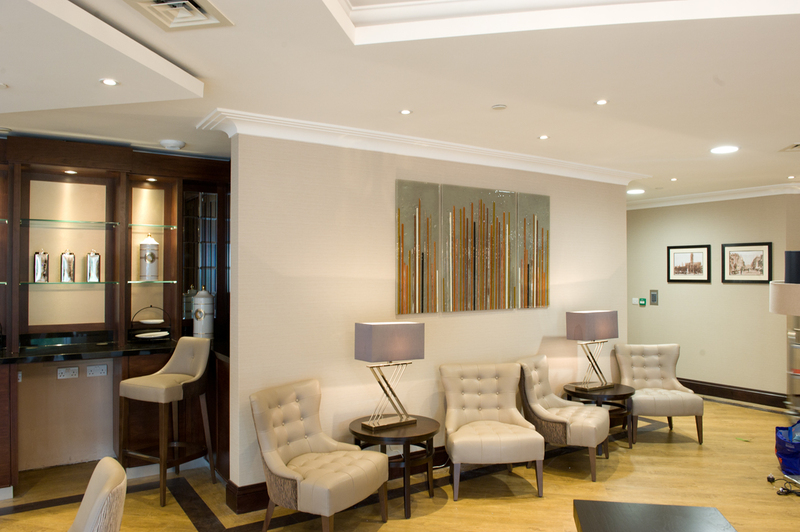 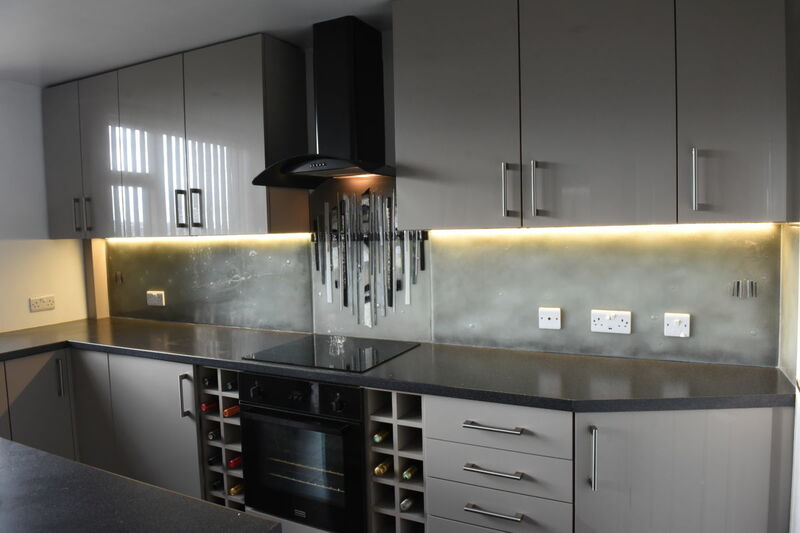 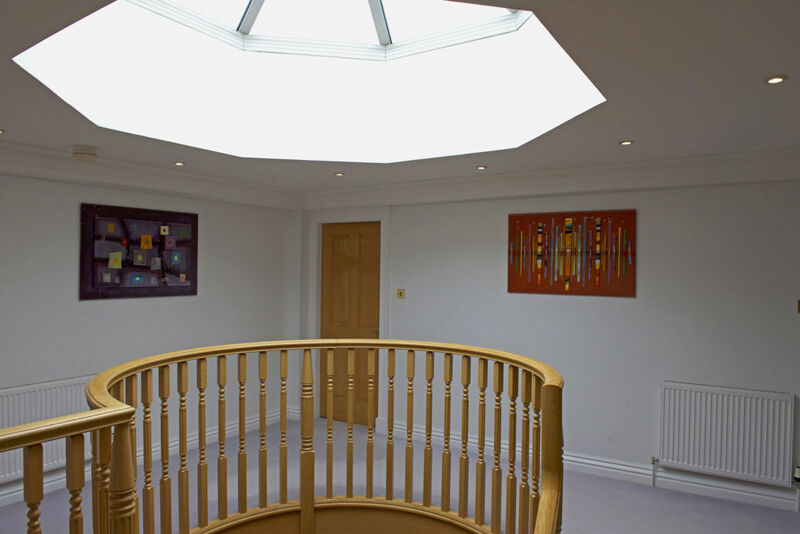 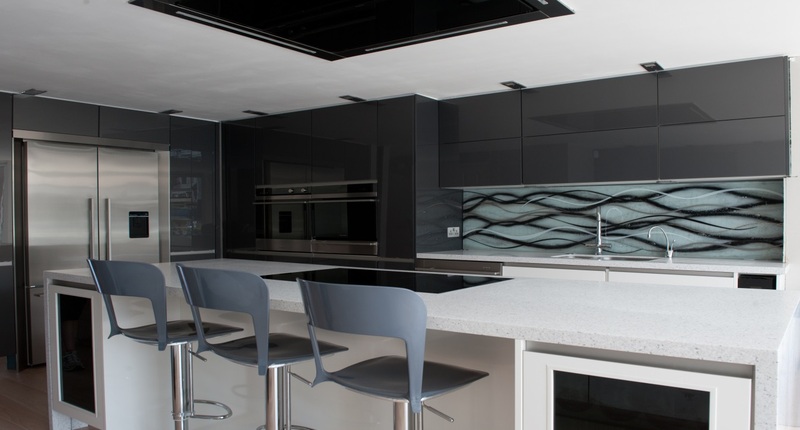 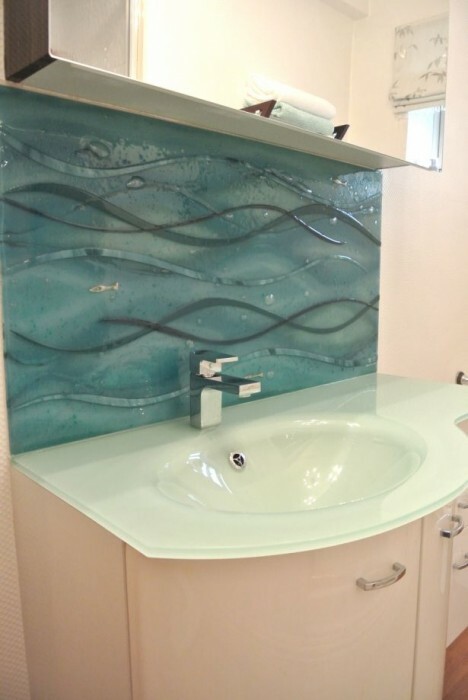 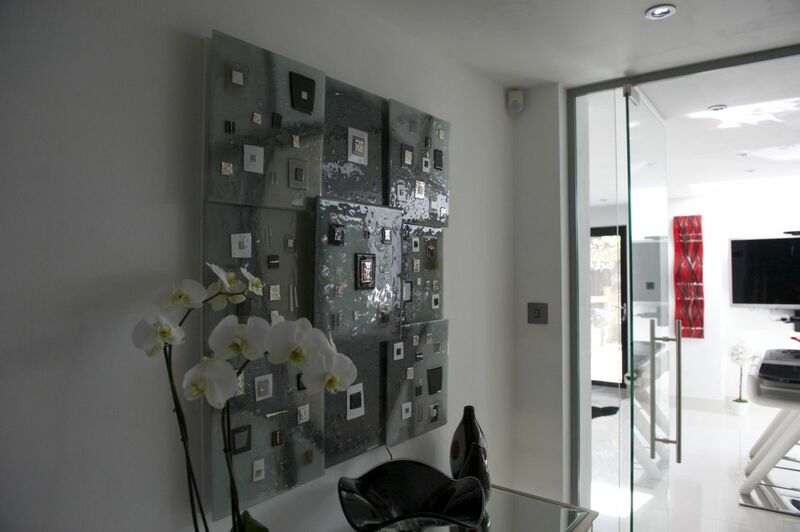 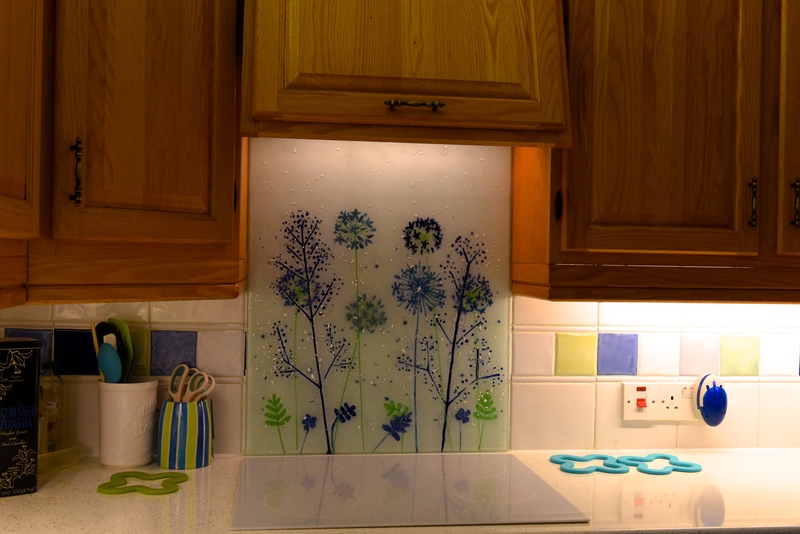 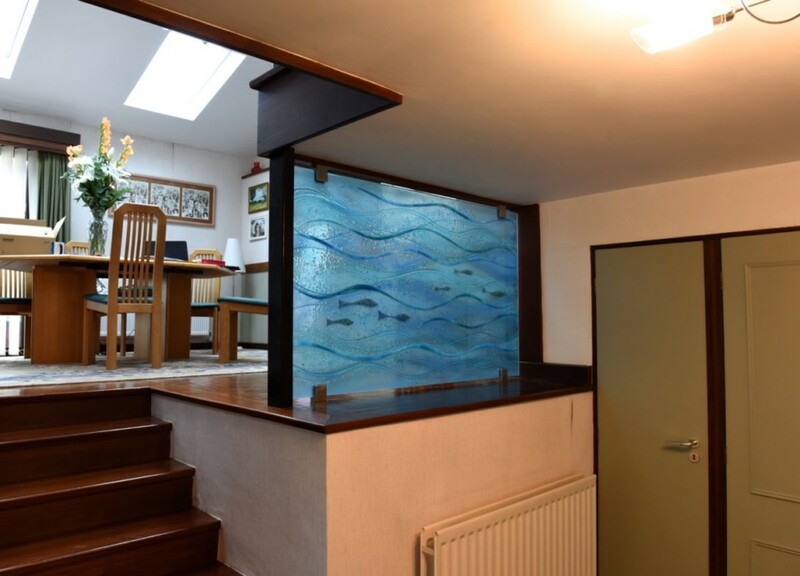 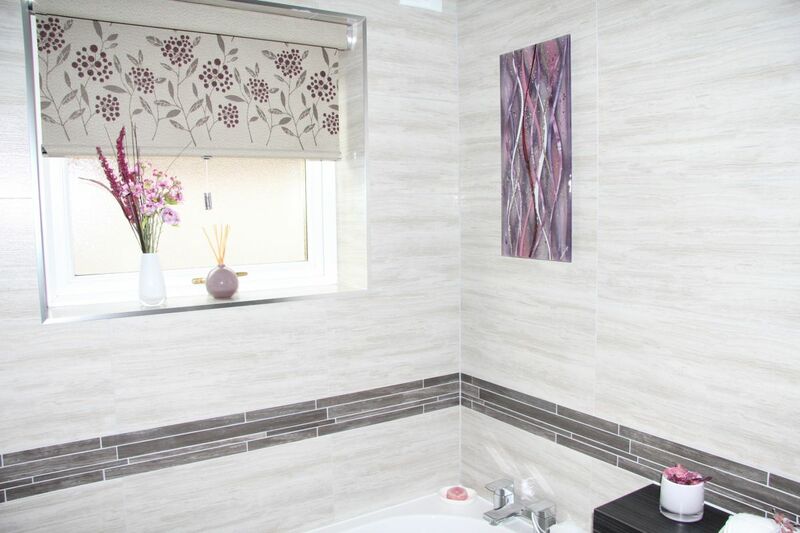 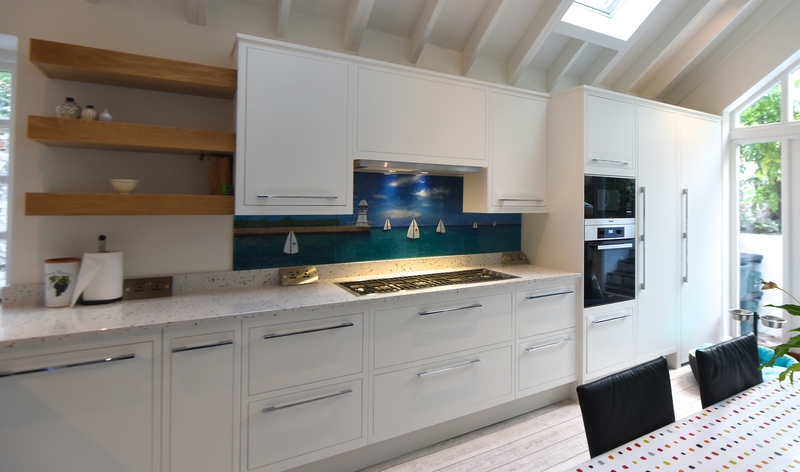 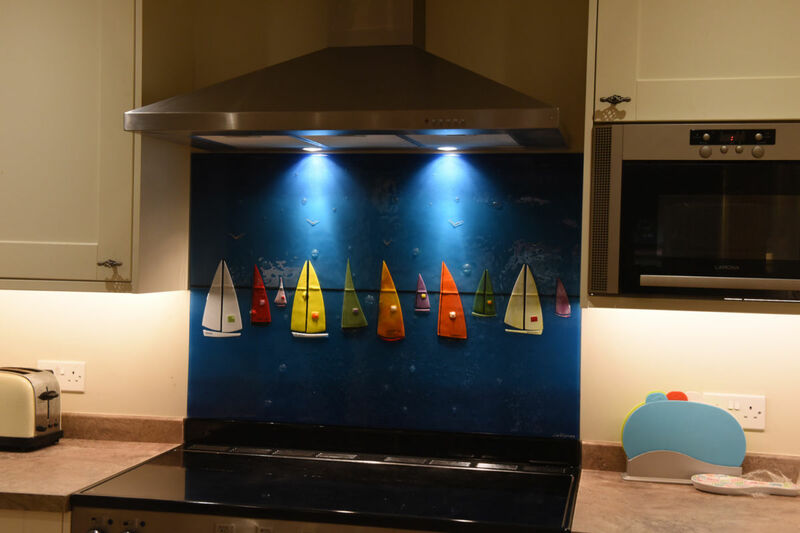 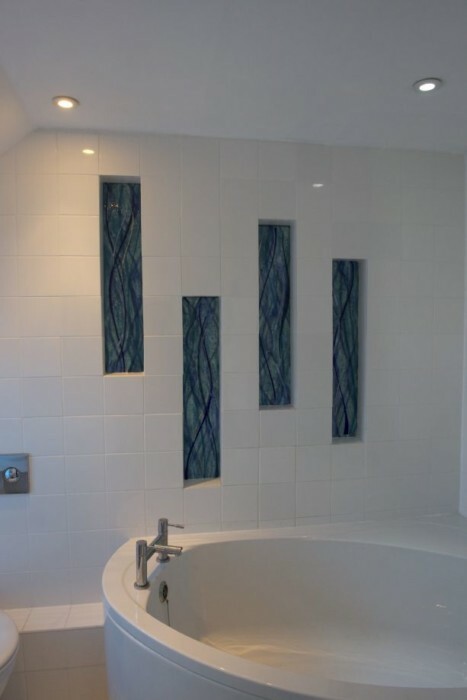 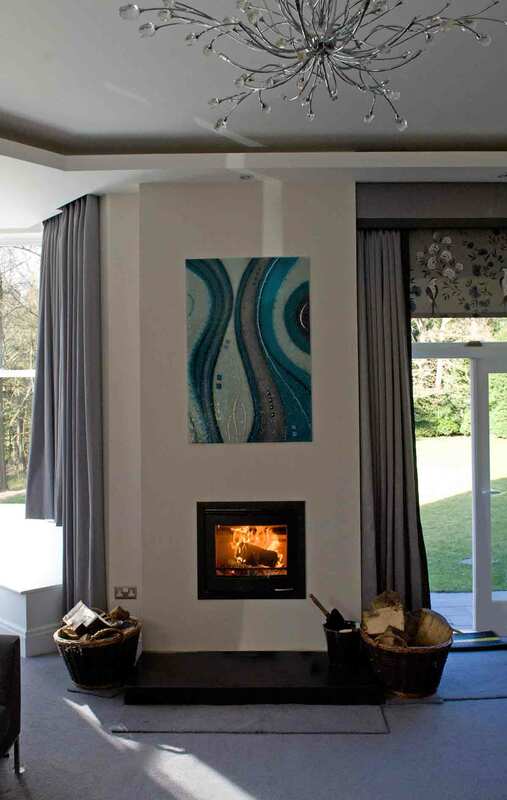 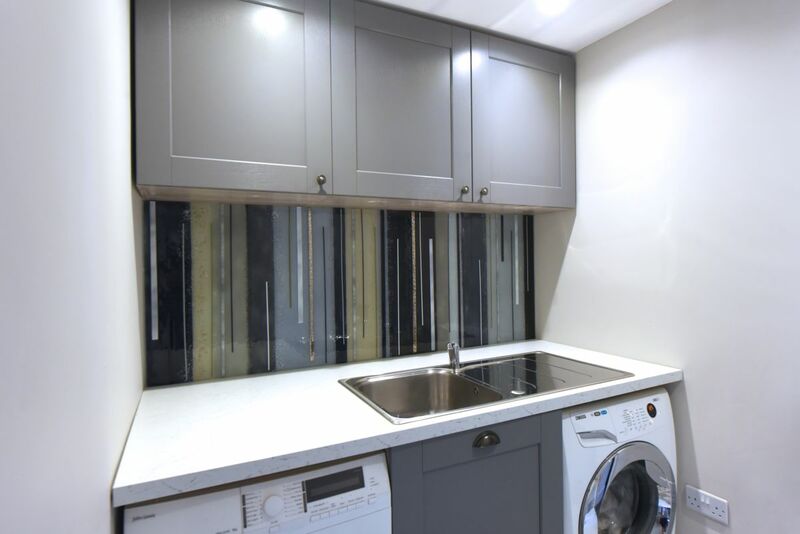 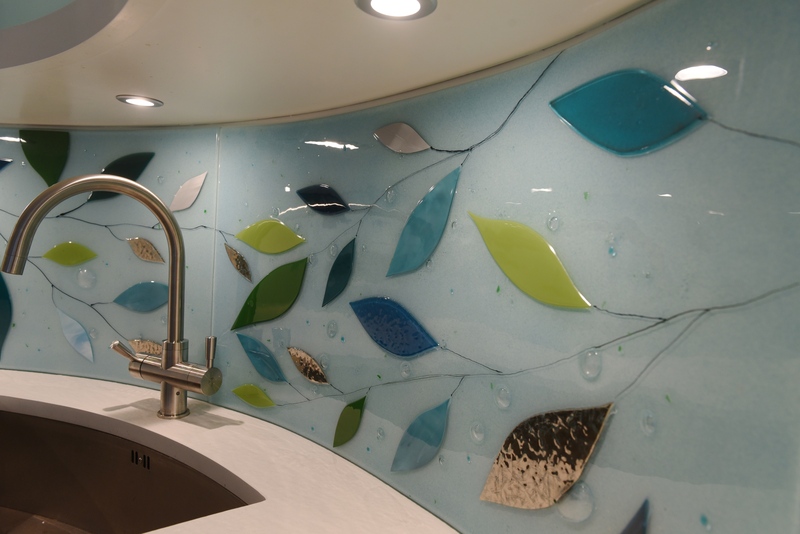 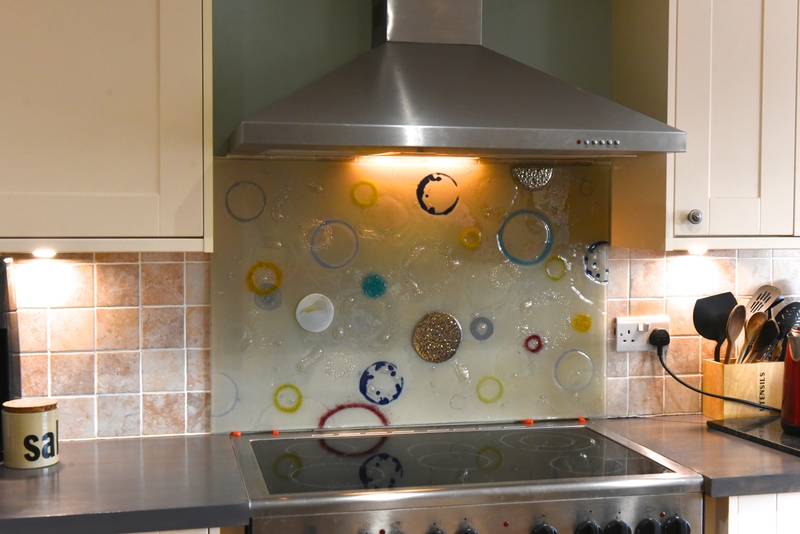 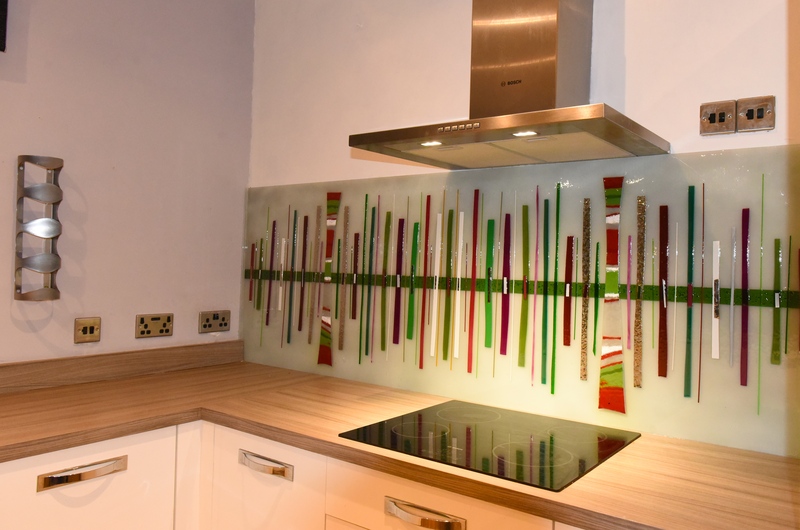 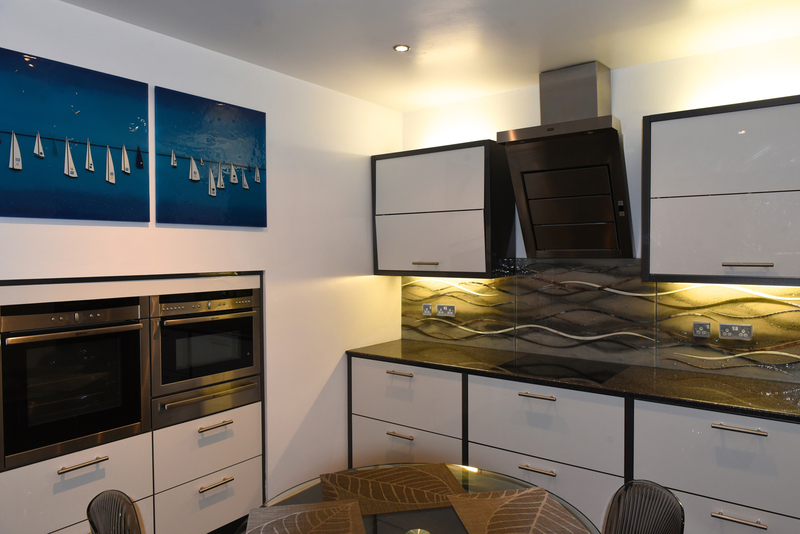 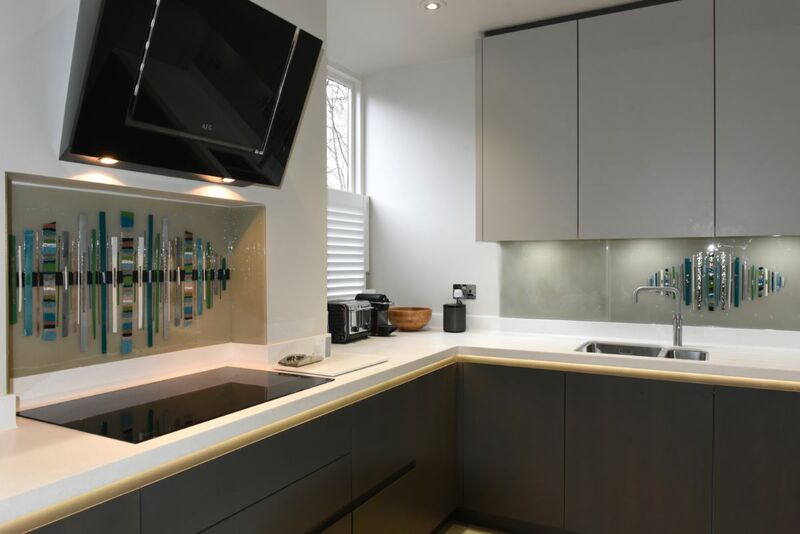 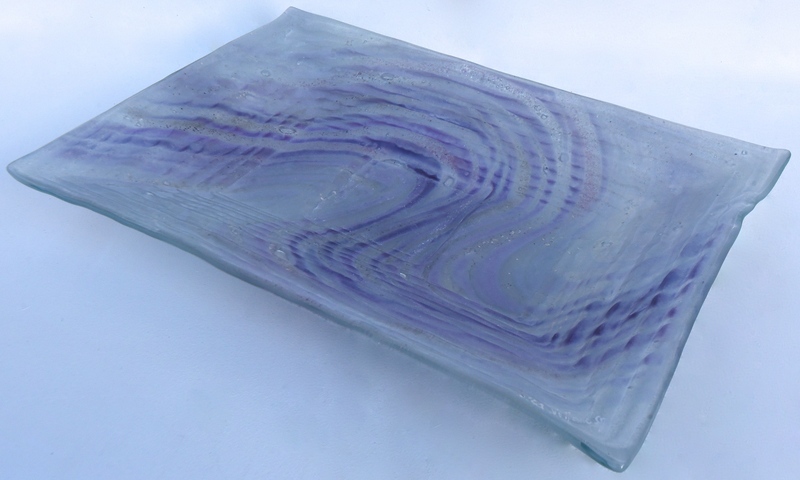 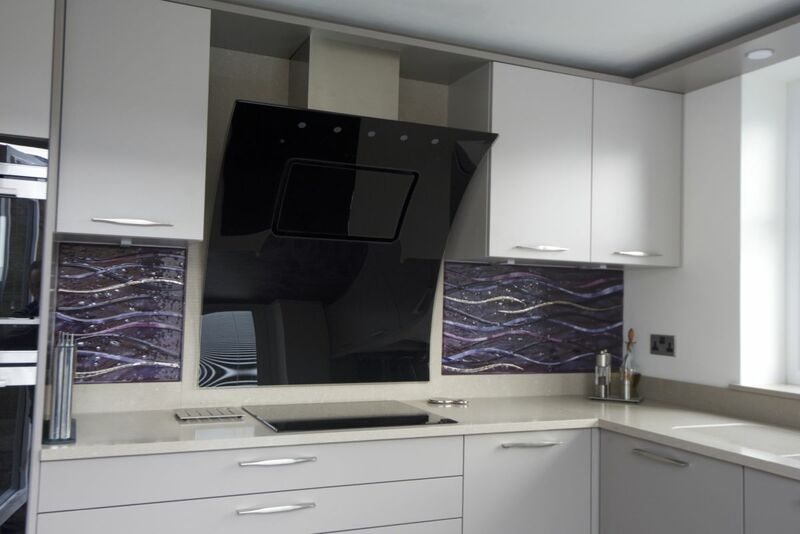 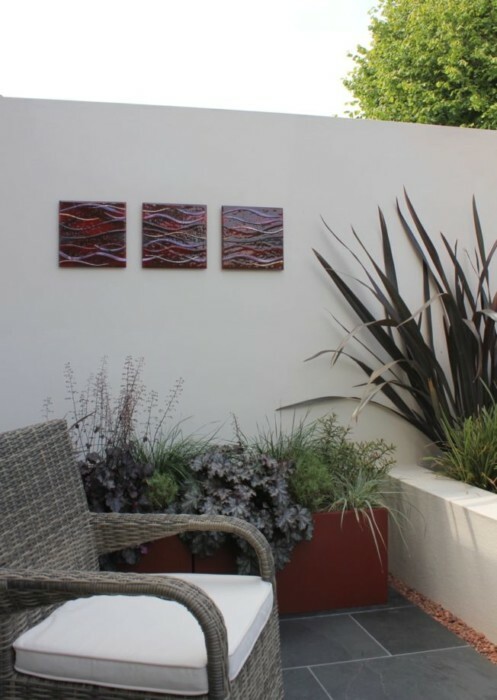 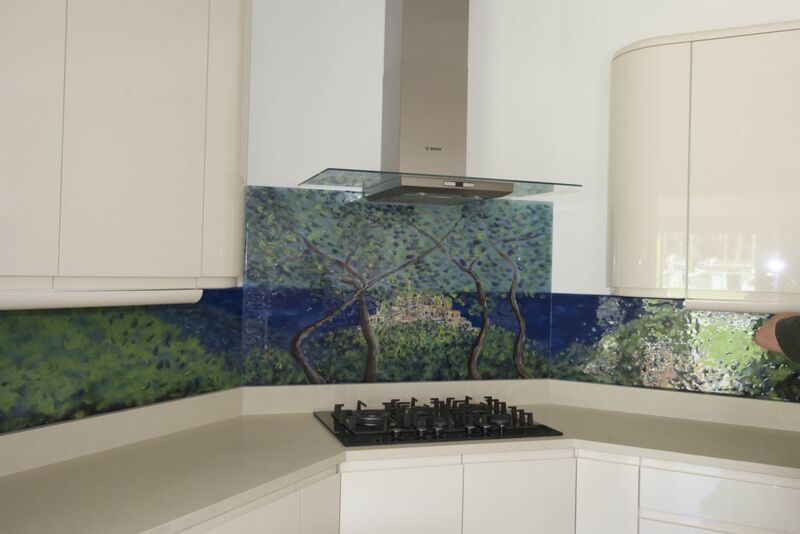 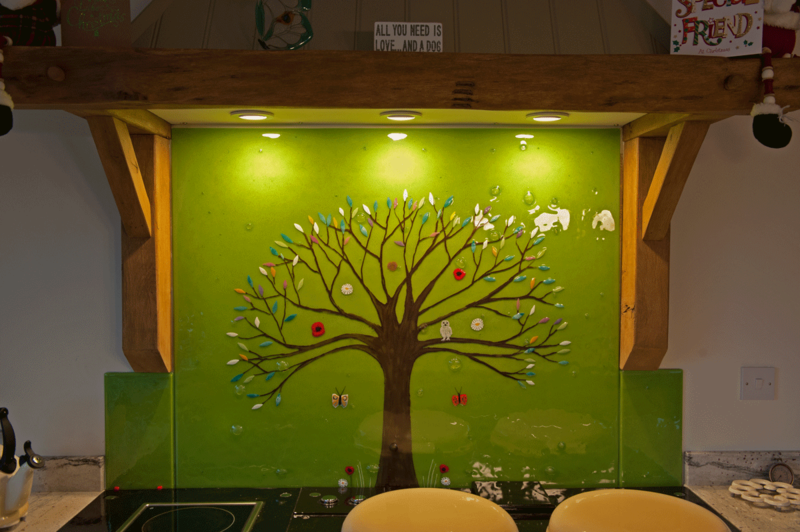 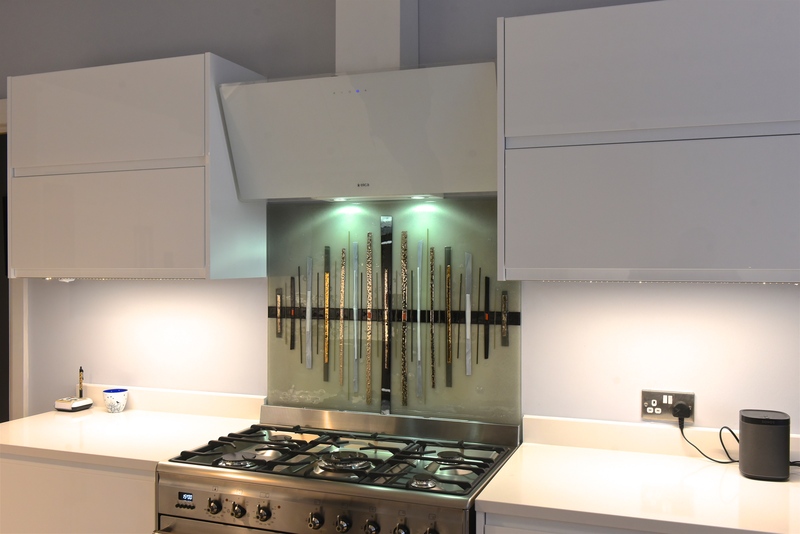 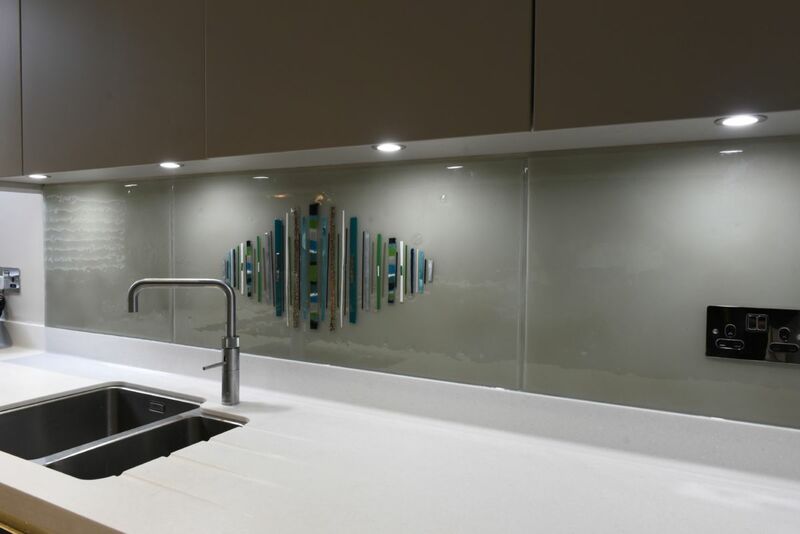 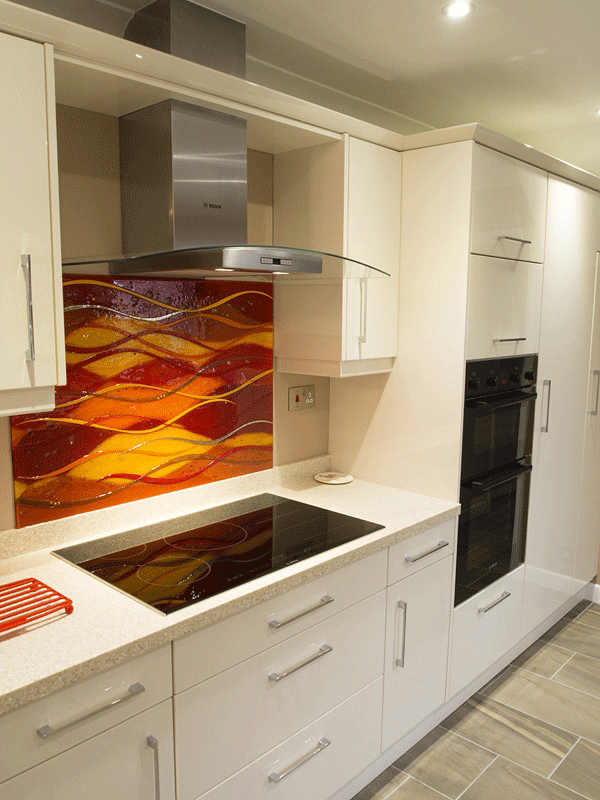 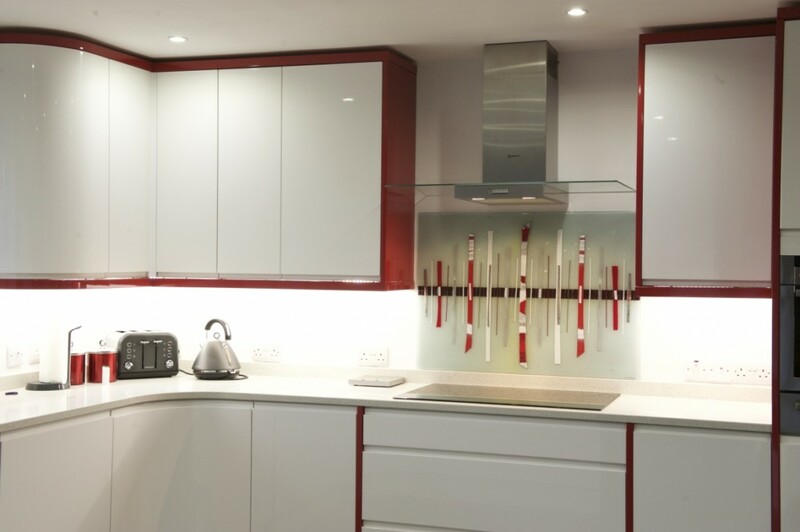 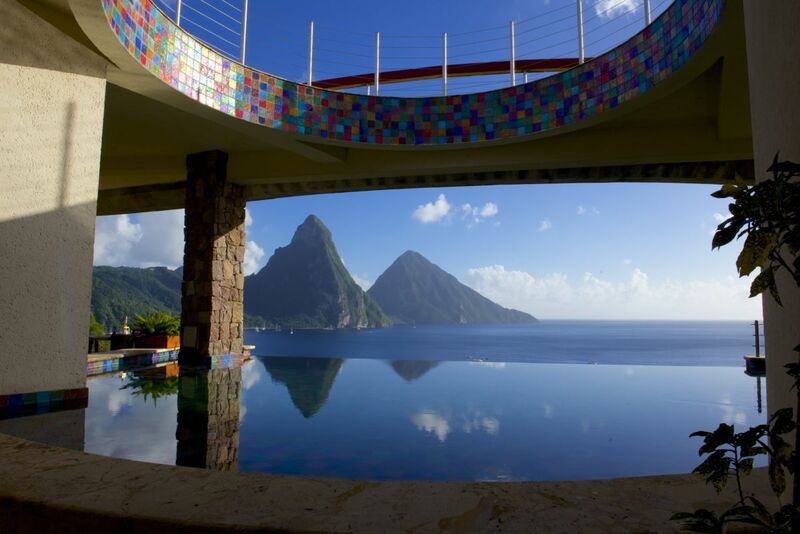 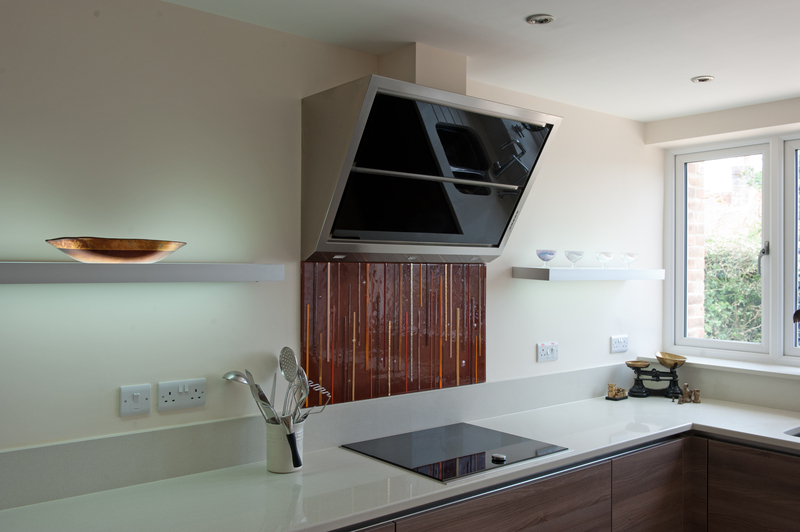 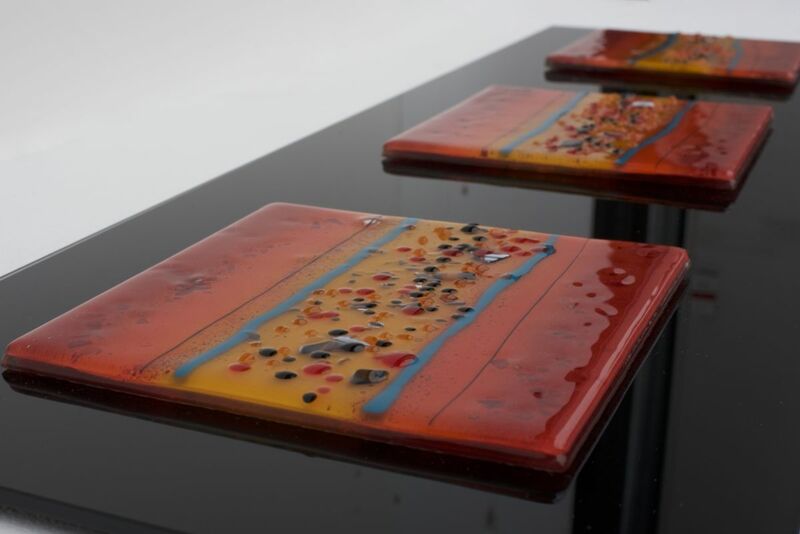 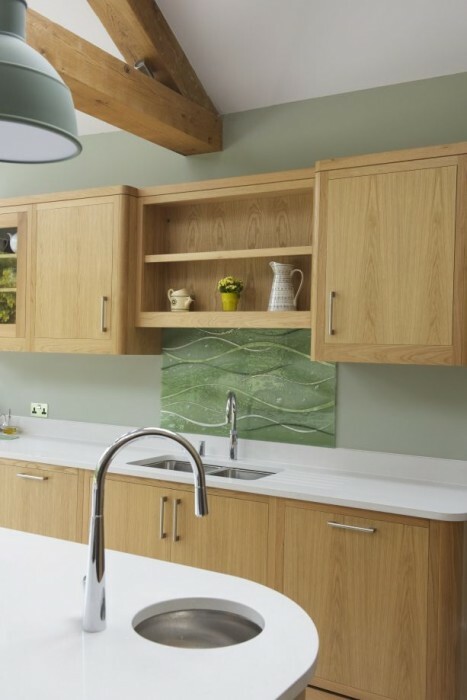 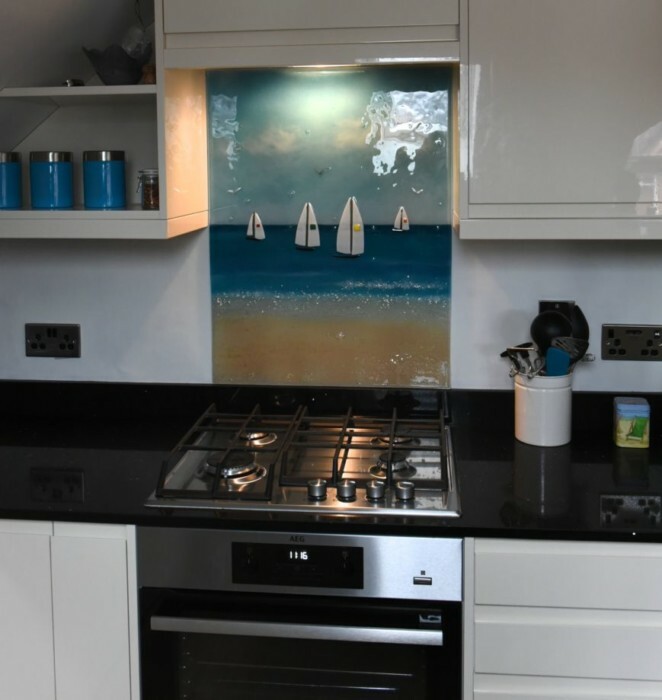 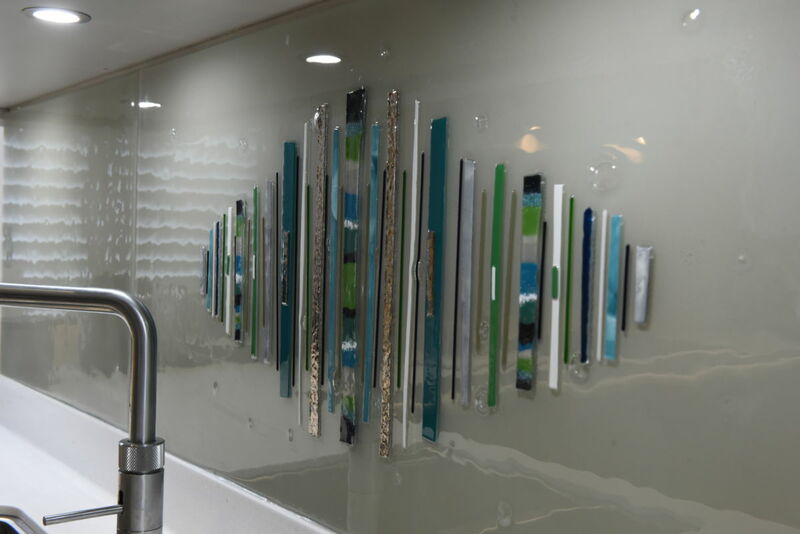 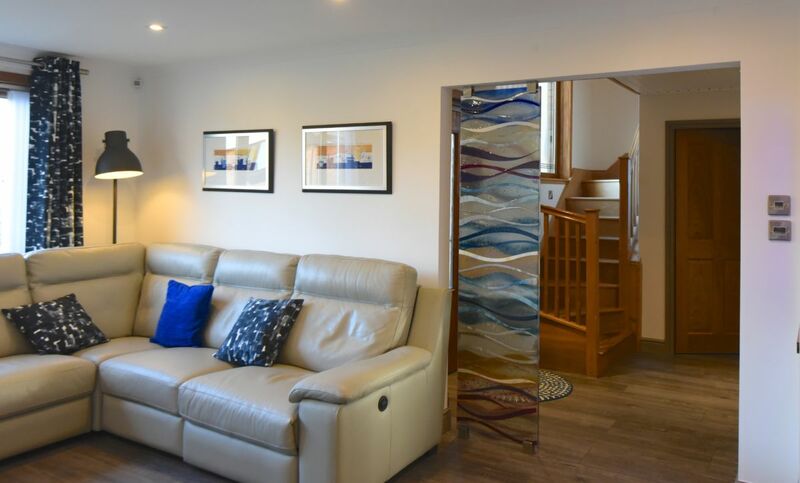 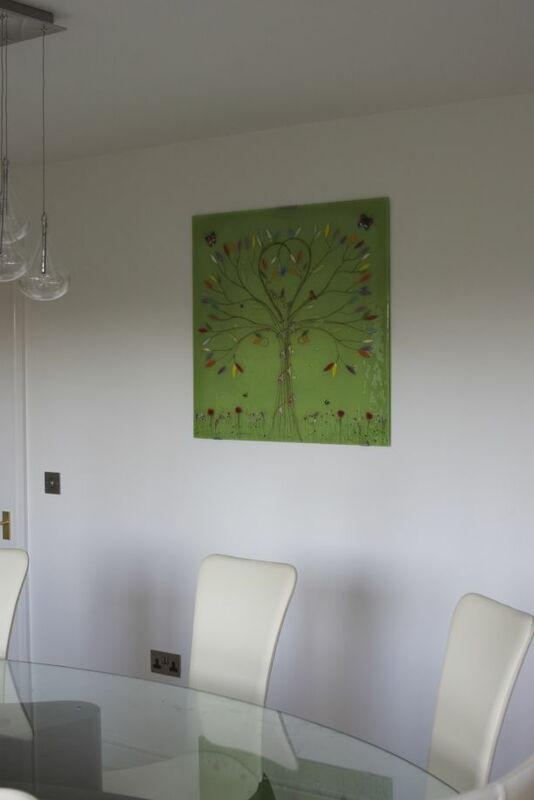 Whether that takes the form of one of our bespoke glass splashbacks, glass wall panels or even something smaller like a bowl or set of coasters, the end result is sure to be a perfect fit for you. 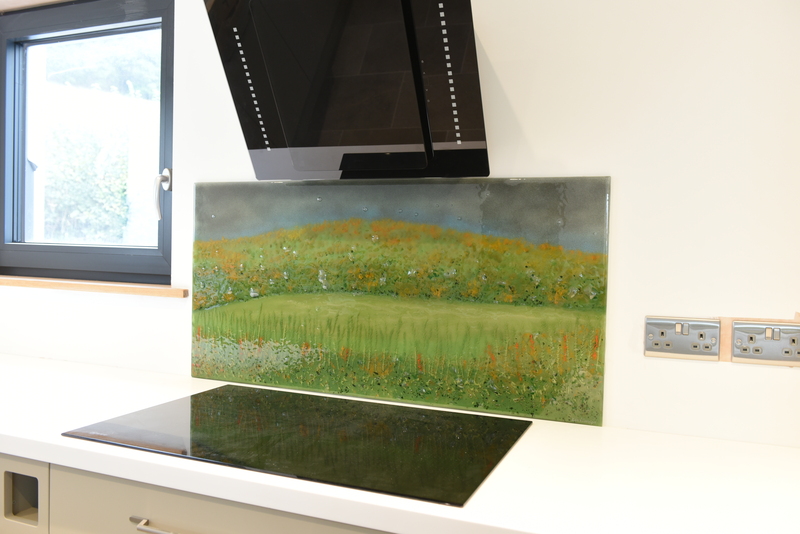 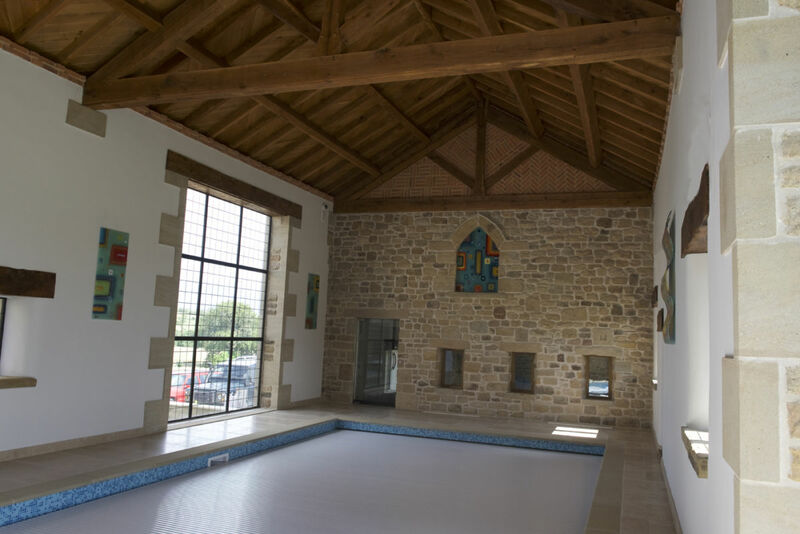 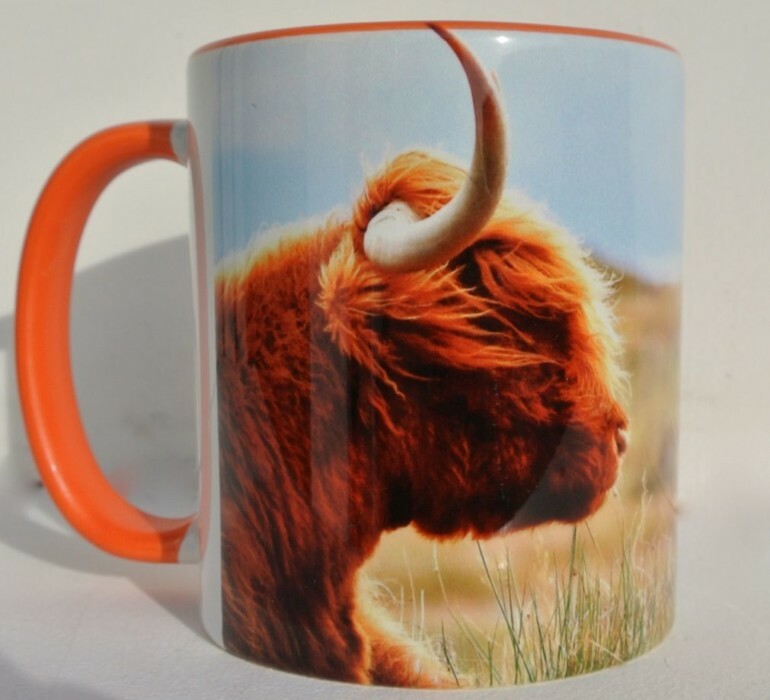 Our bespoke design process ensures that no piece of glass comes off of our kiln without being perfectly personalised, after all!